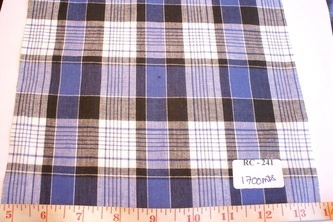 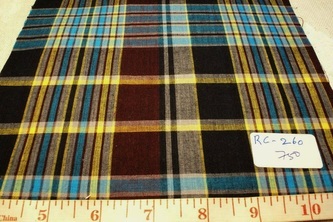 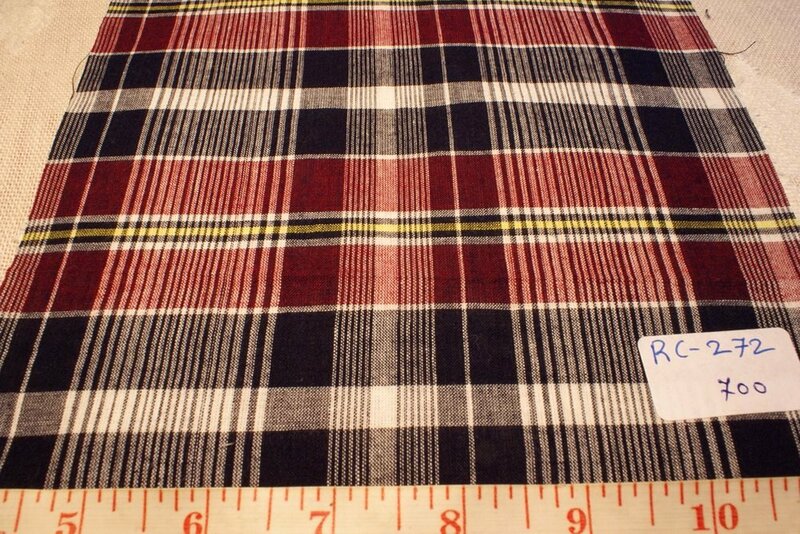 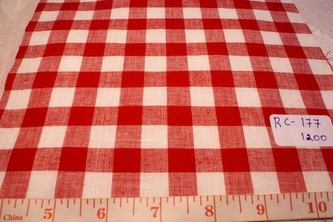 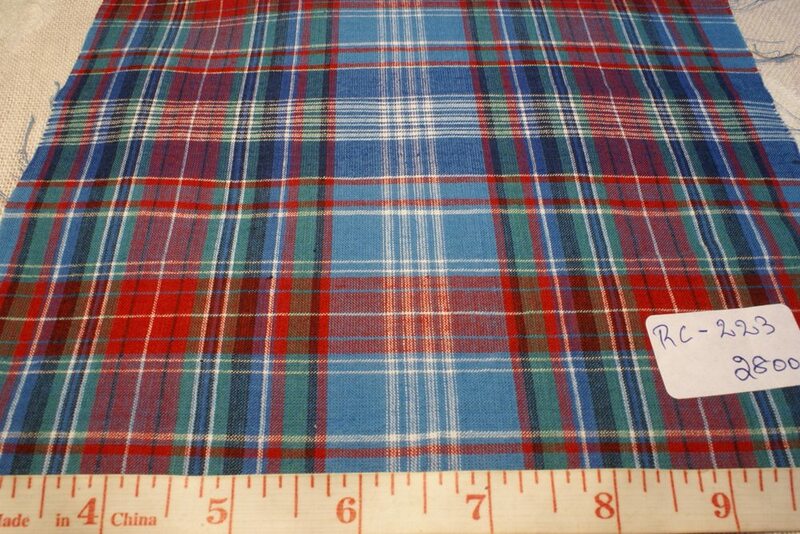 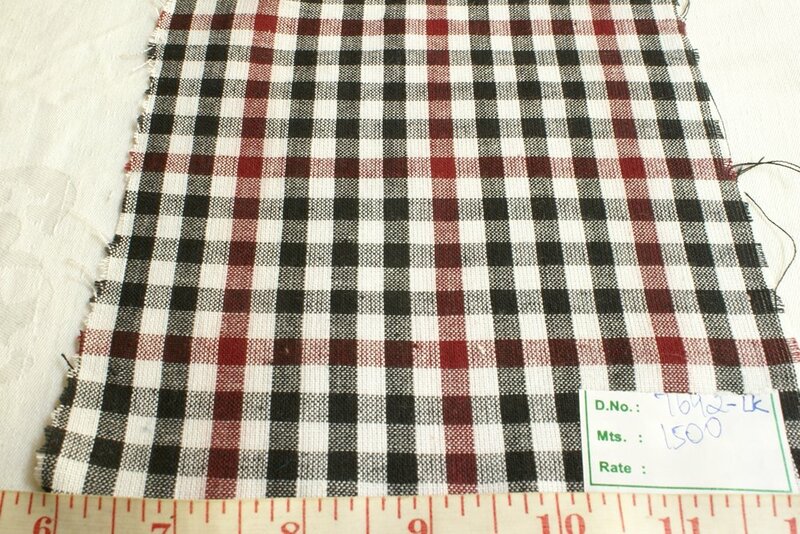 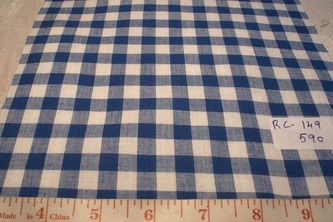 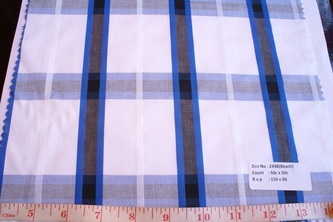 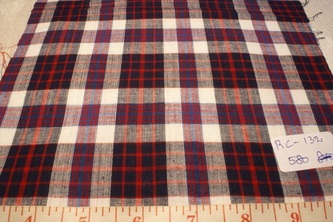 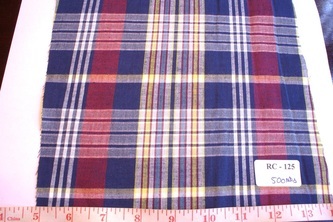 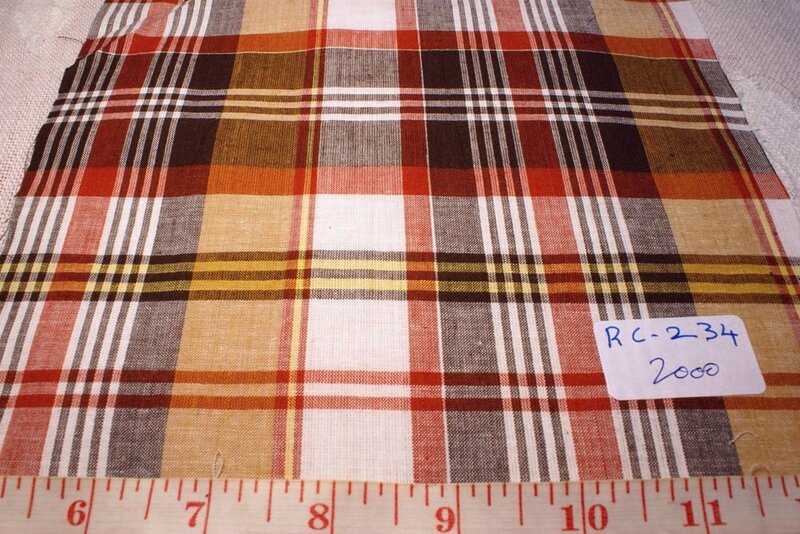 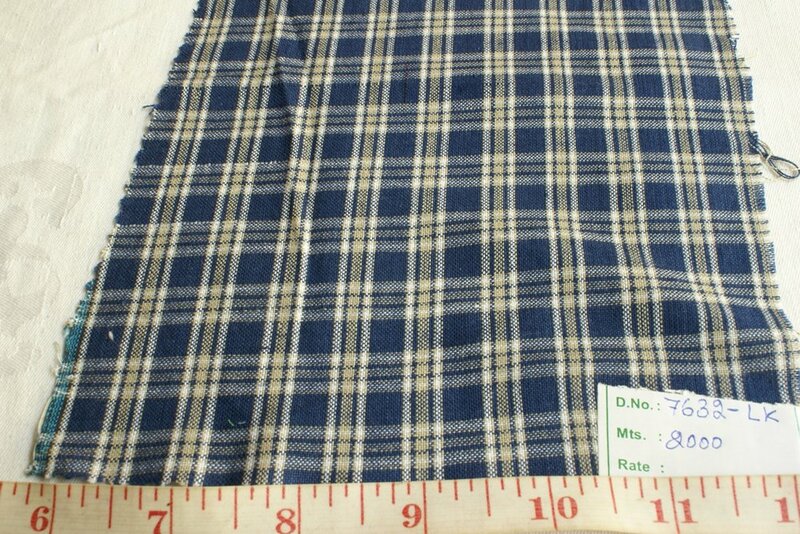 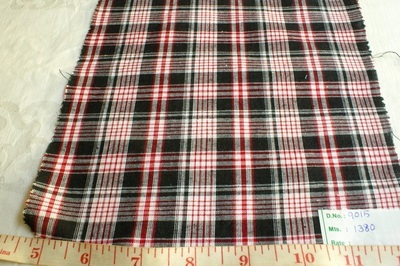 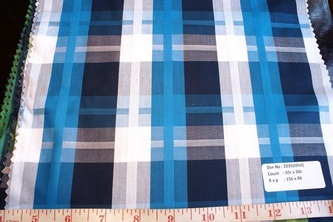 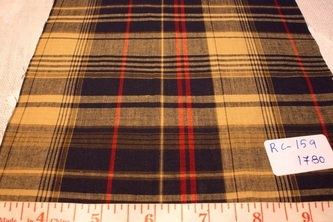 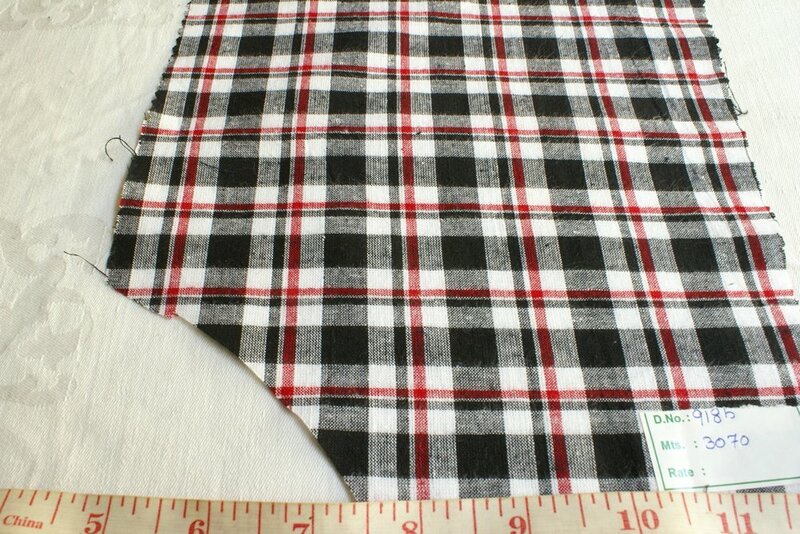 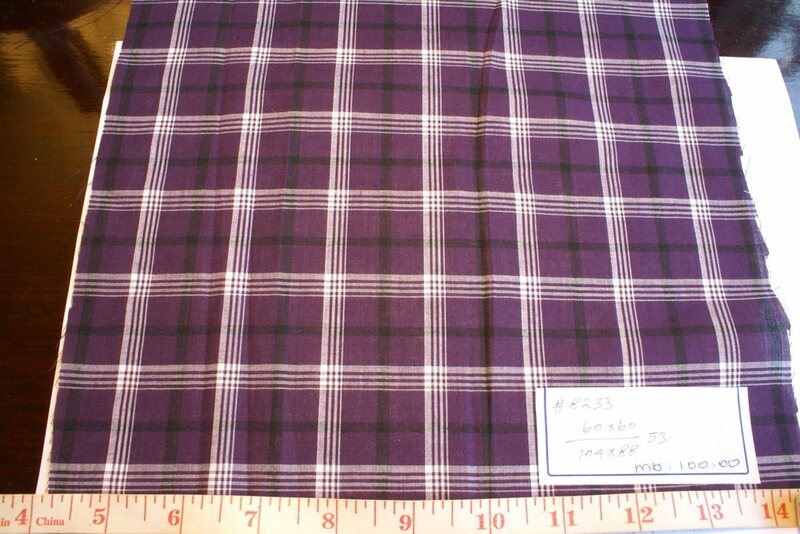 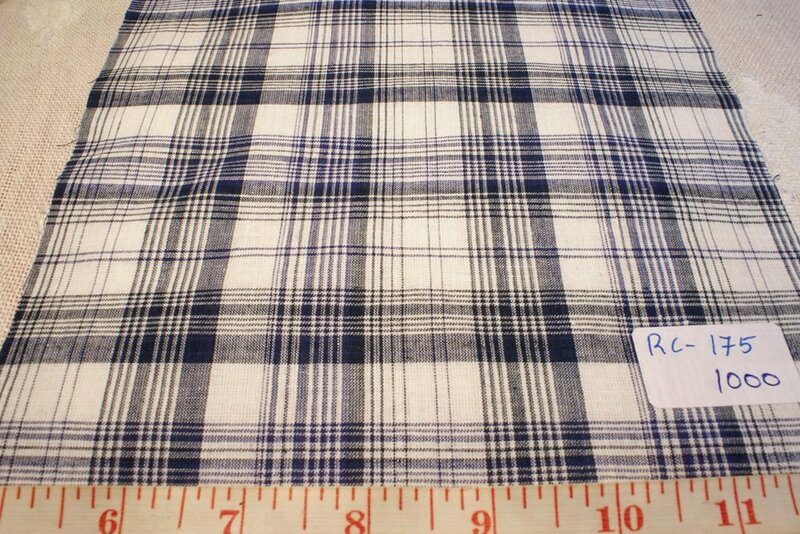 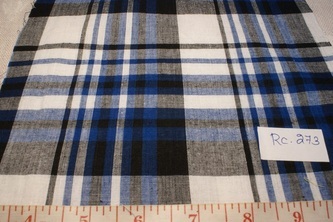 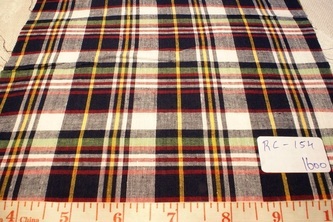 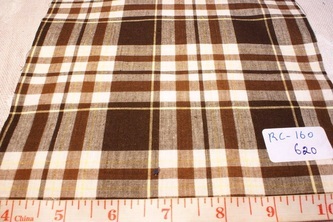 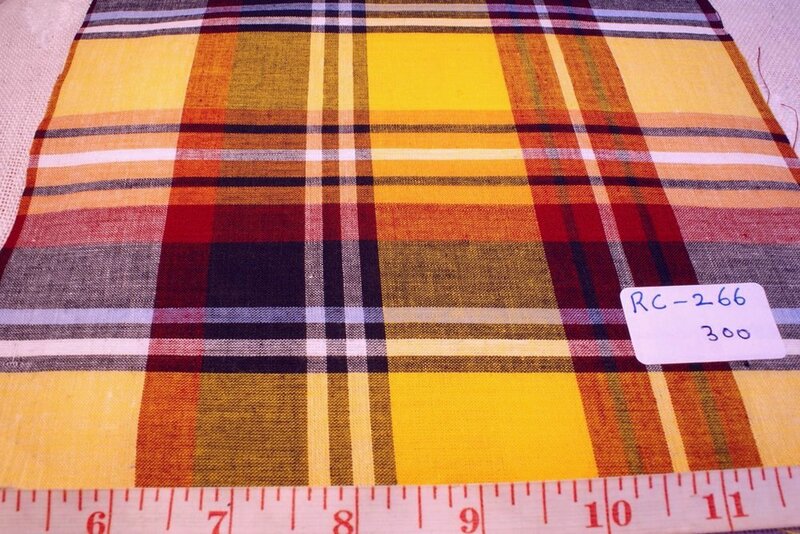 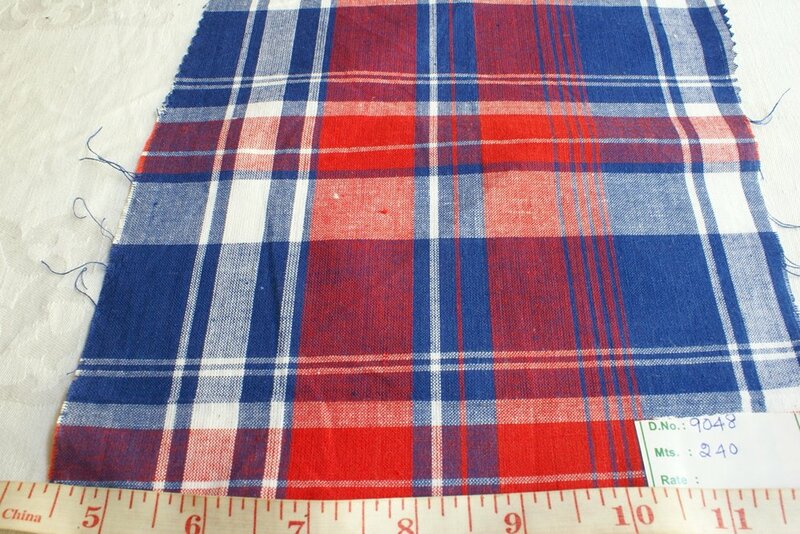 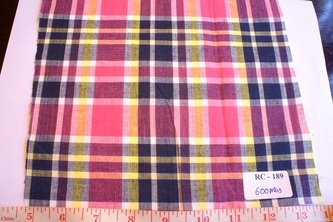 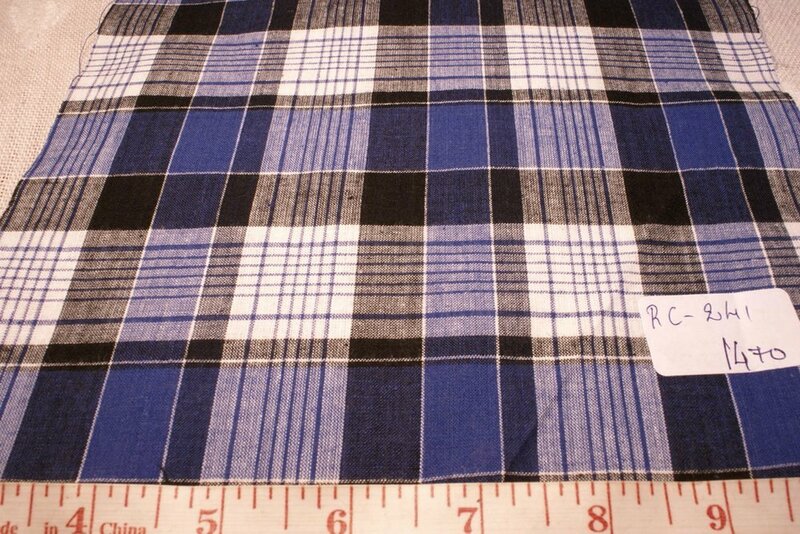 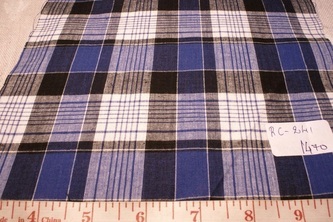 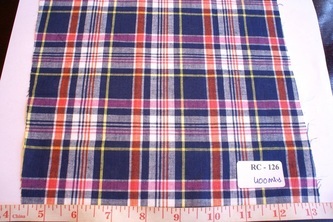 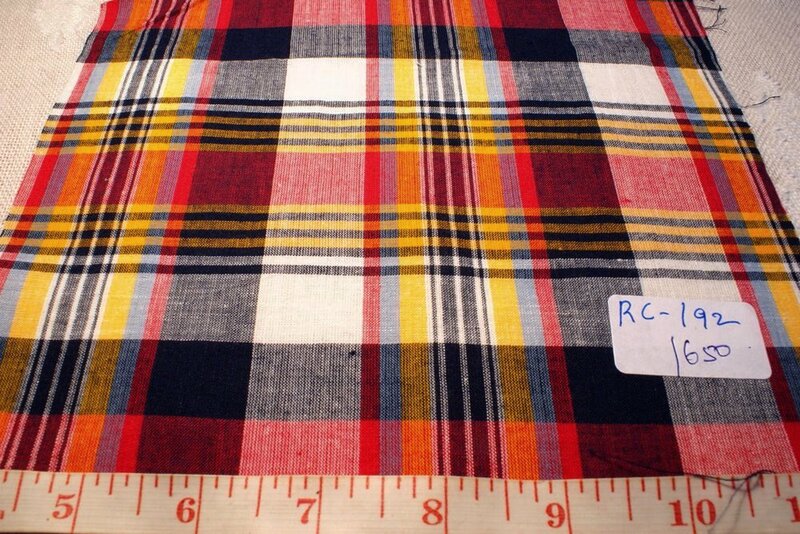 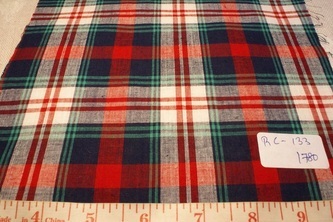 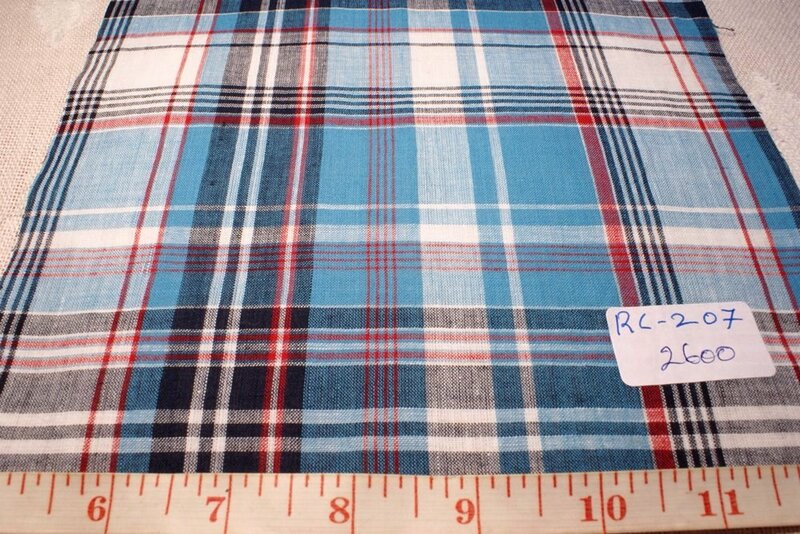 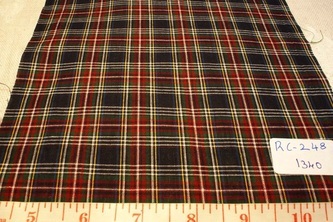 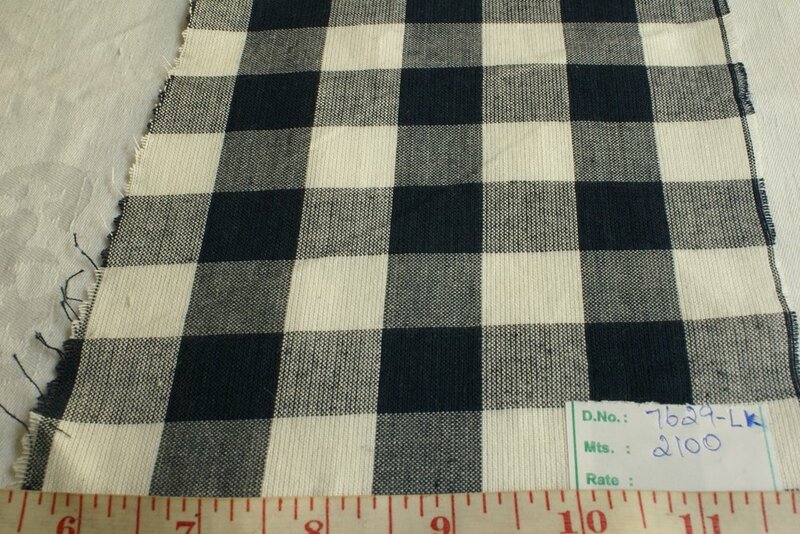 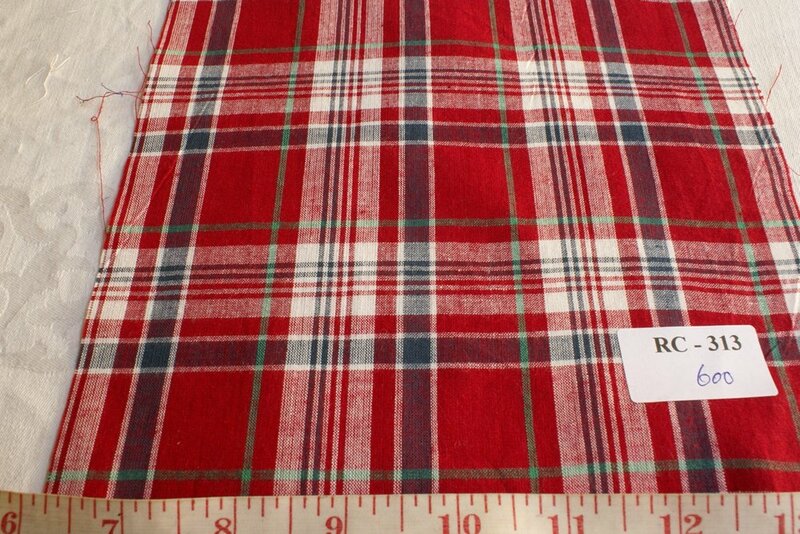 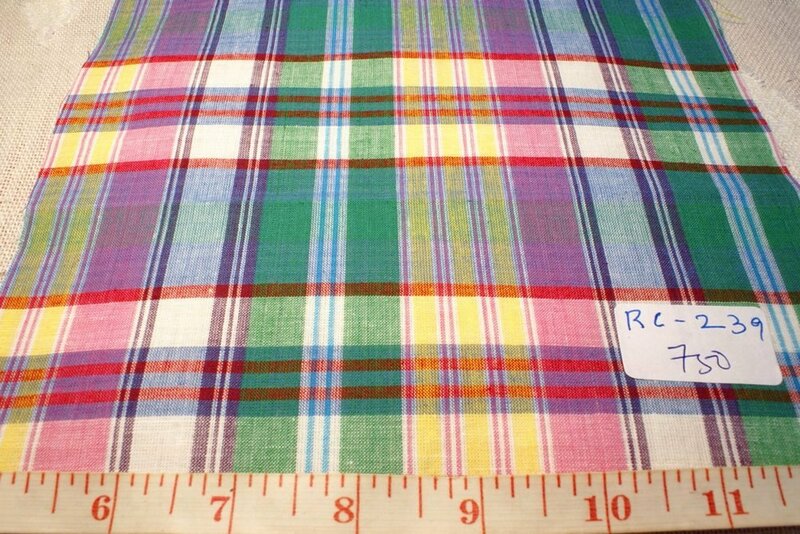 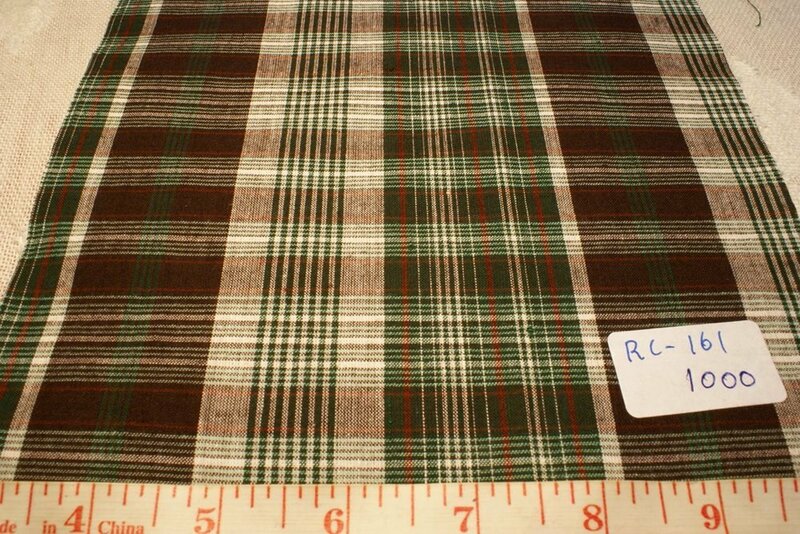 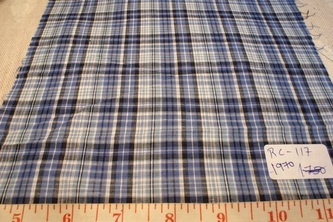 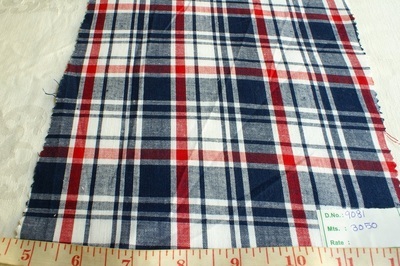 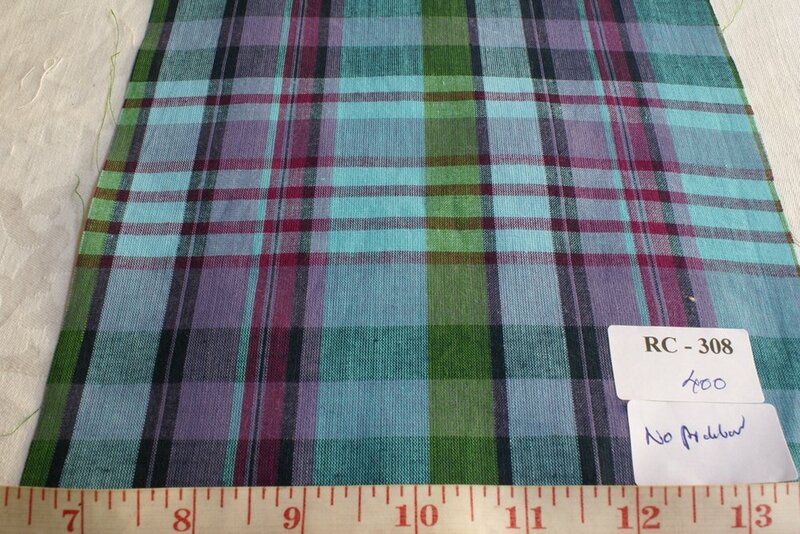 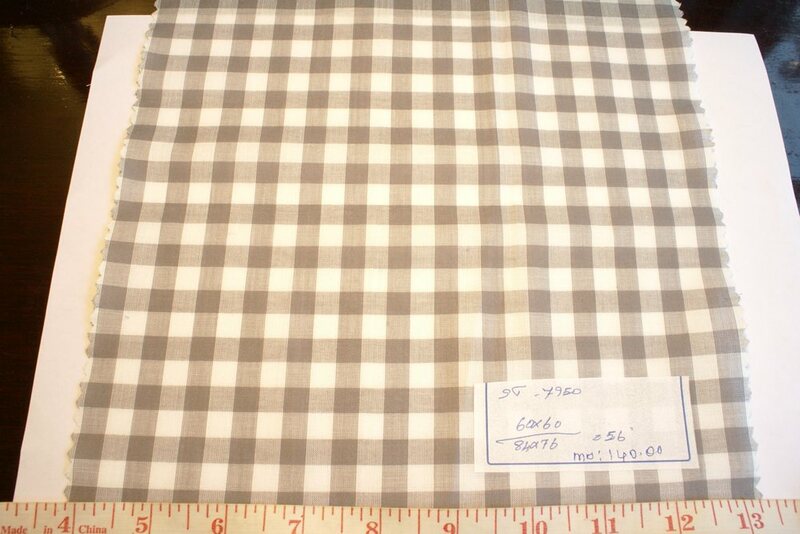 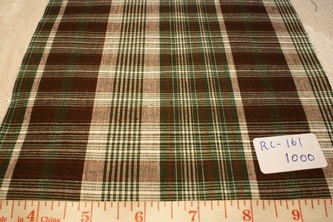 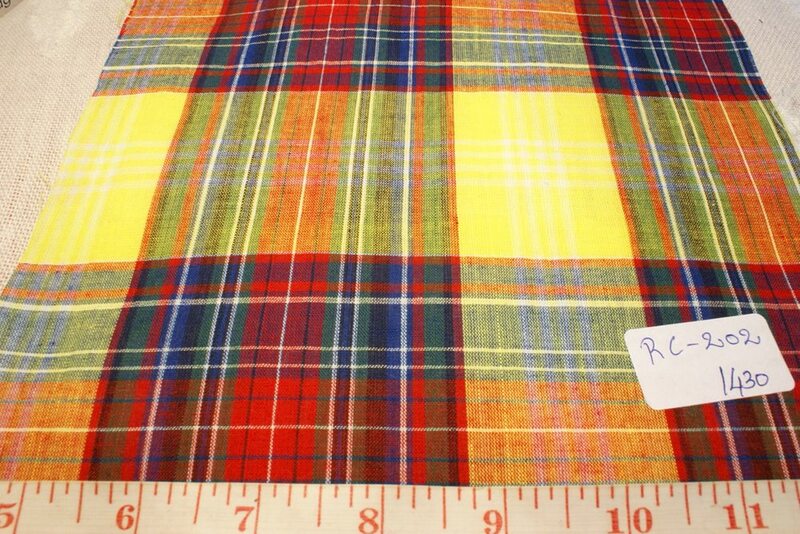 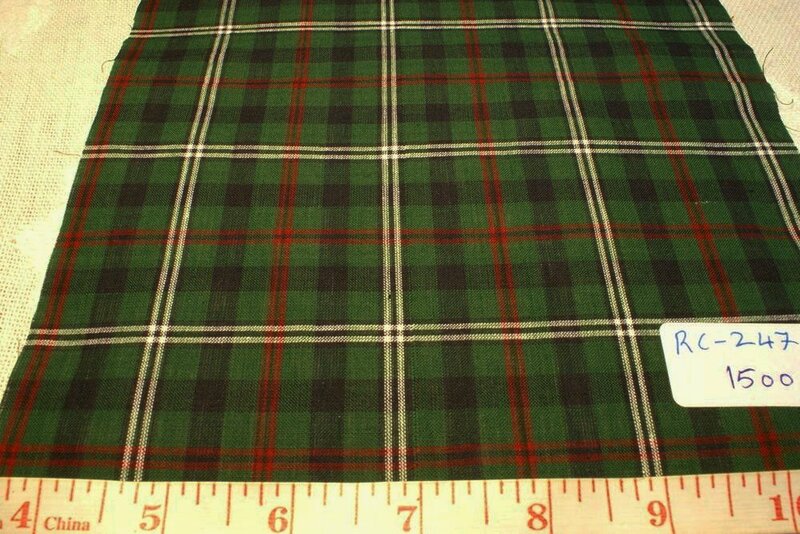 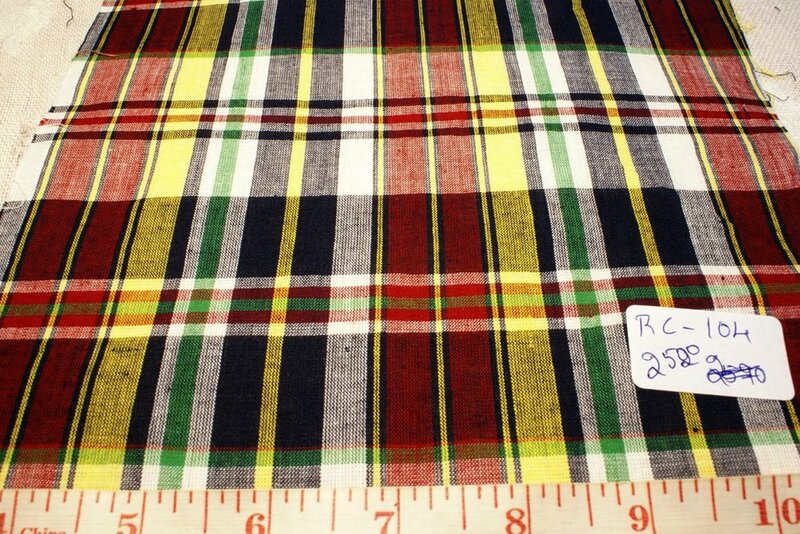 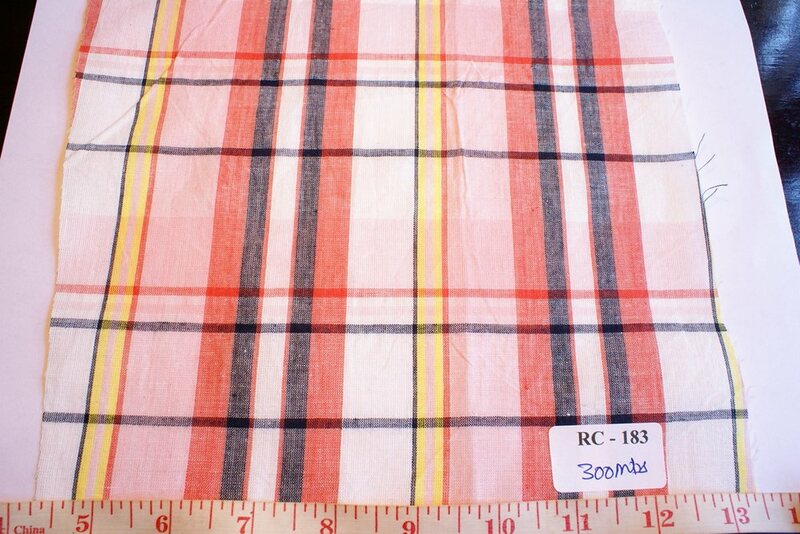 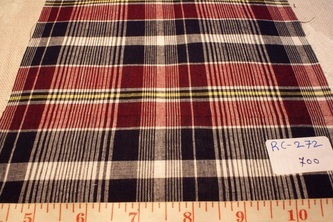 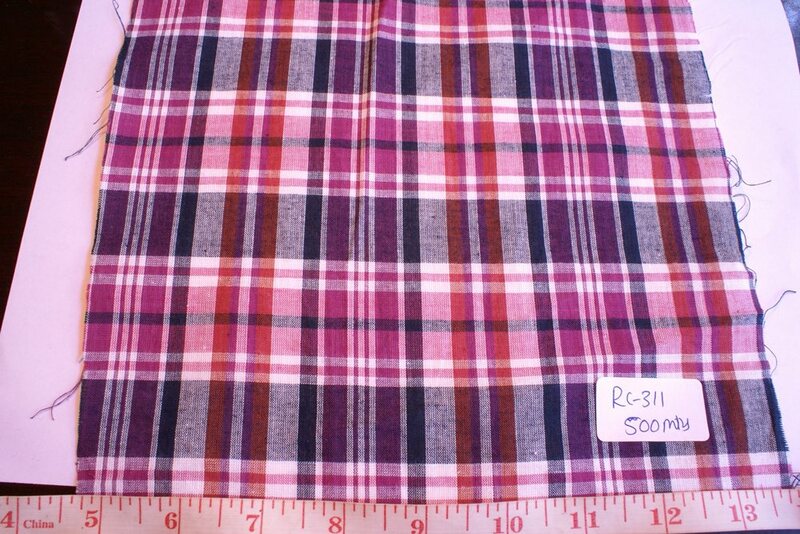 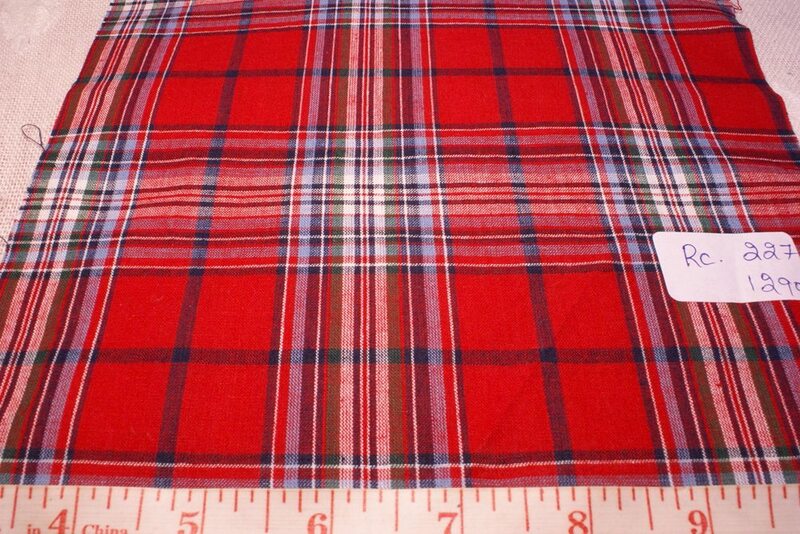 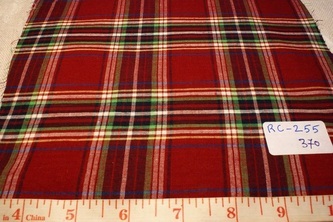 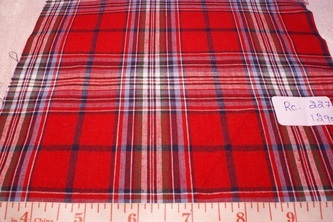 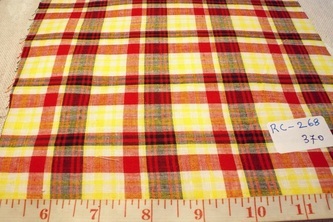 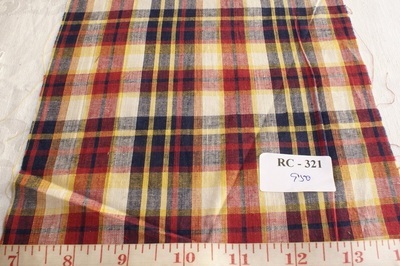 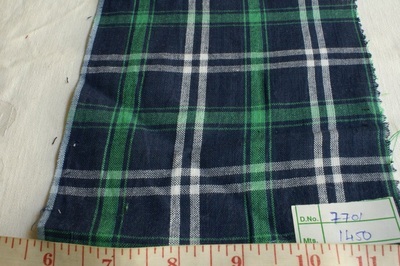 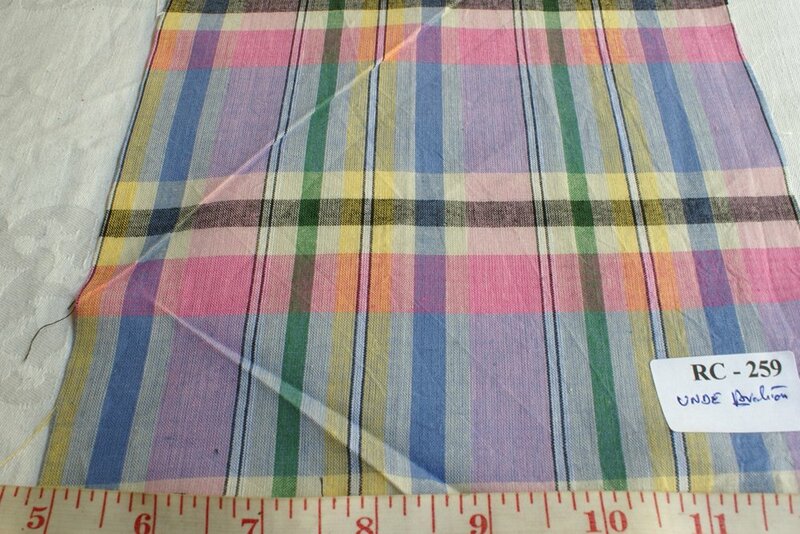 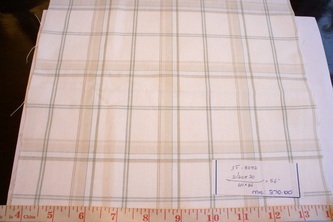 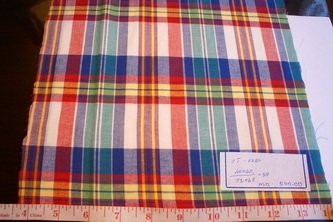 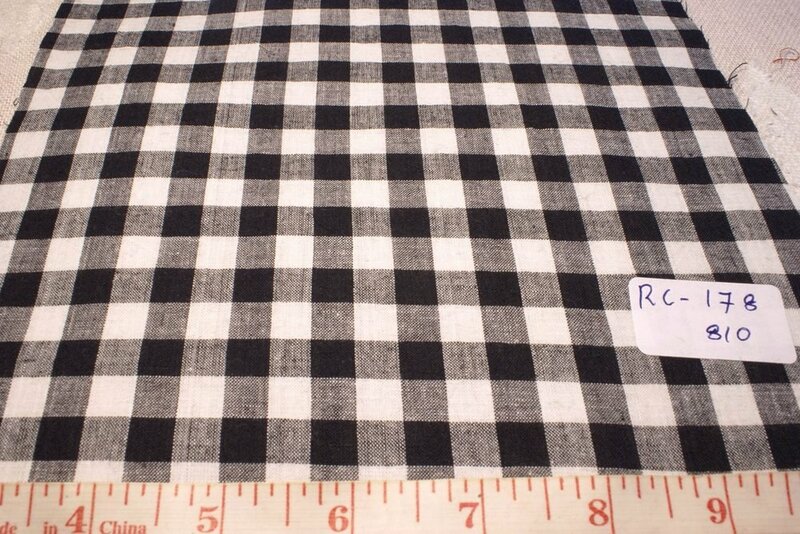 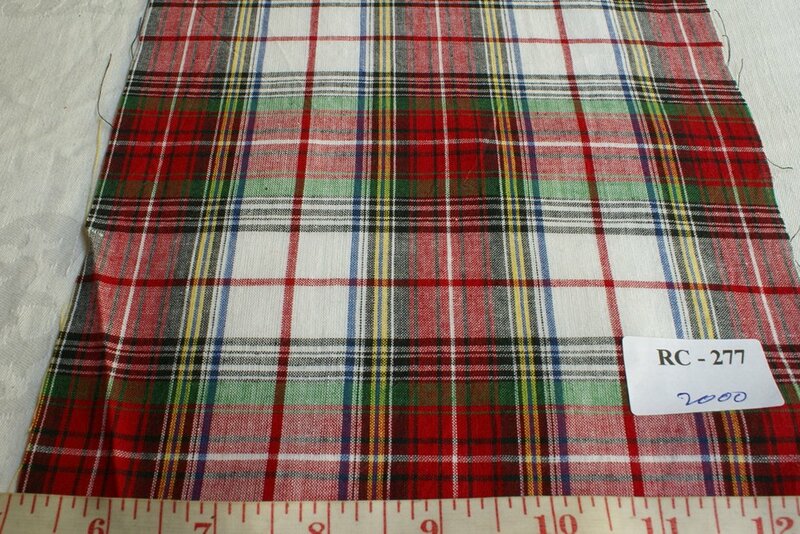 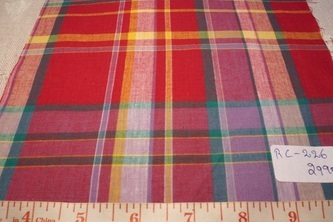 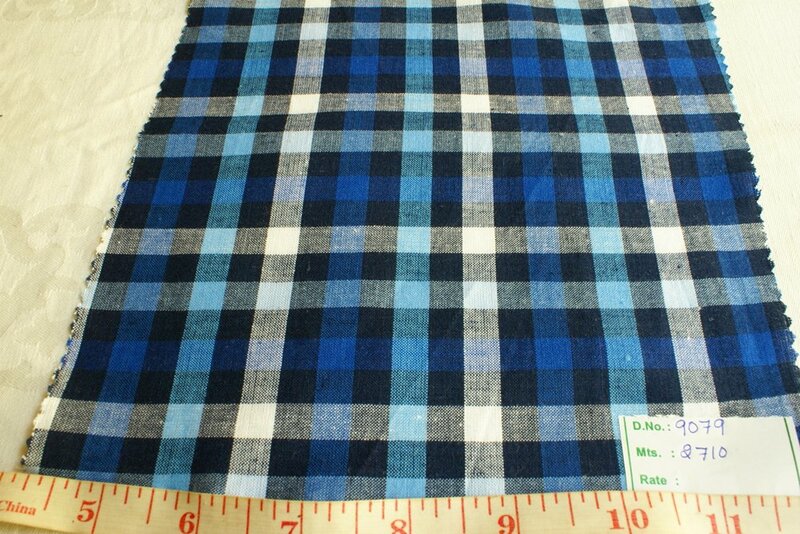 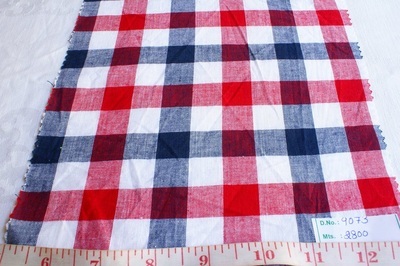 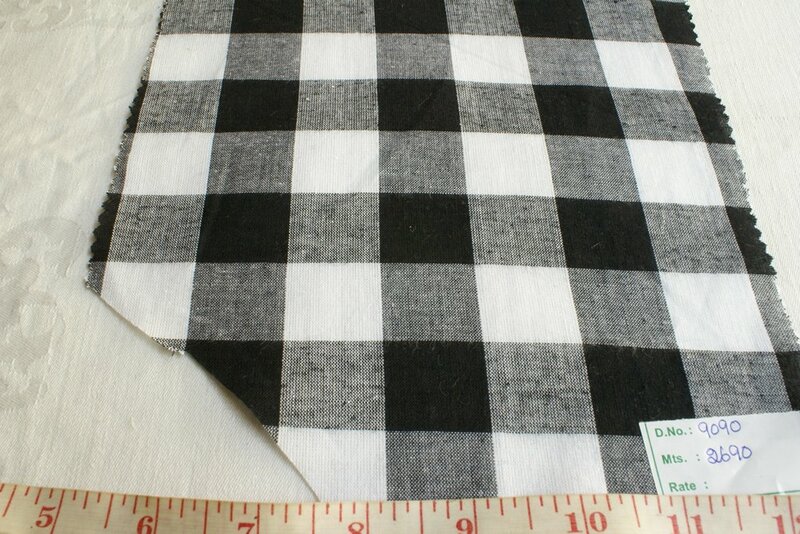 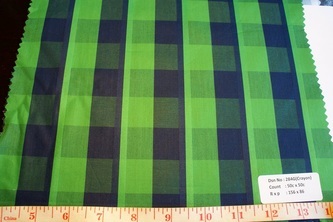 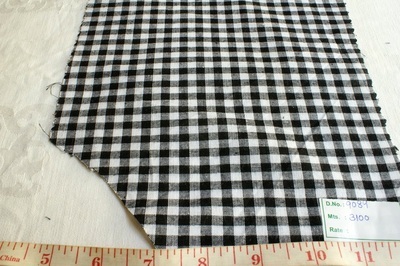 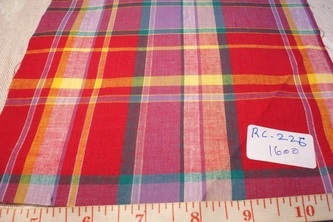 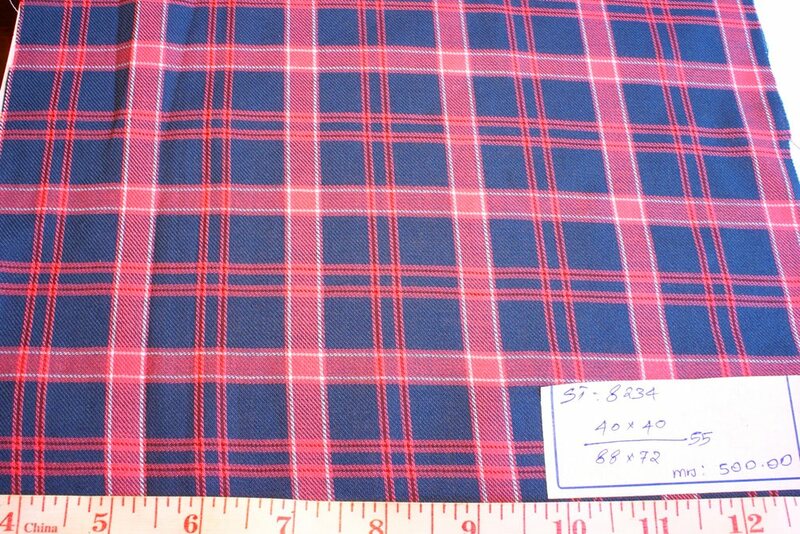 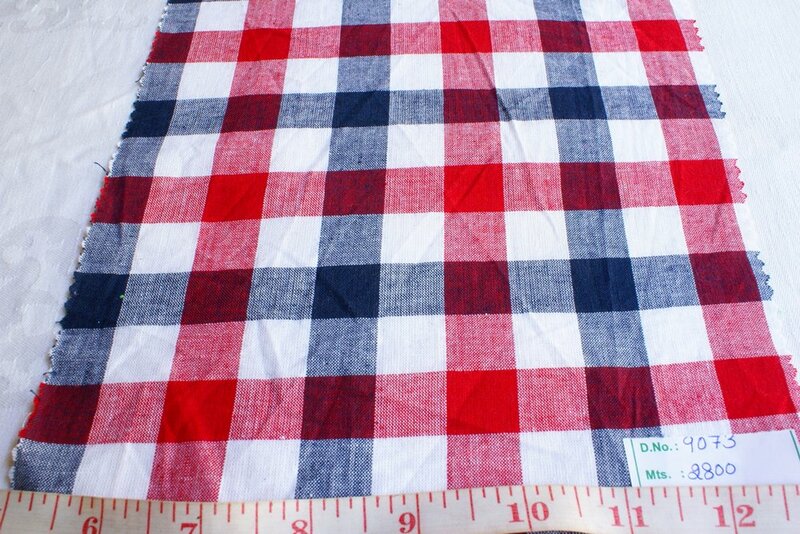 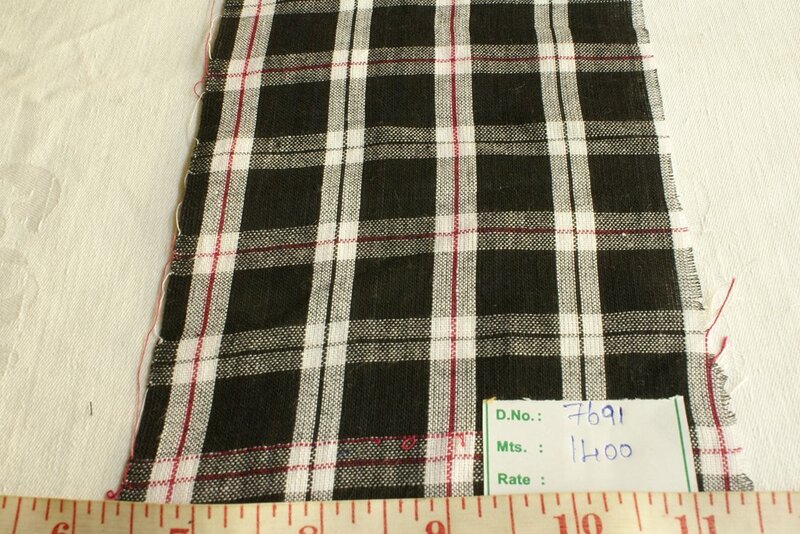 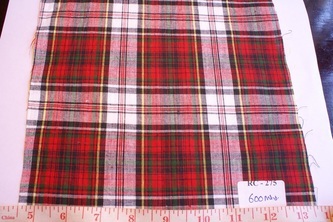 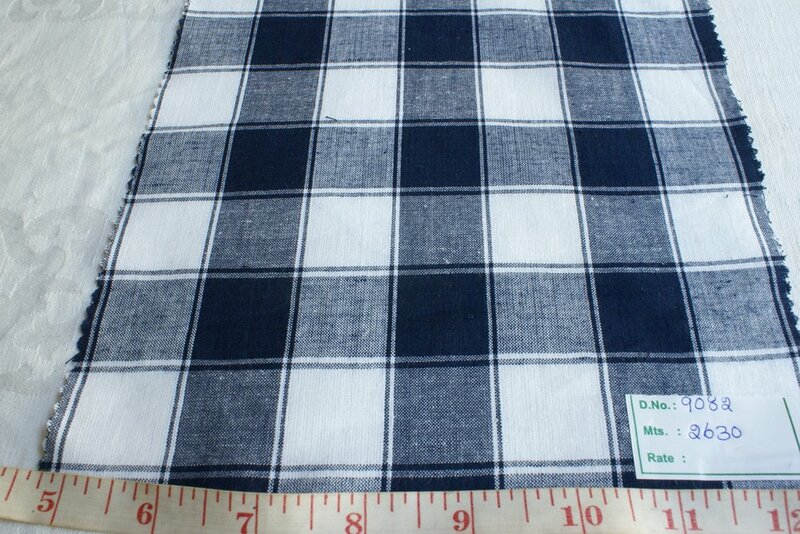 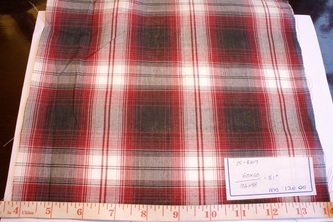 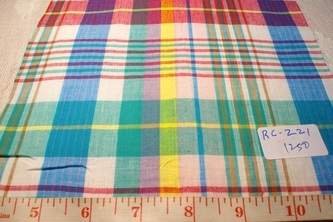 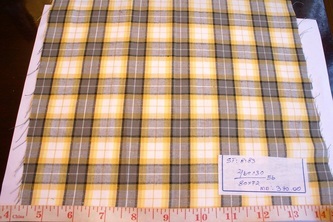 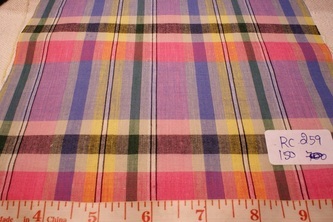 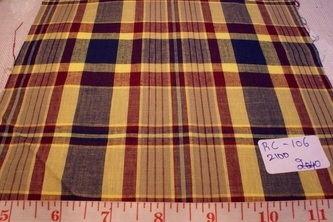 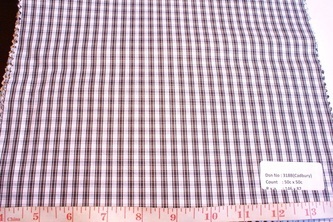 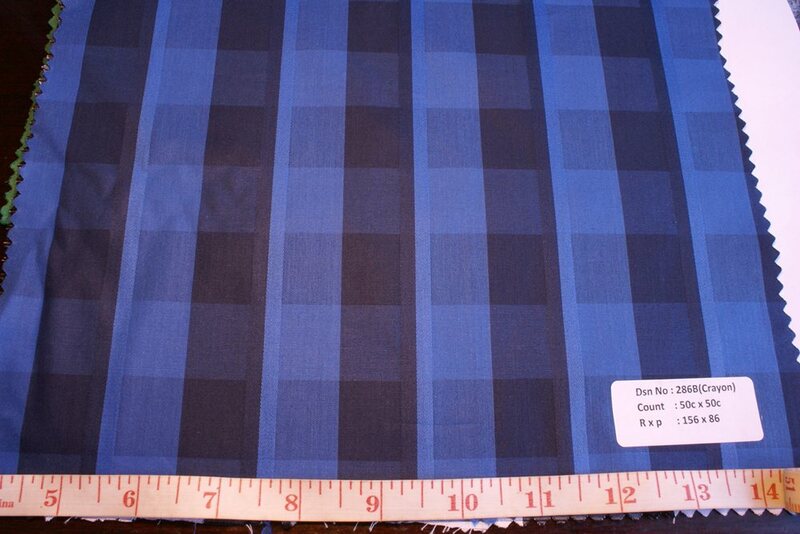 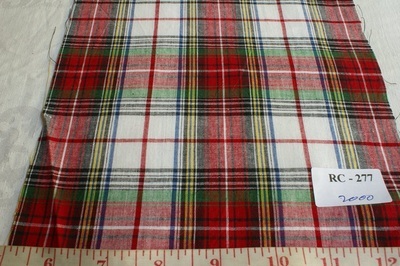 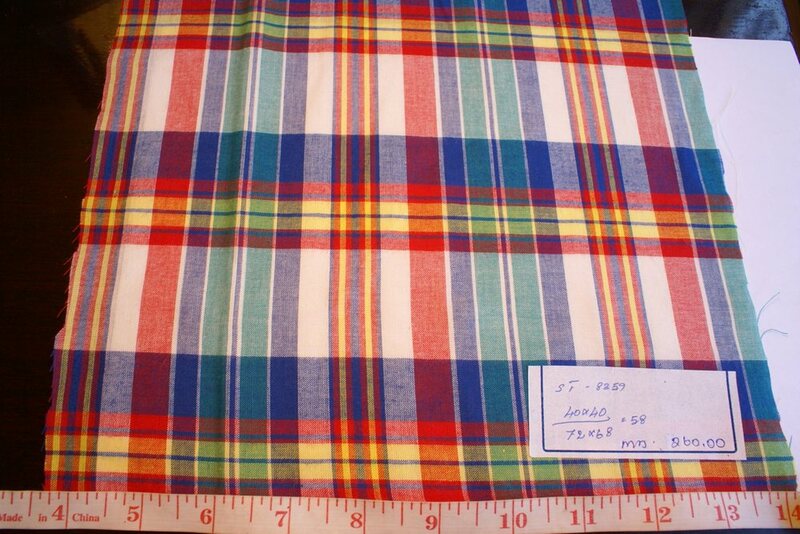 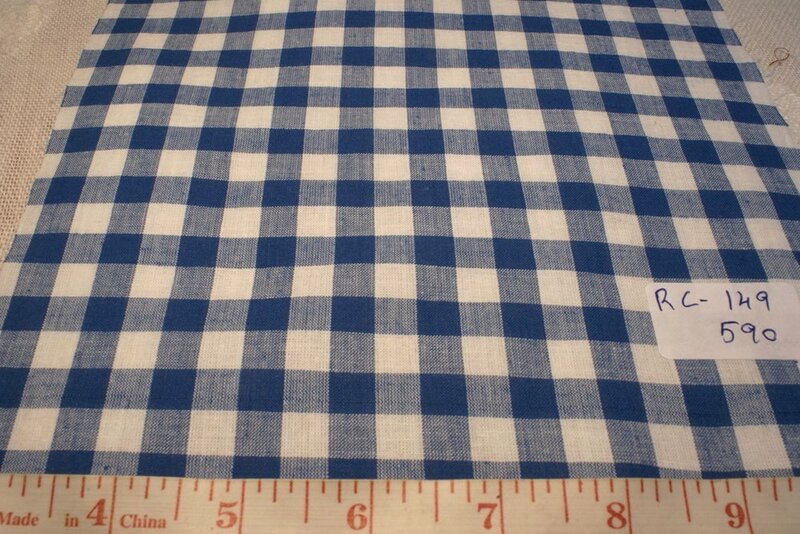 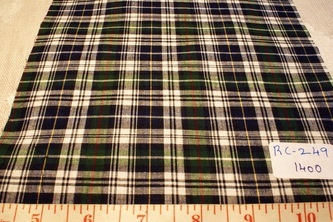 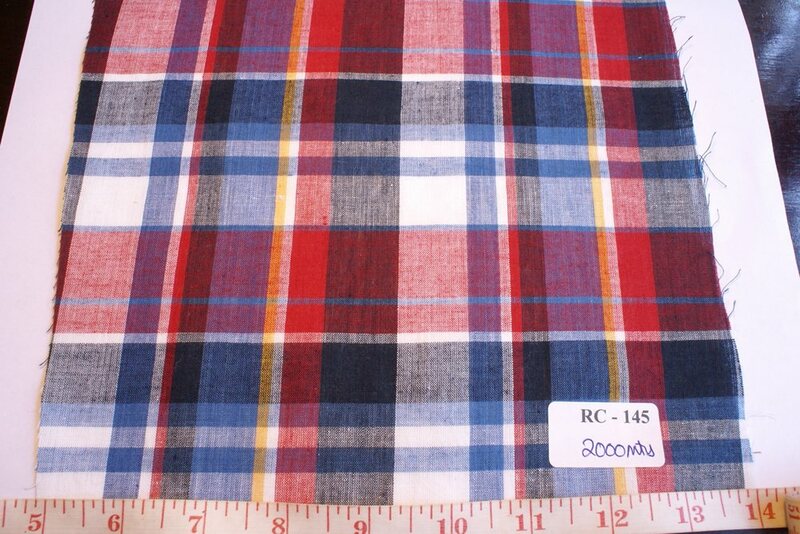 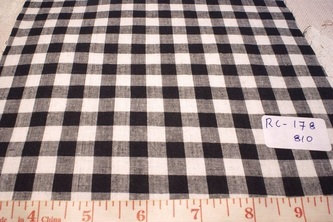 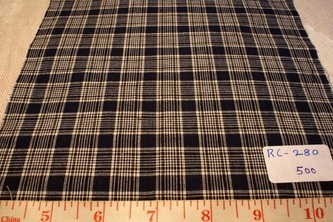 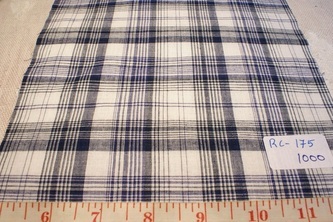 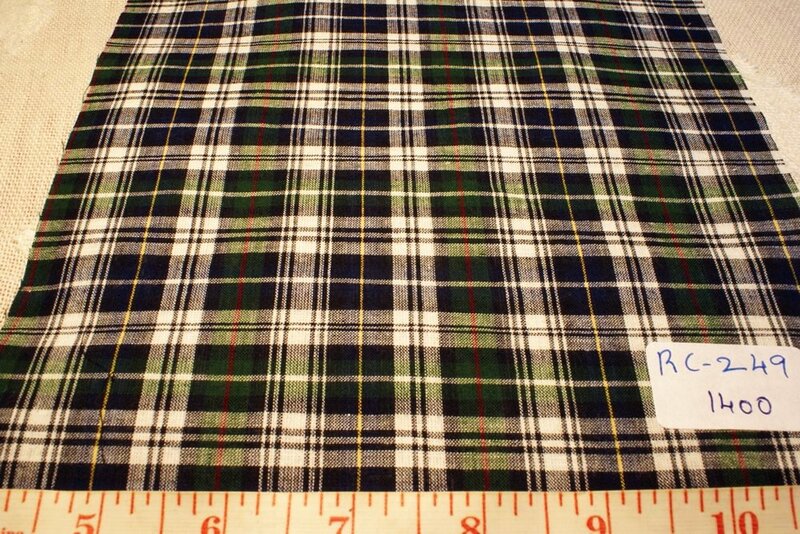 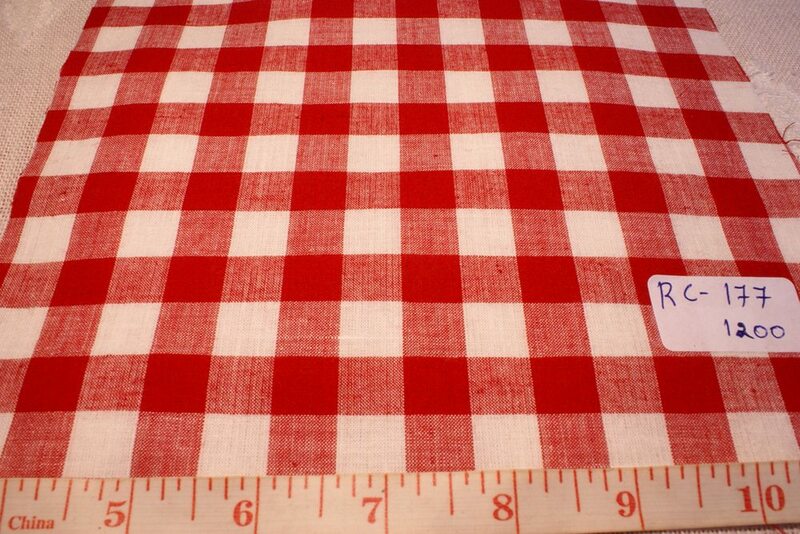 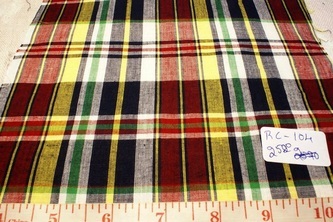 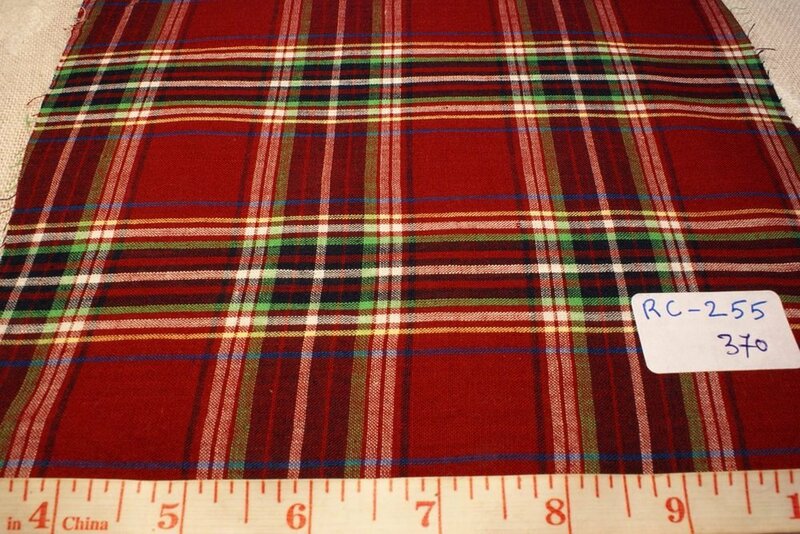 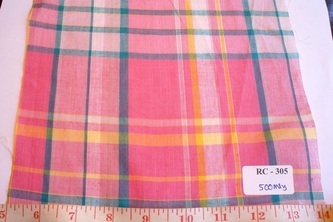 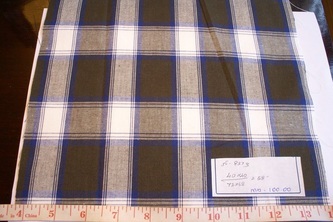 Madras plaid is a traditional vintage fabric from India, and all authentic madras plaid fabric must come from India. 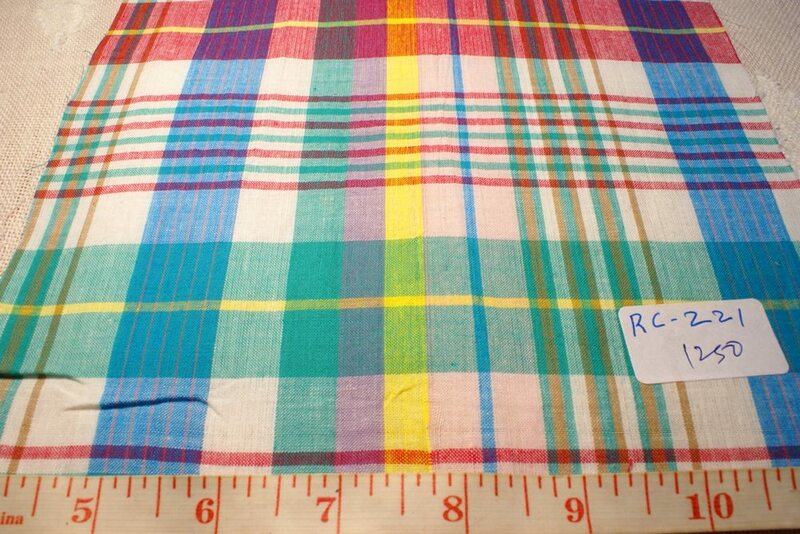 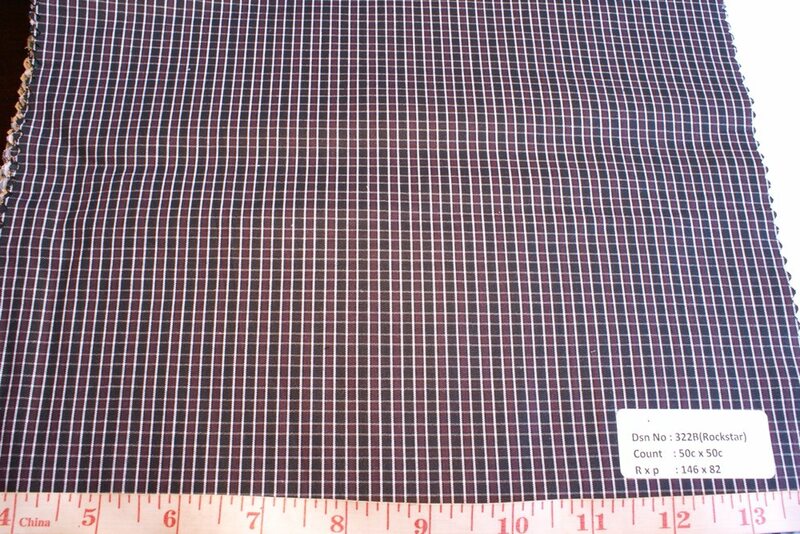 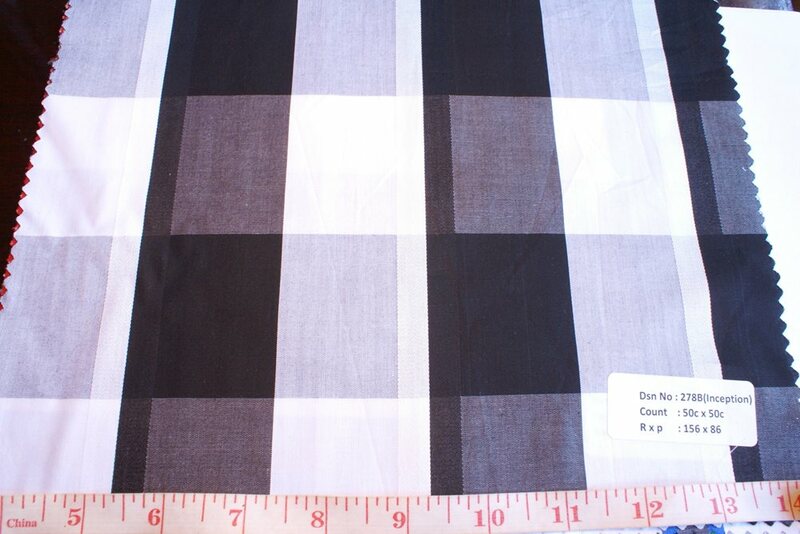 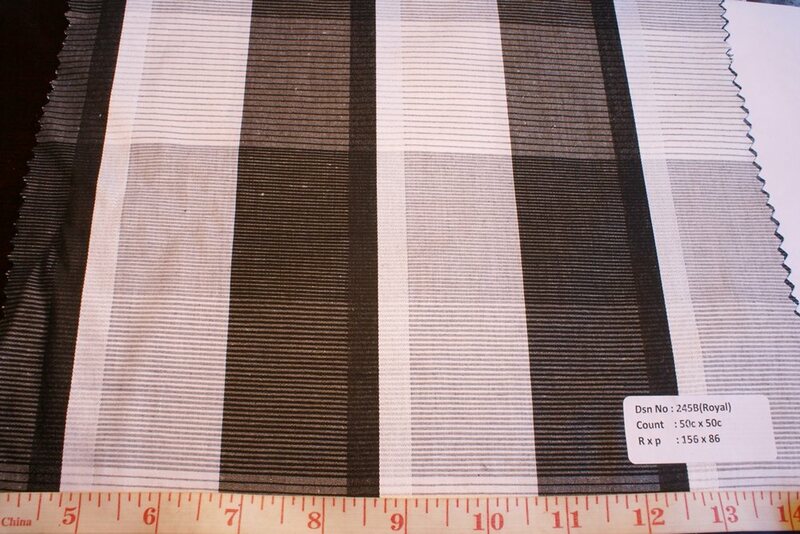 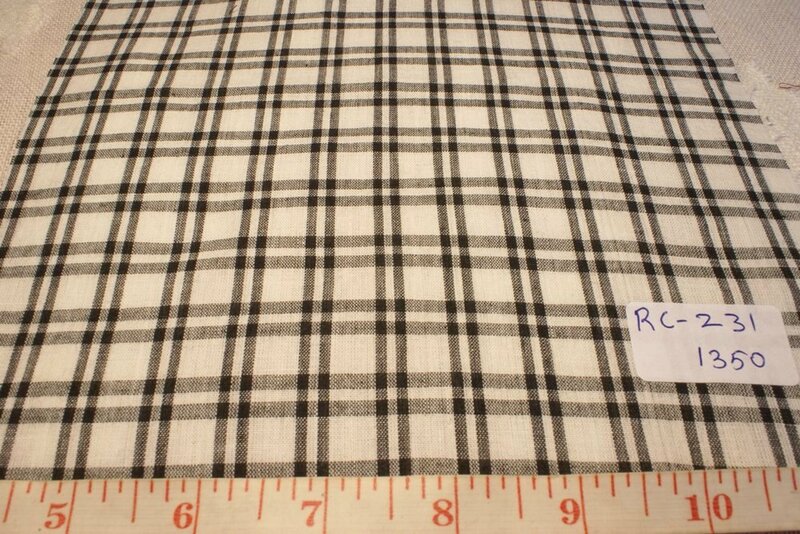 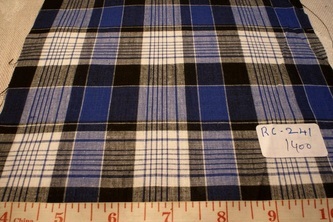 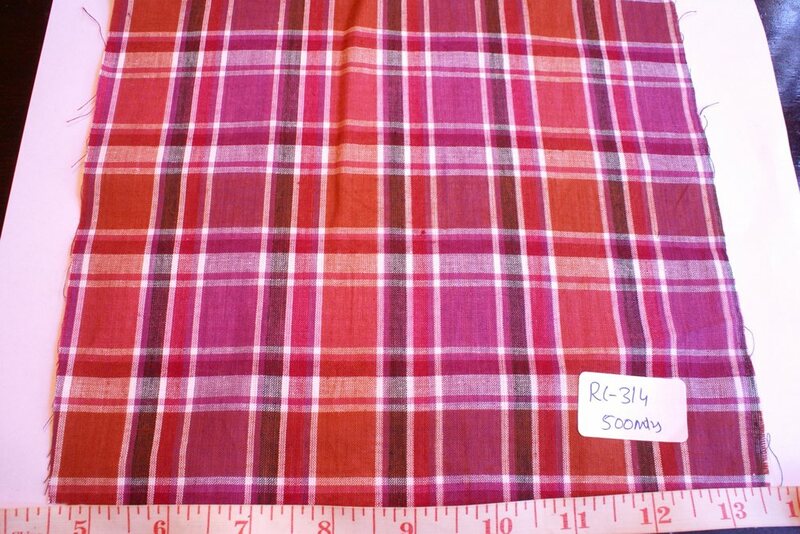 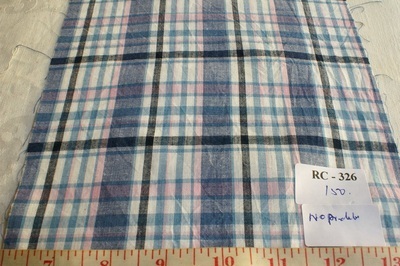 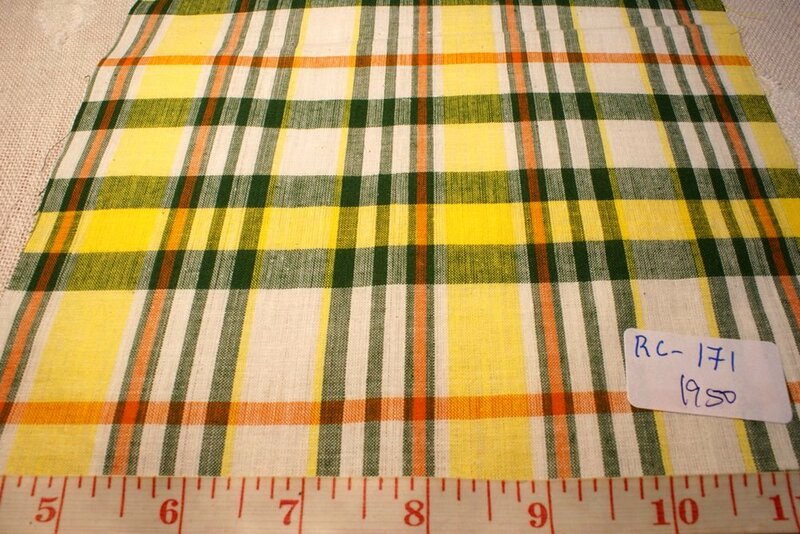 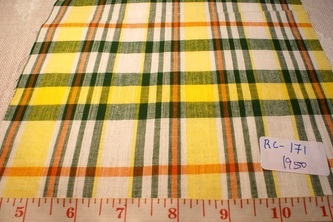 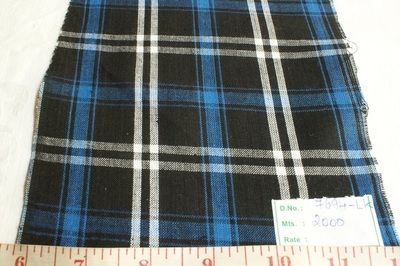 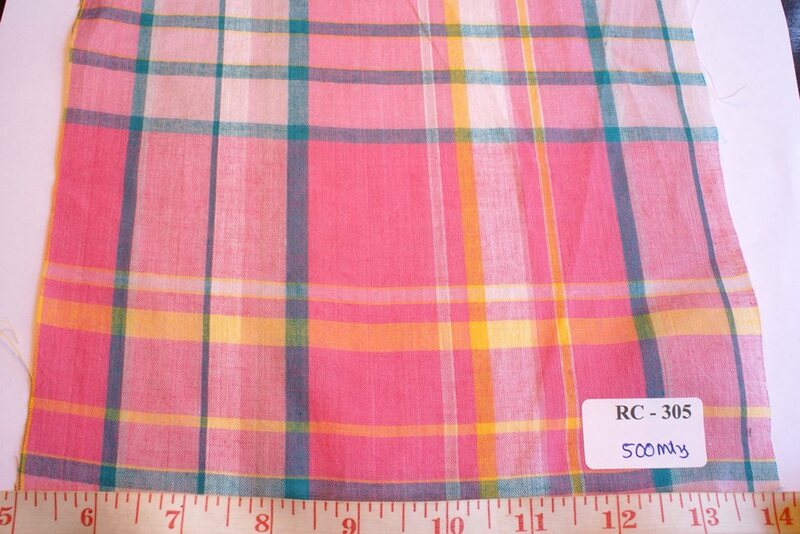 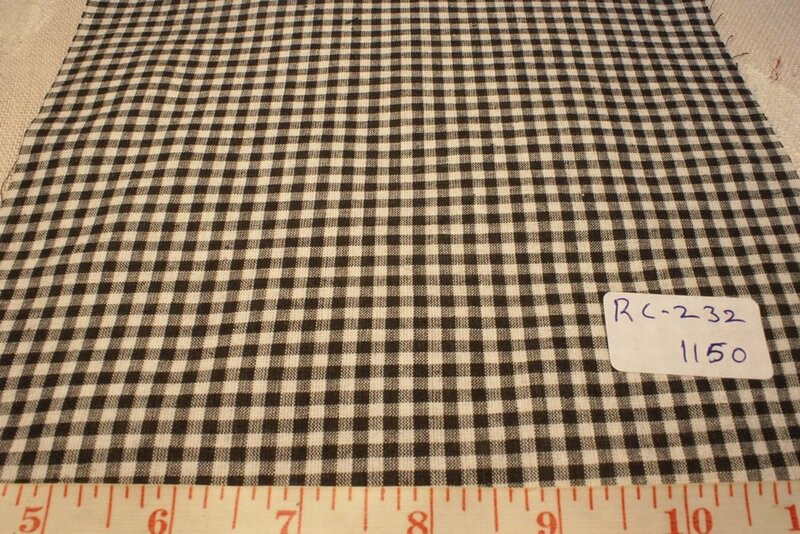 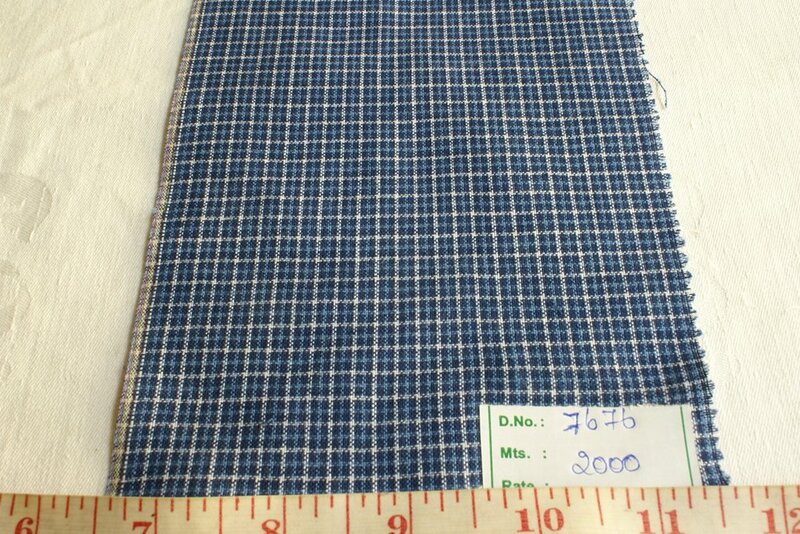 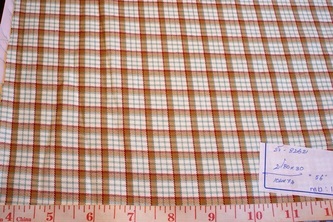 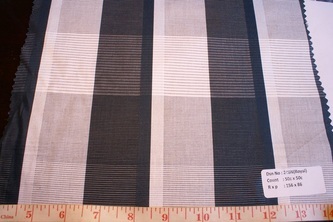 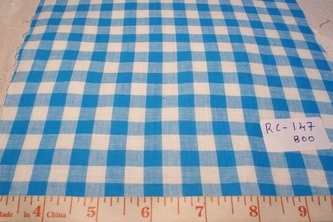 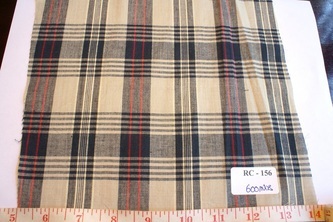 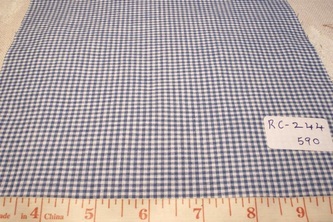 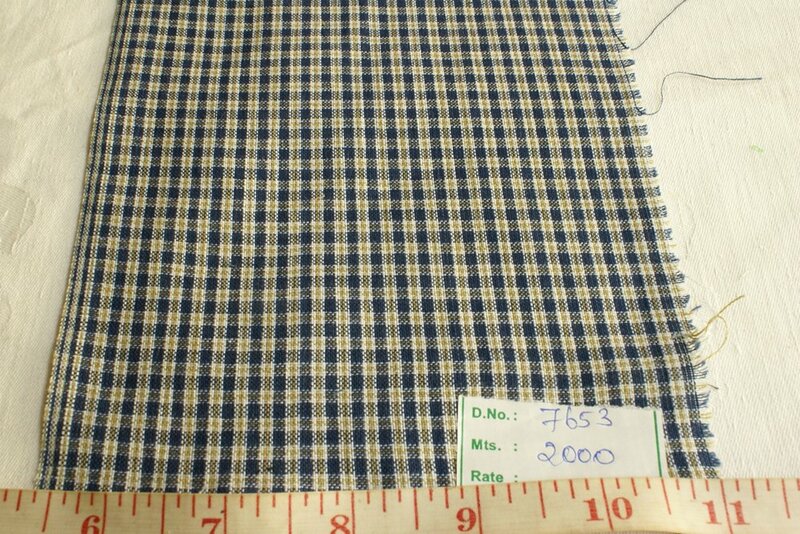 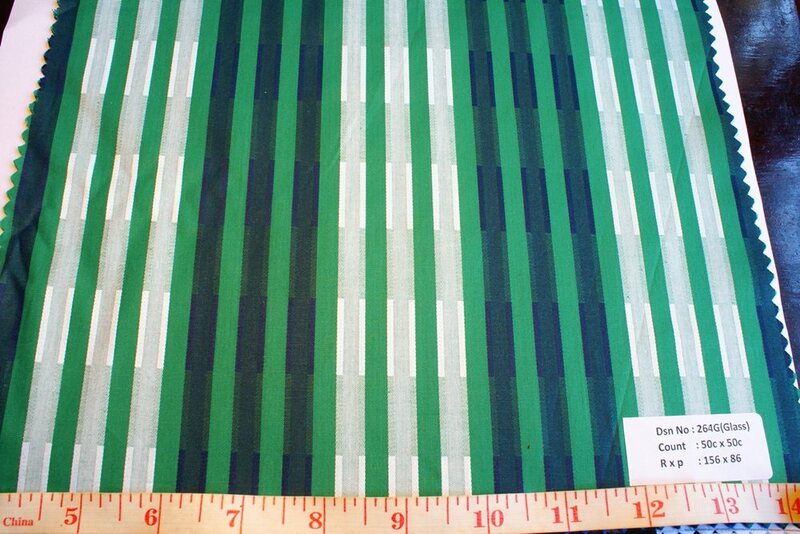 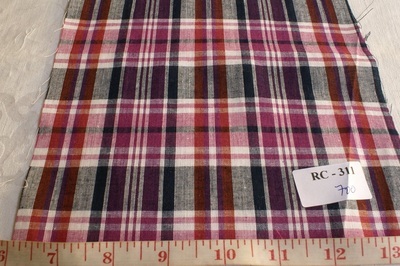 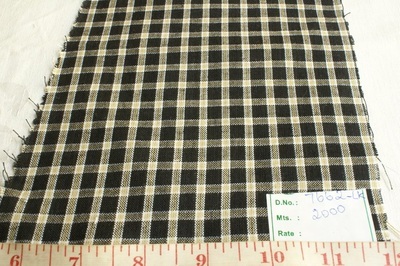 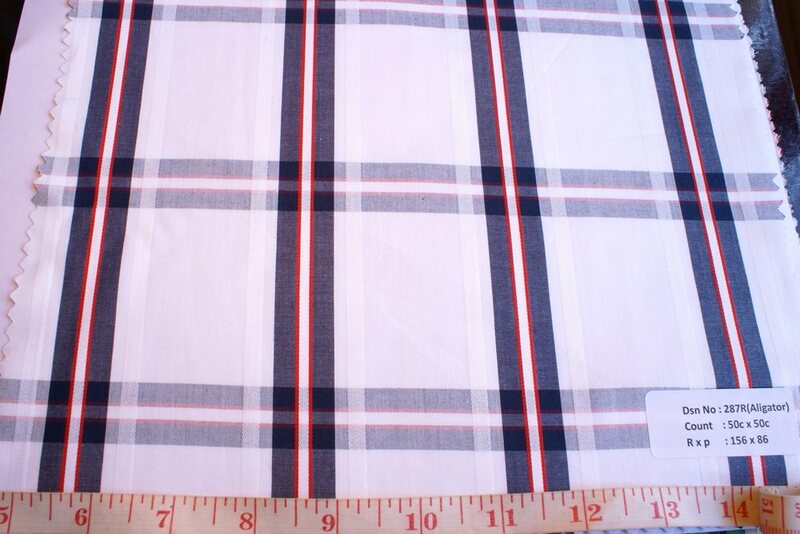 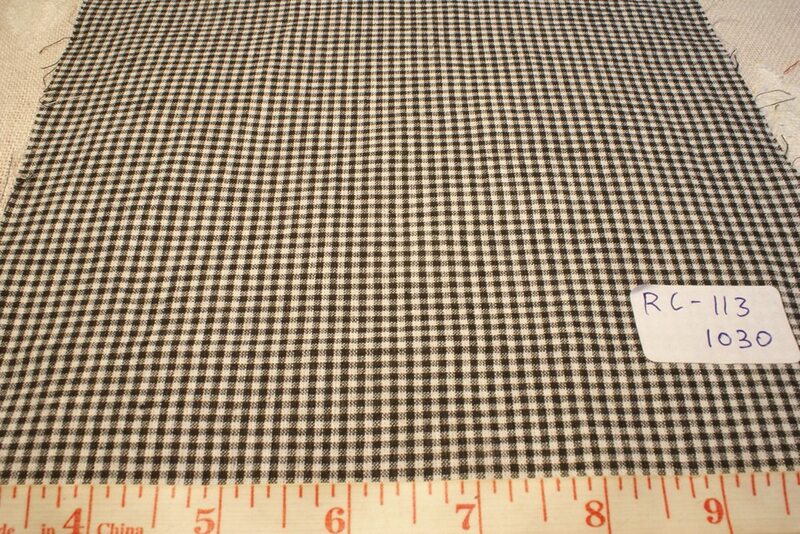 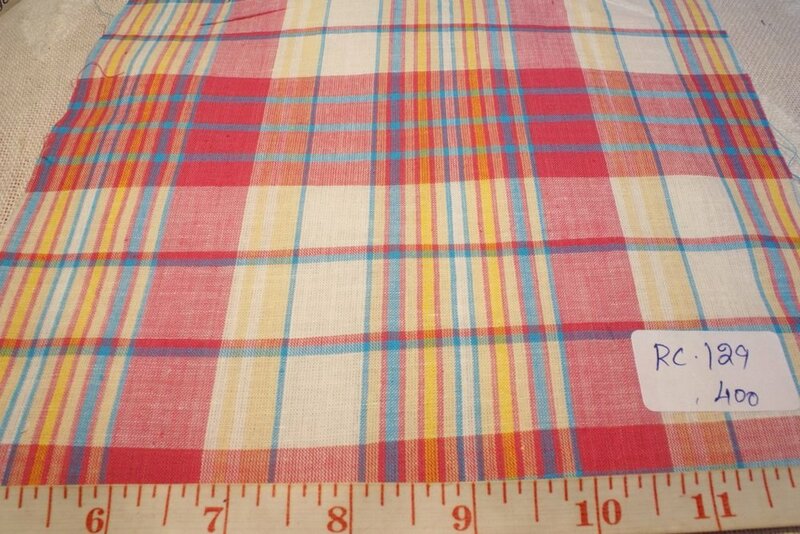 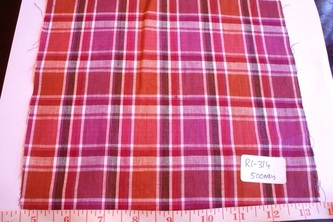 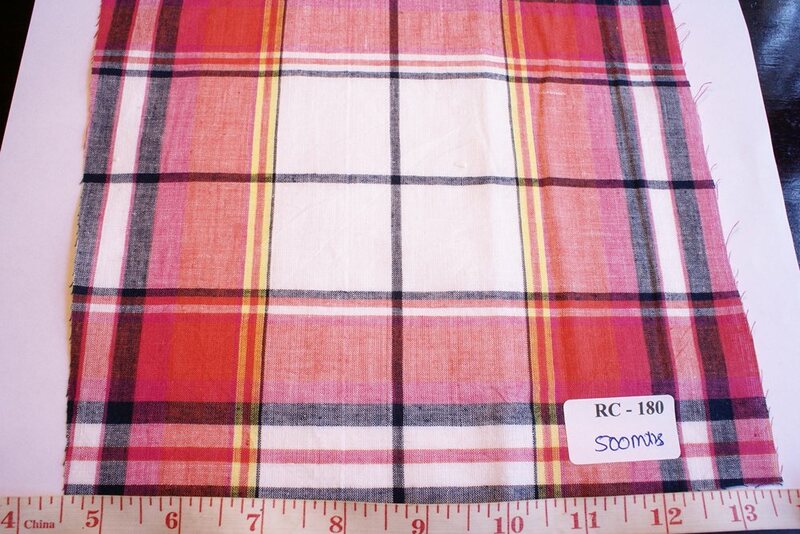 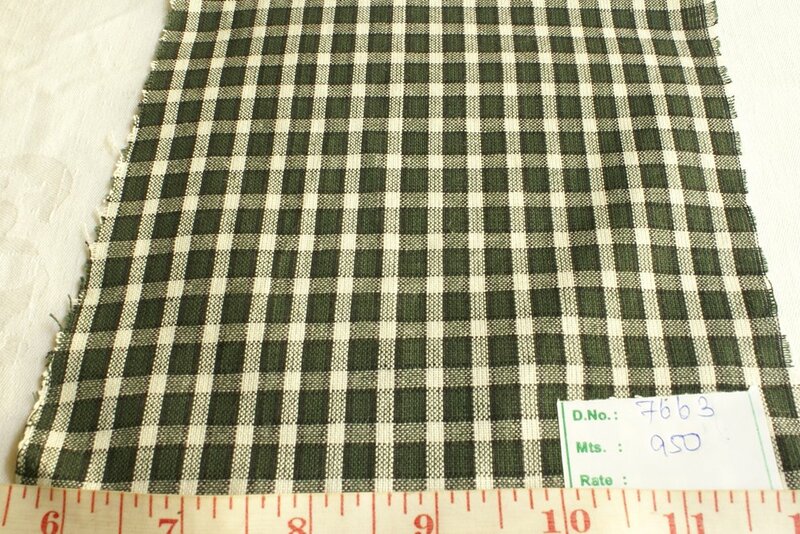 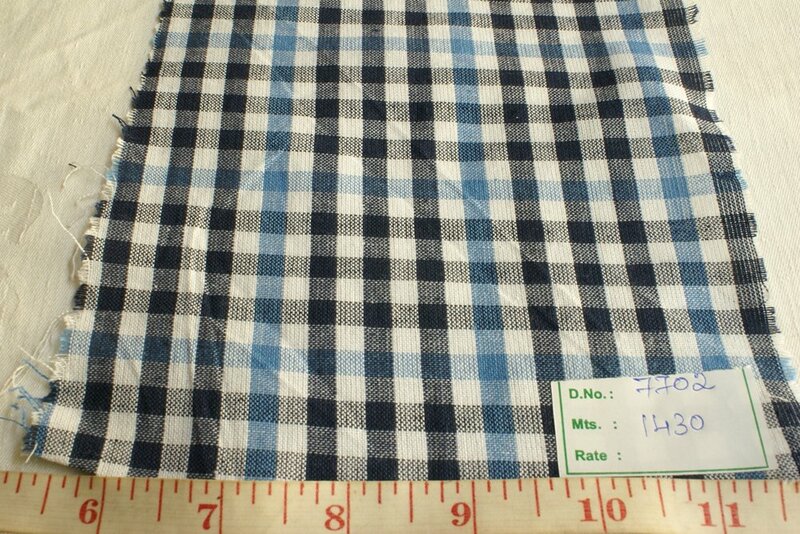 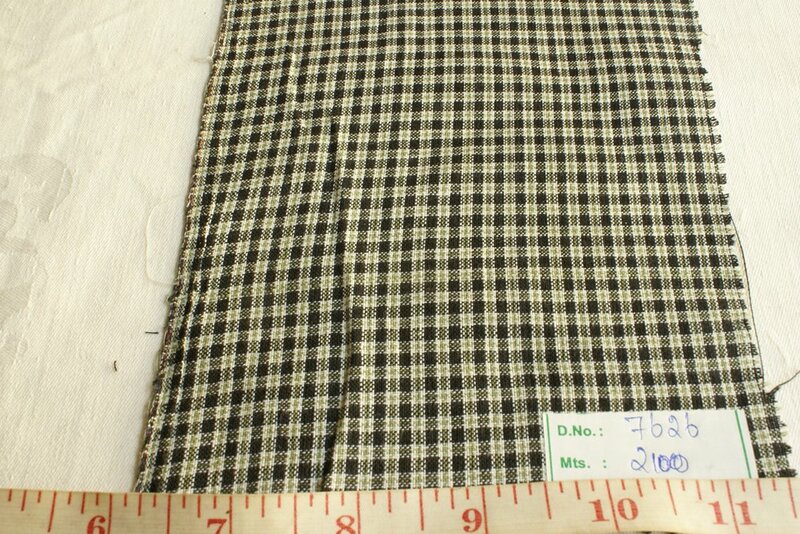 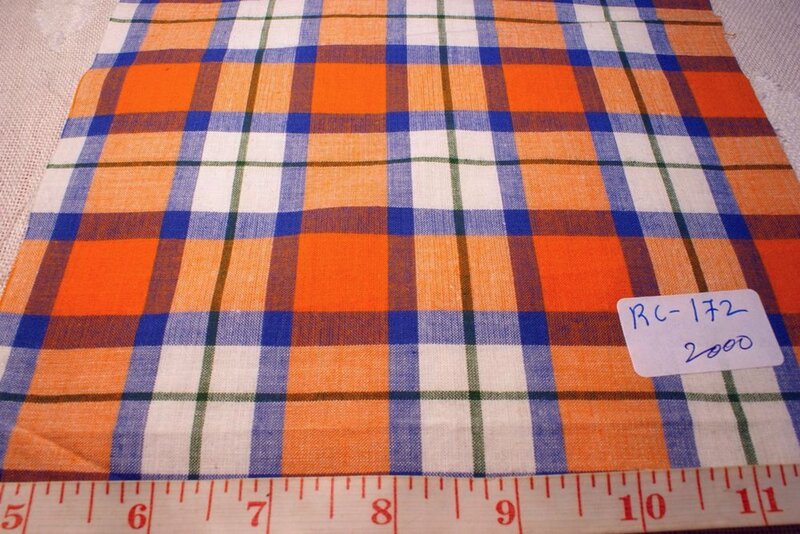 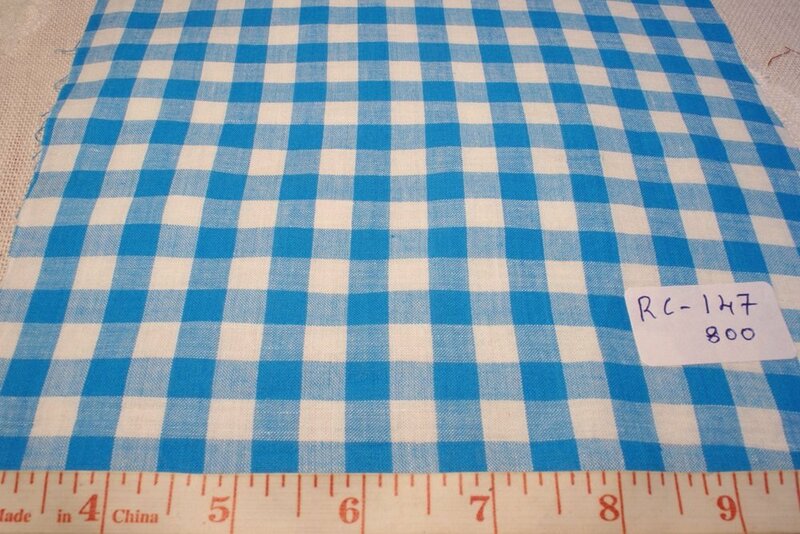 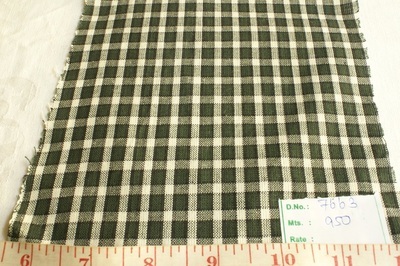 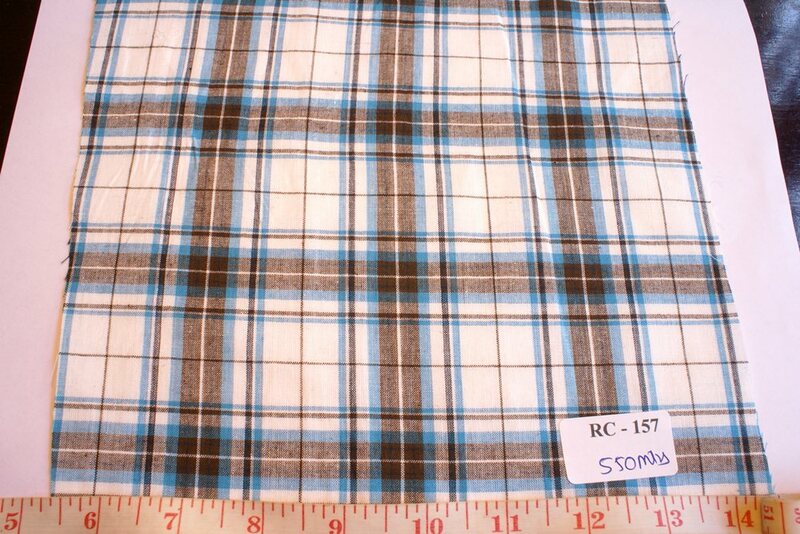 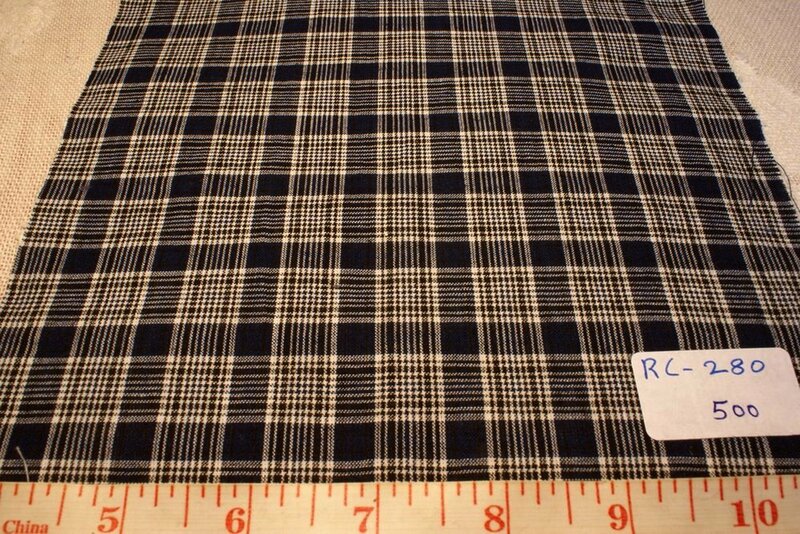 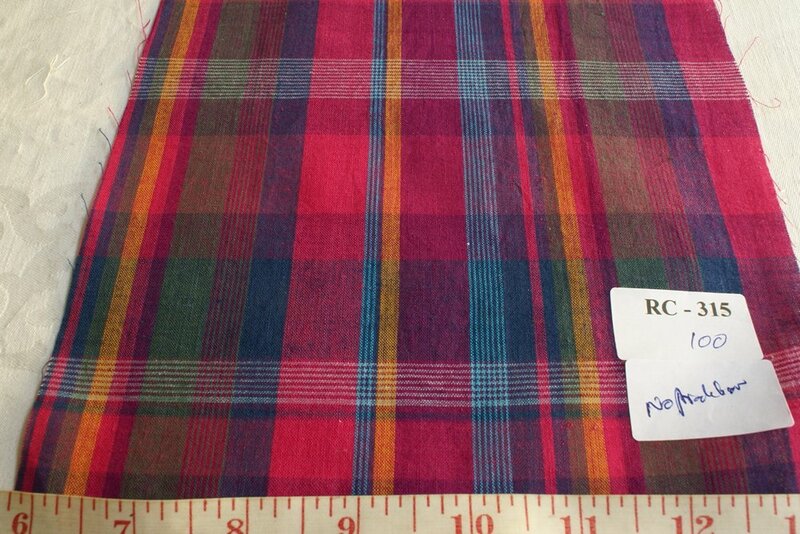 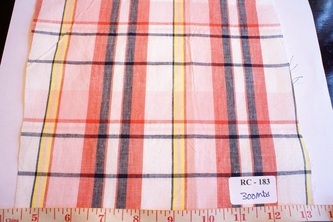 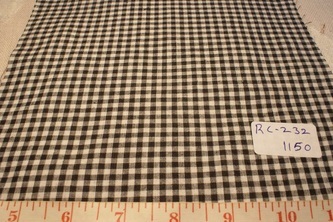 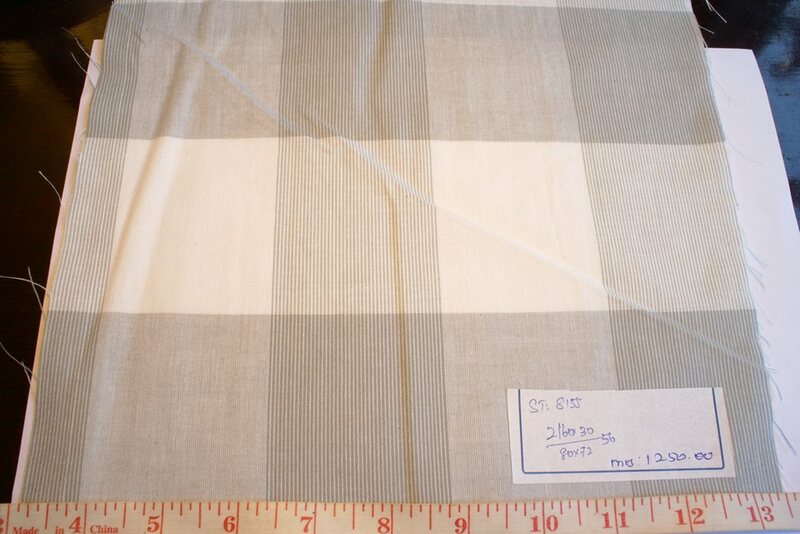 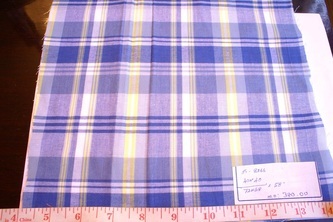 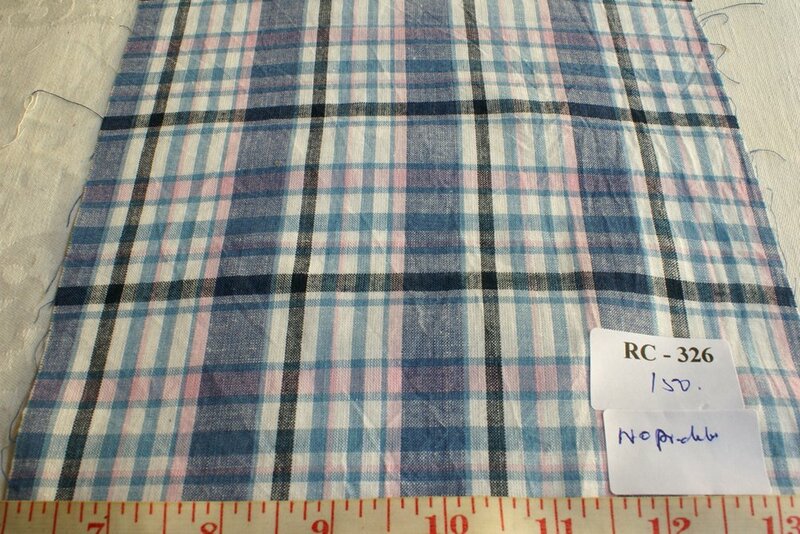 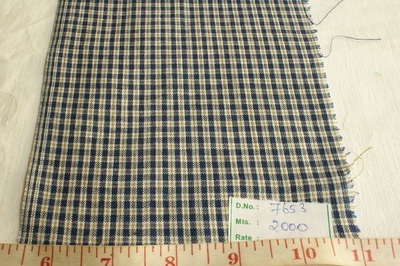 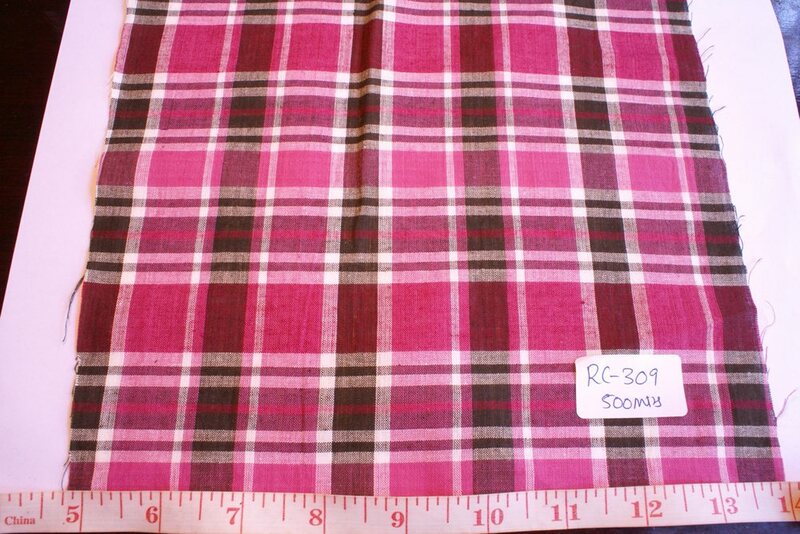 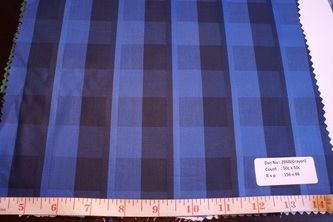 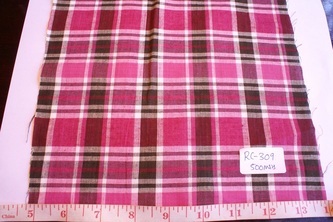 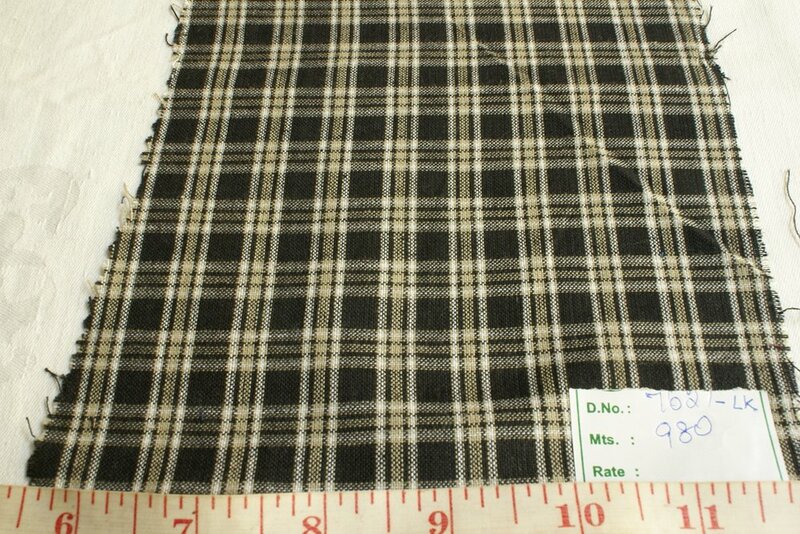 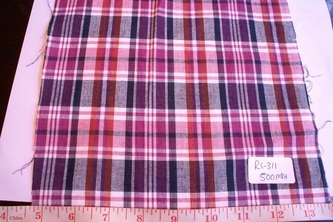 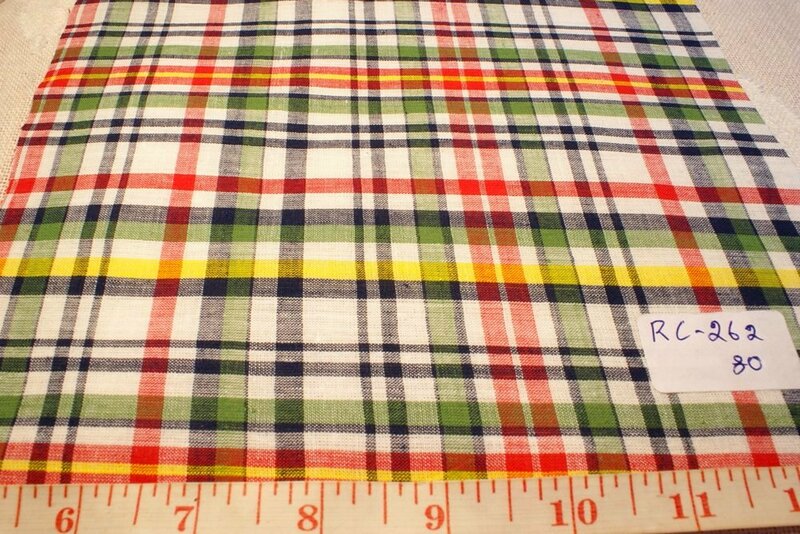 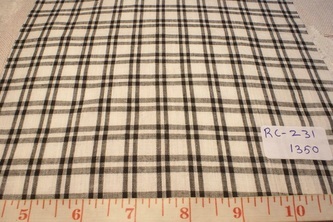 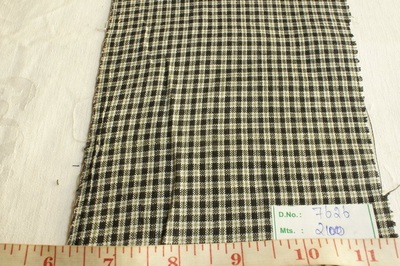 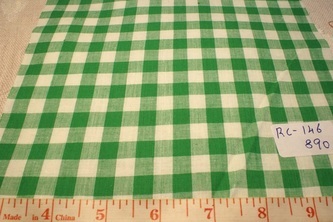 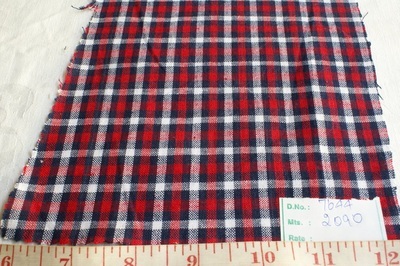 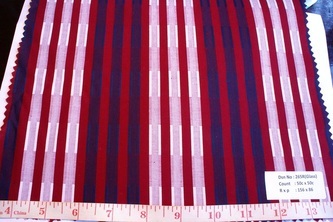 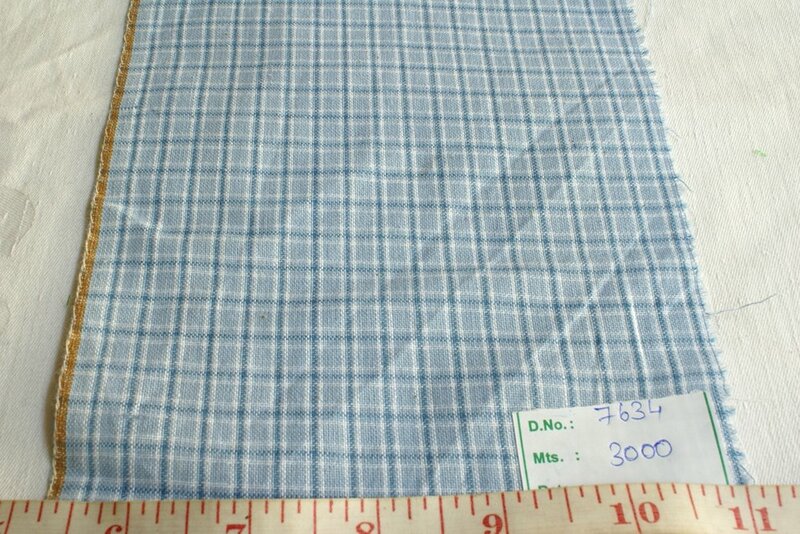 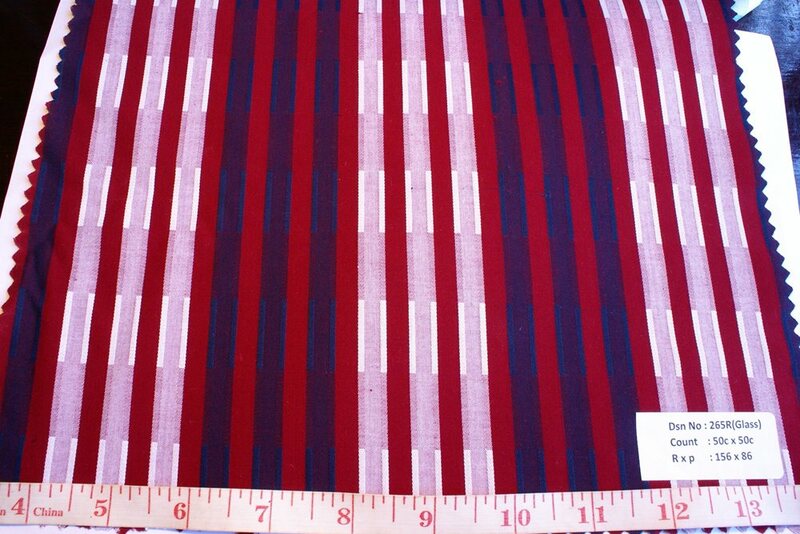 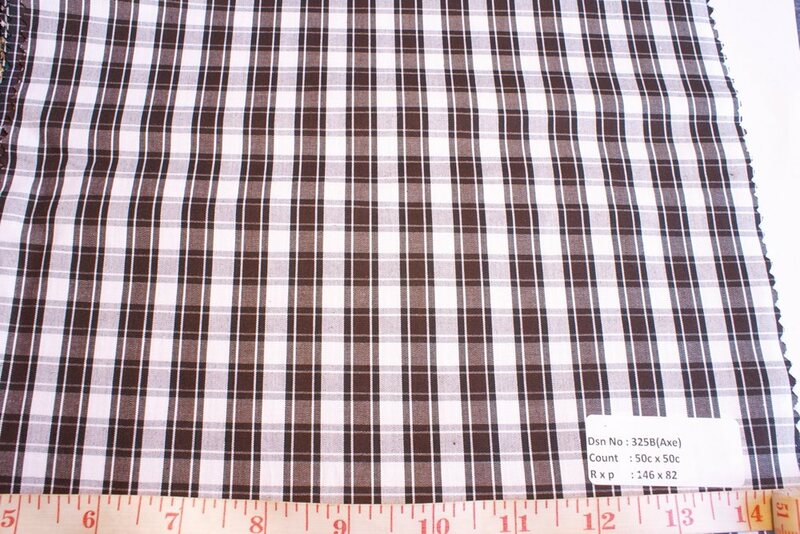 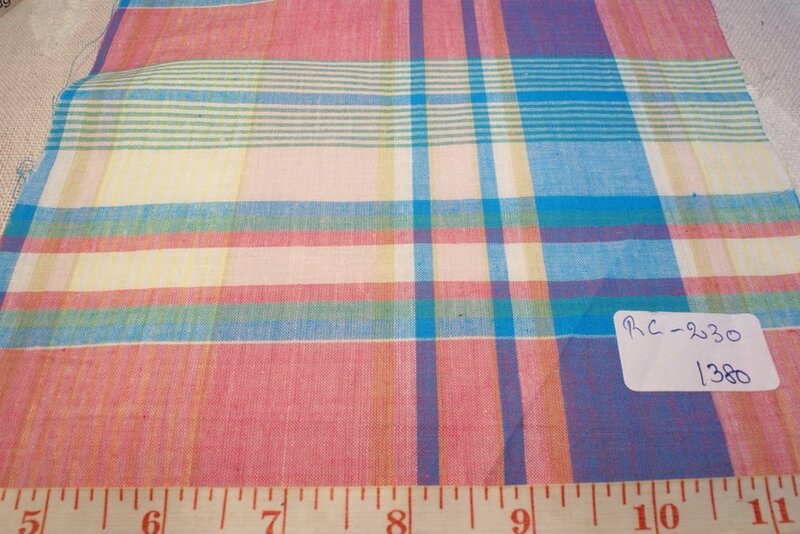 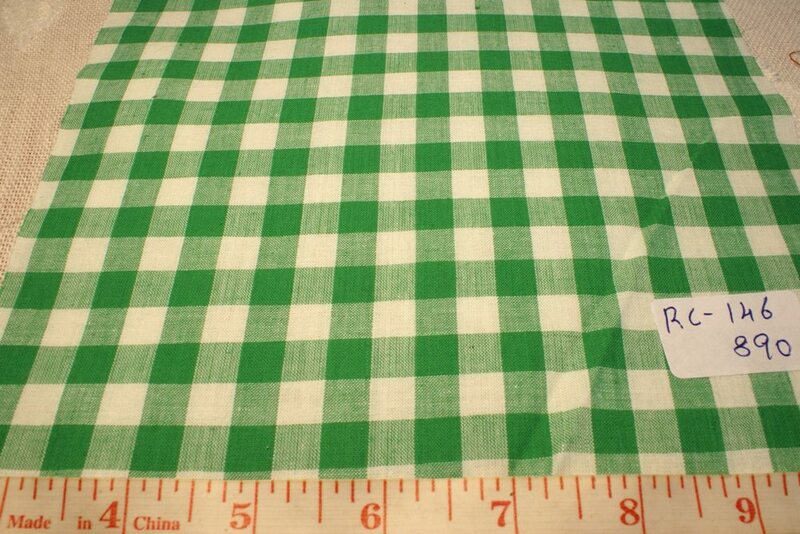 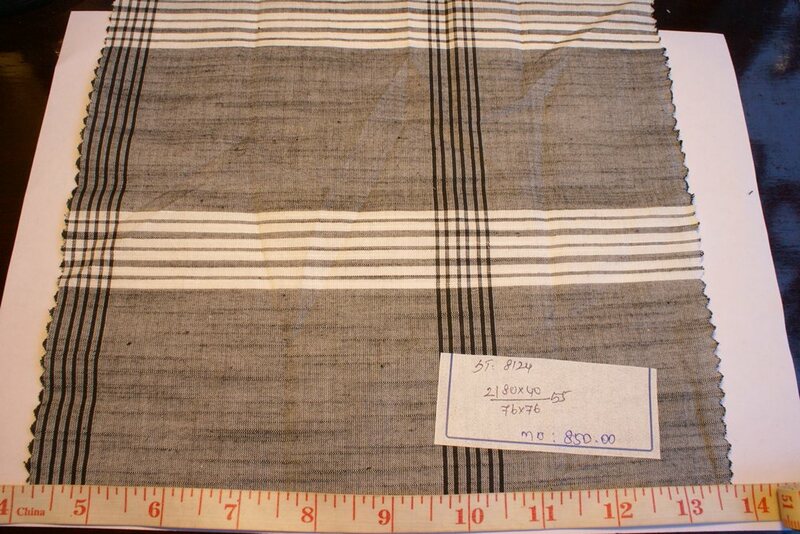 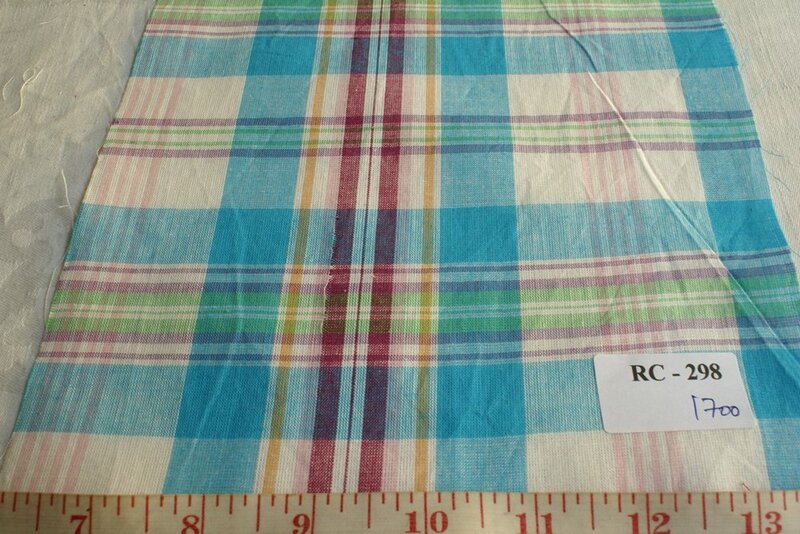 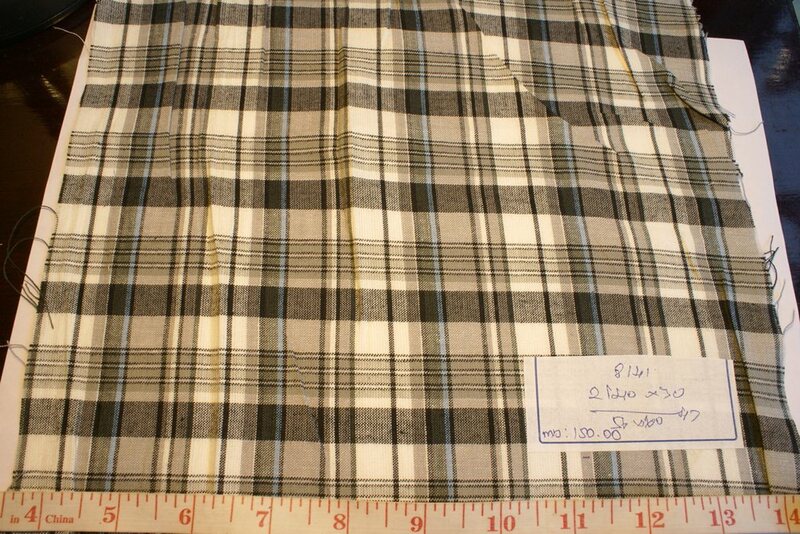 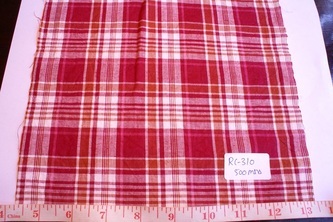 Madras is the city in India, which this fabric is named after. 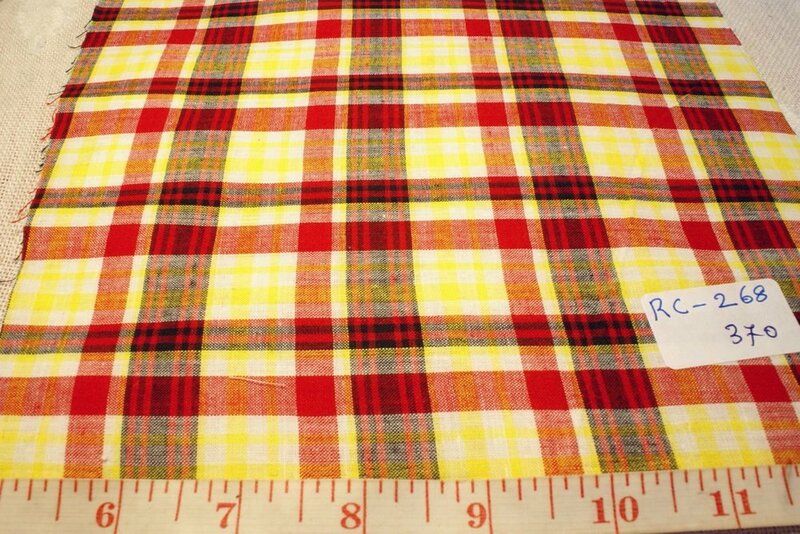 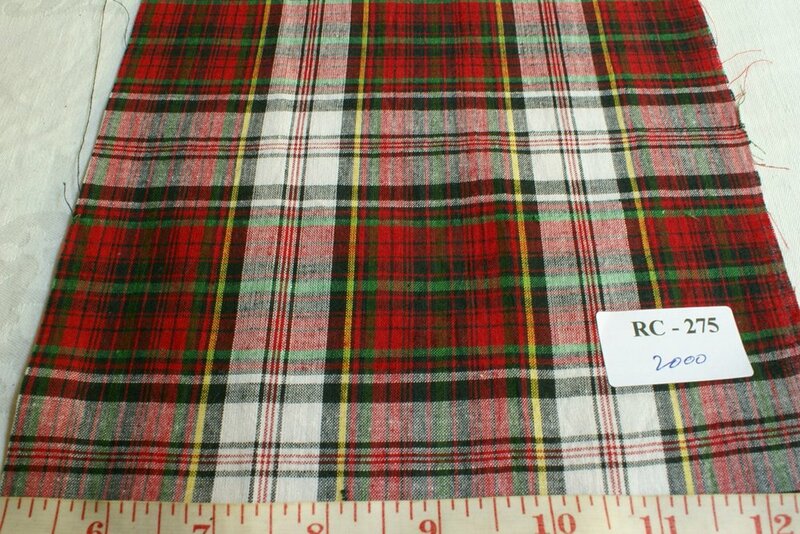 Madras plaid fabric was popularised by the preppy set of people who attended ivy league schools, played tennis, golf, were members at their Country Club, and vacationed in the Hamptons, Martha's Vineyard, New England and Nantucket / Cape Cod. 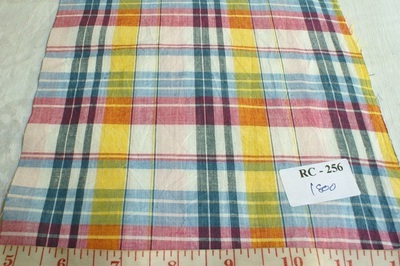 Hence, Madras became the staple fabric with the preppies, and preppy soon became best expressed by wearing madras. Madras plaids, also known as madras checks, are worn as shirts, beach shorts, sportcoats and jackets or blazers, skirts, tops and even bowties and handkerchiefs. 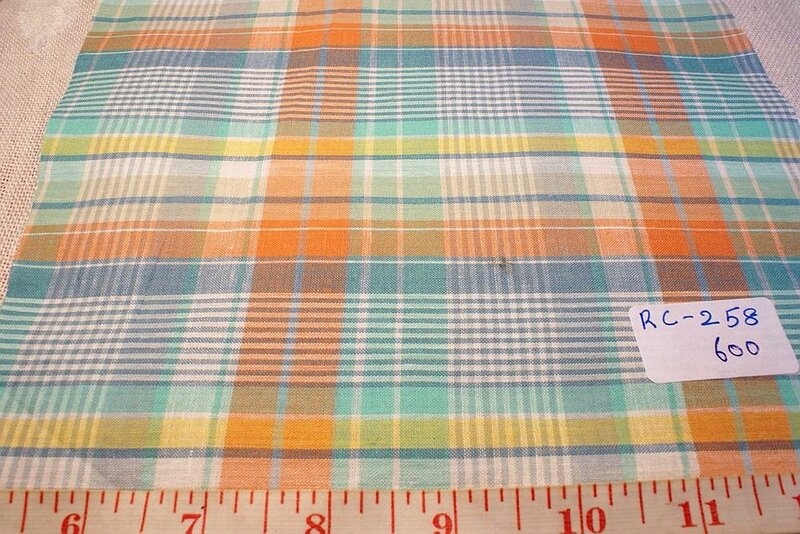 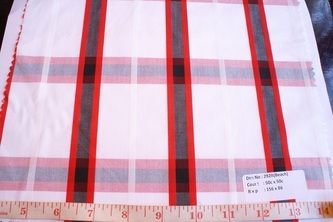 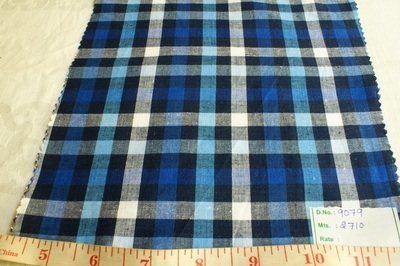 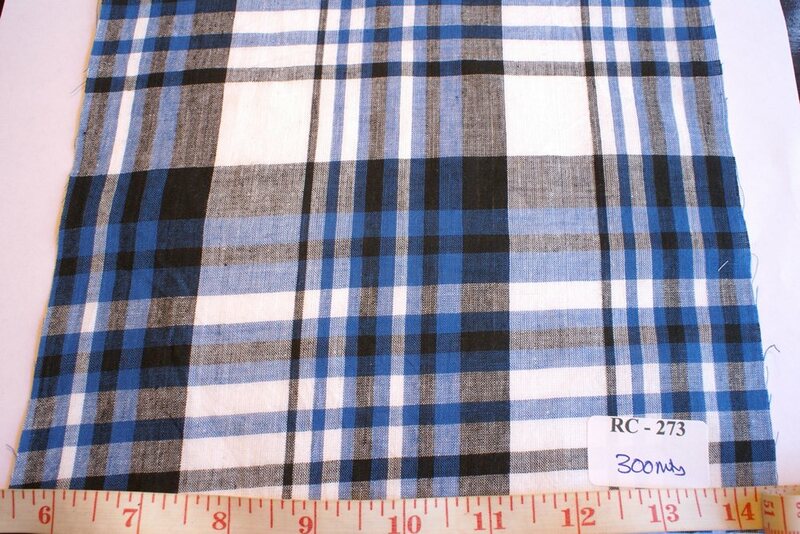 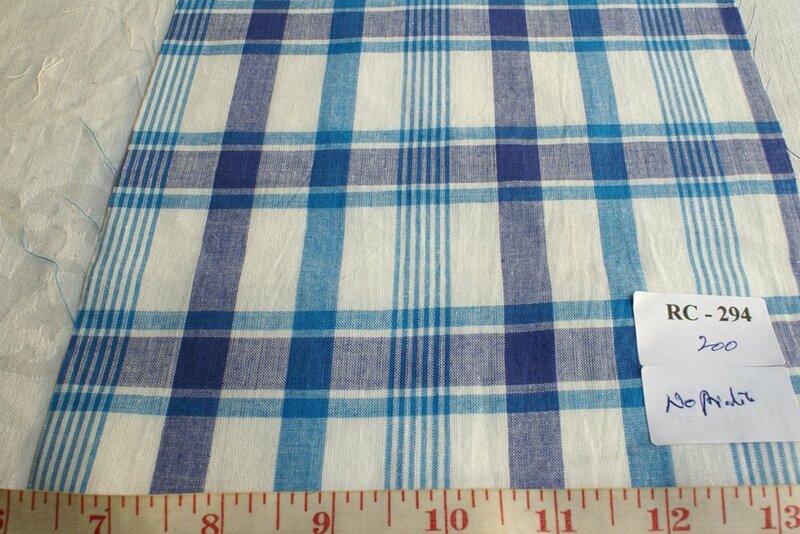 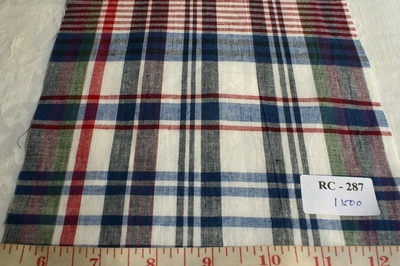 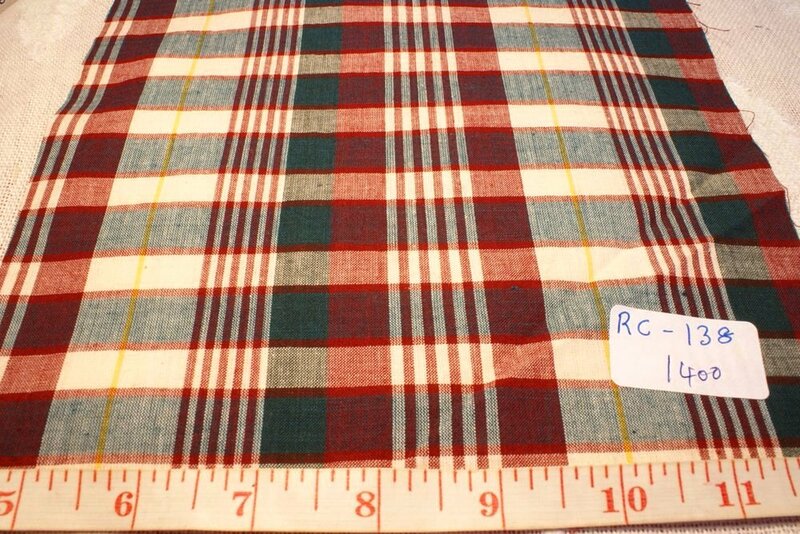 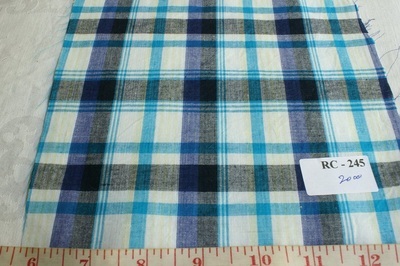 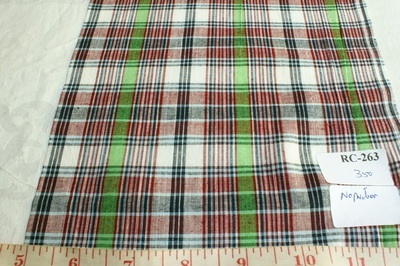 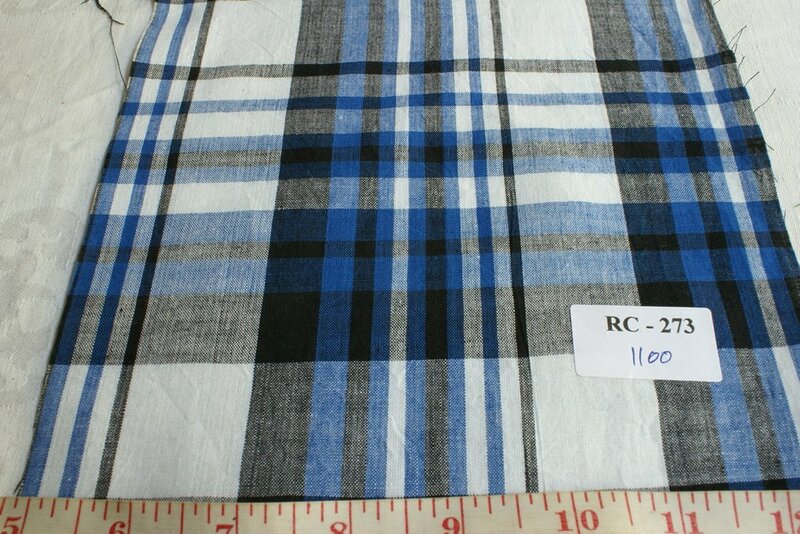 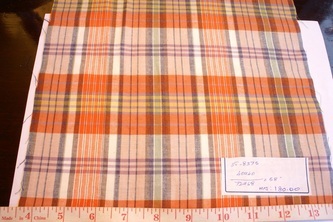 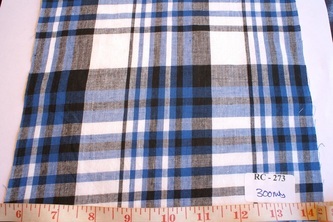 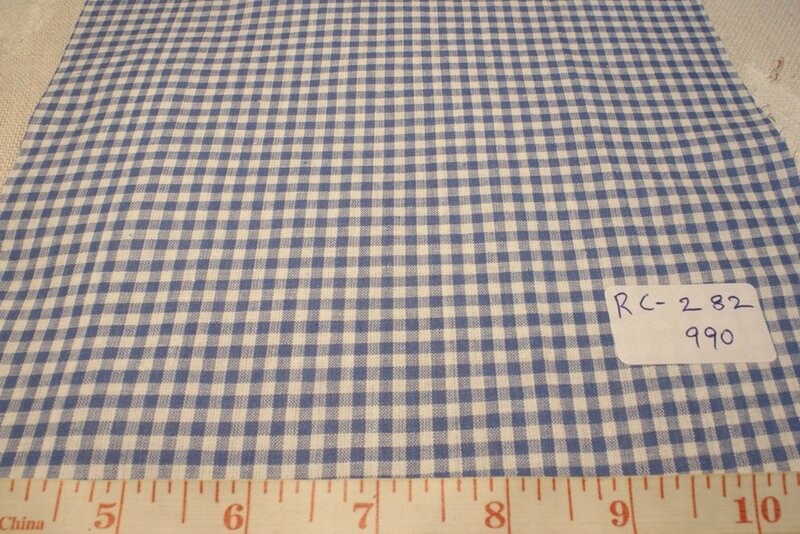 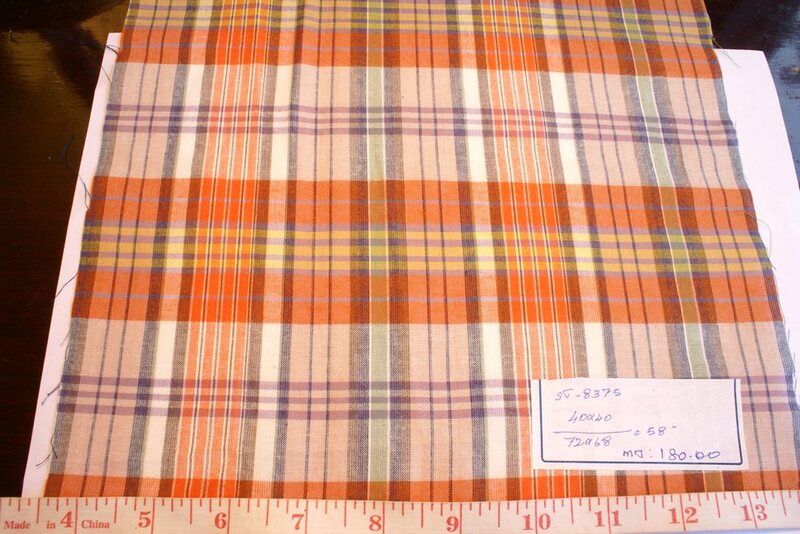 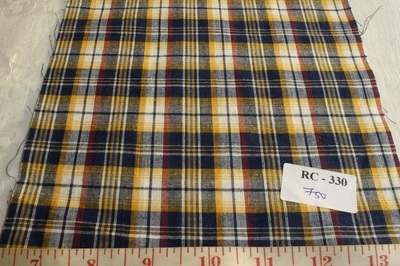 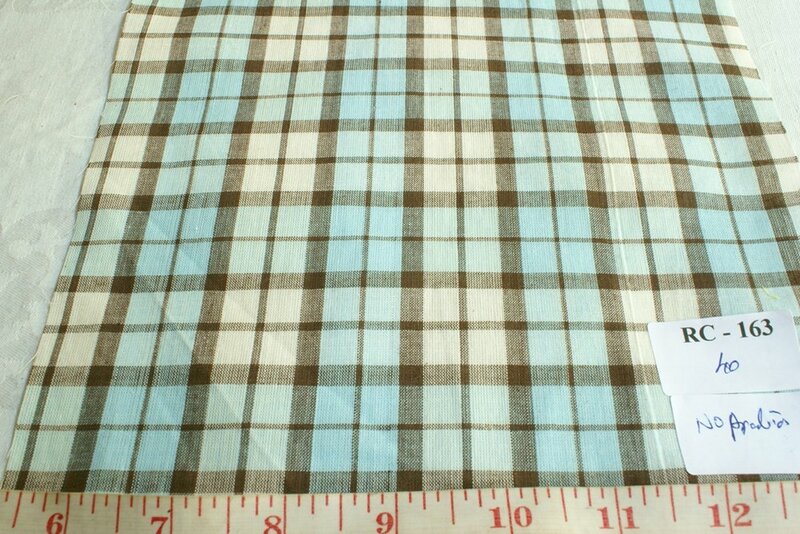 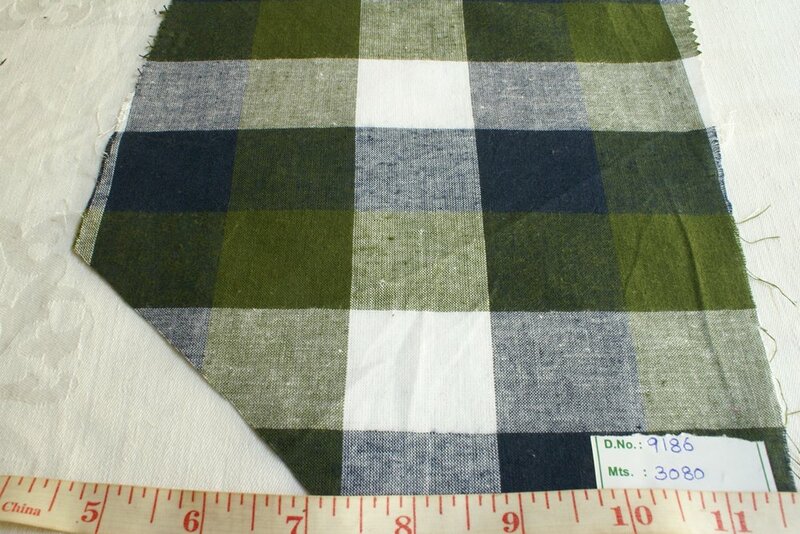 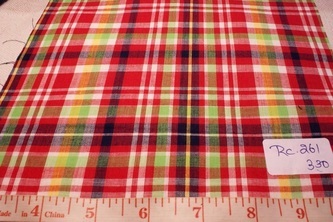 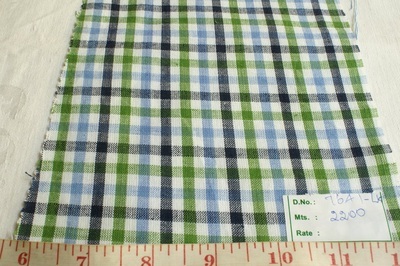 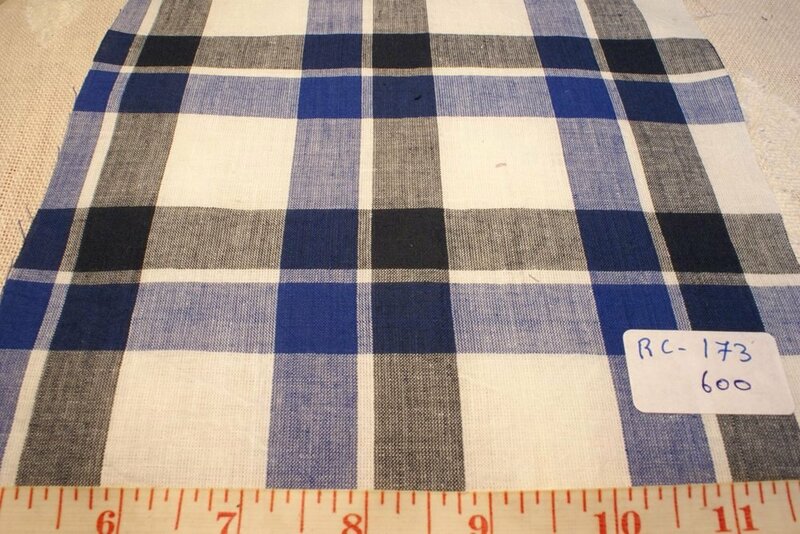 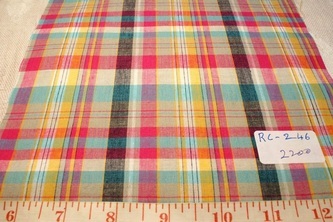 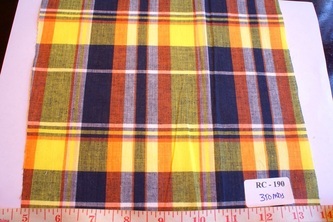 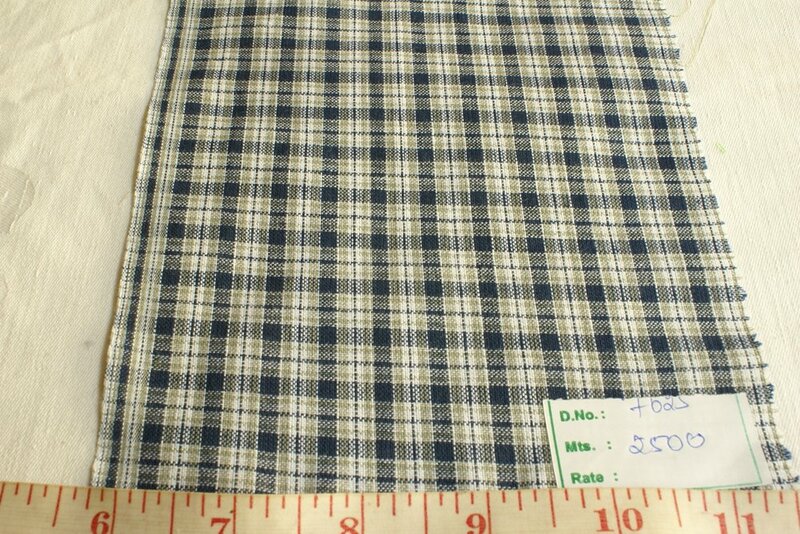 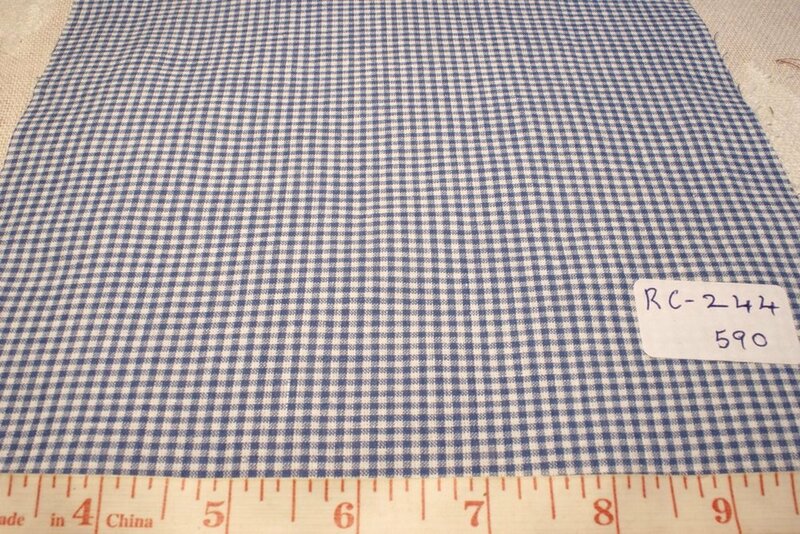 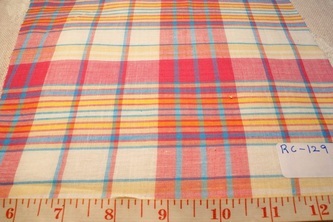 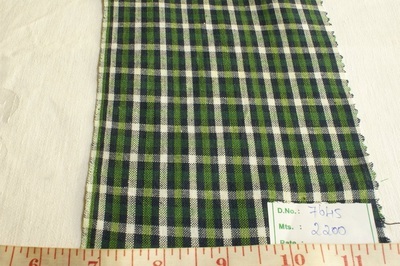 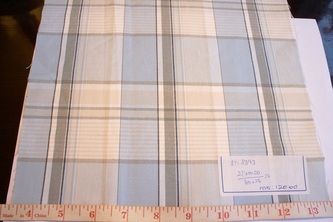 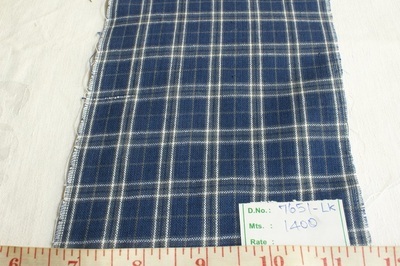 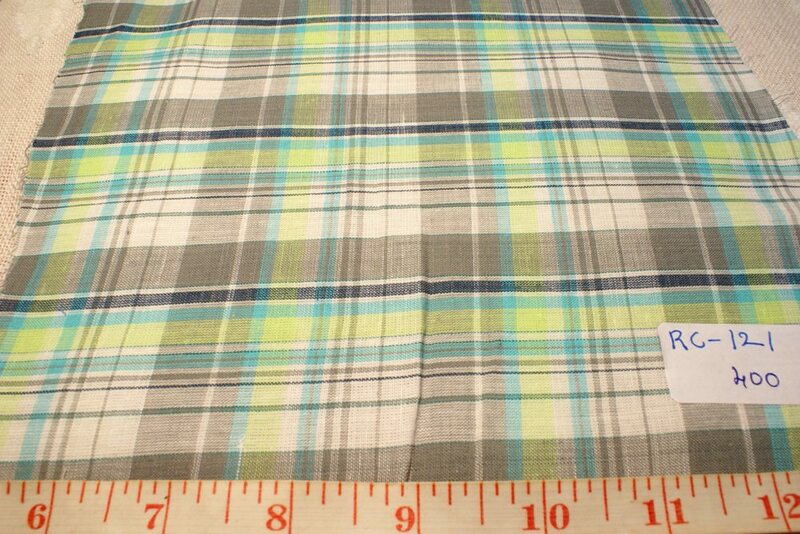 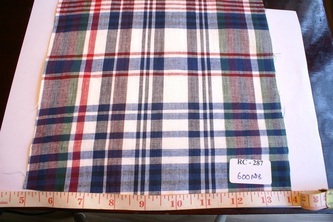 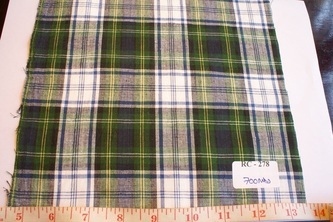 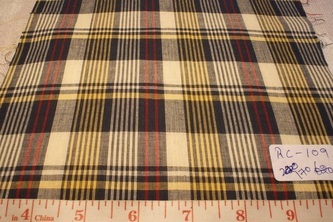 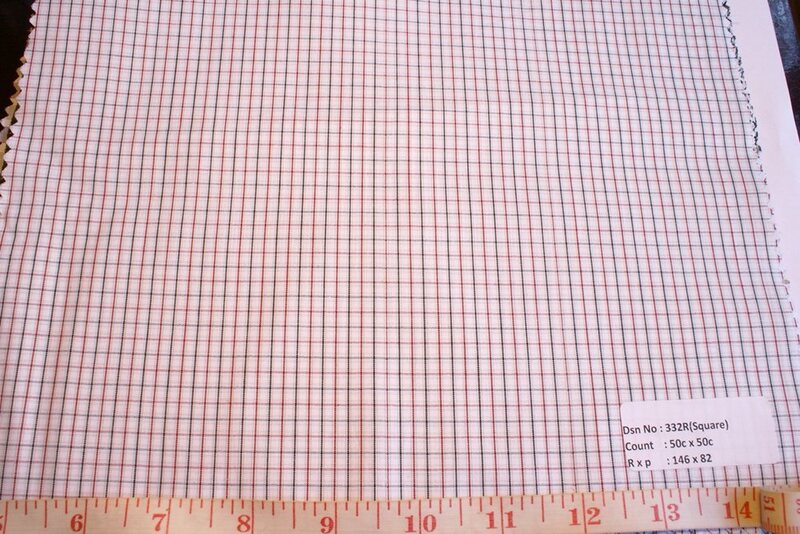 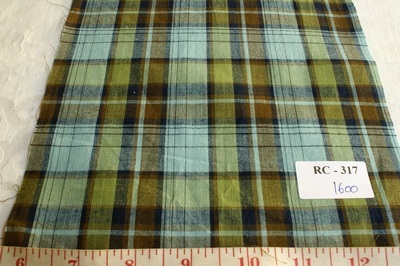 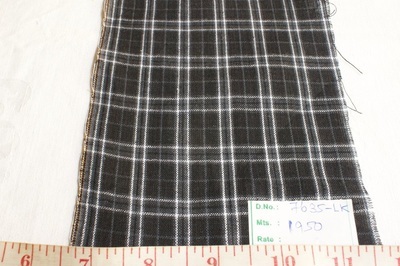 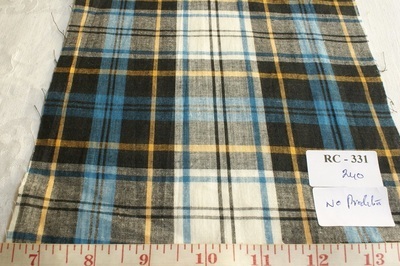 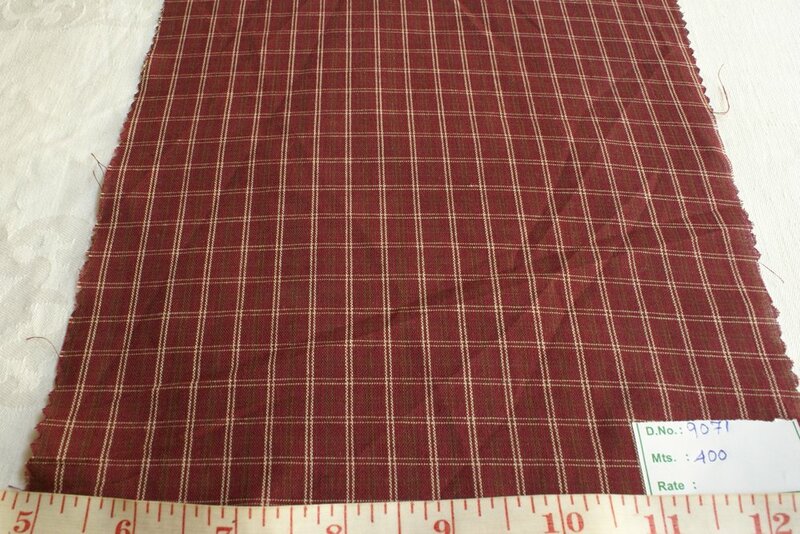 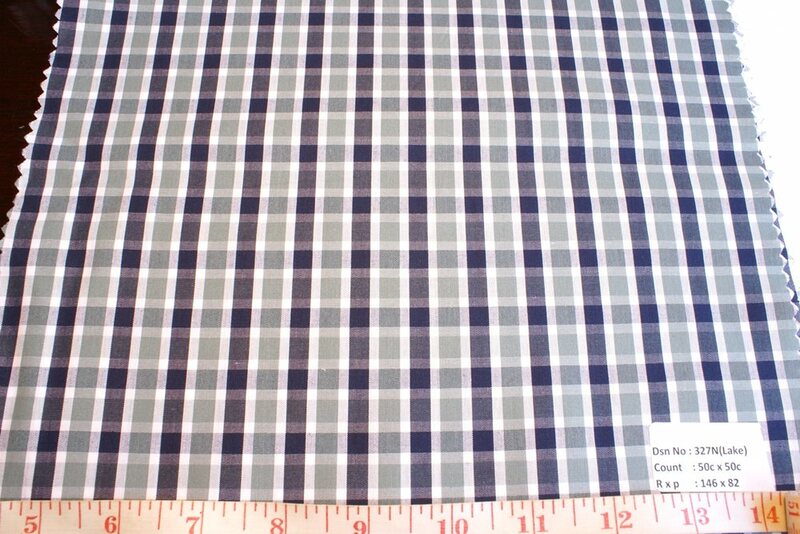 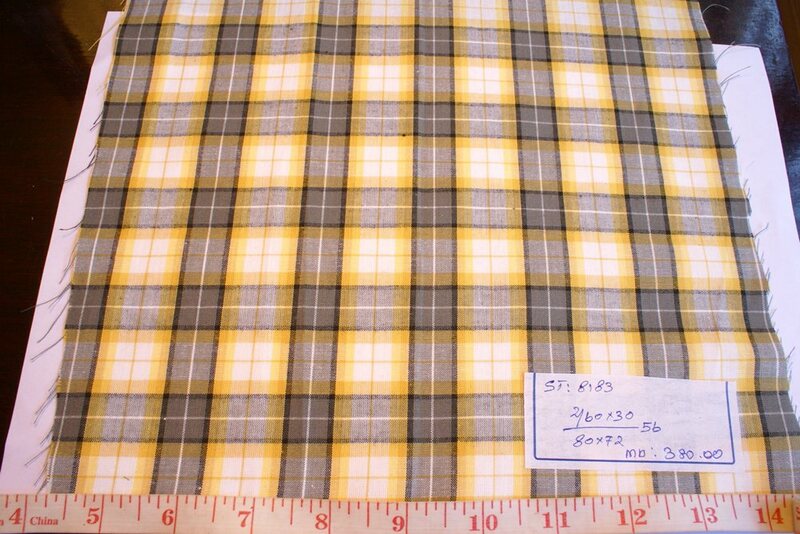 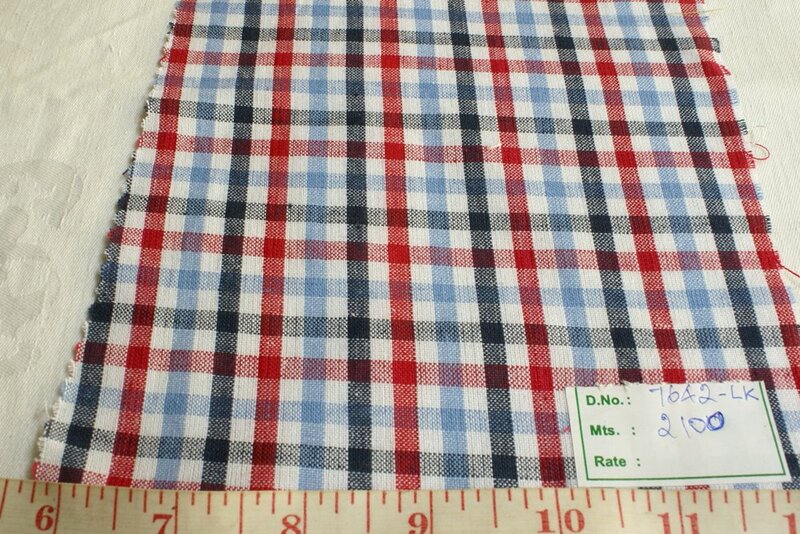 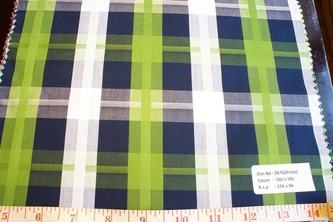 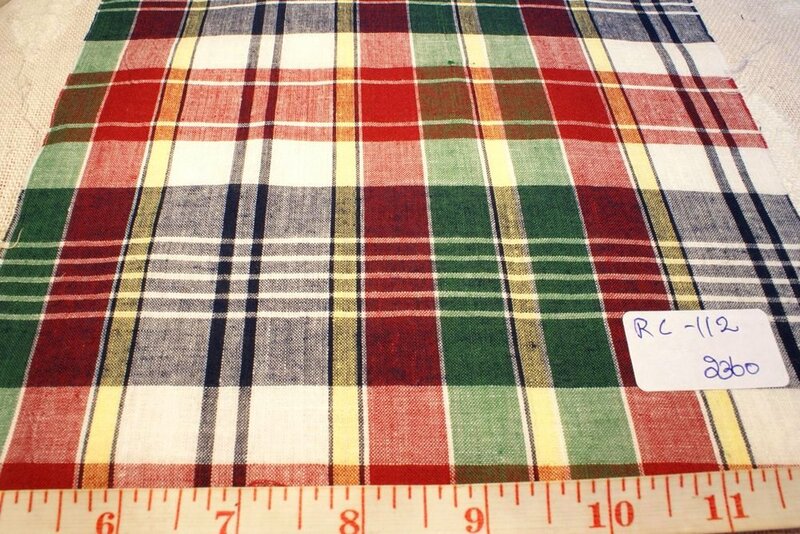 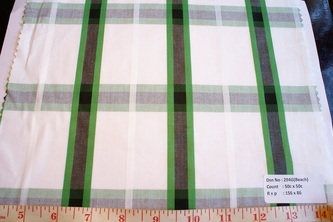 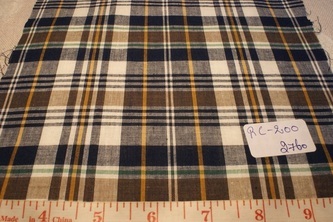 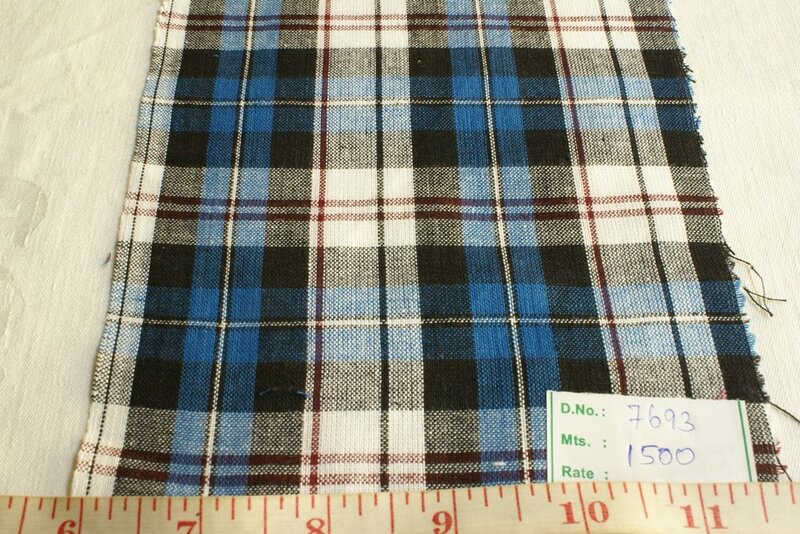 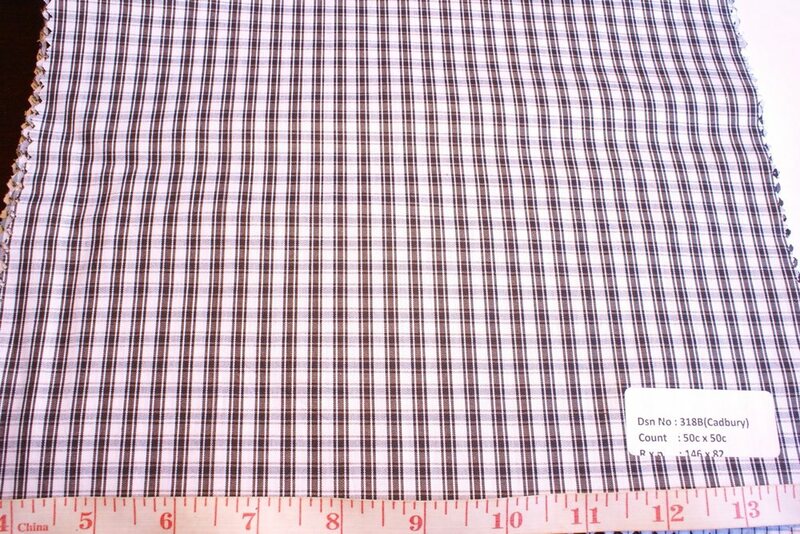 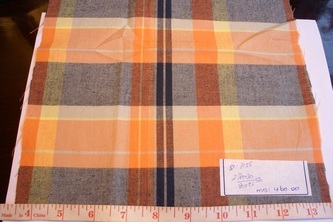 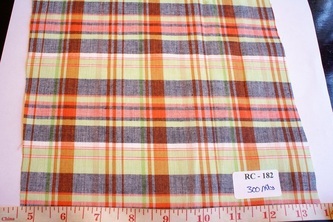 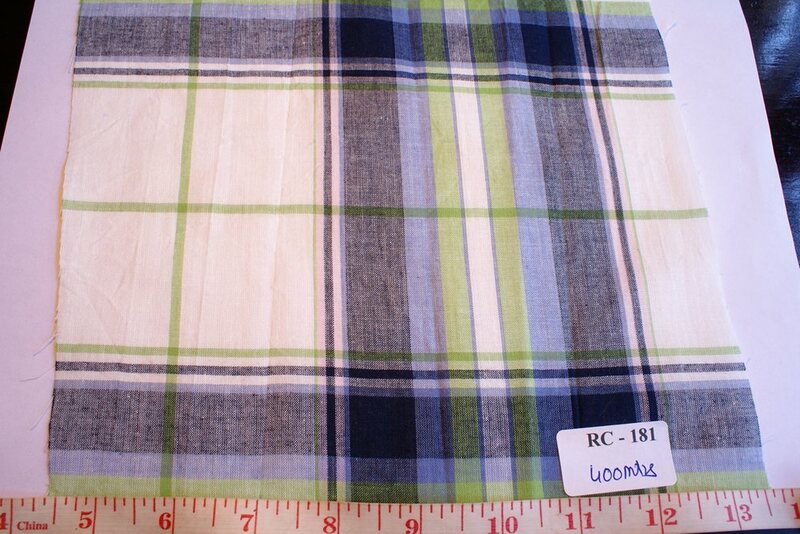 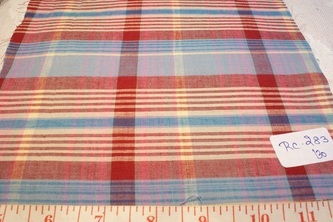 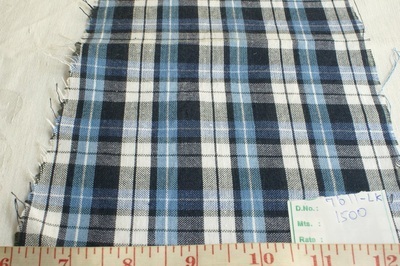 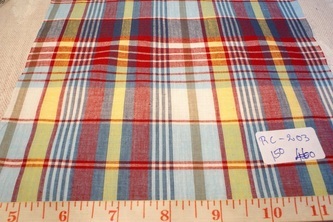 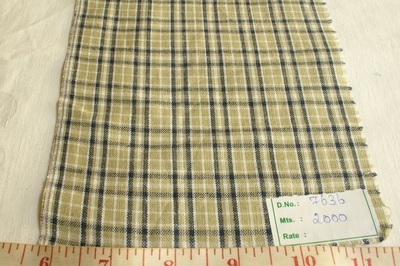 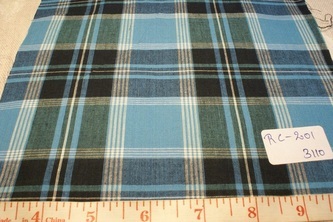 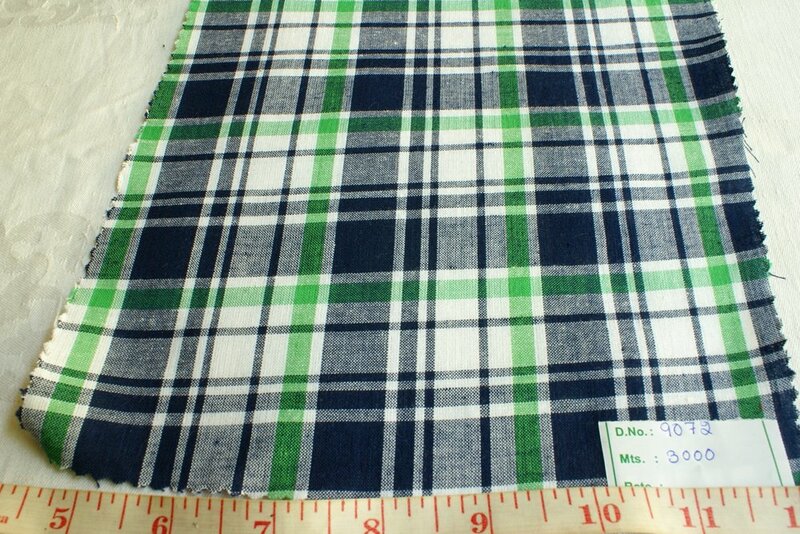 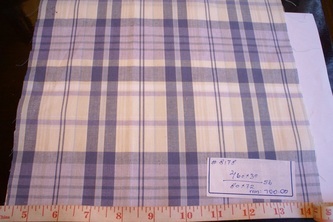 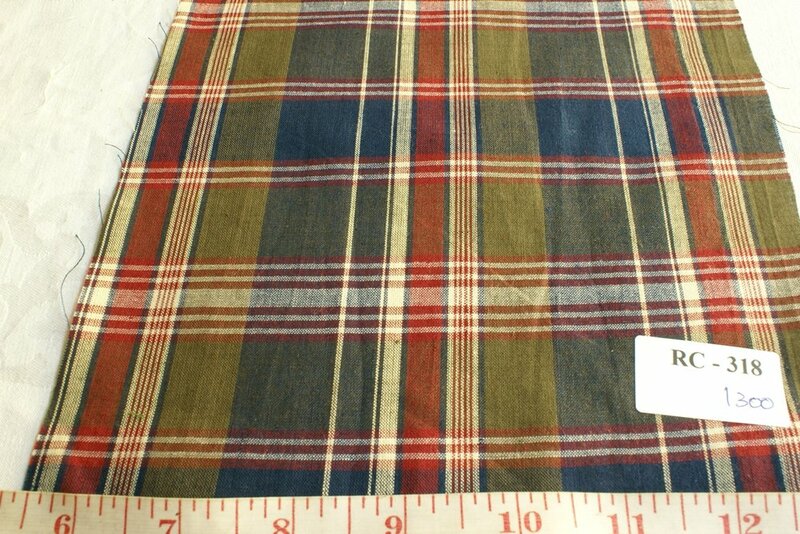 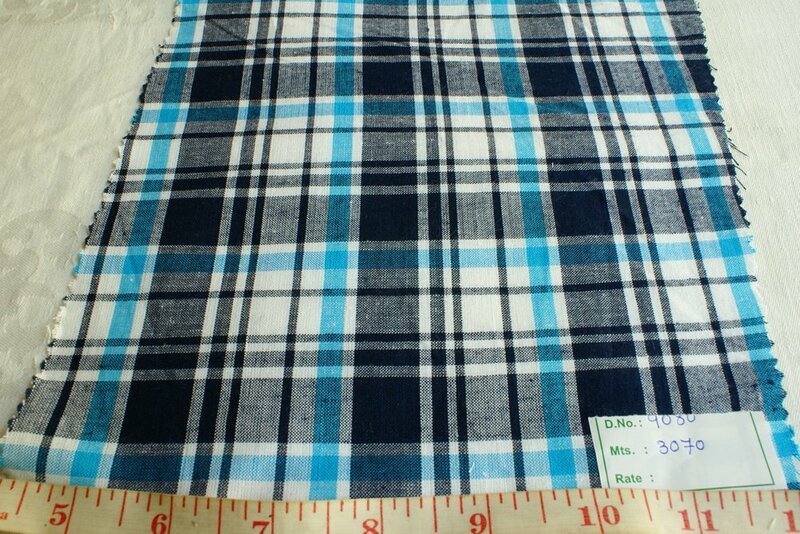 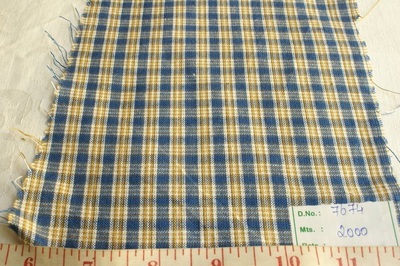 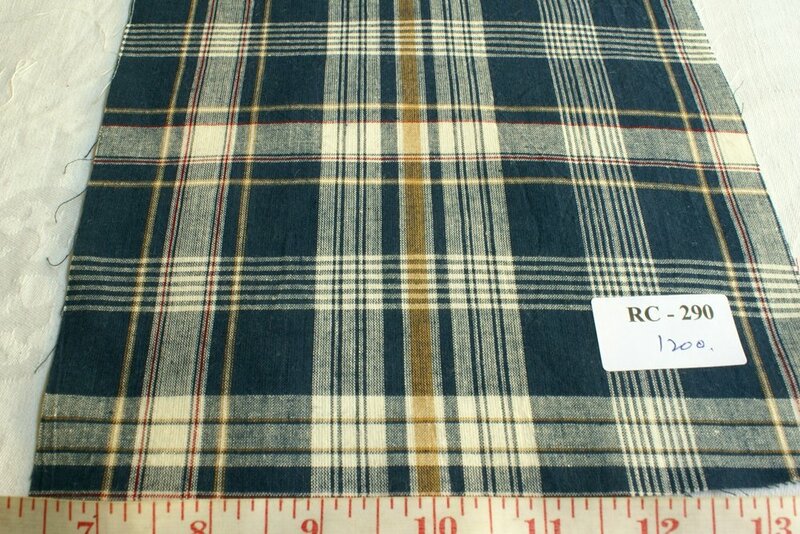 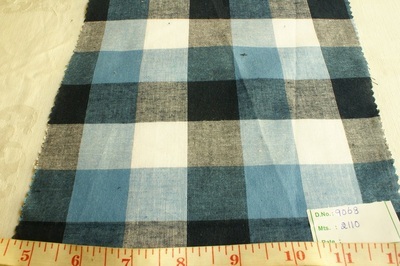 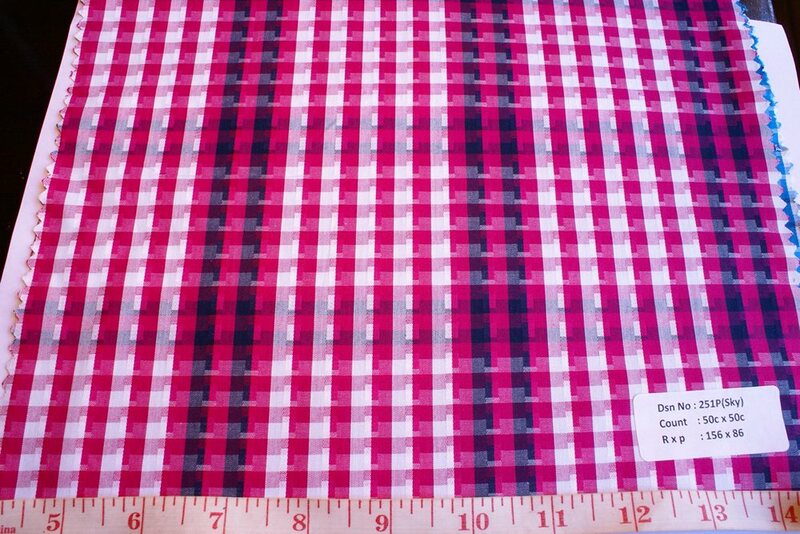 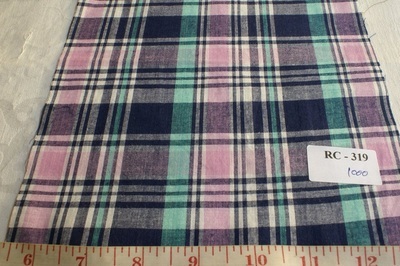 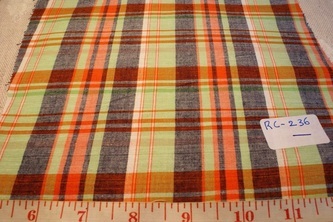 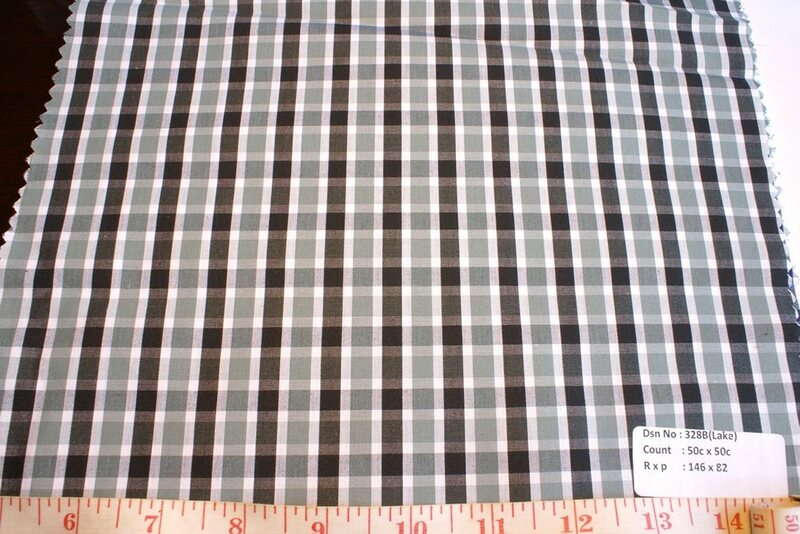 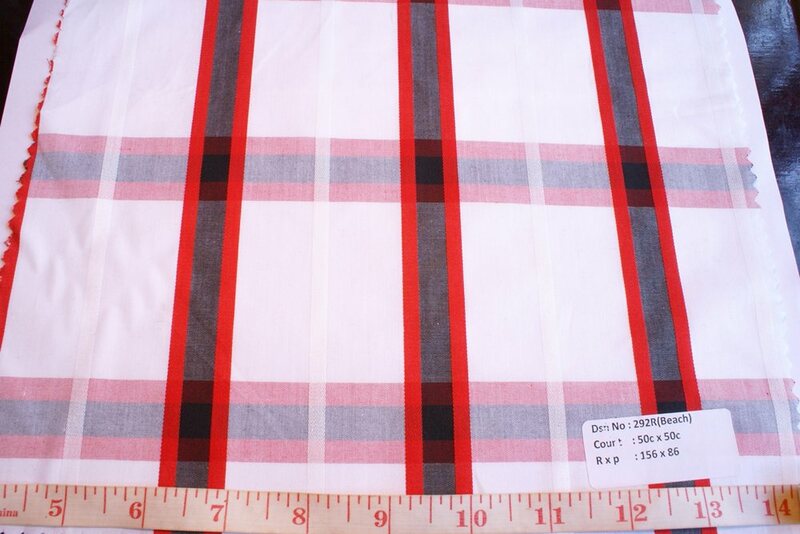 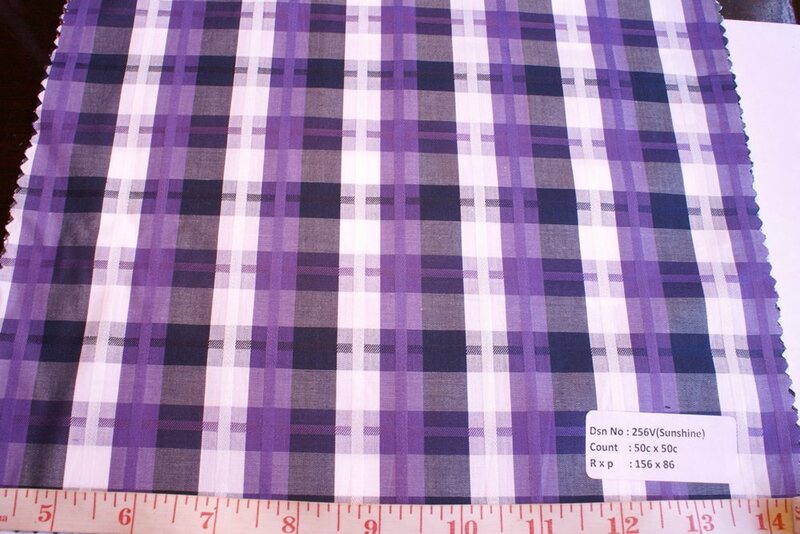 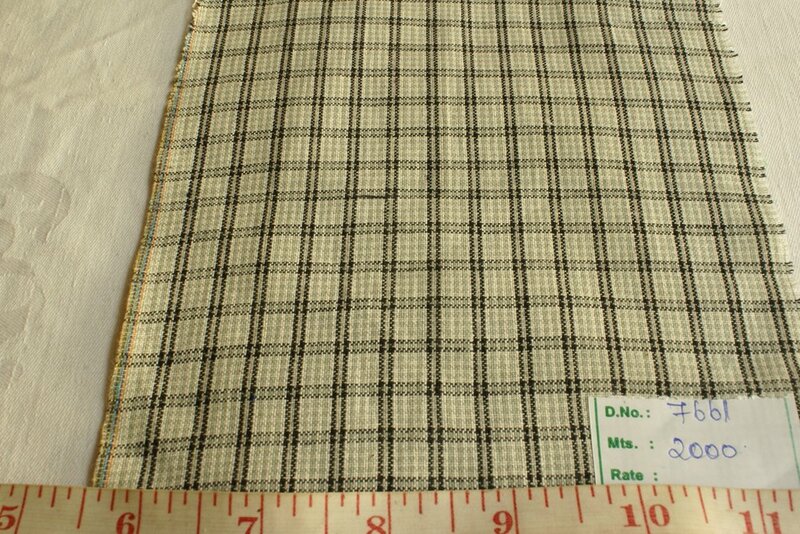 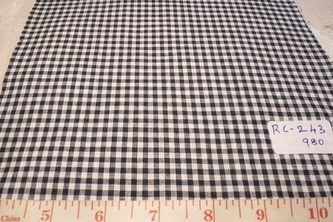 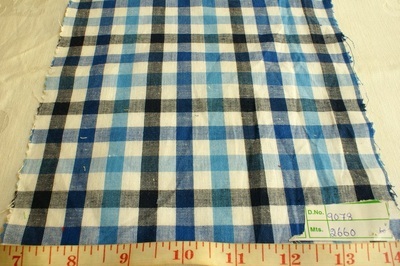 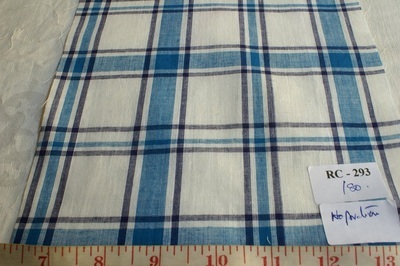 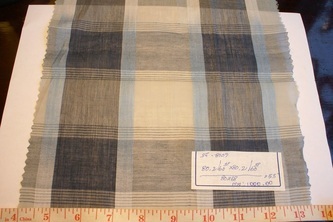 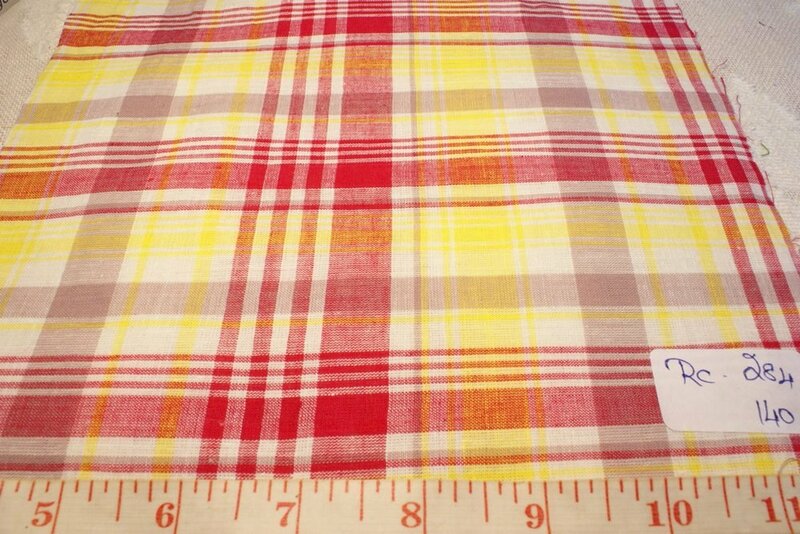 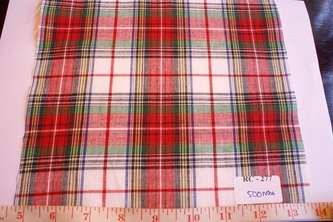 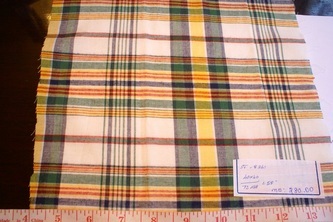 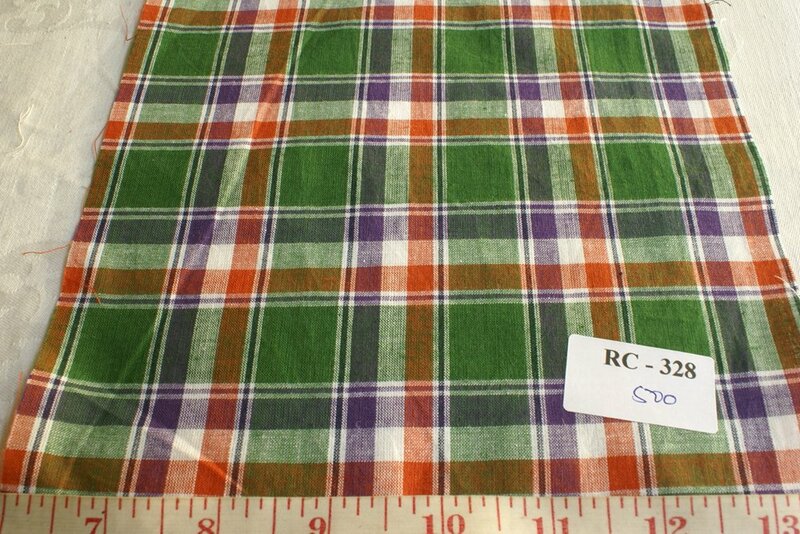 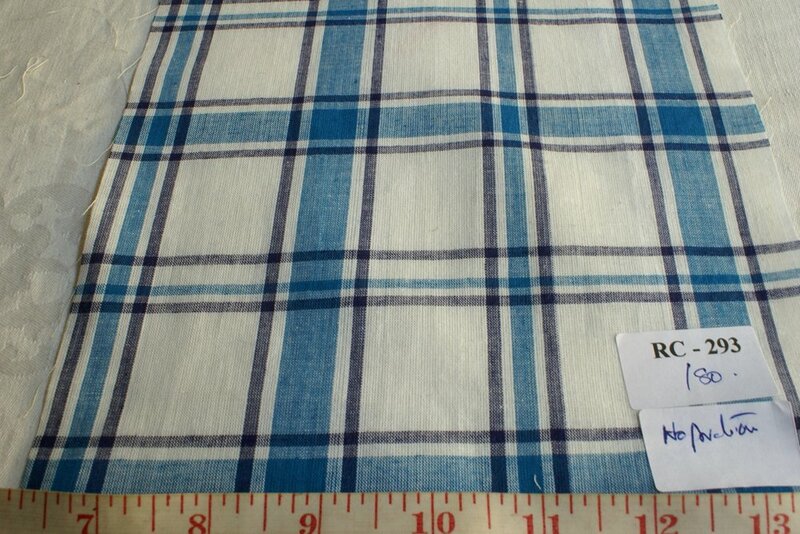 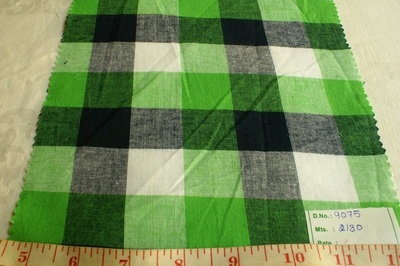 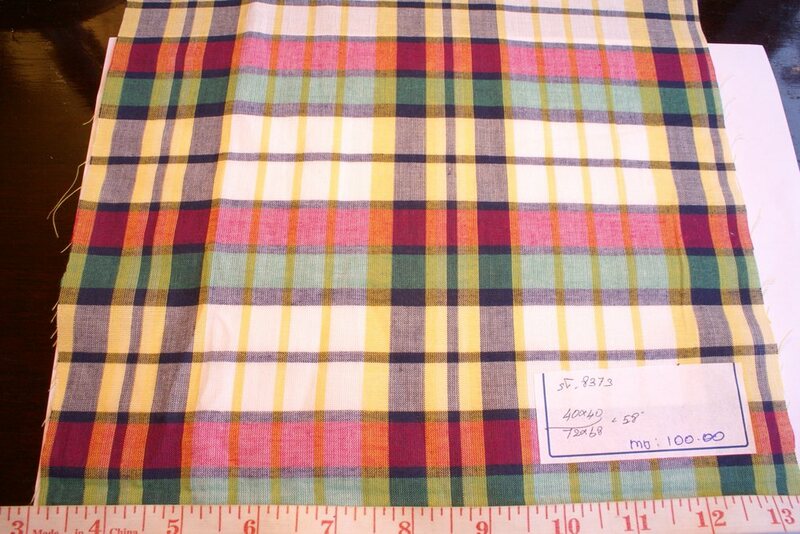 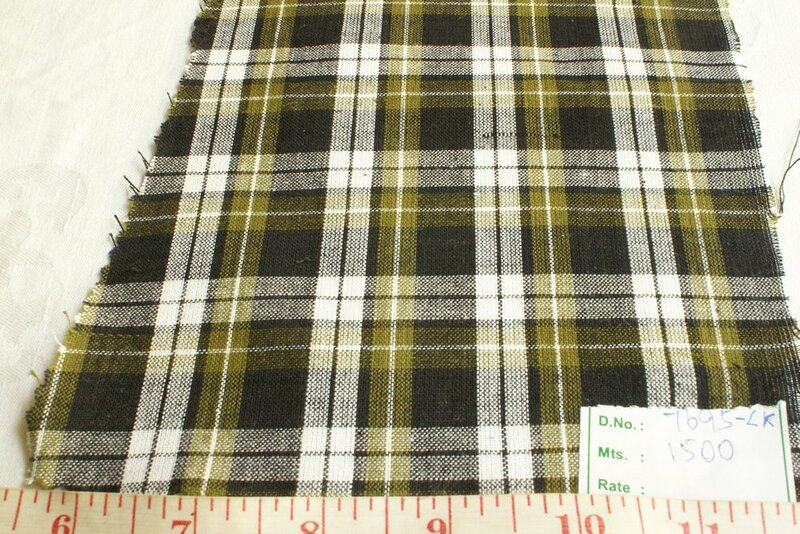 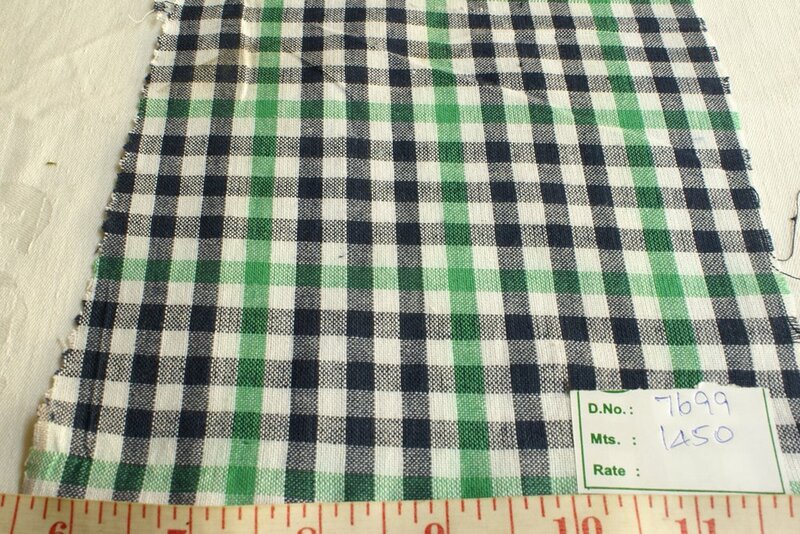 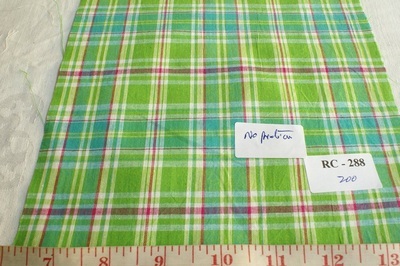 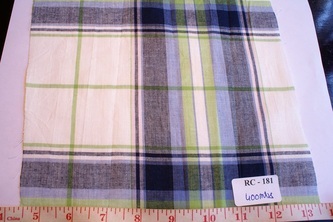 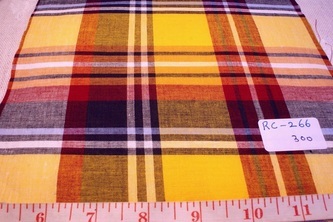 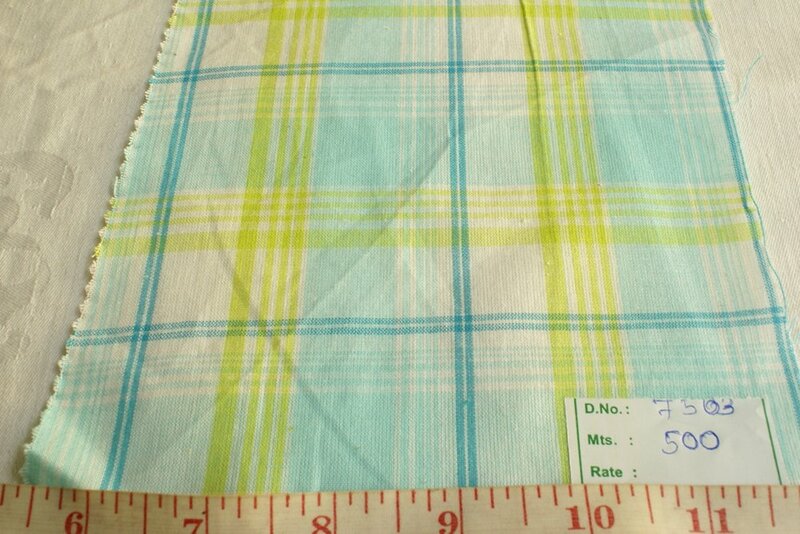 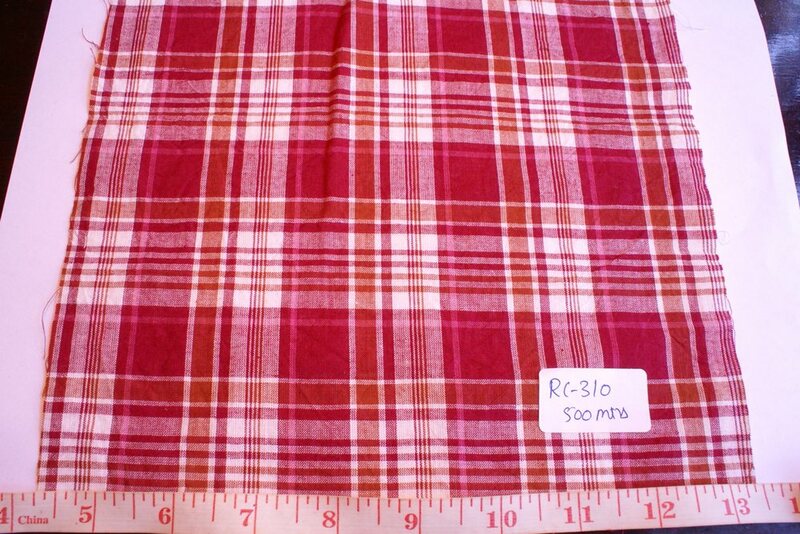 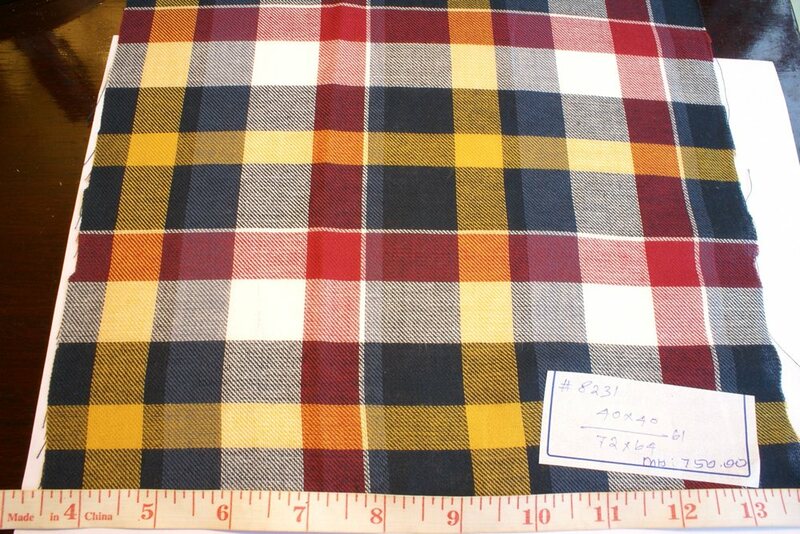 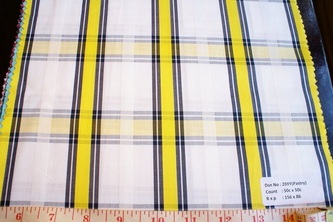 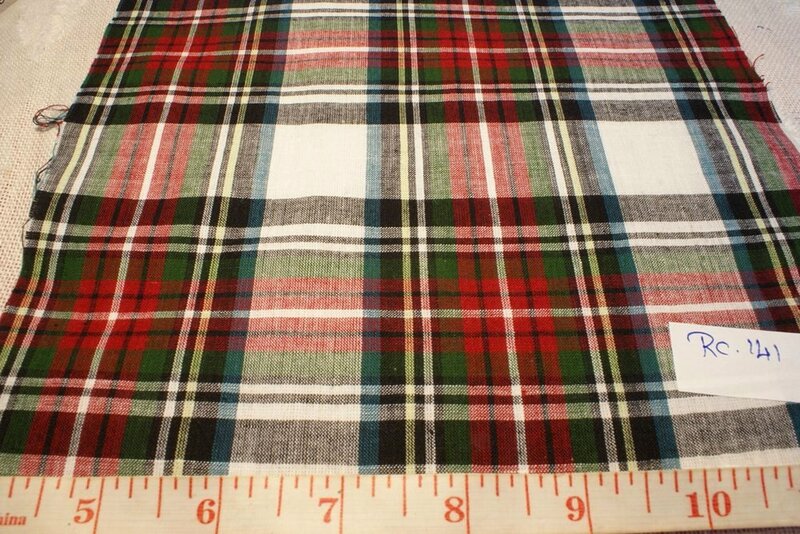 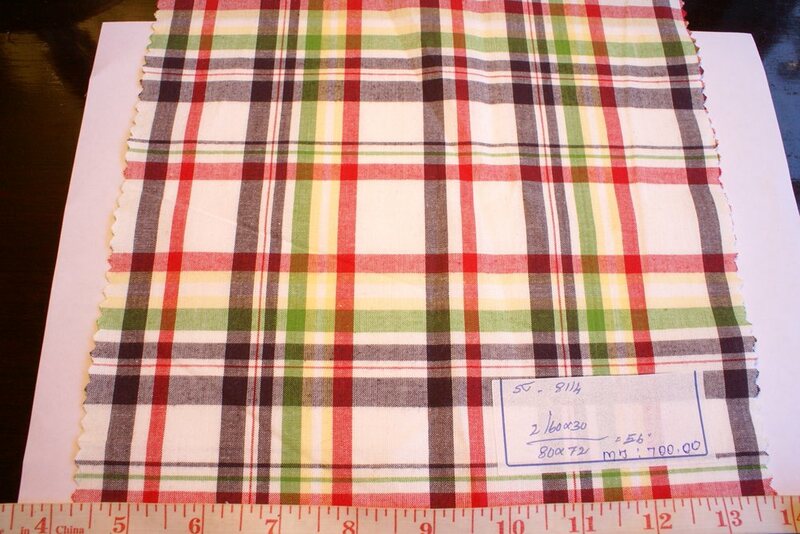 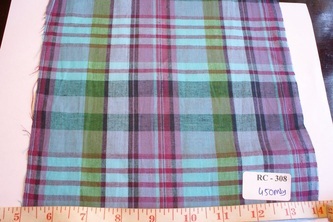 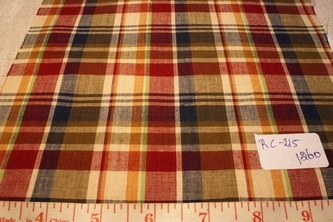 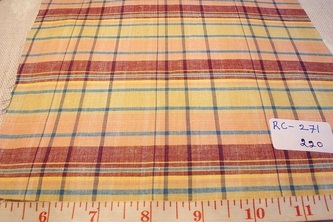 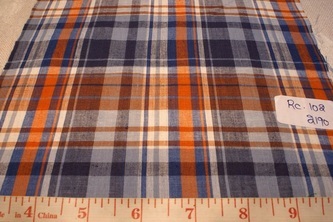 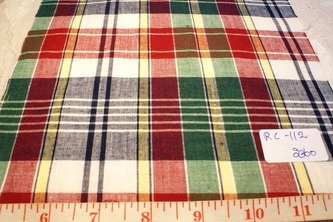 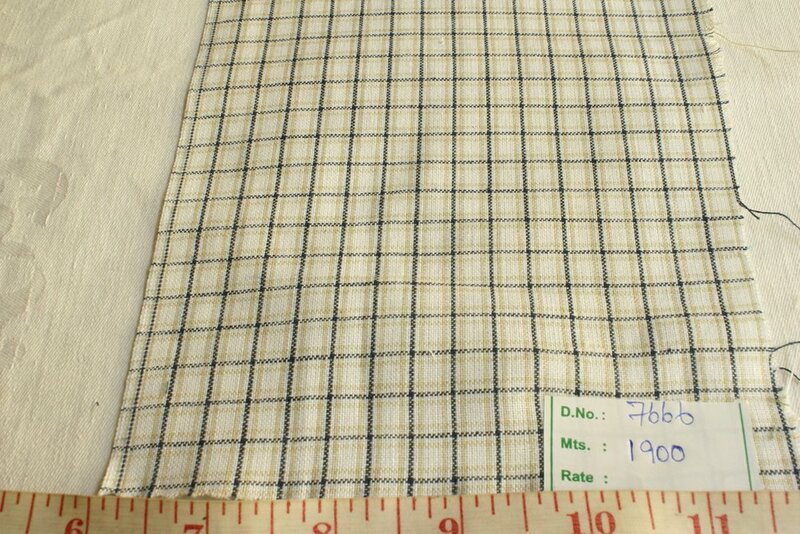 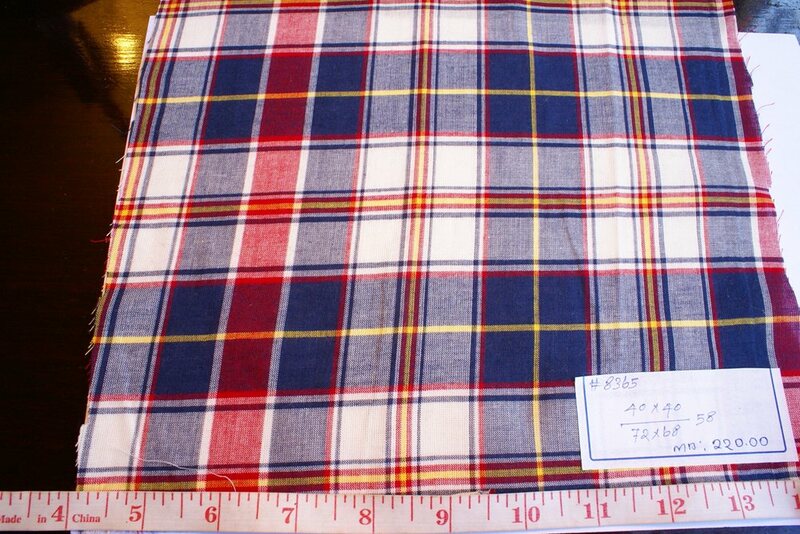 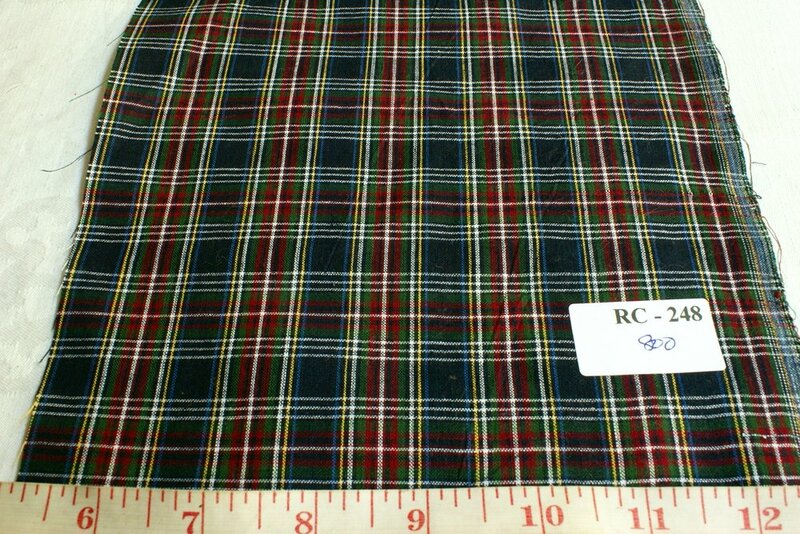 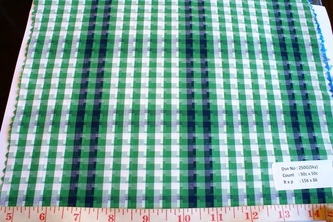 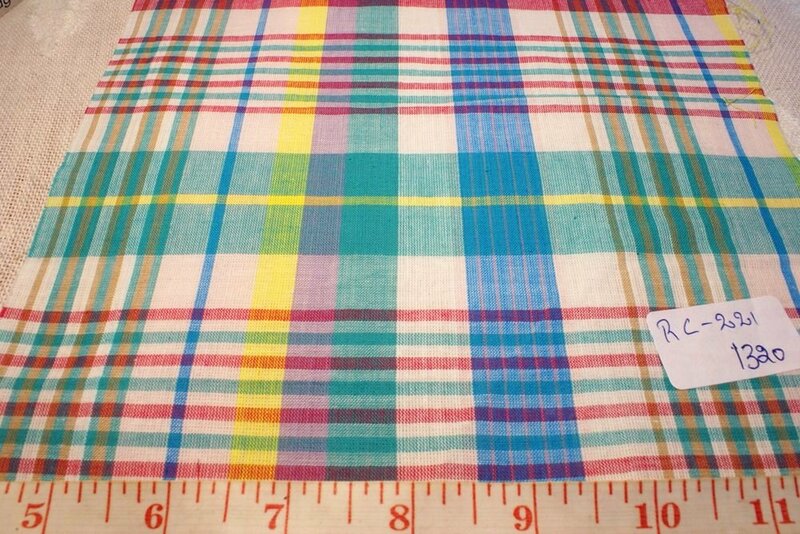 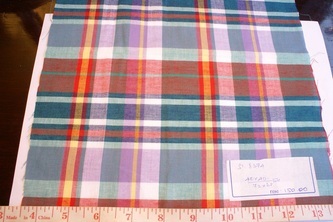 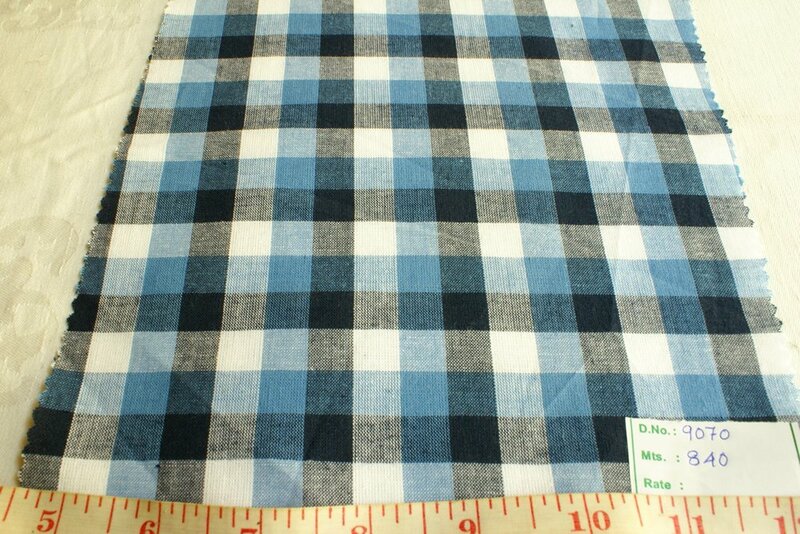 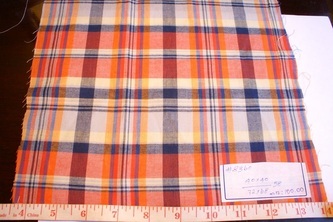 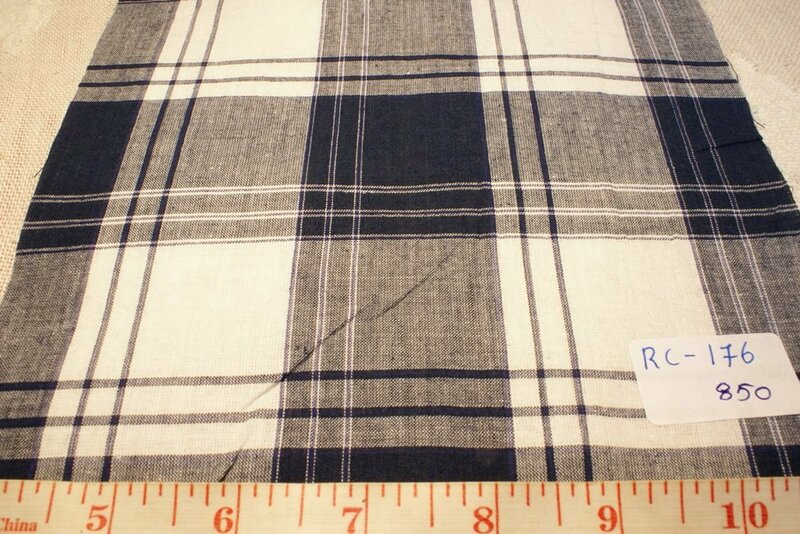 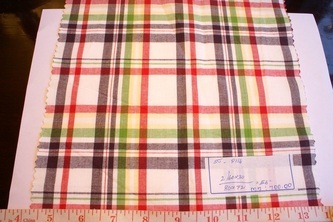 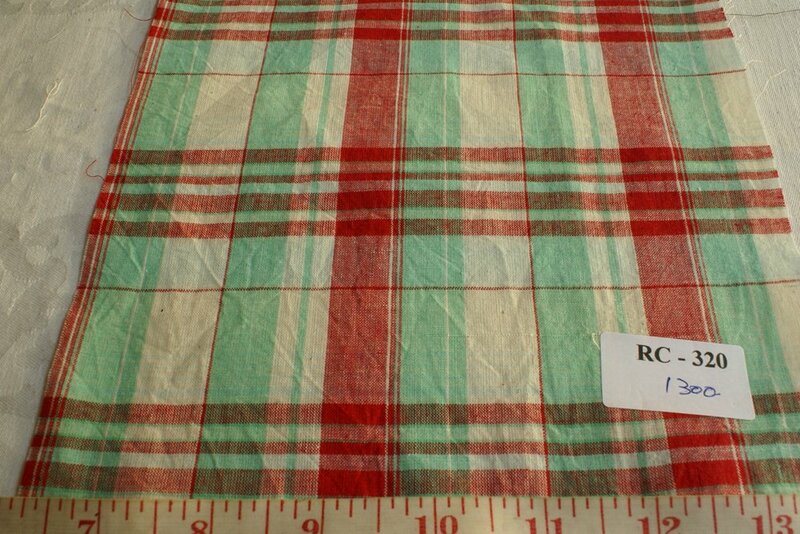 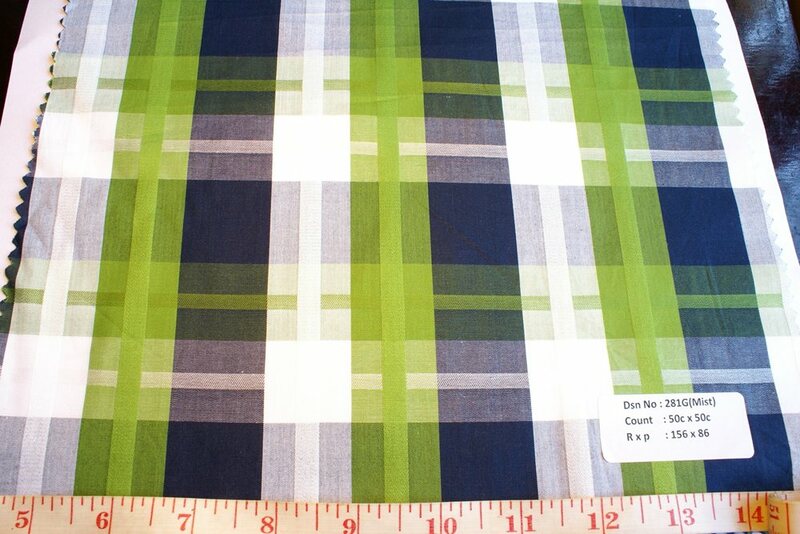 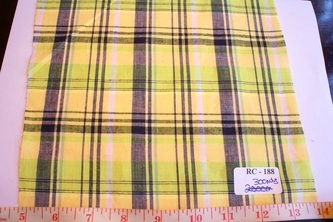 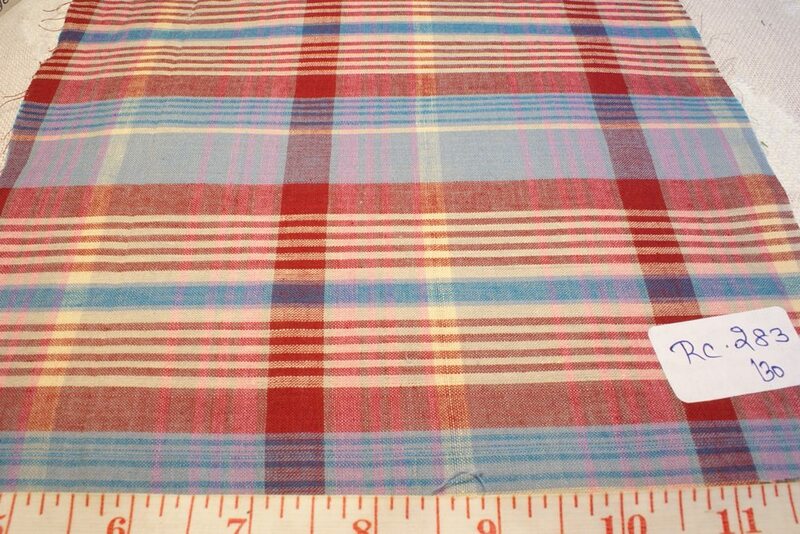 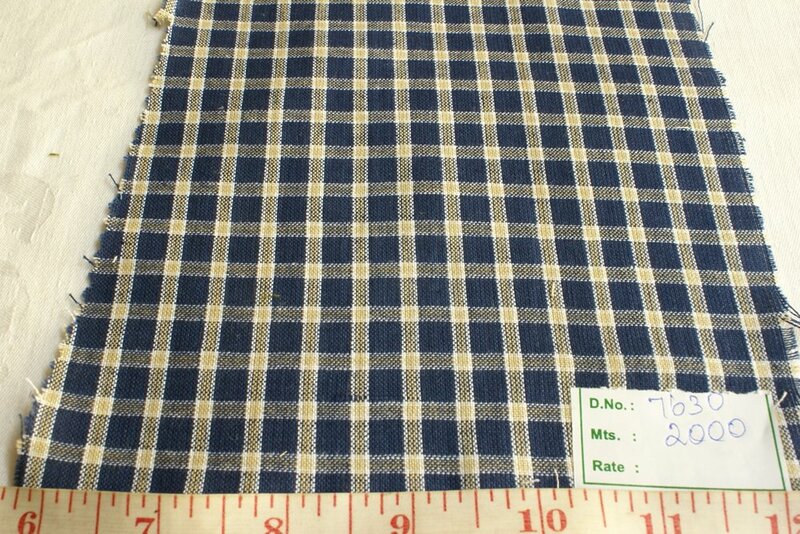 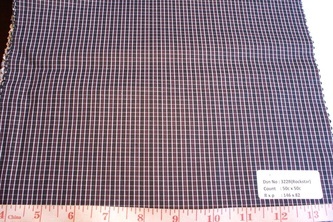 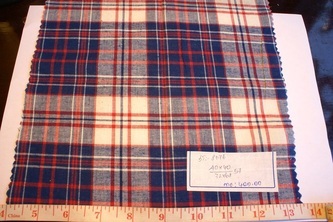 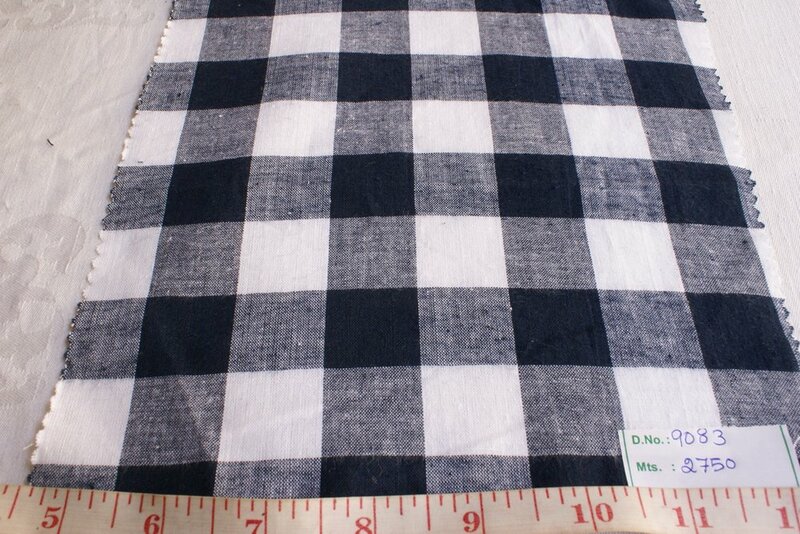 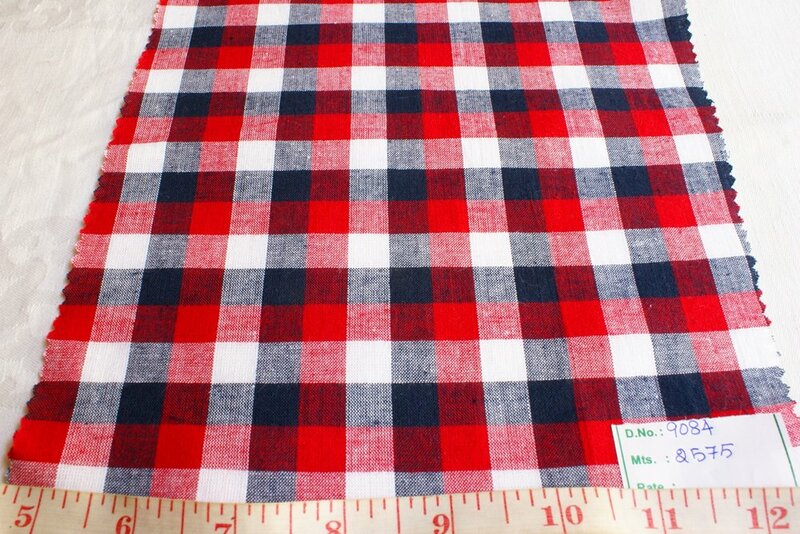 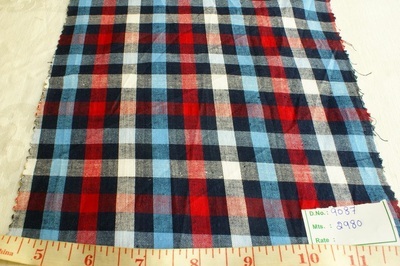 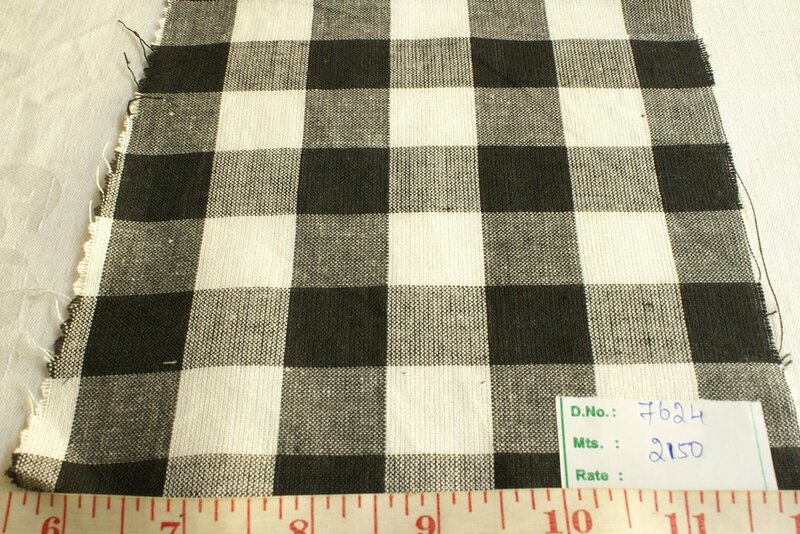 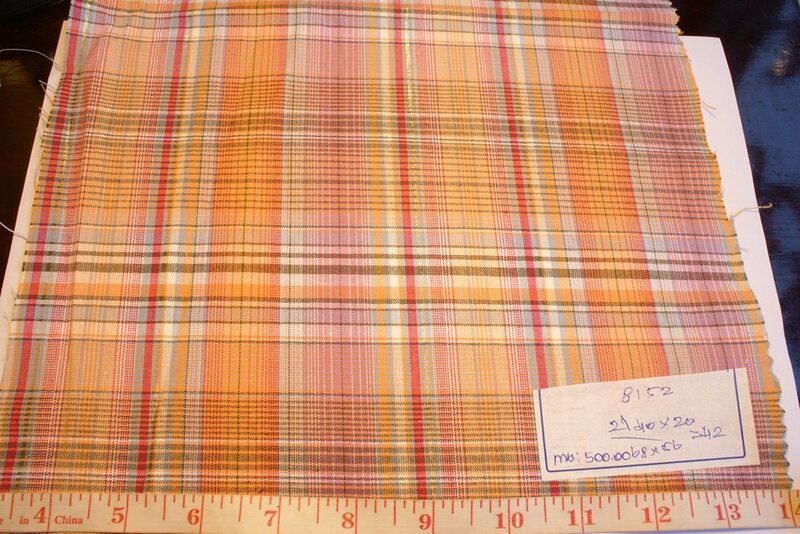 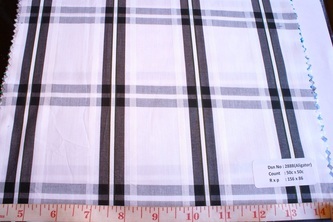 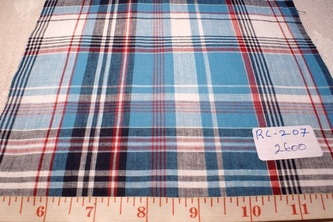 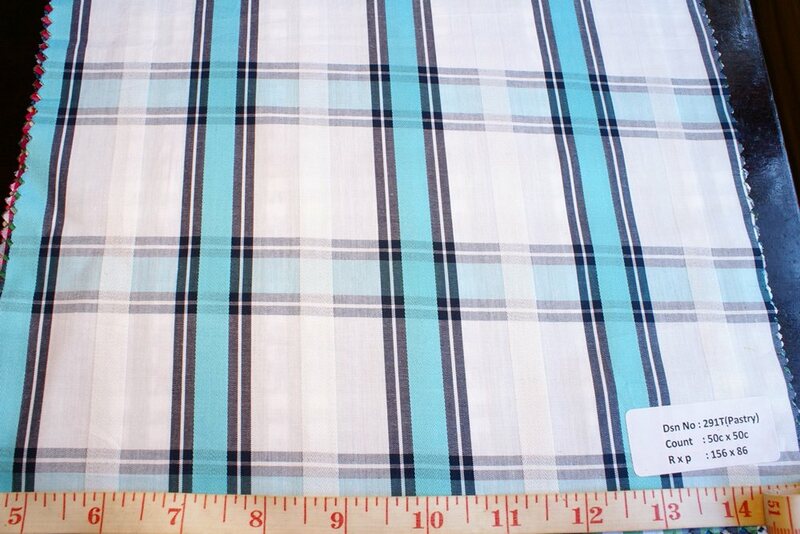 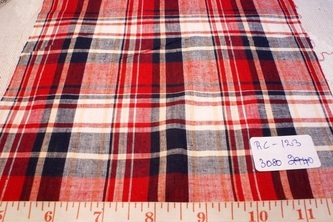 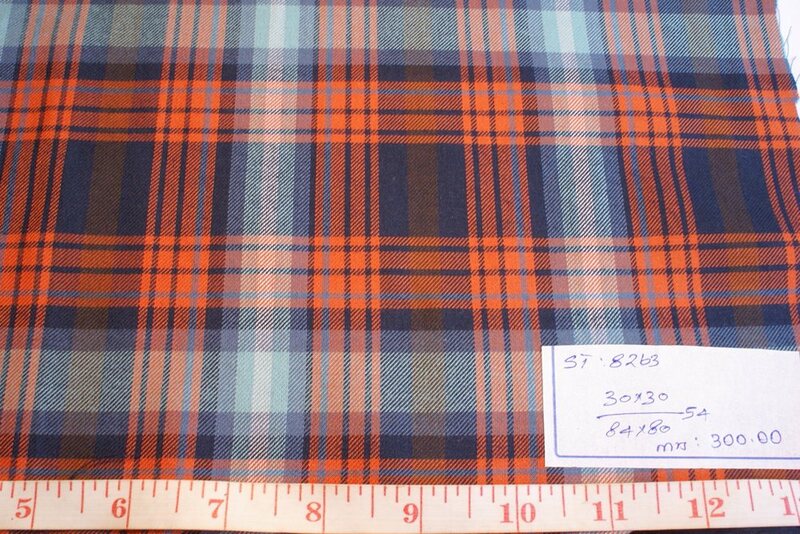 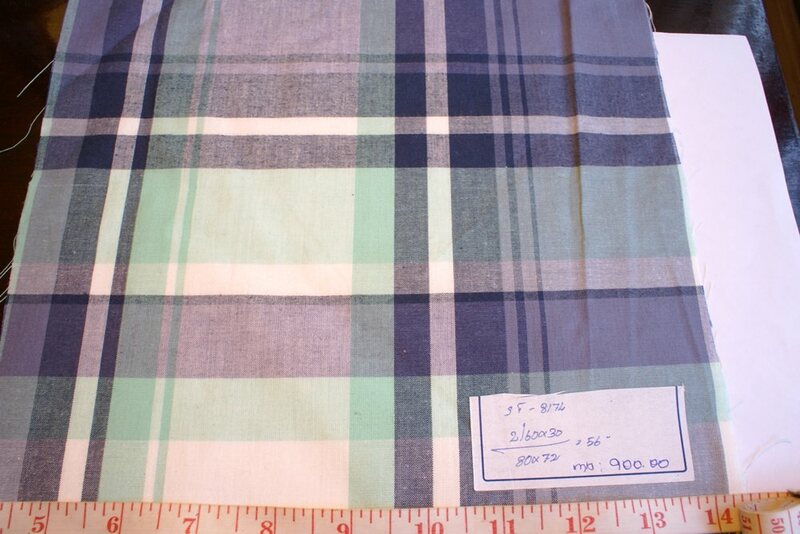 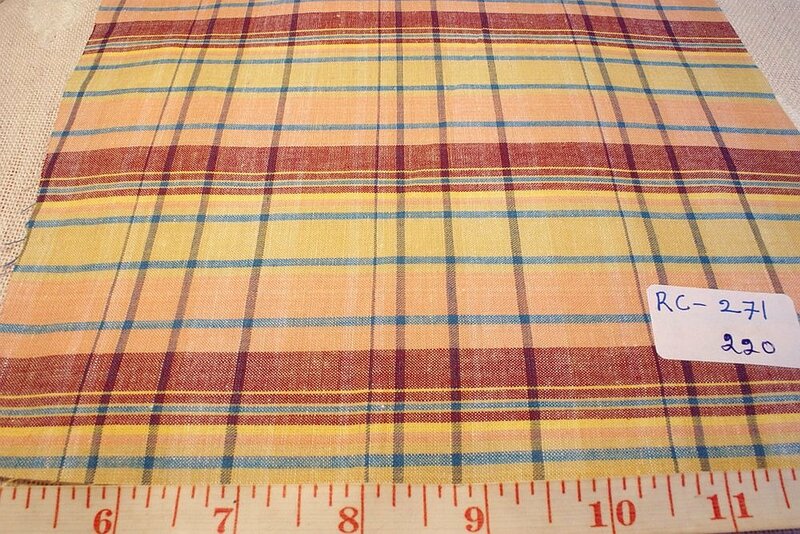 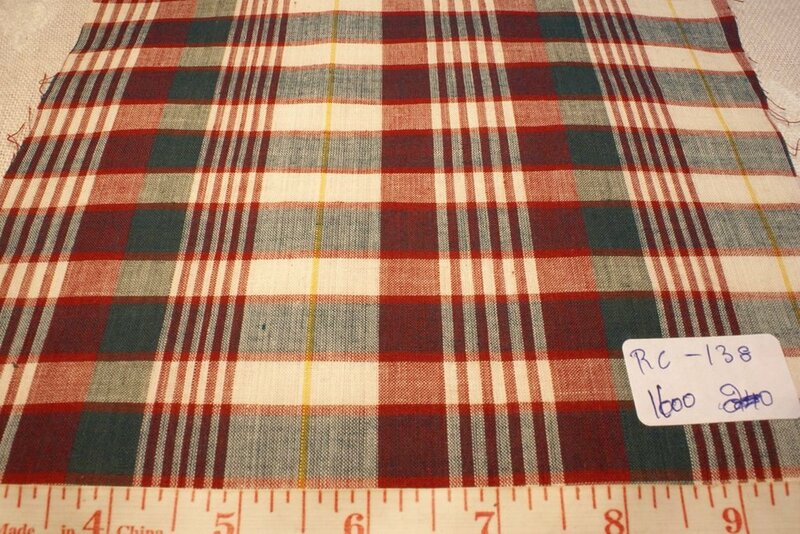 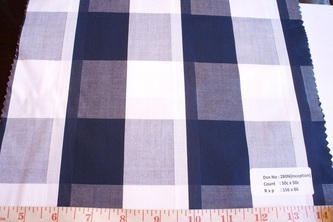 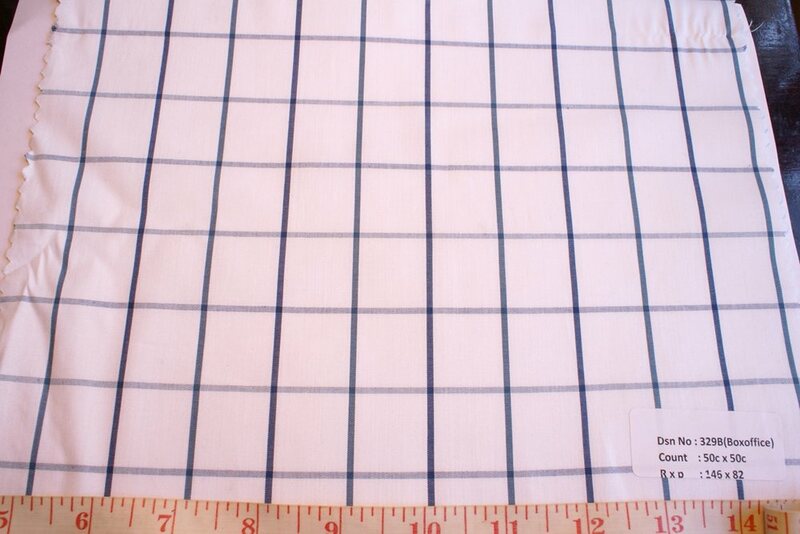 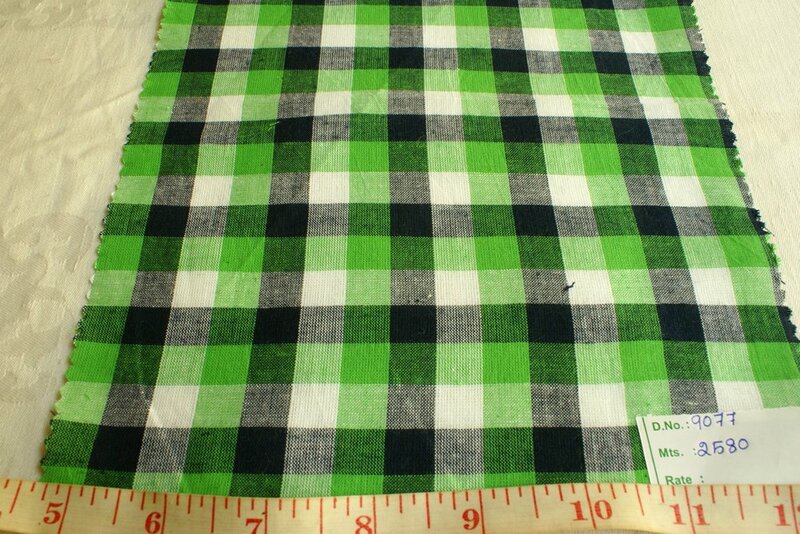 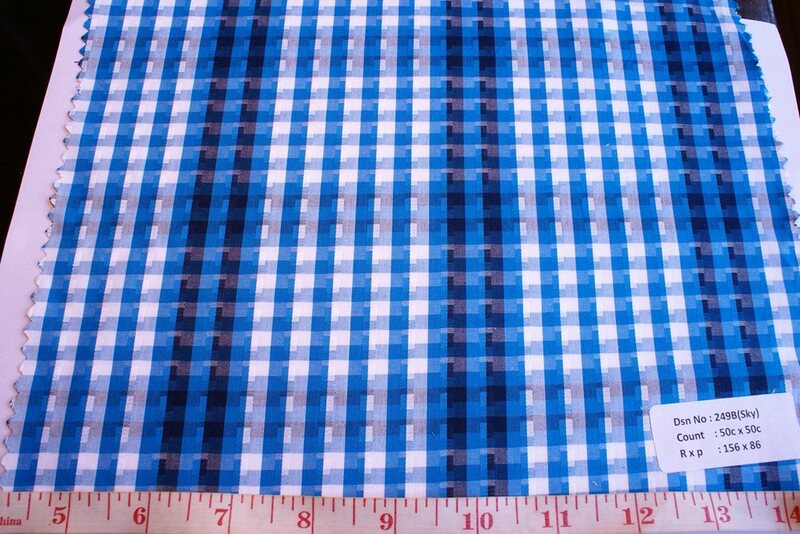 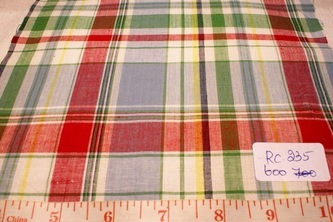 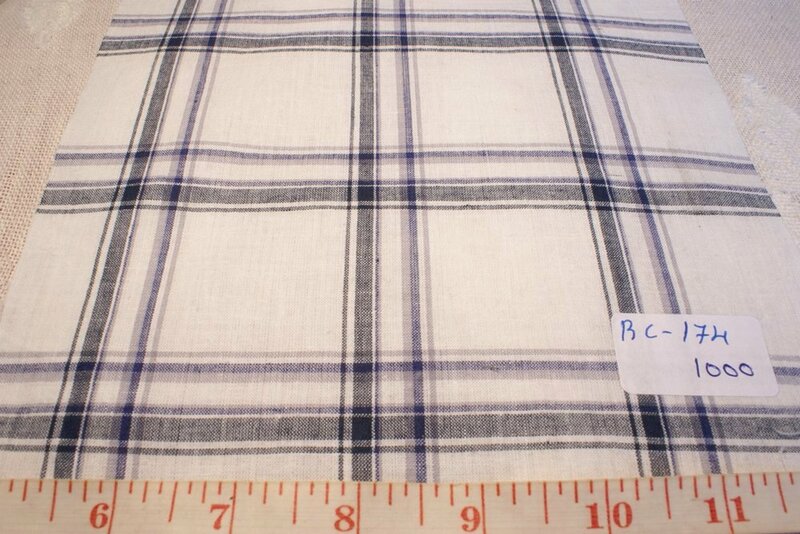 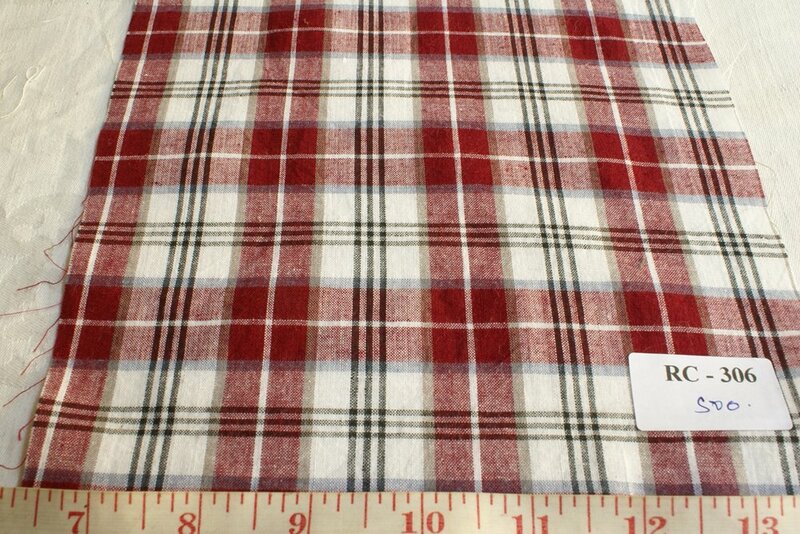 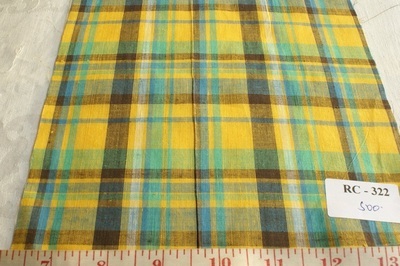 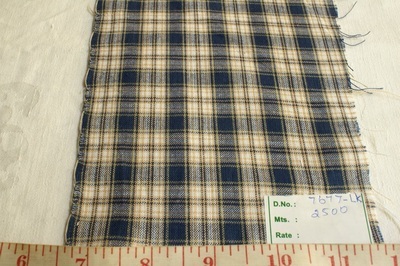 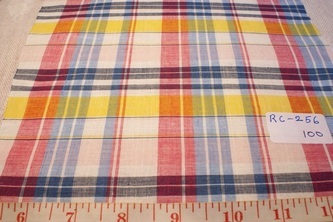 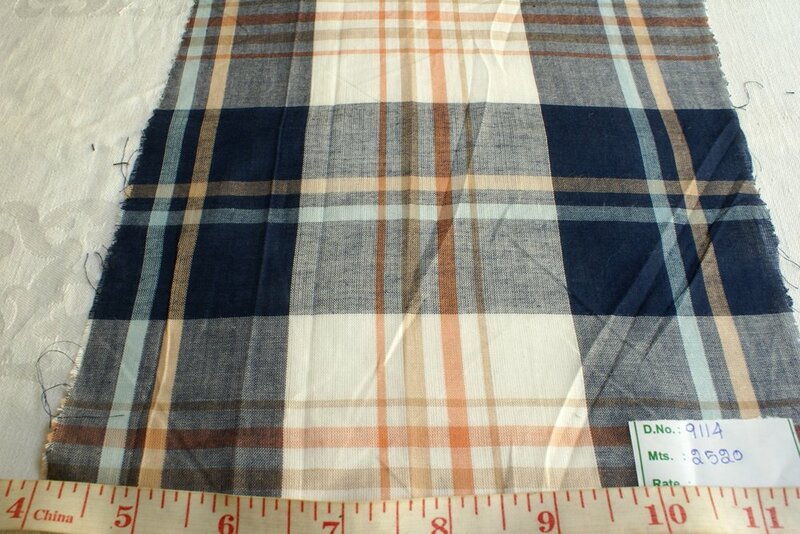 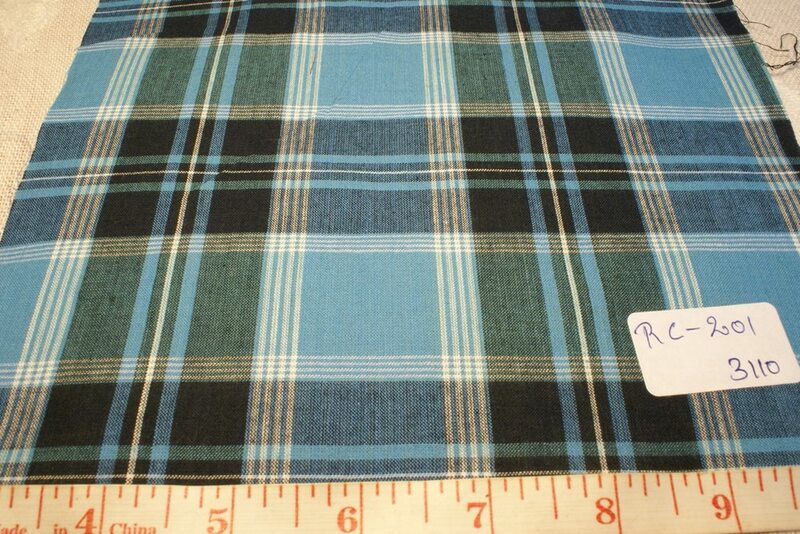 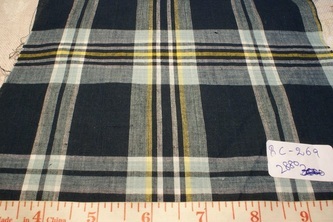 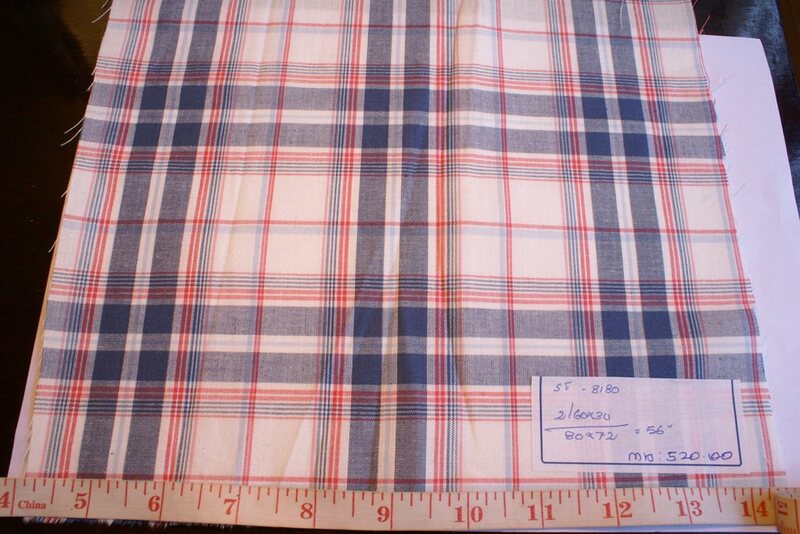 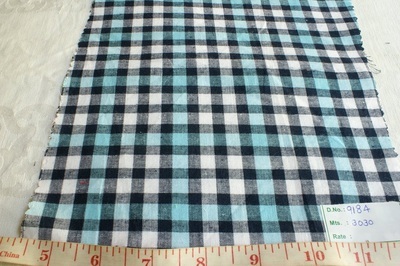 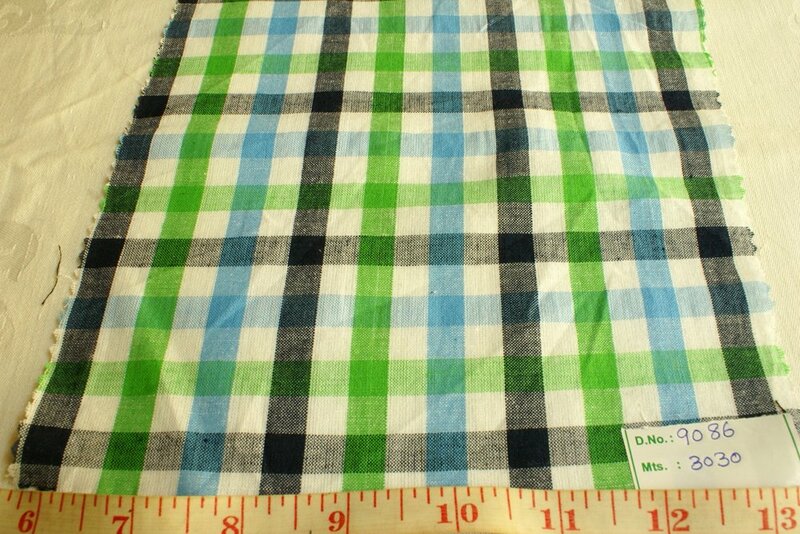 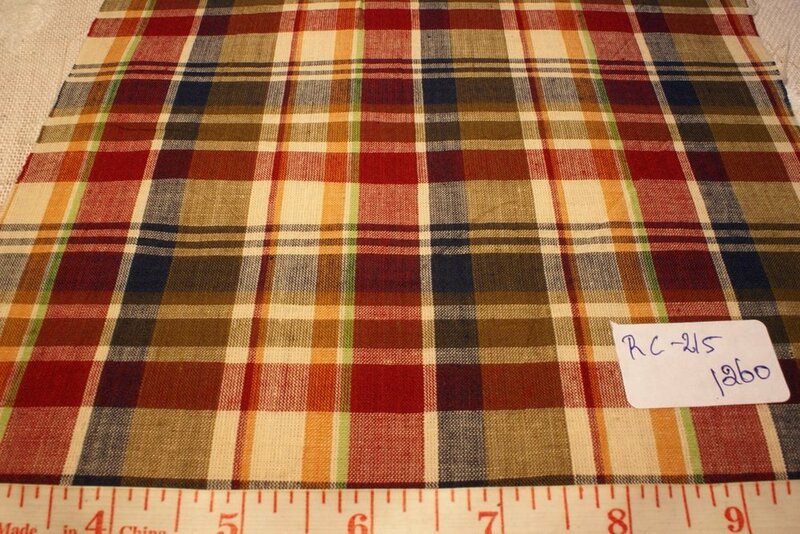 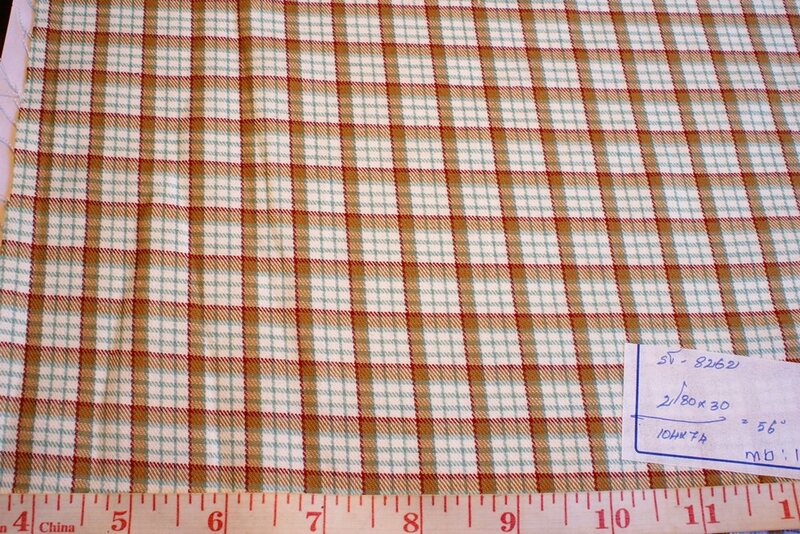 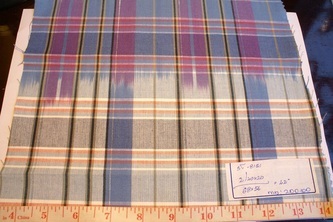 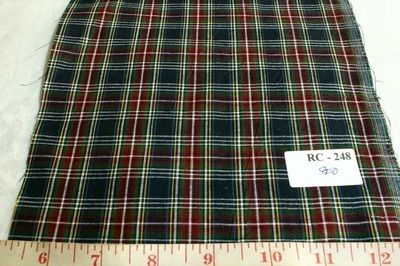 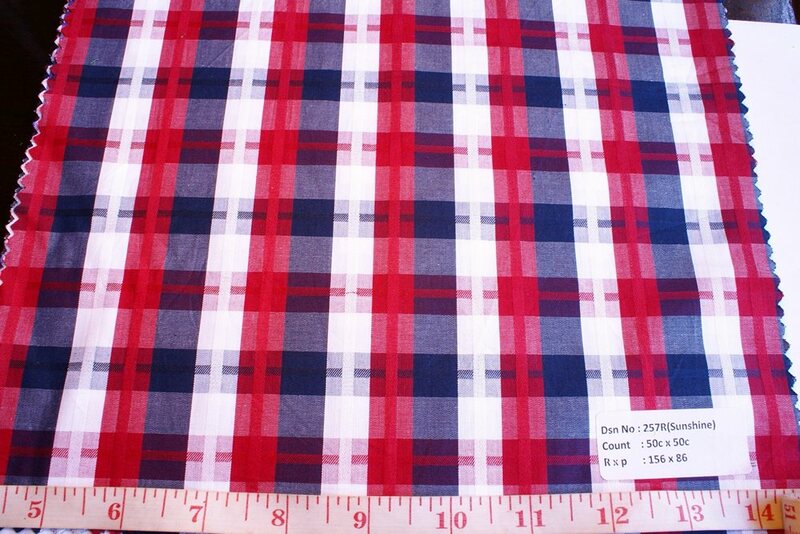 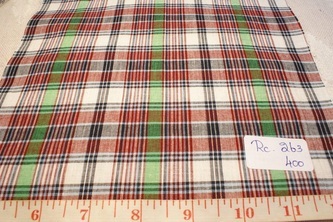 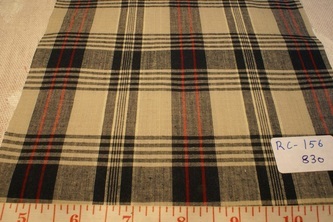 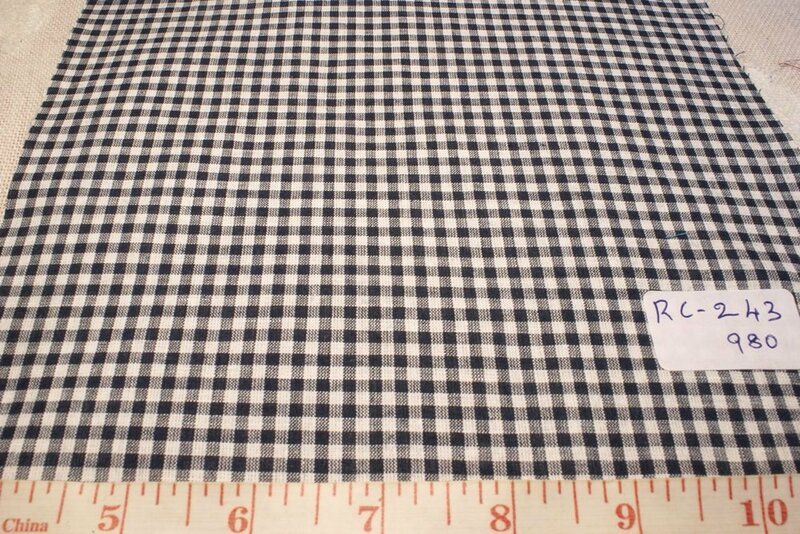 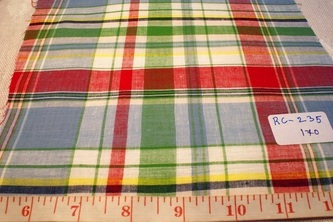 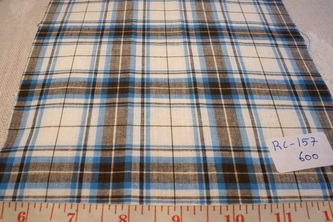 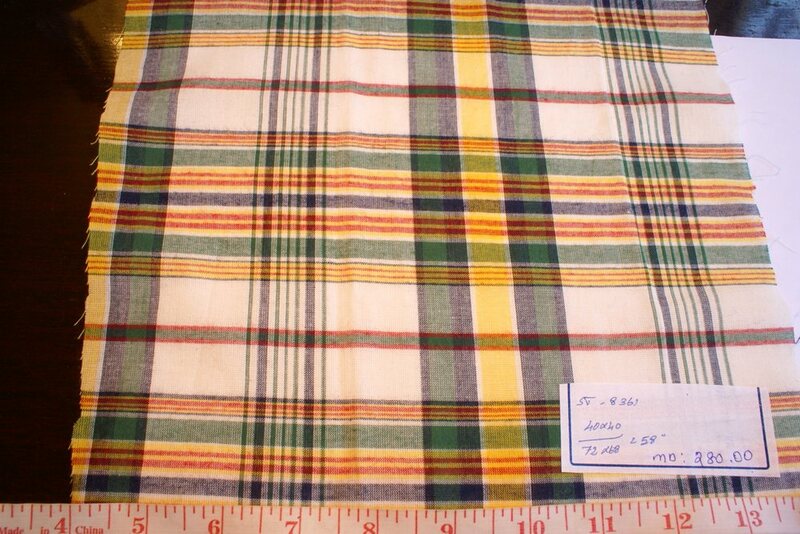 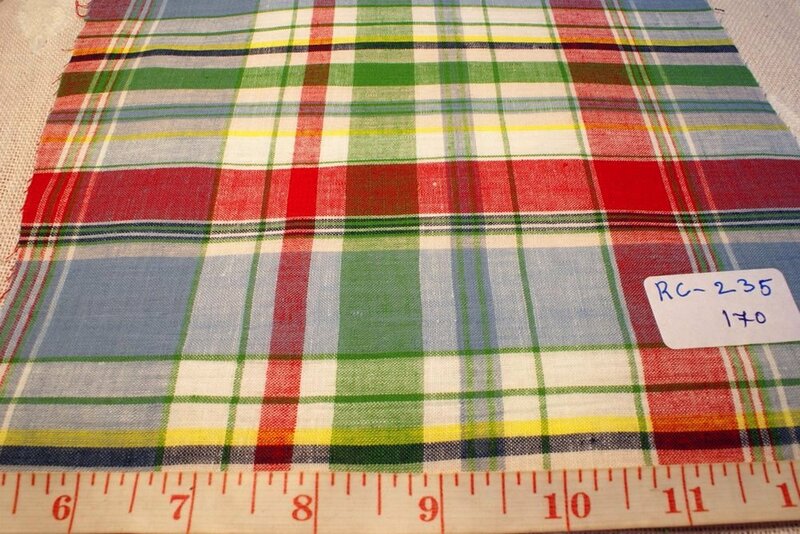 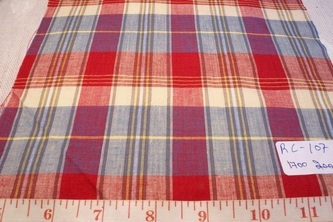 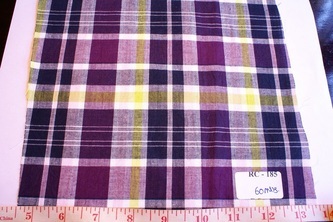 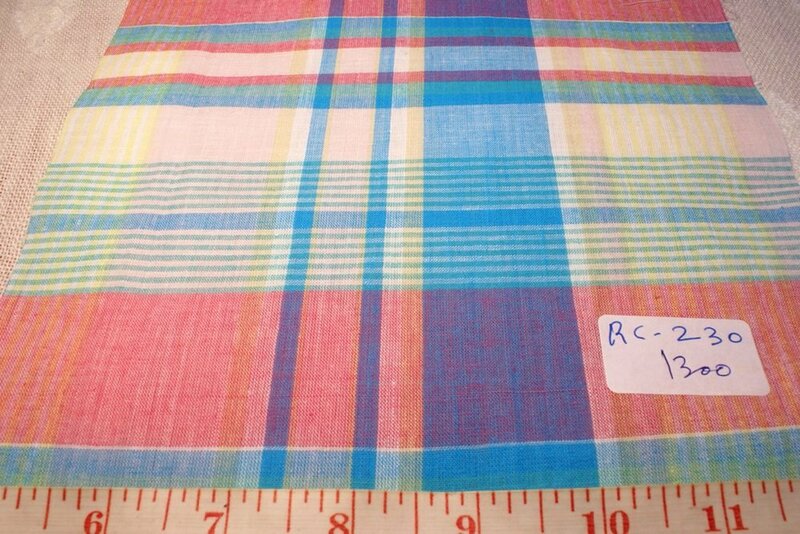 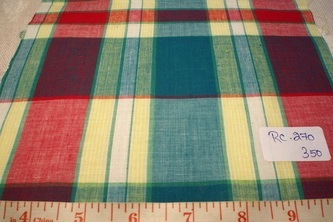 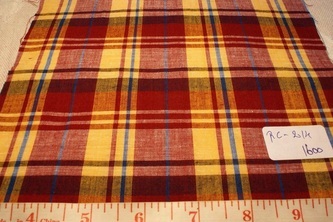 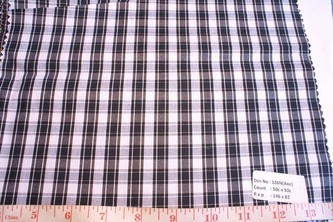 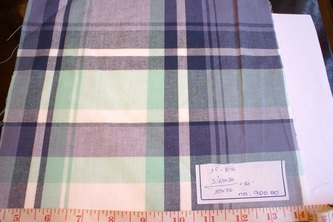 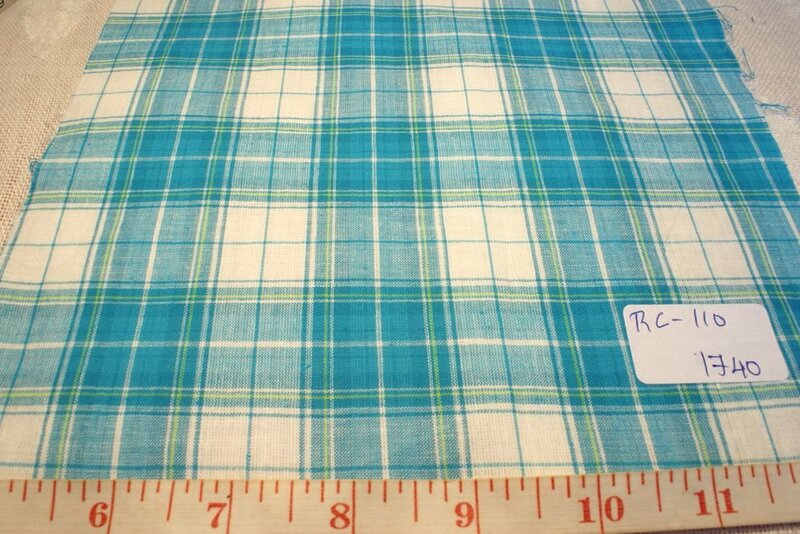 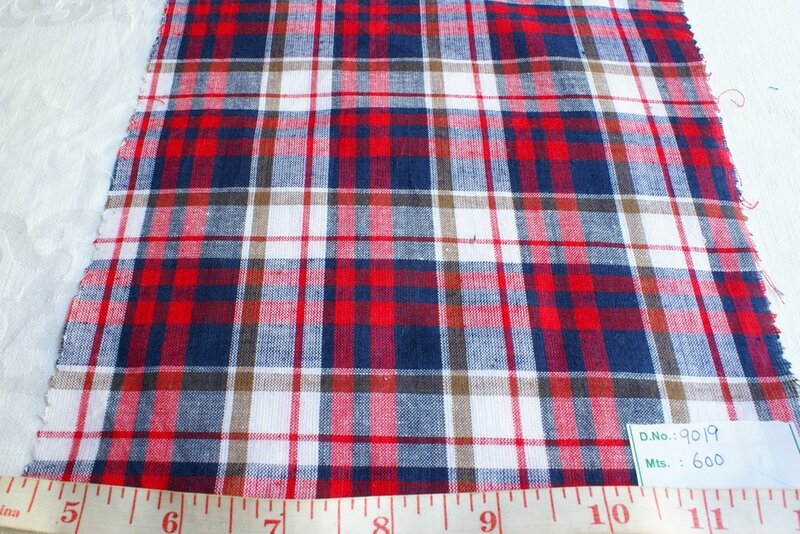 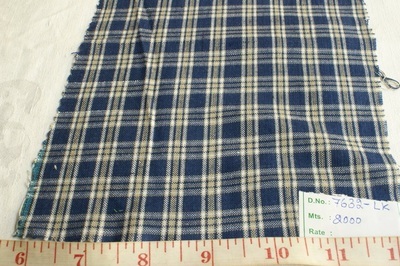 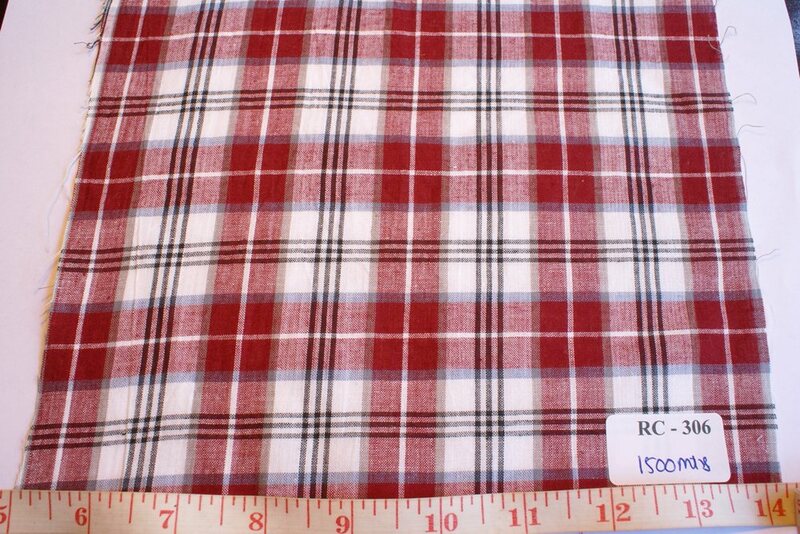 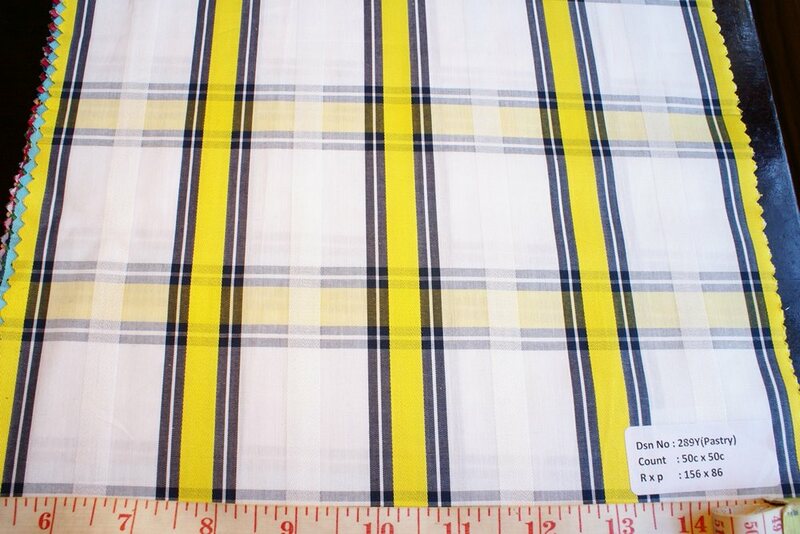 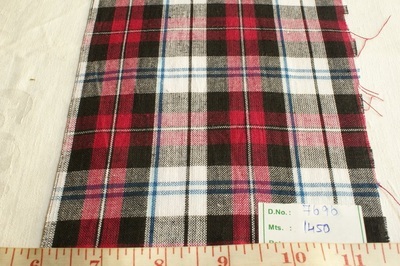 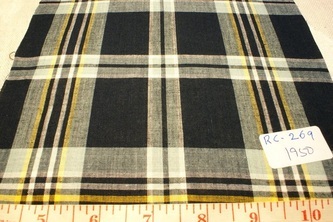 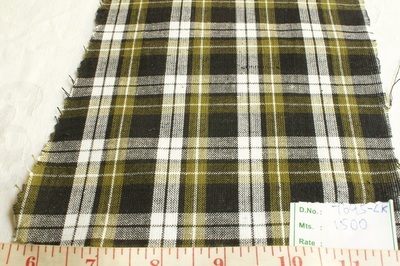 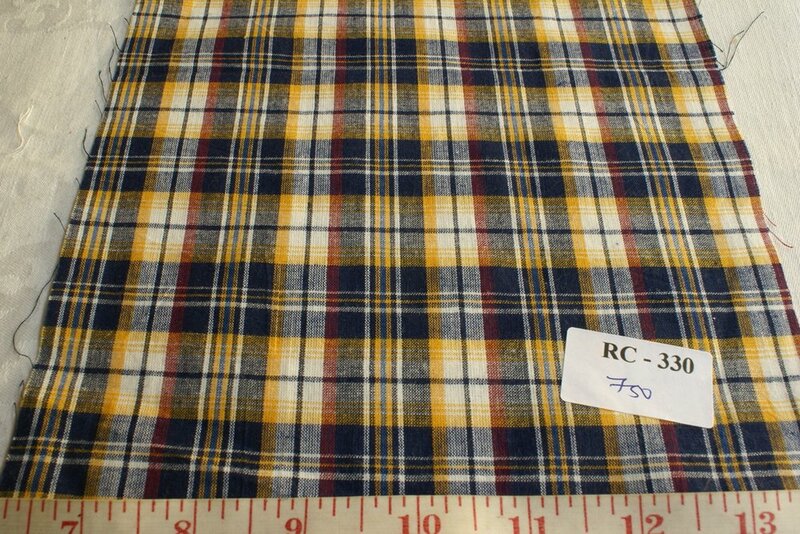 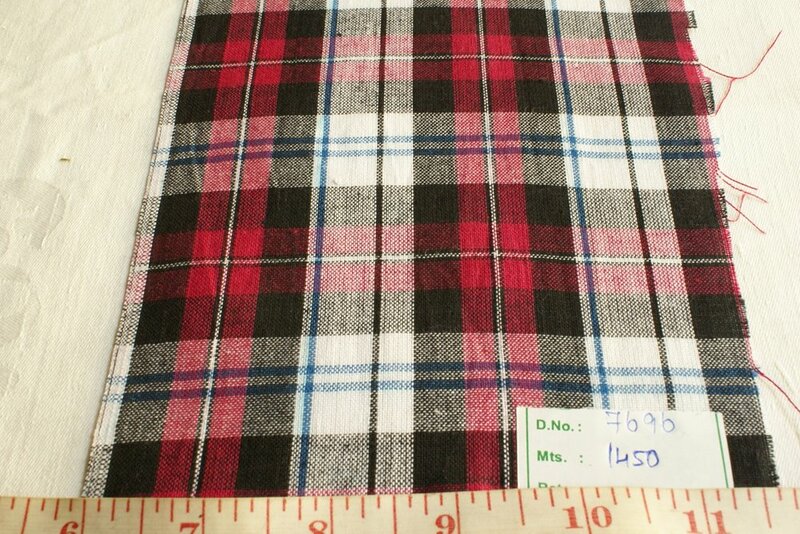 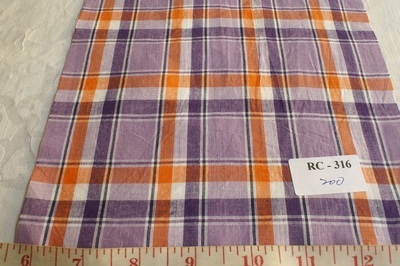 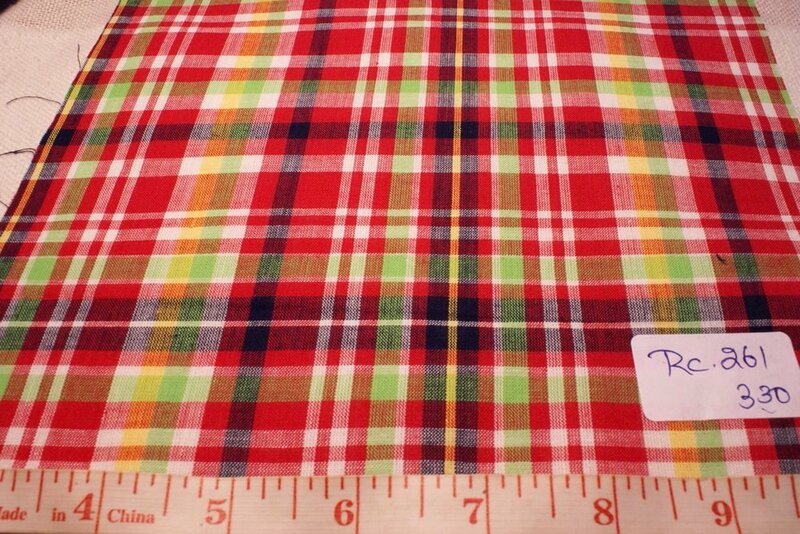 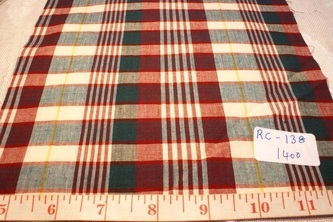 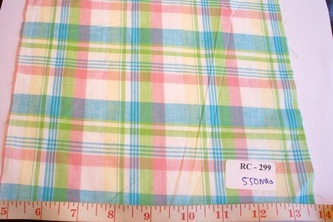 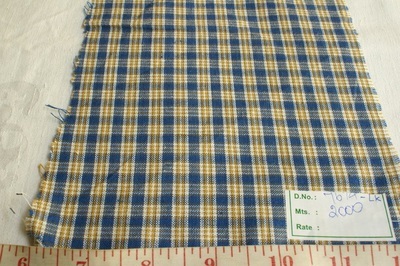 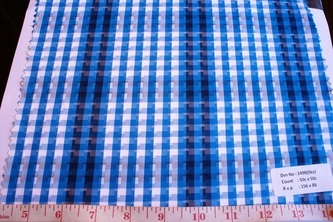 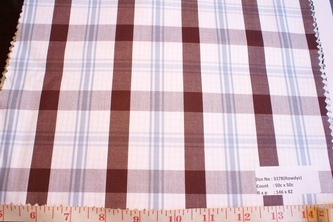 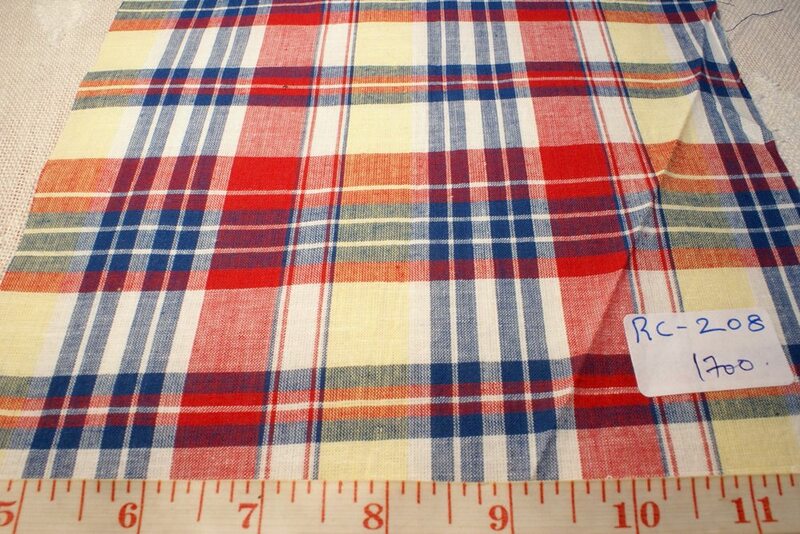 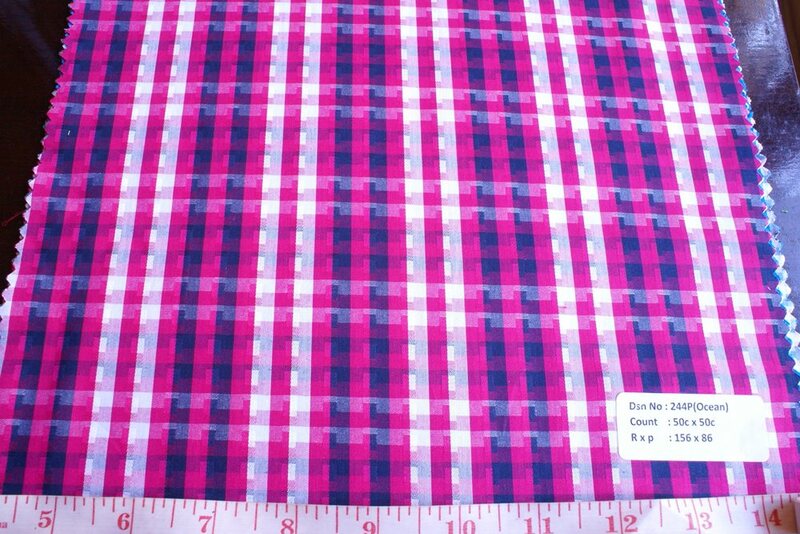 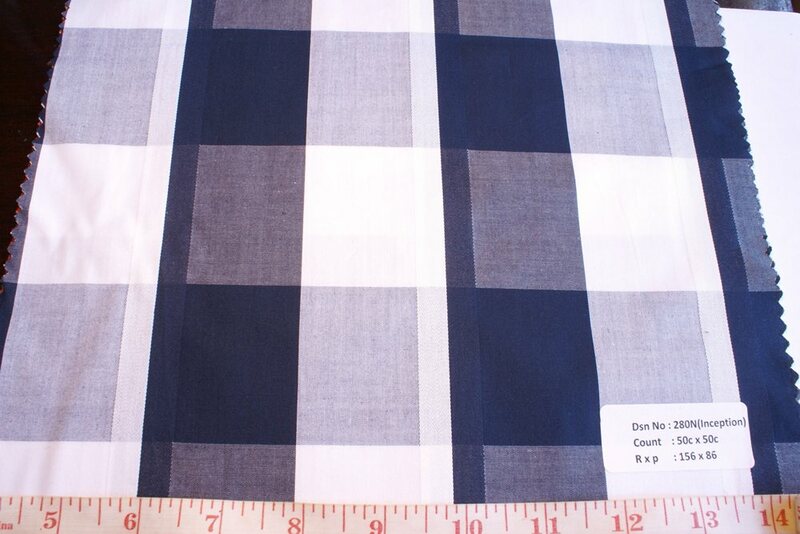 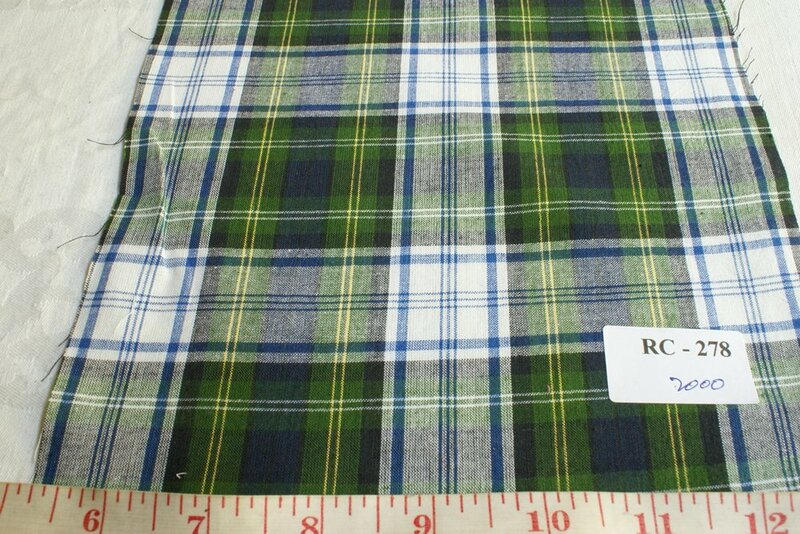 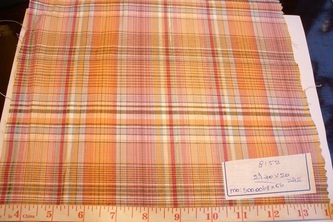 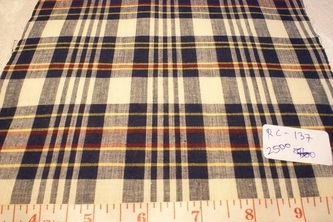 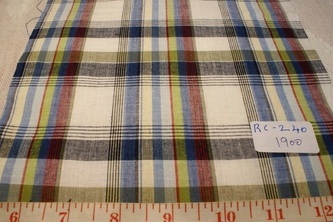 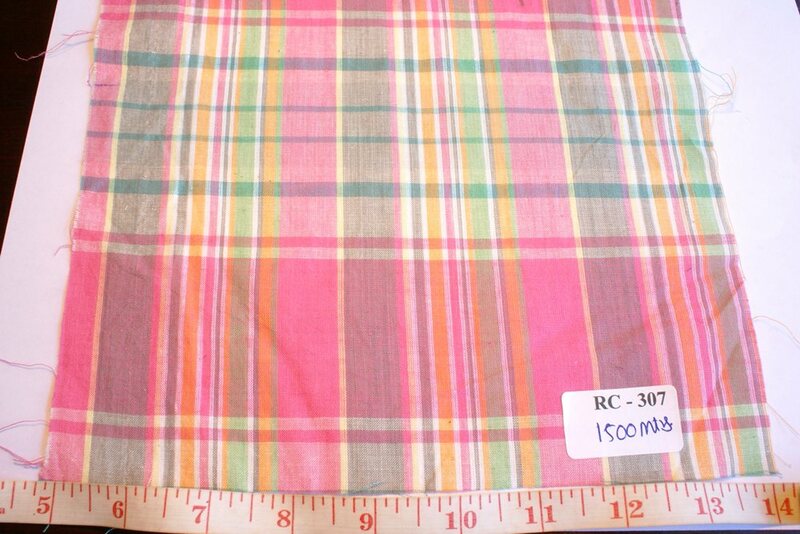 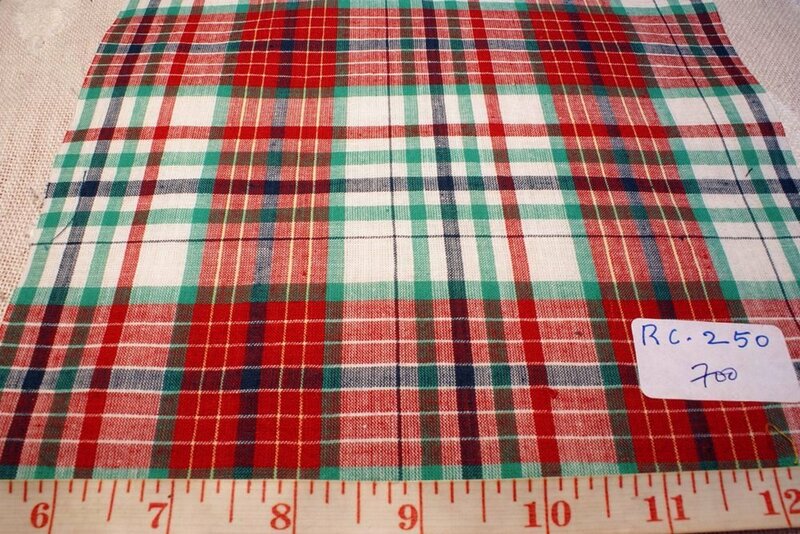 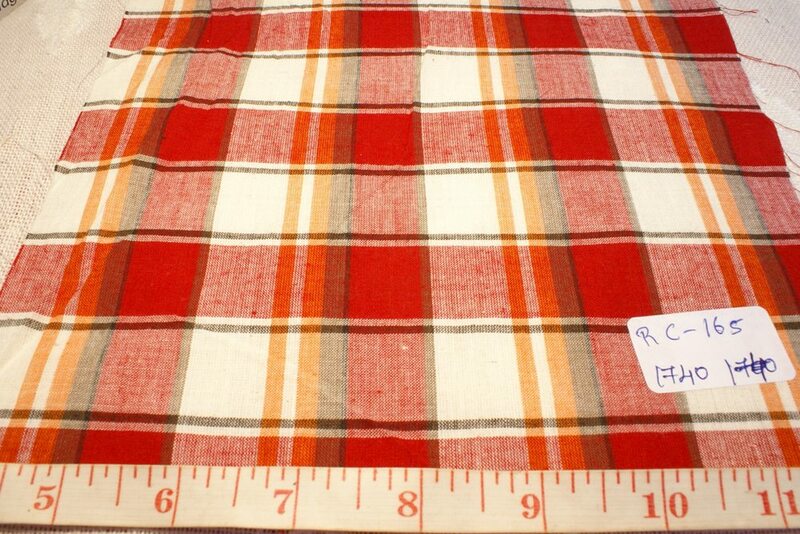 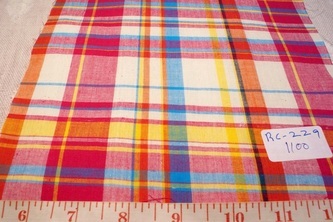 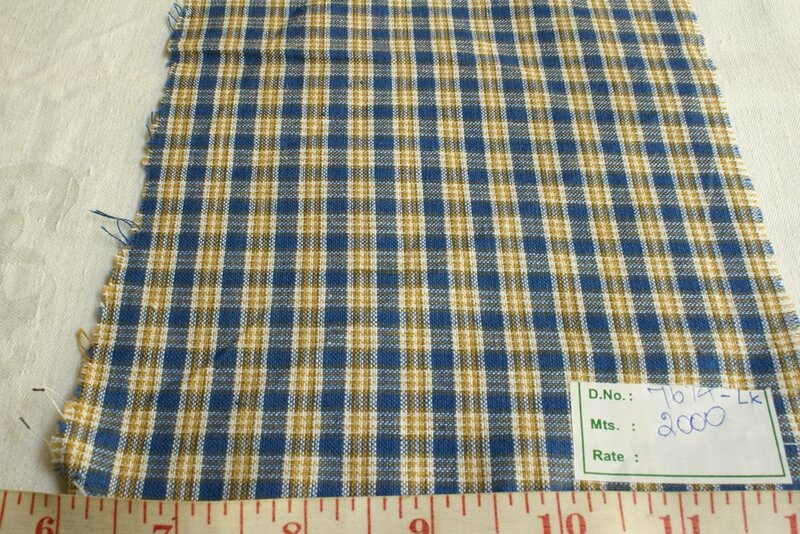 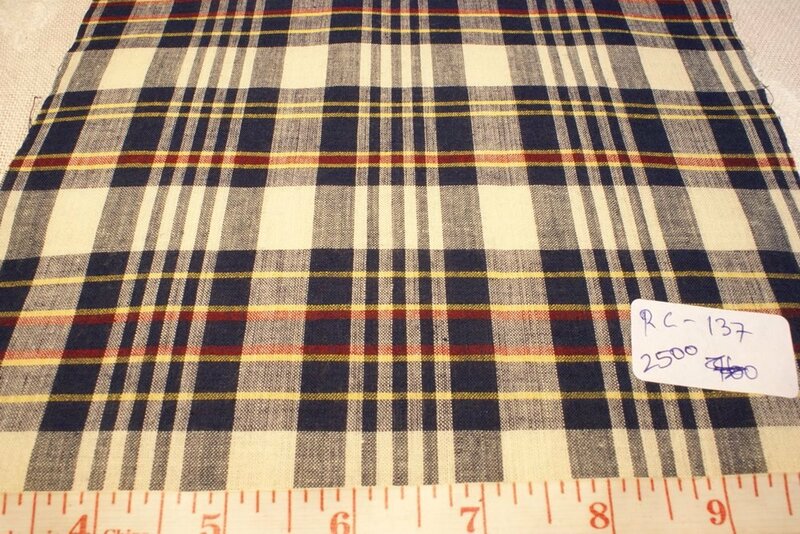 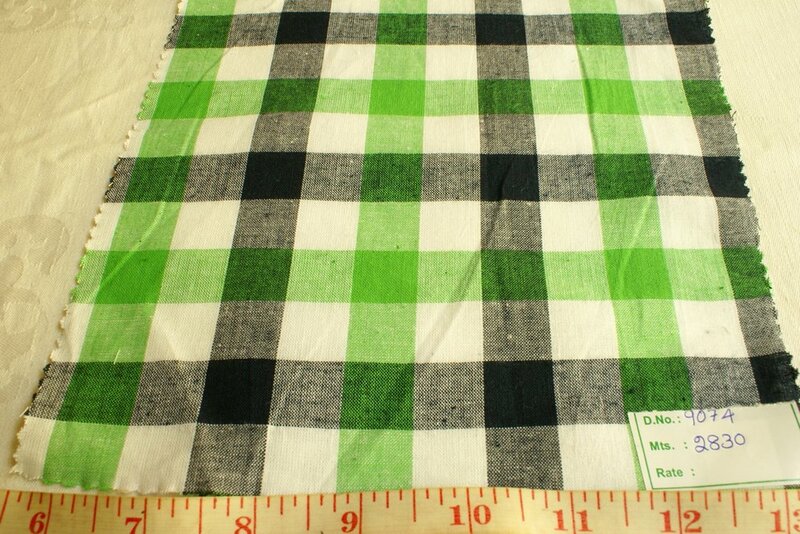 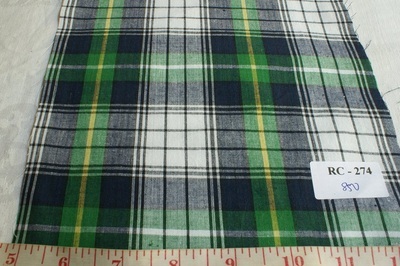 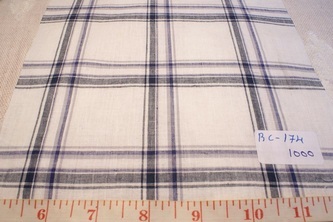 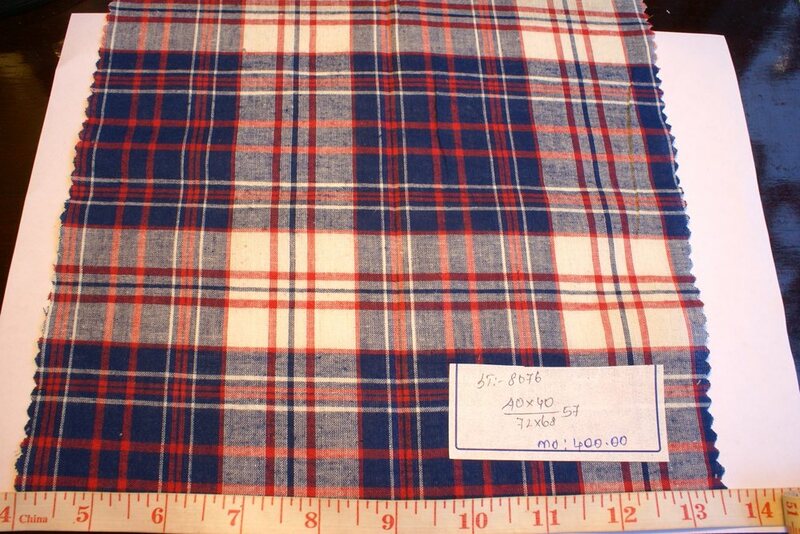 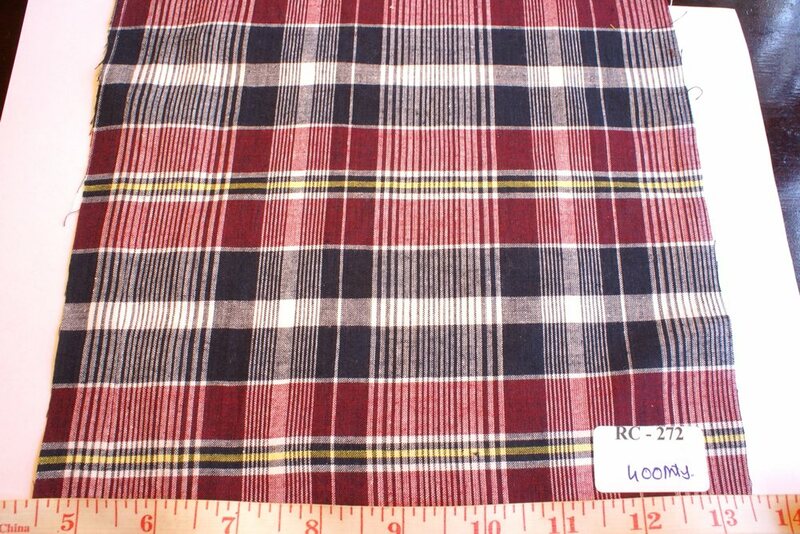 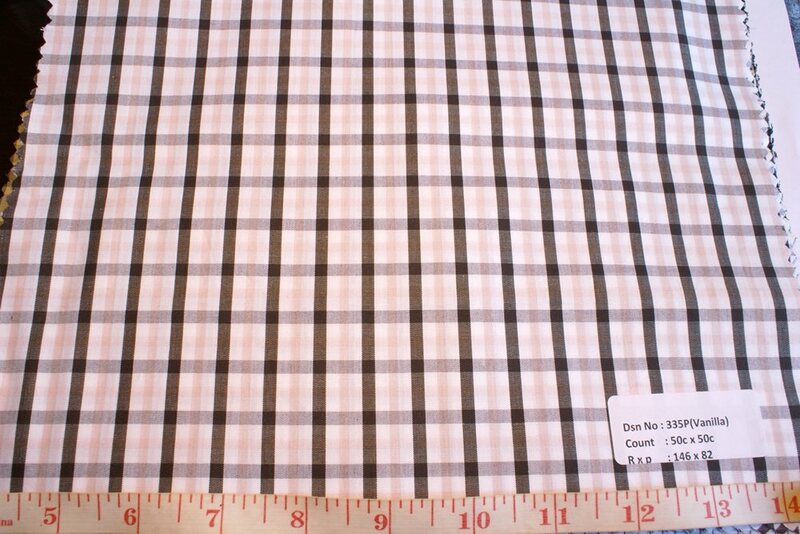 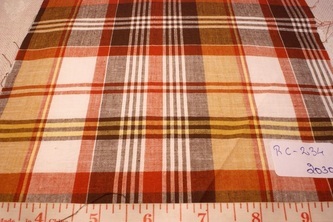 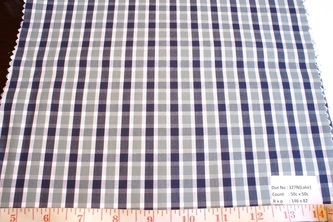 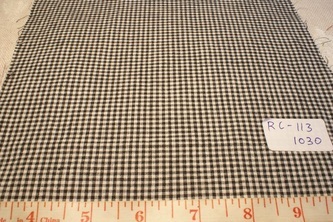 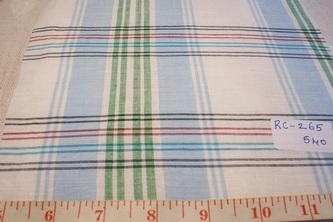 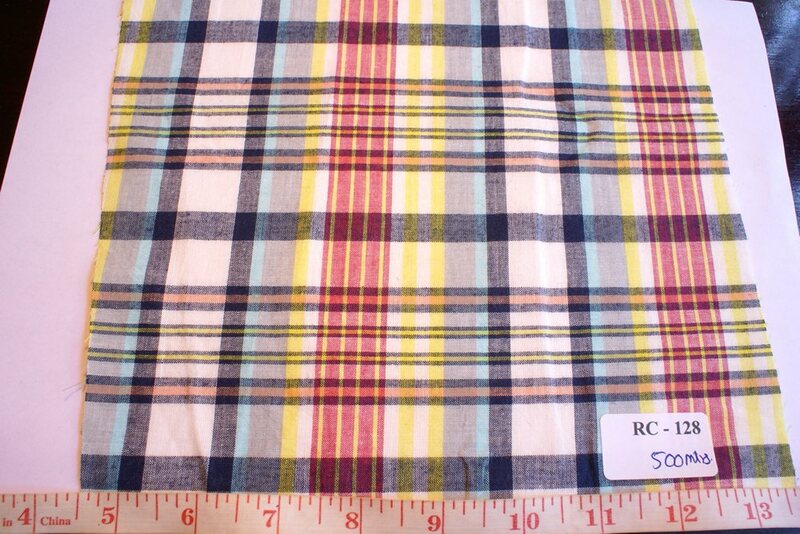 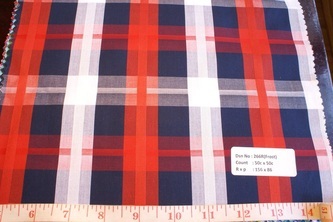 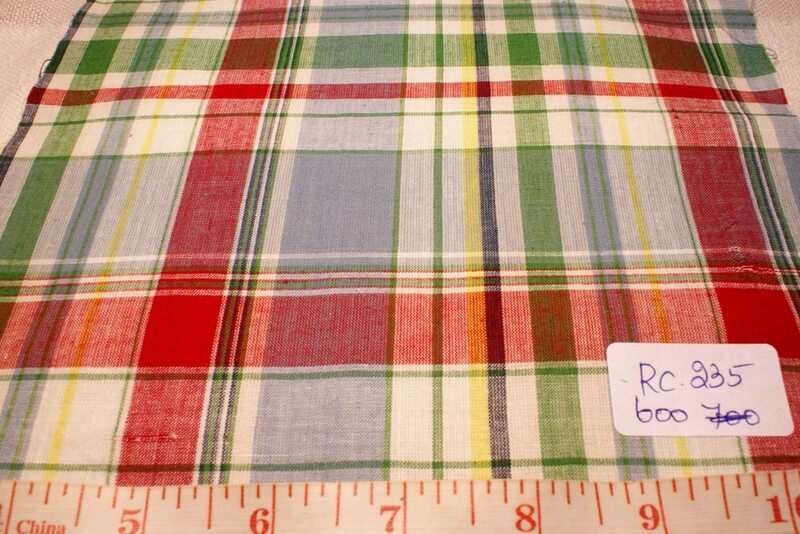 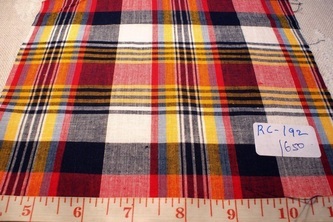 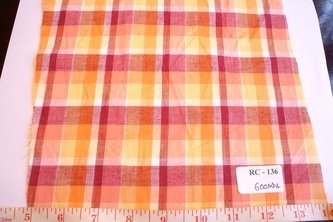 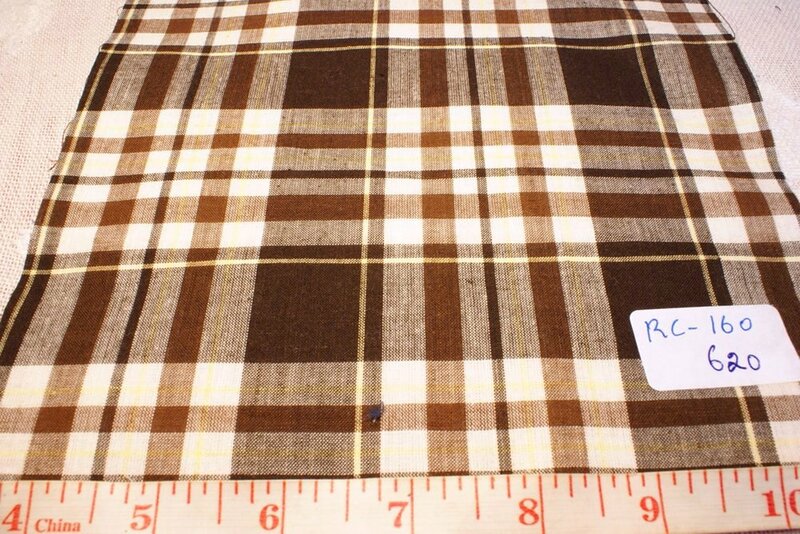 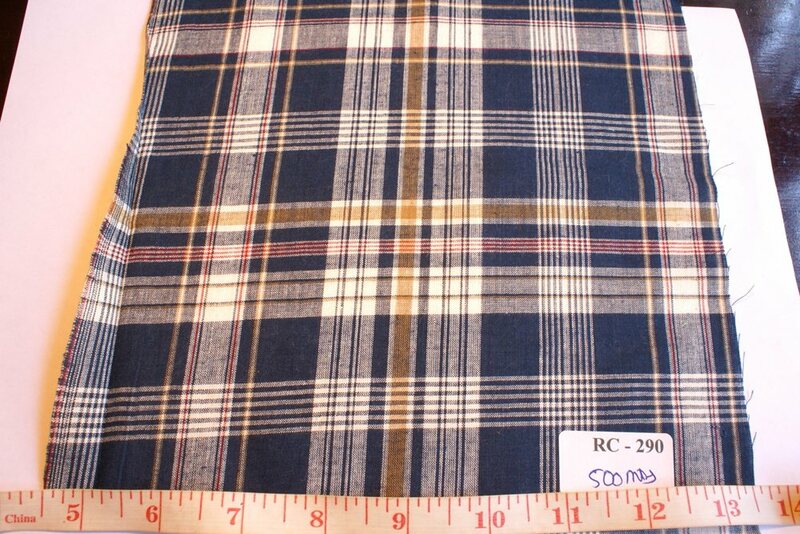 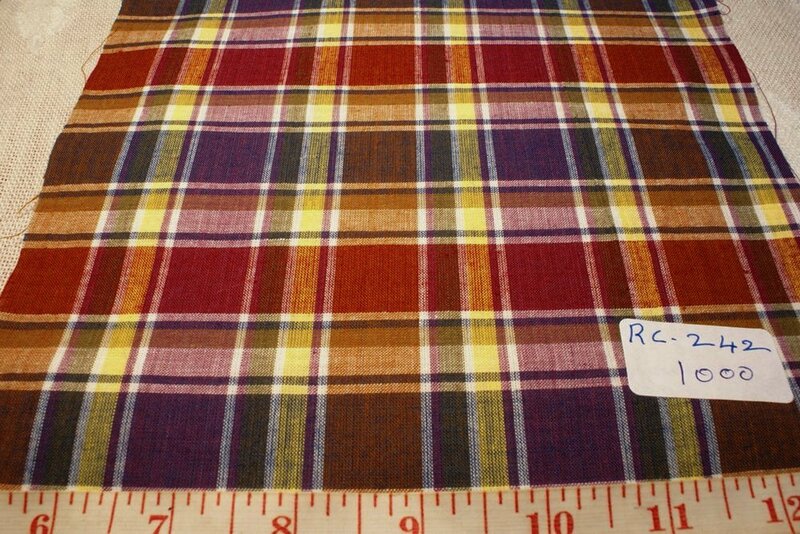 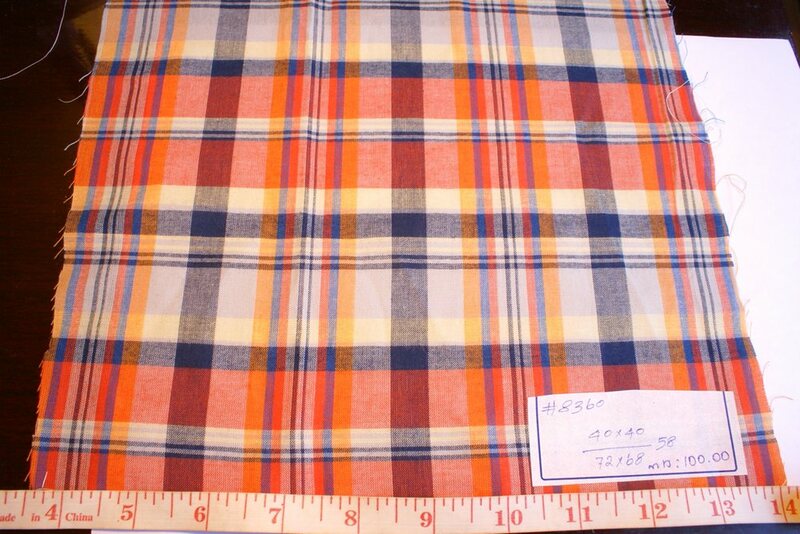 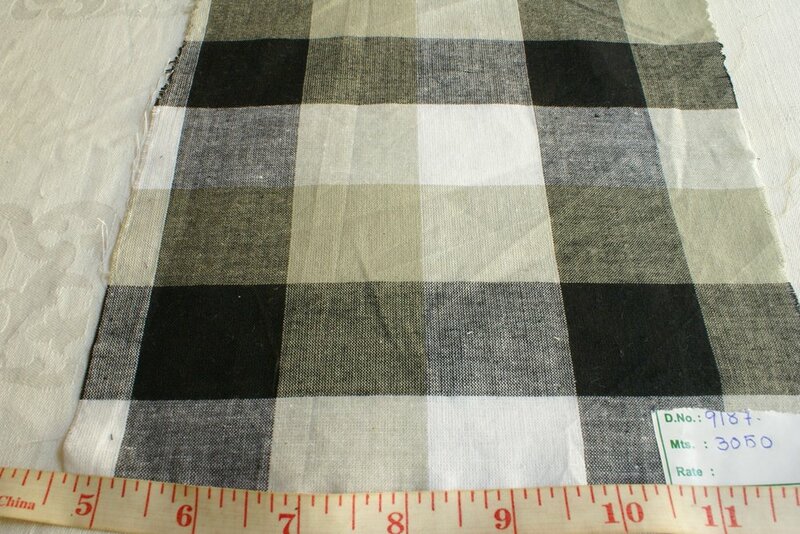 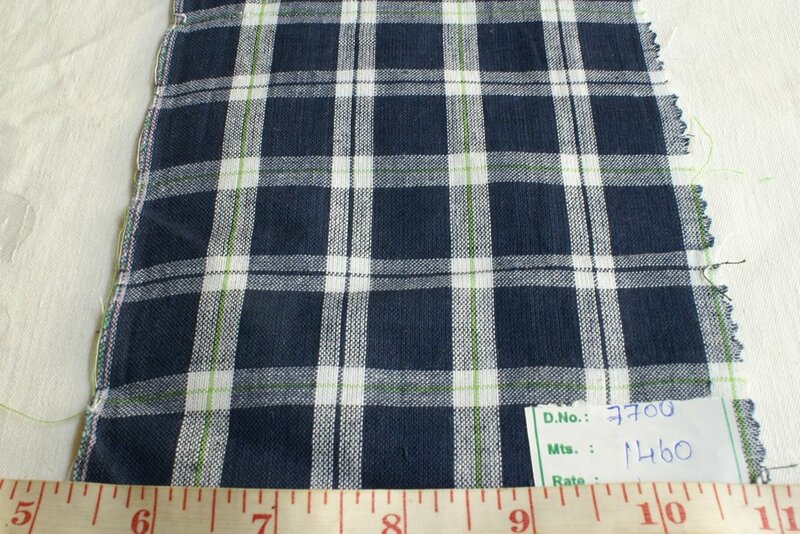 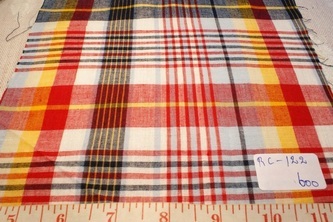 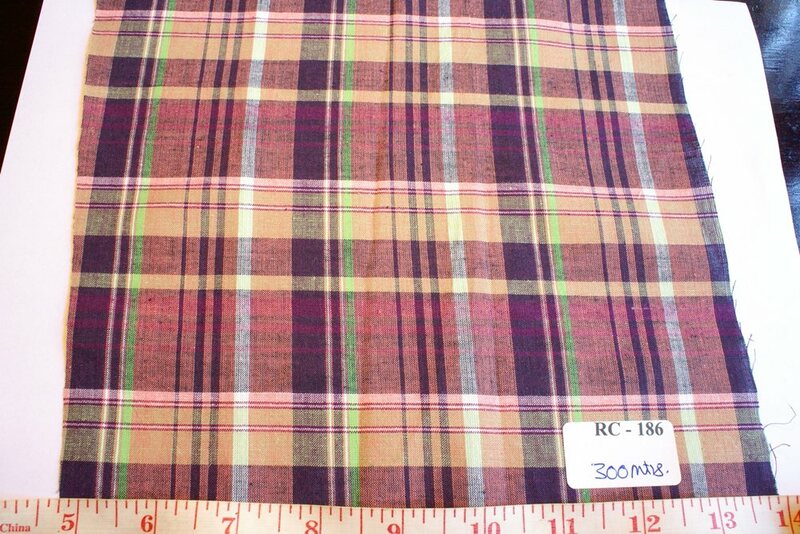 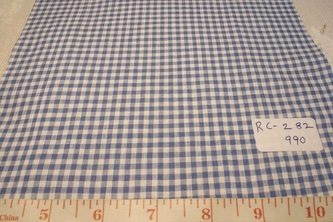 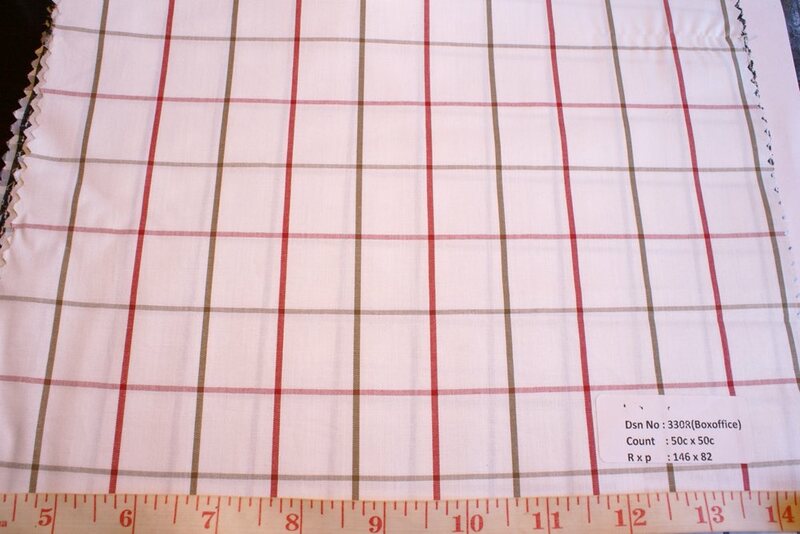 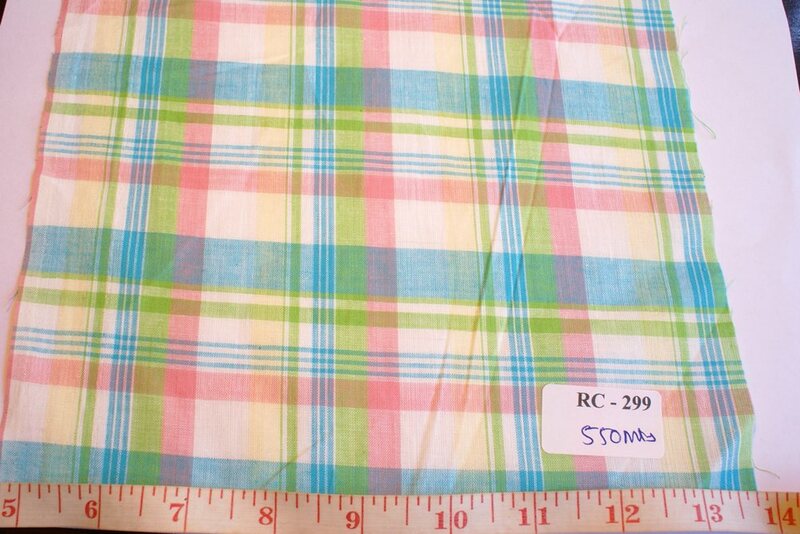 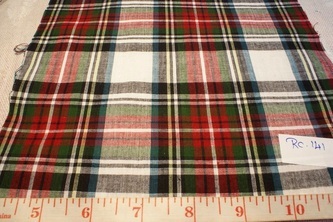 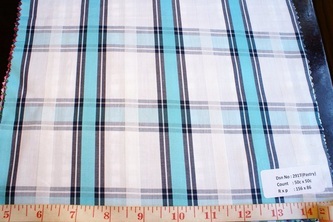 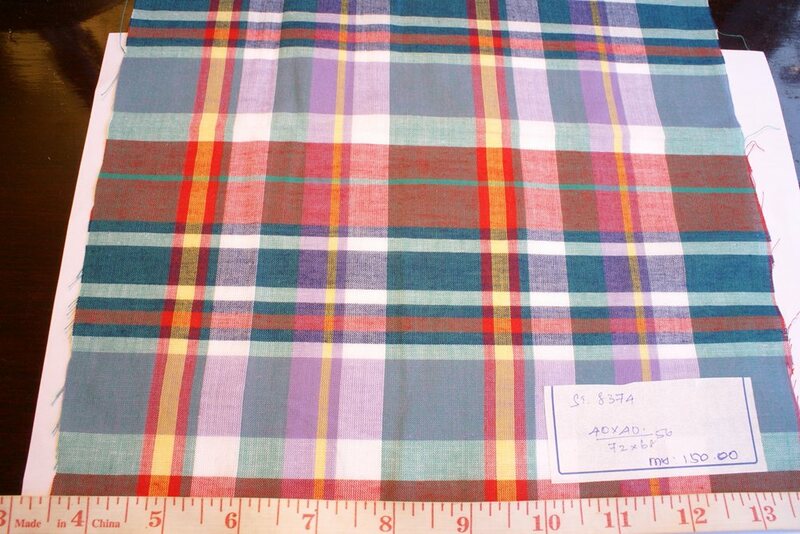 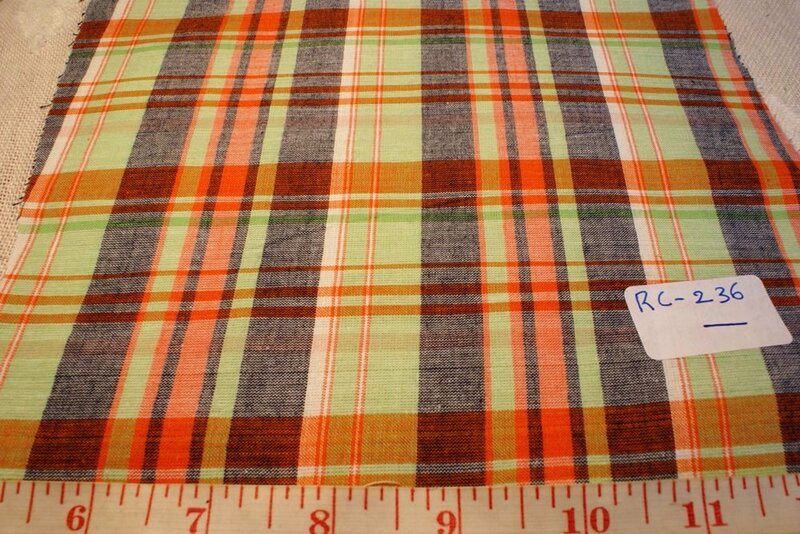 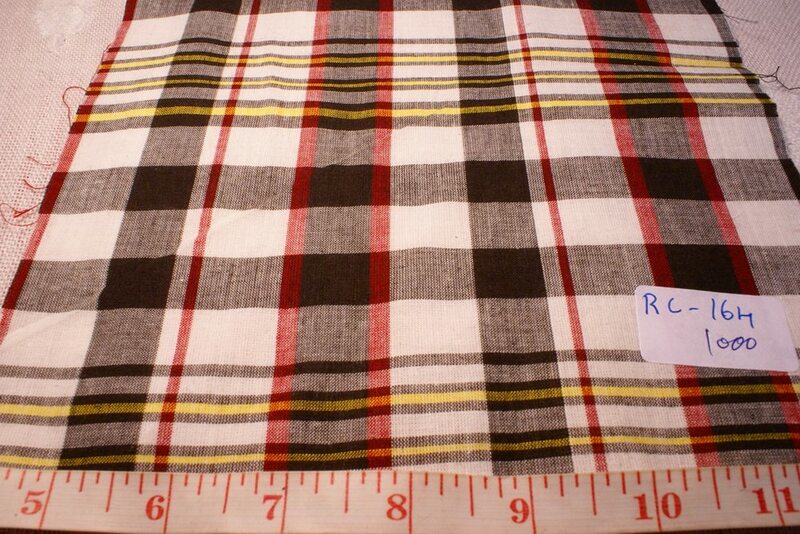 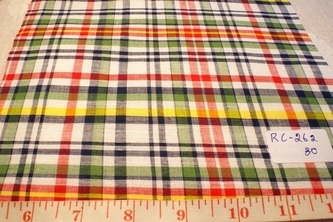 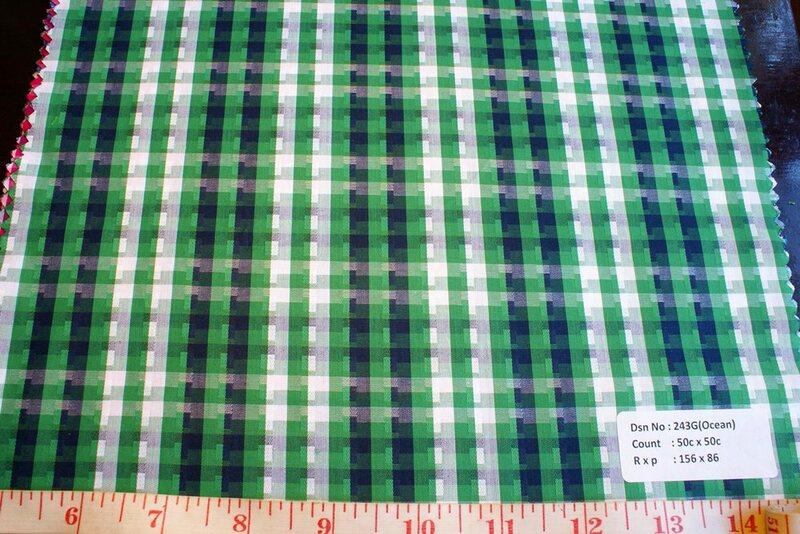 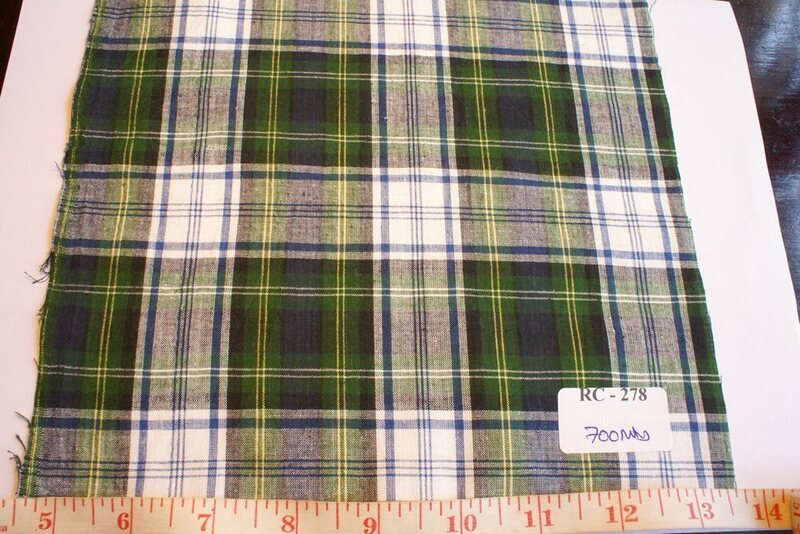 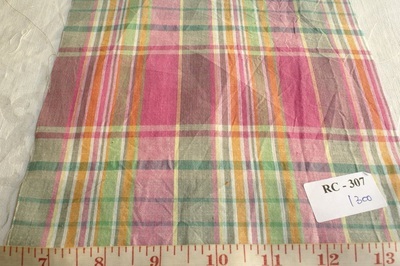 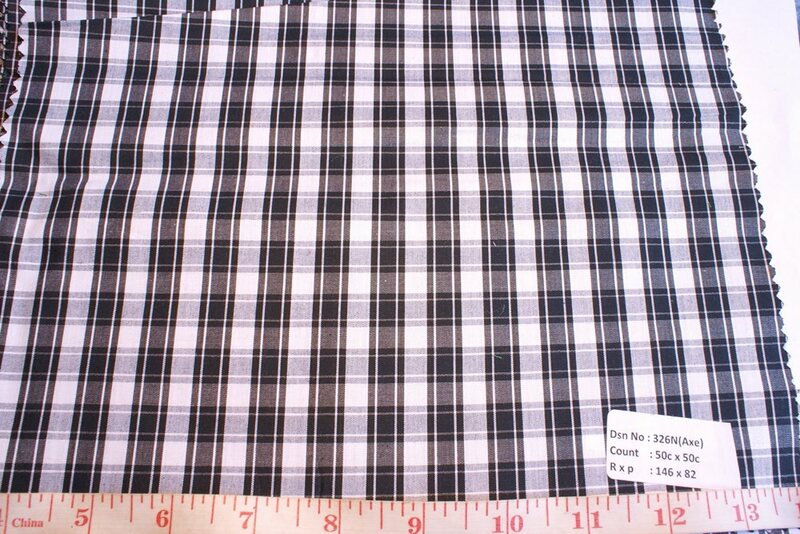 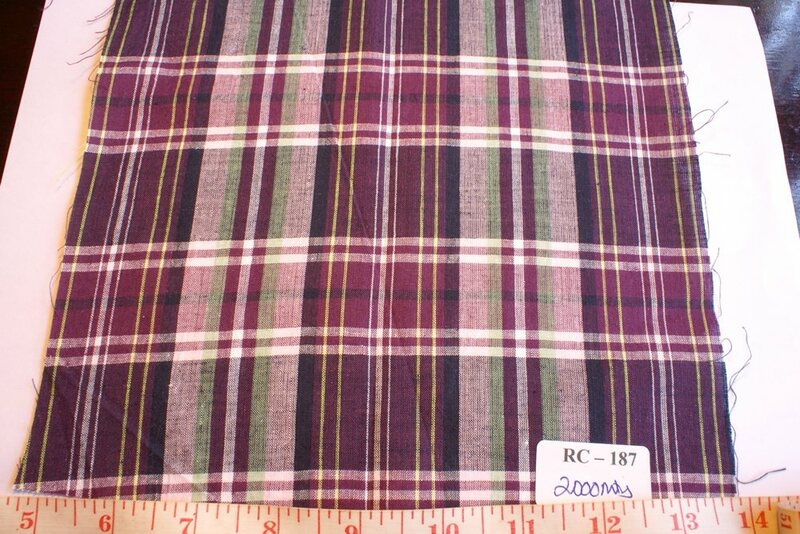 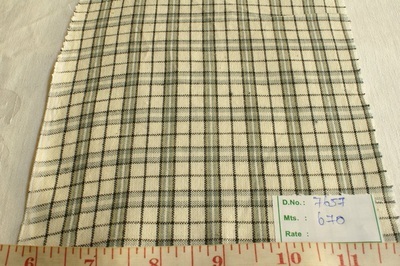 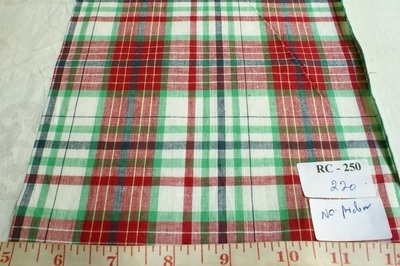 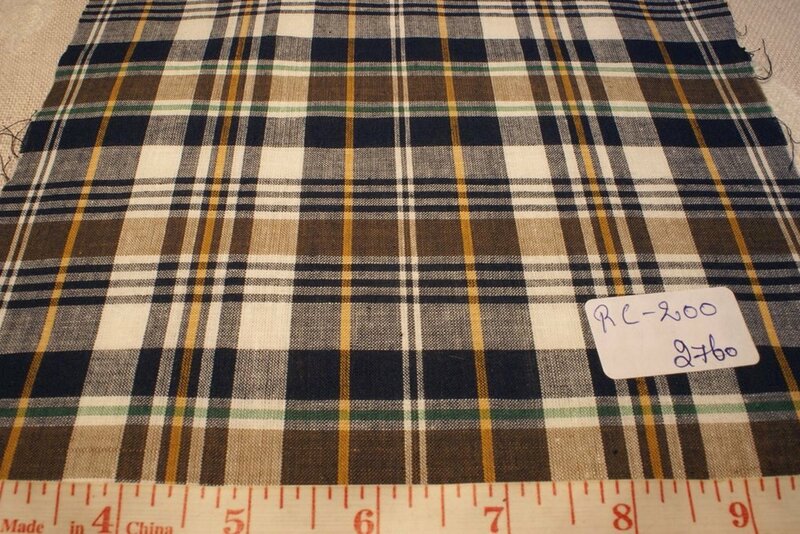 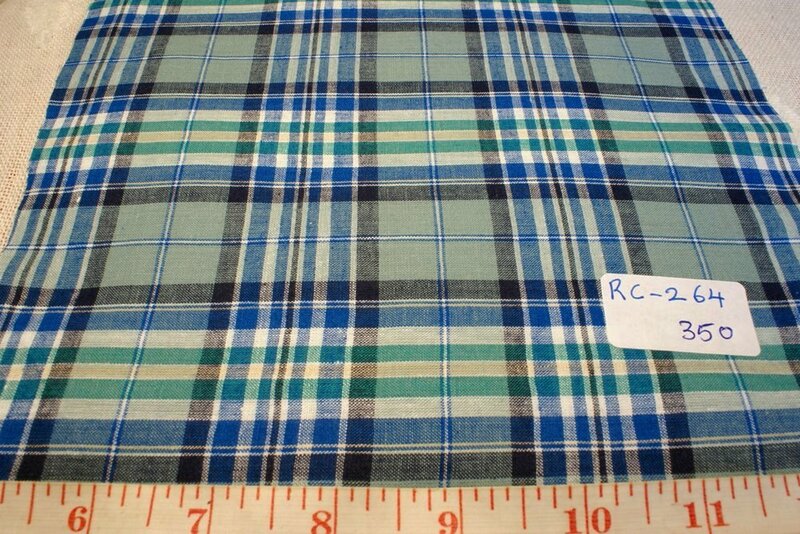 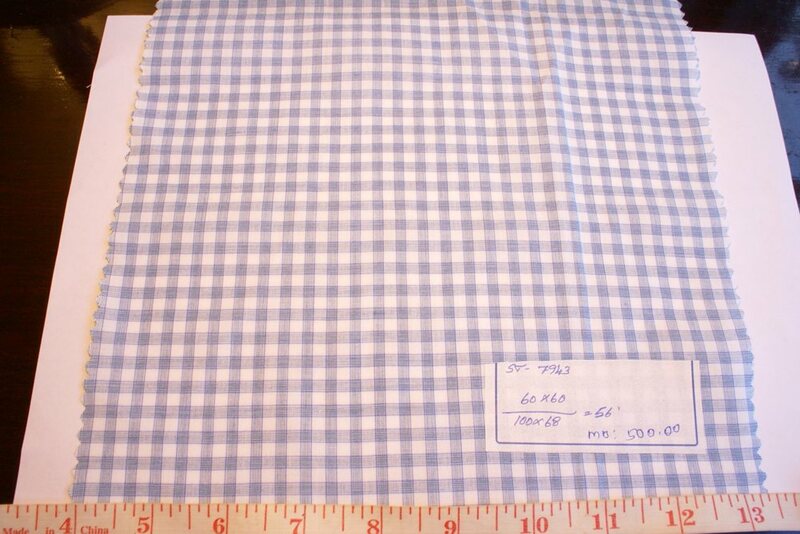 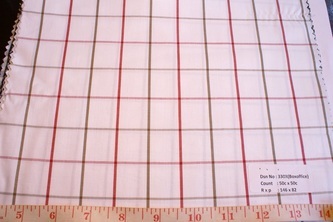 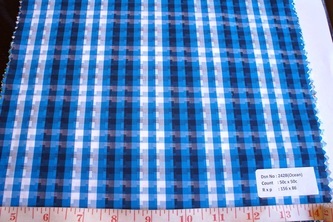 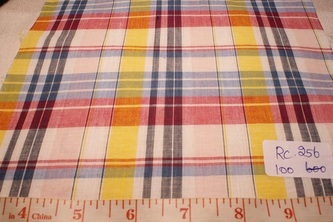 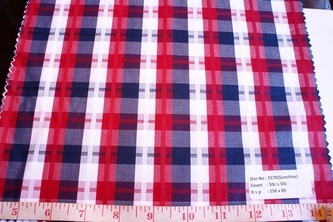 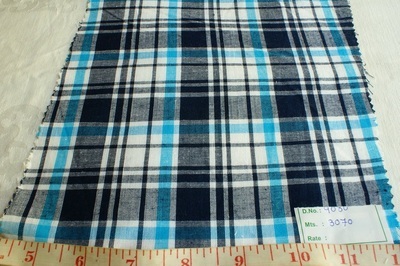 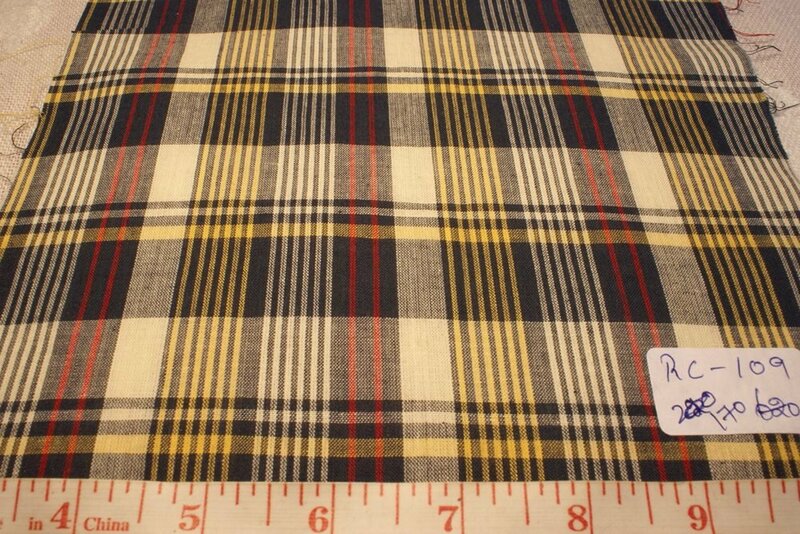 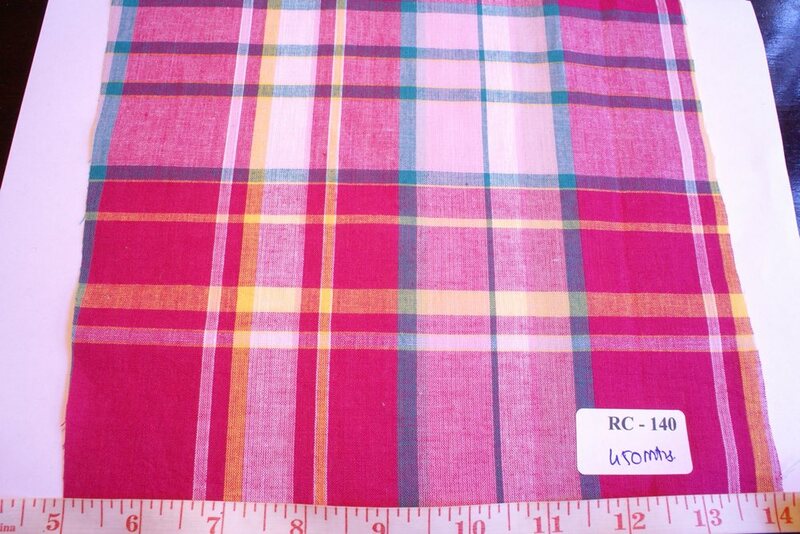 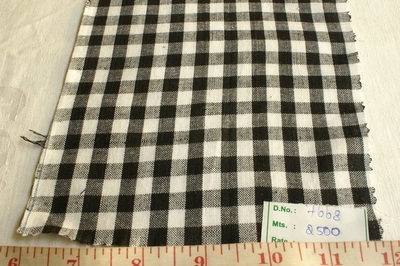 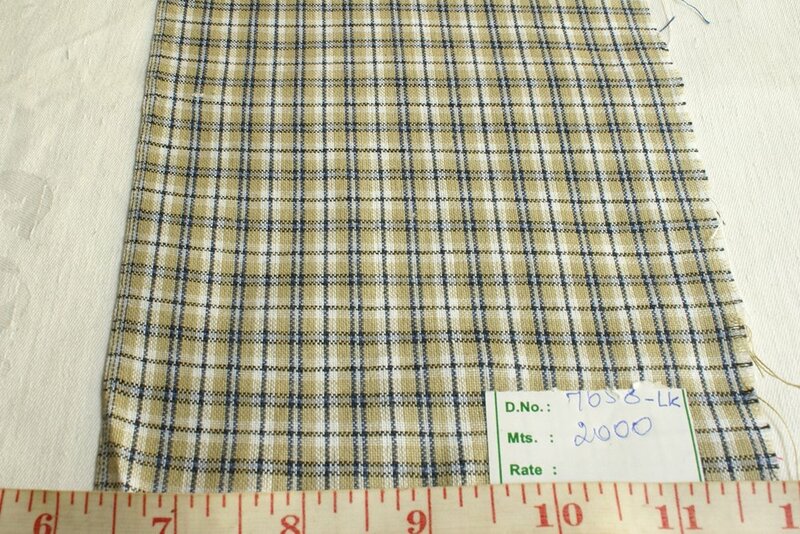 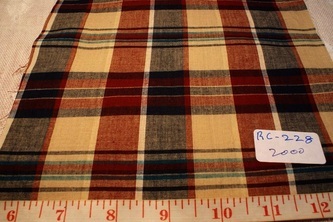 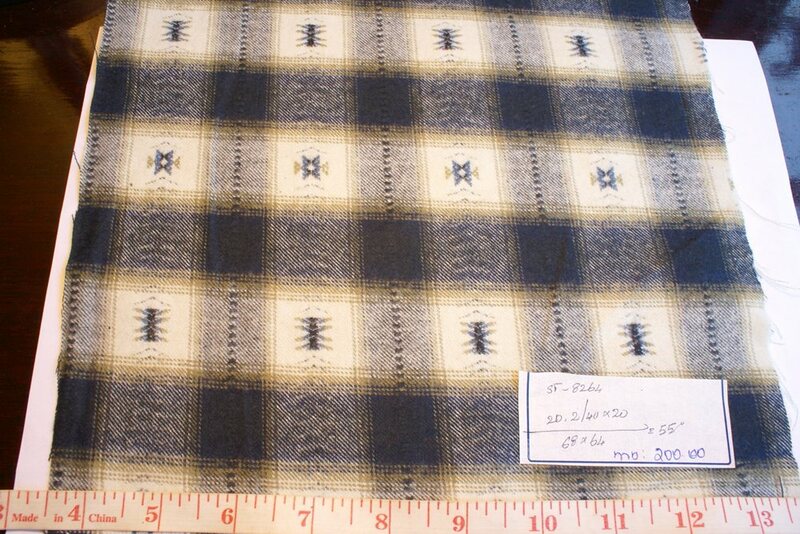 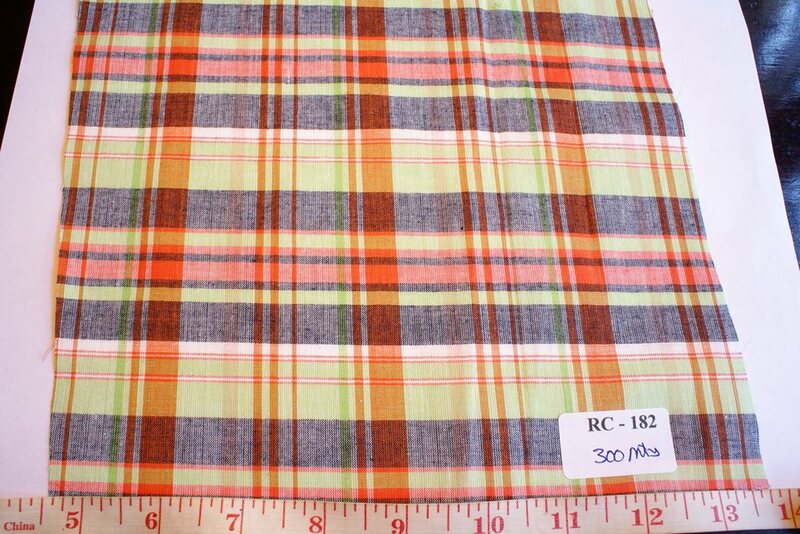 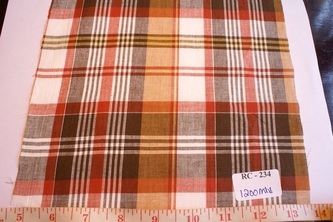 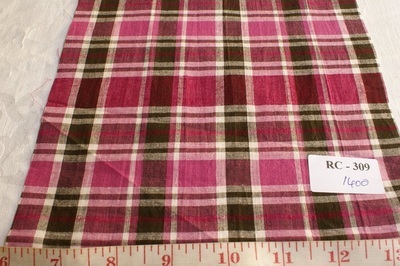 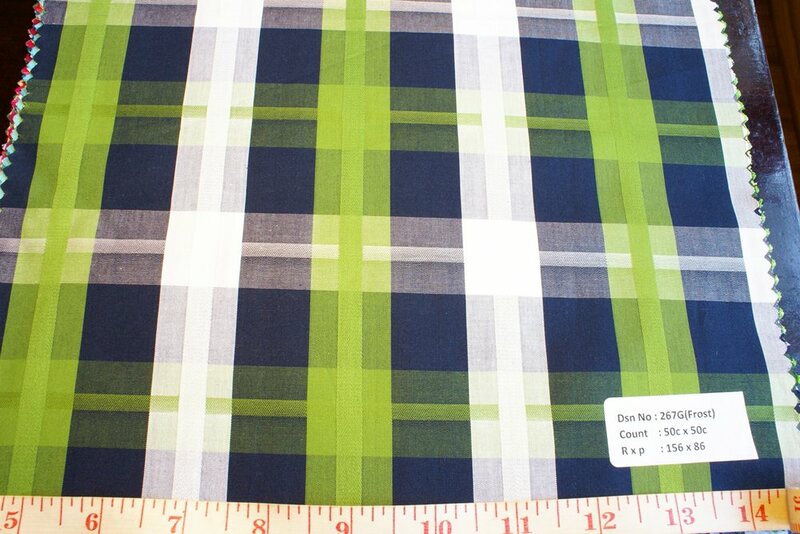 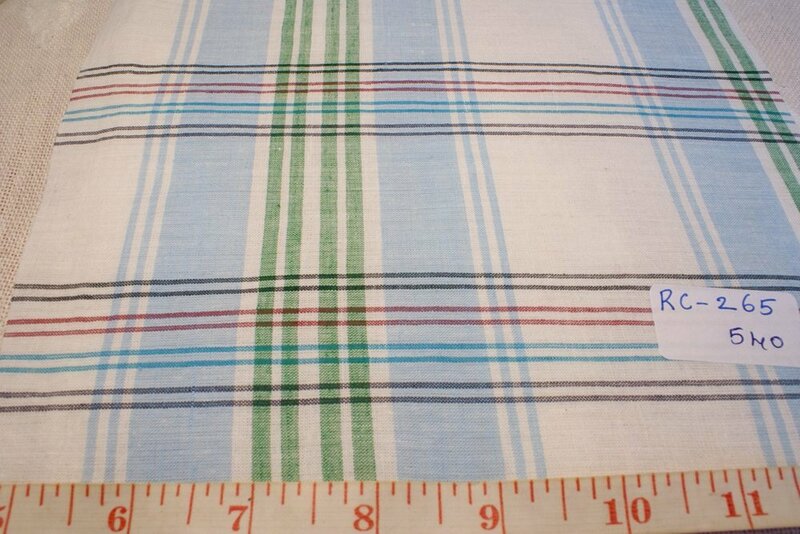 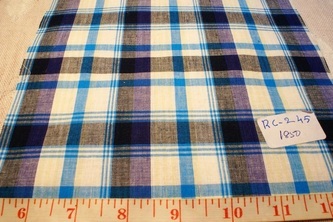 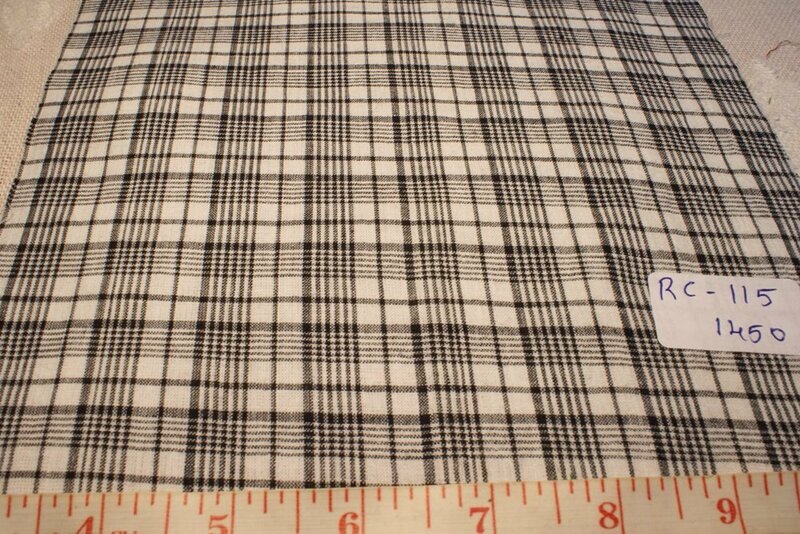 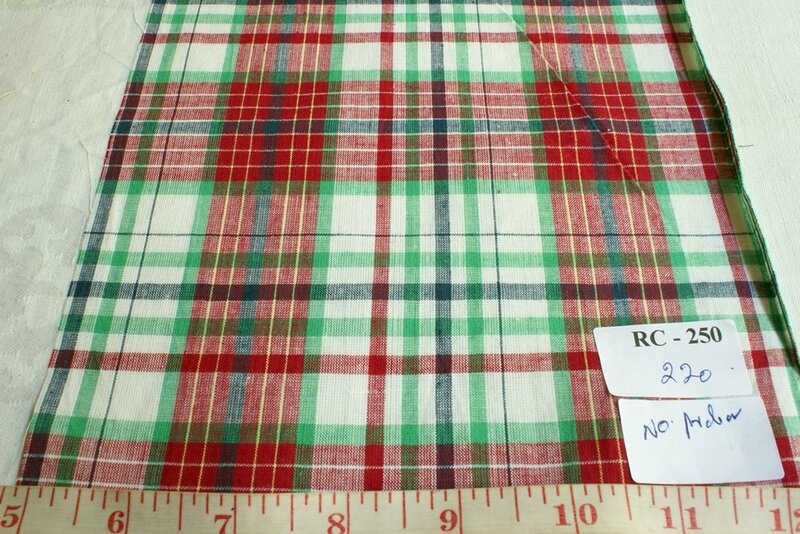 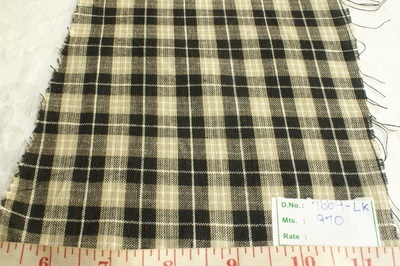 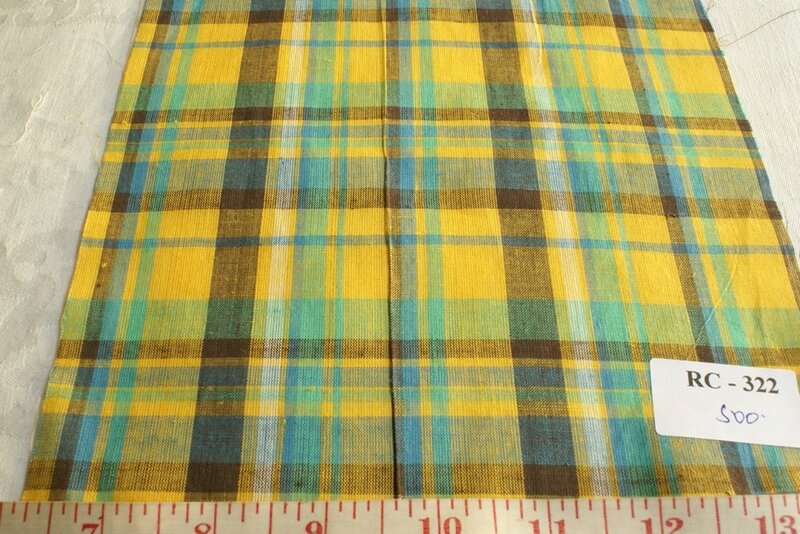 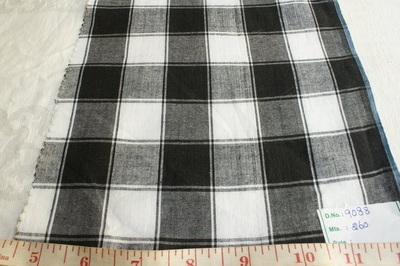 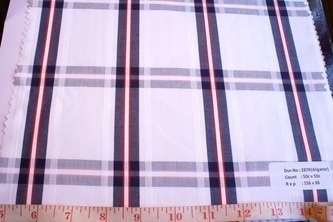 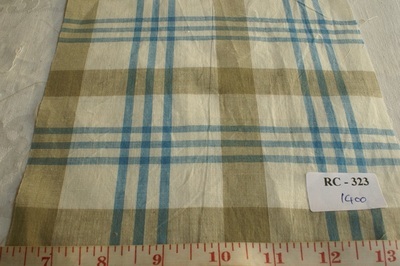 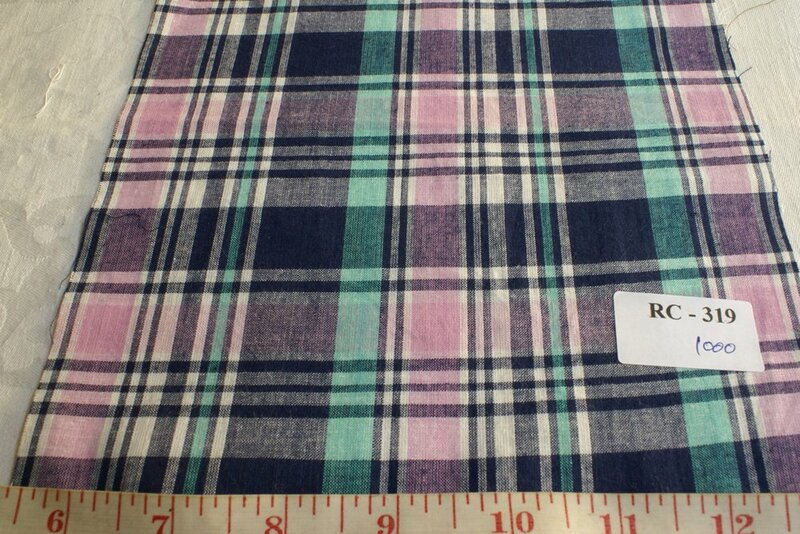 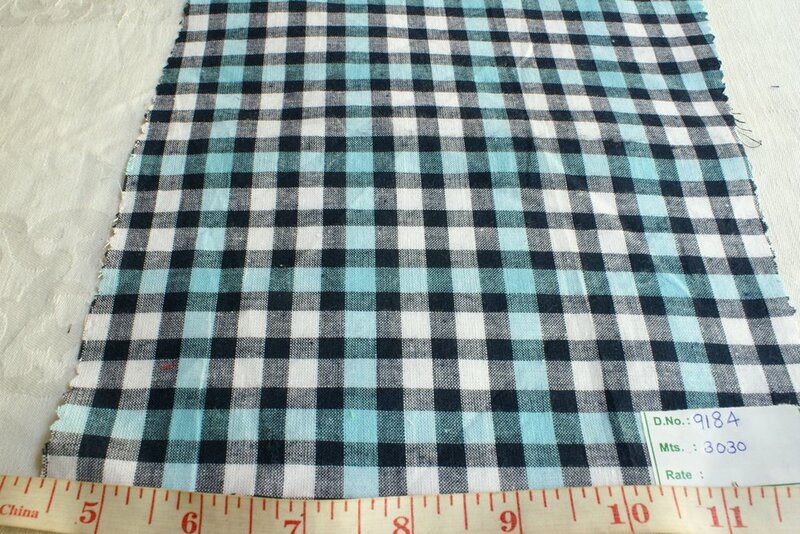 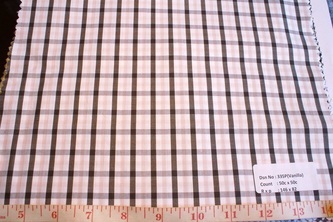 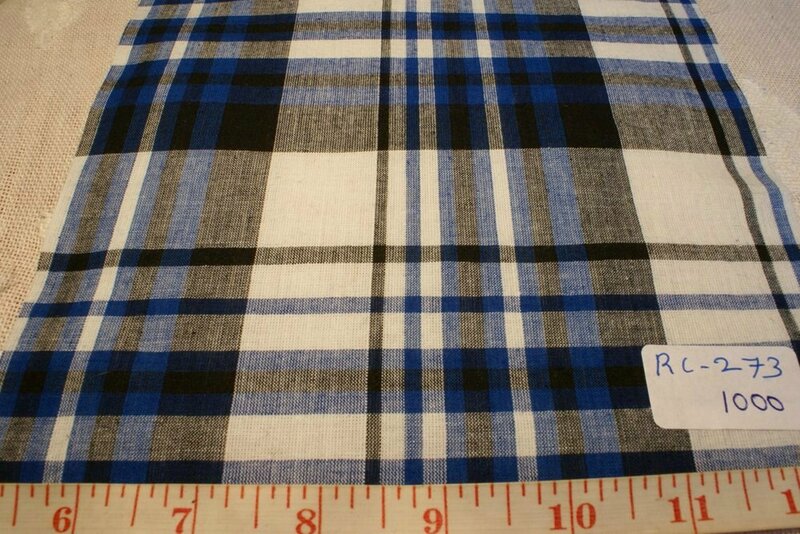 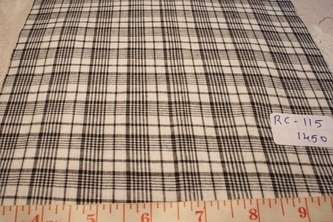 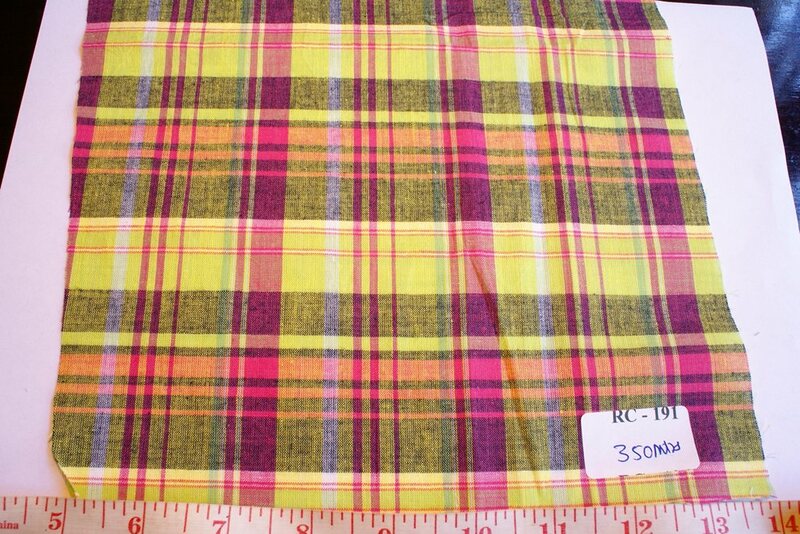 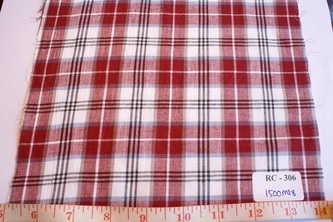 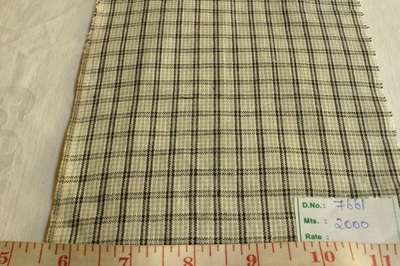 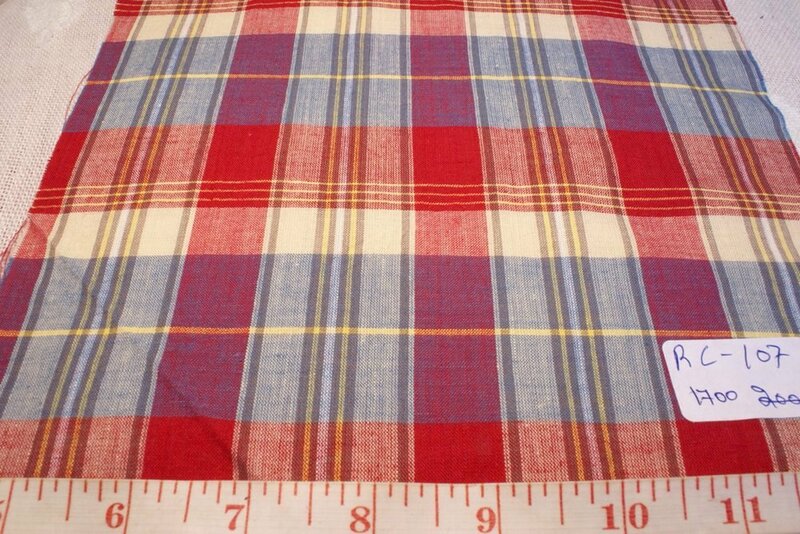 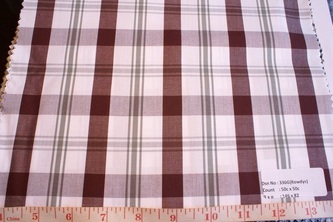 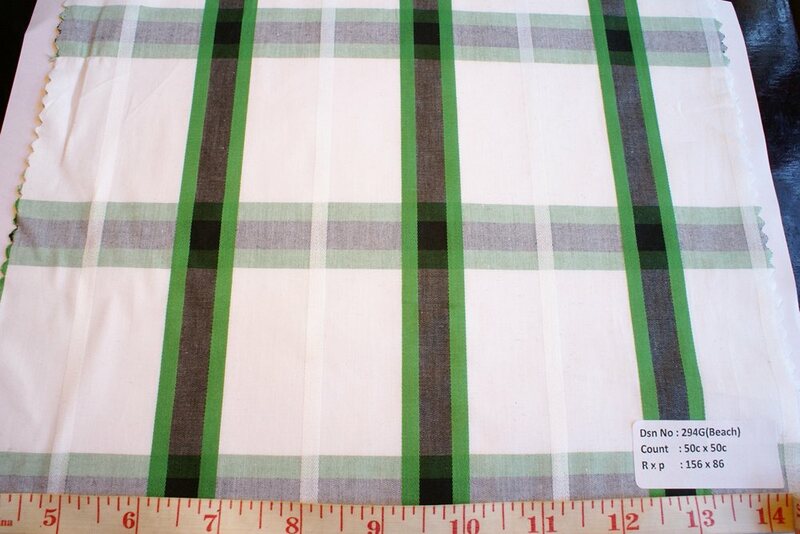 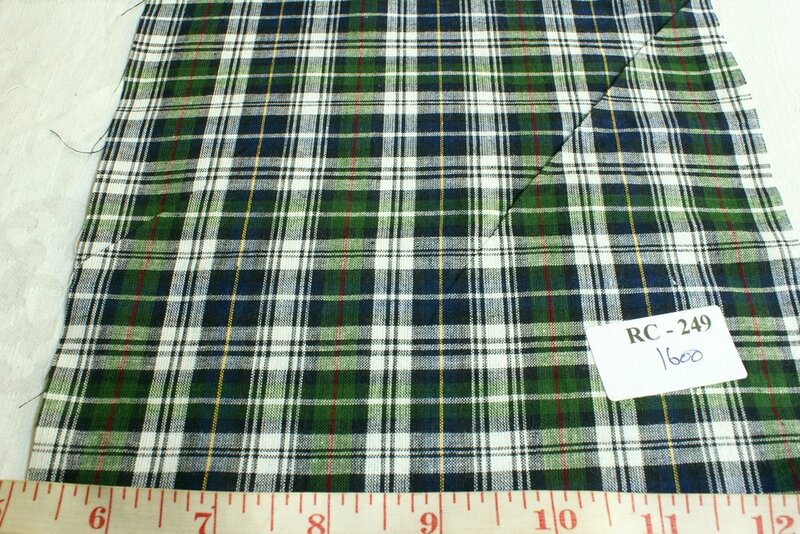 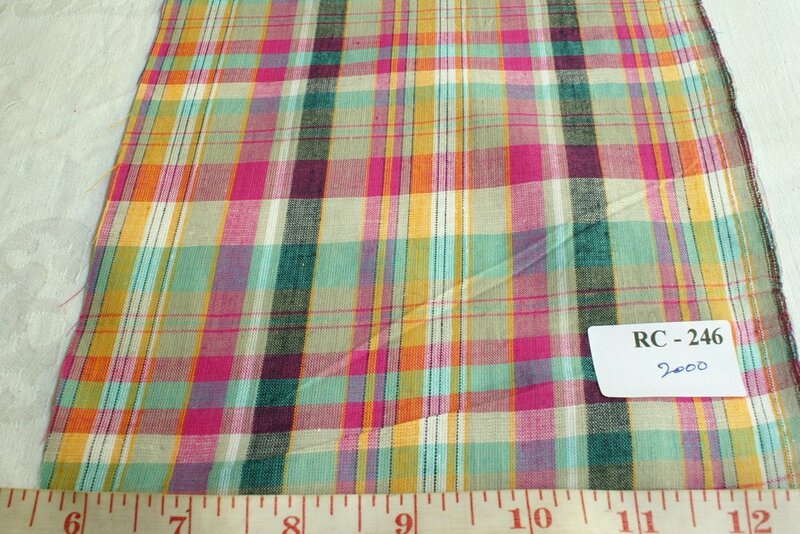 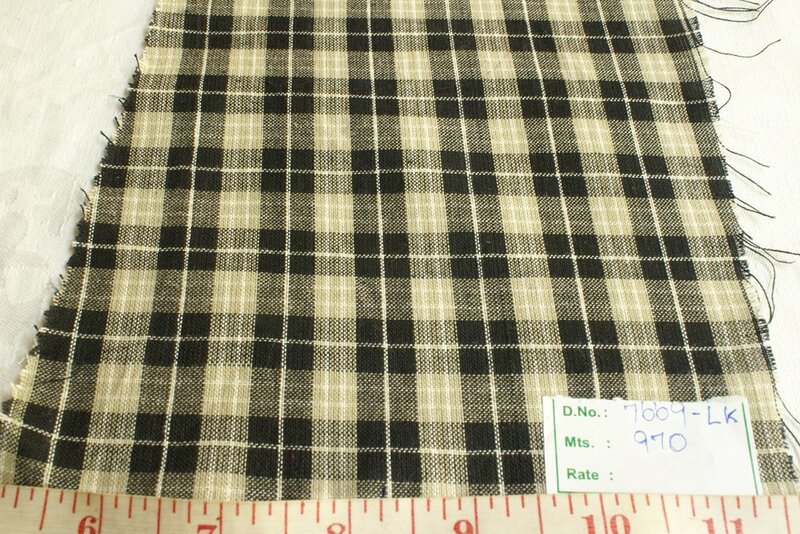 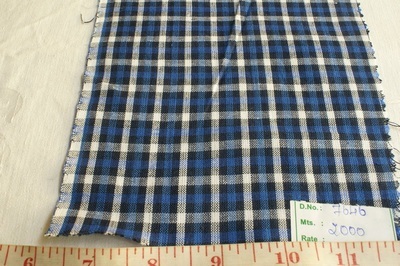 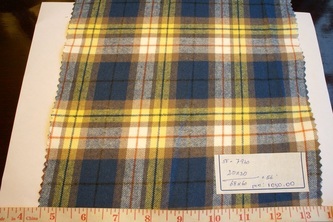 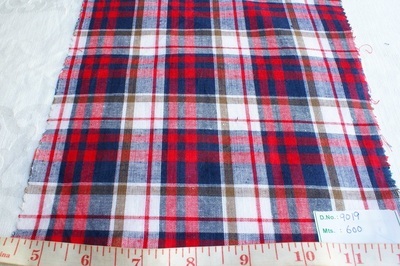 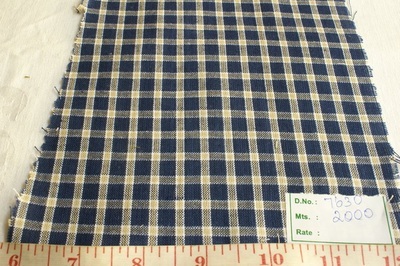 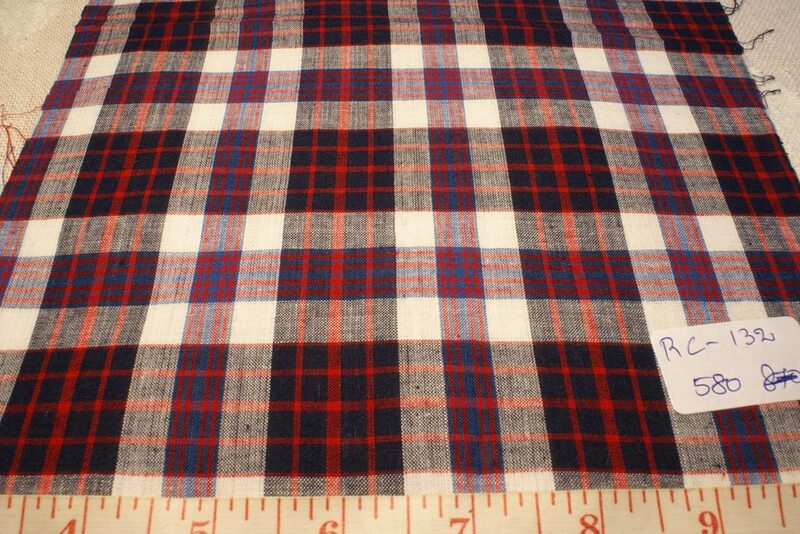 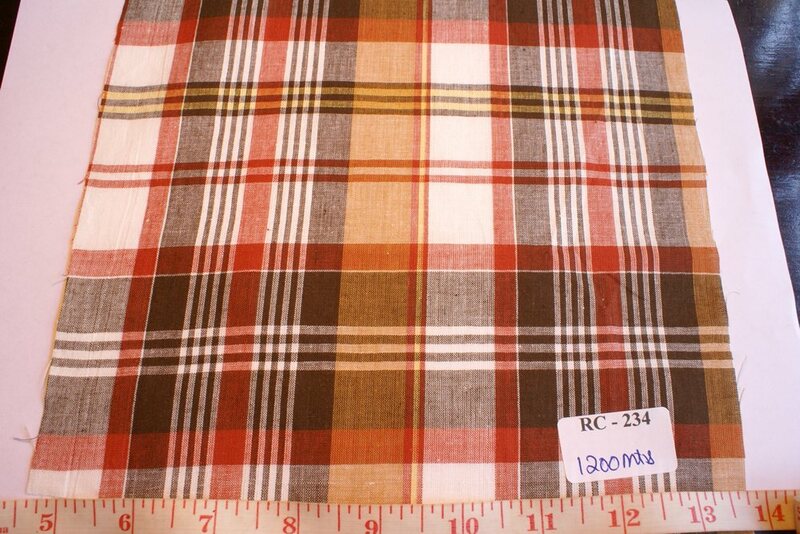 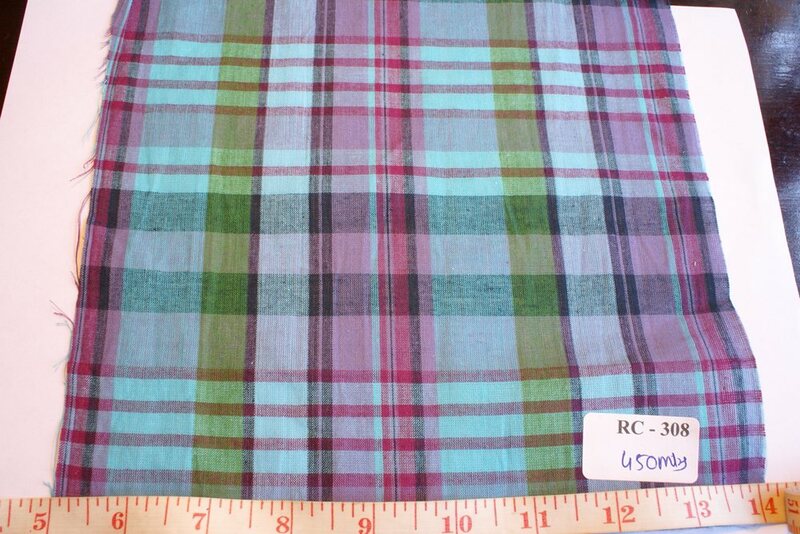 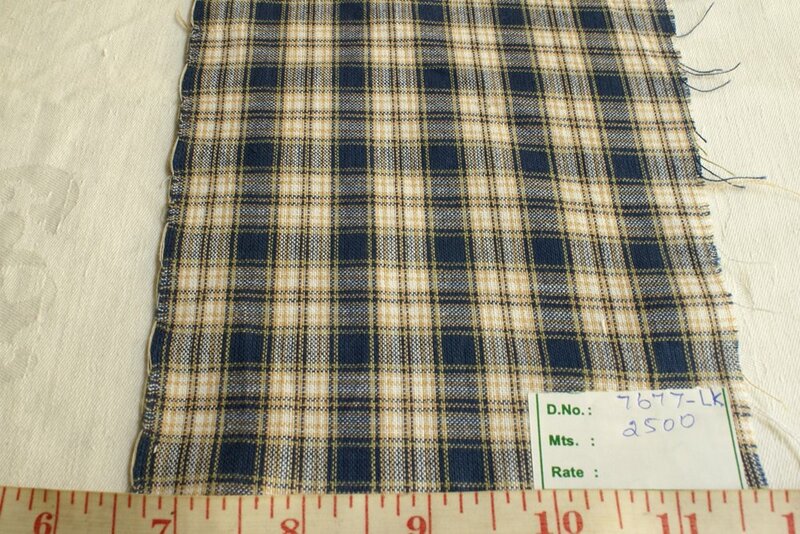 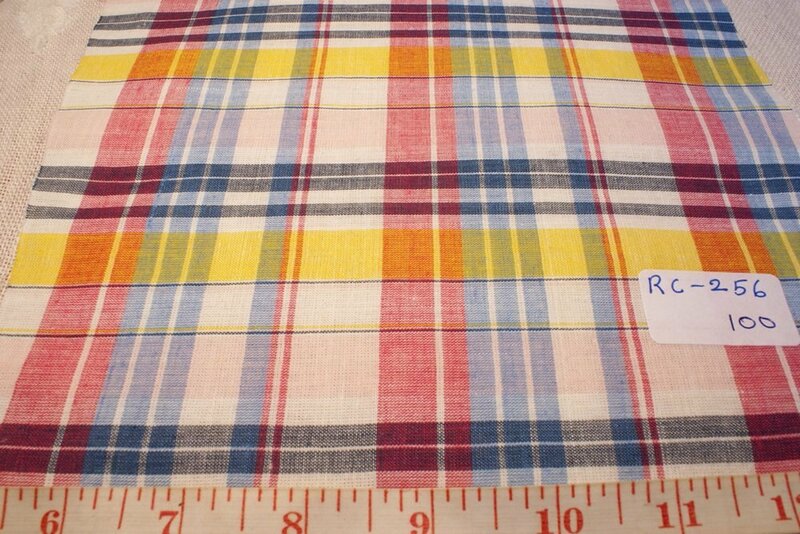 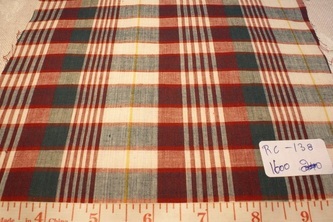 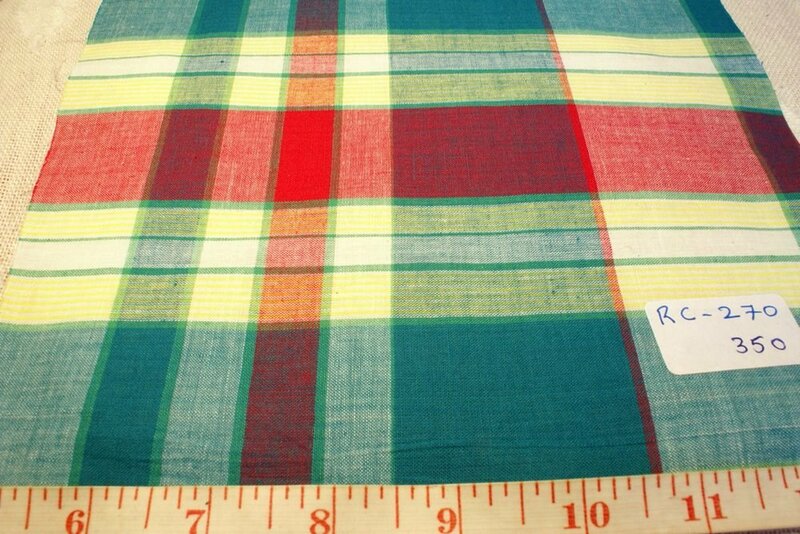 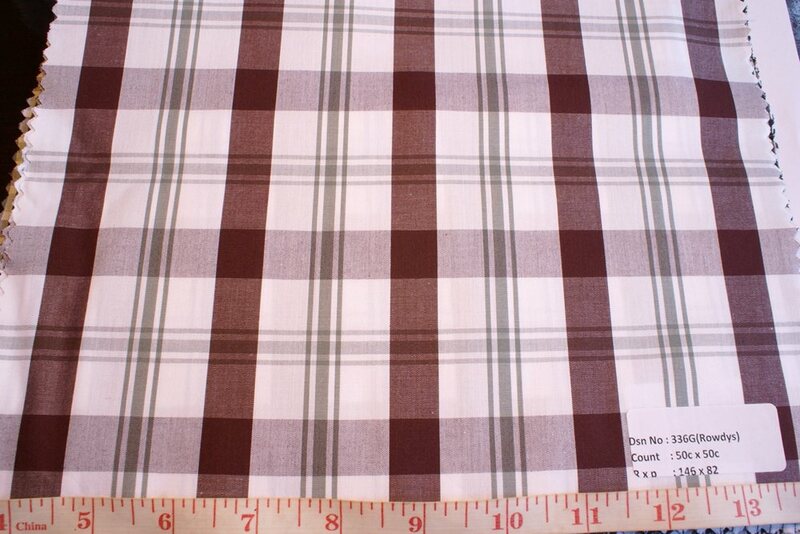 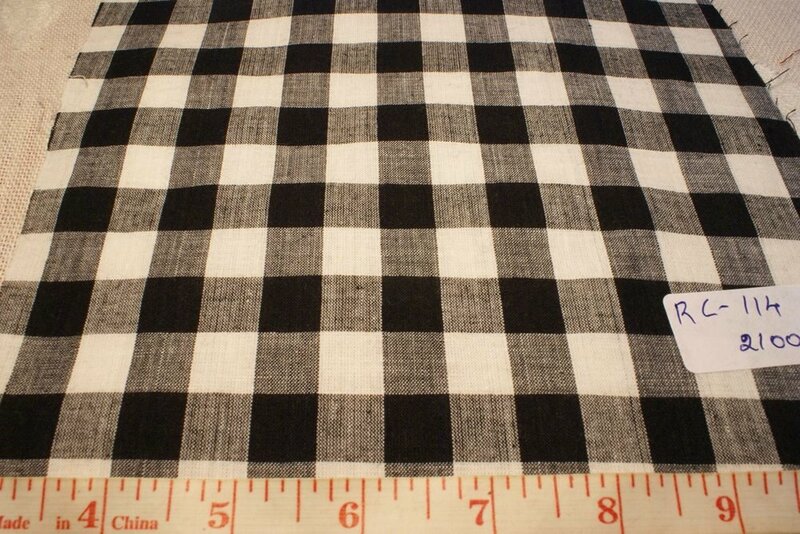 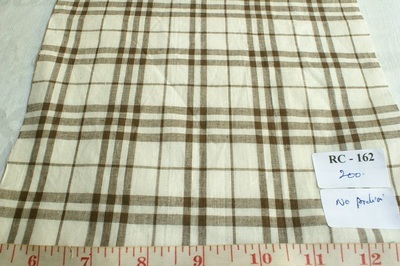 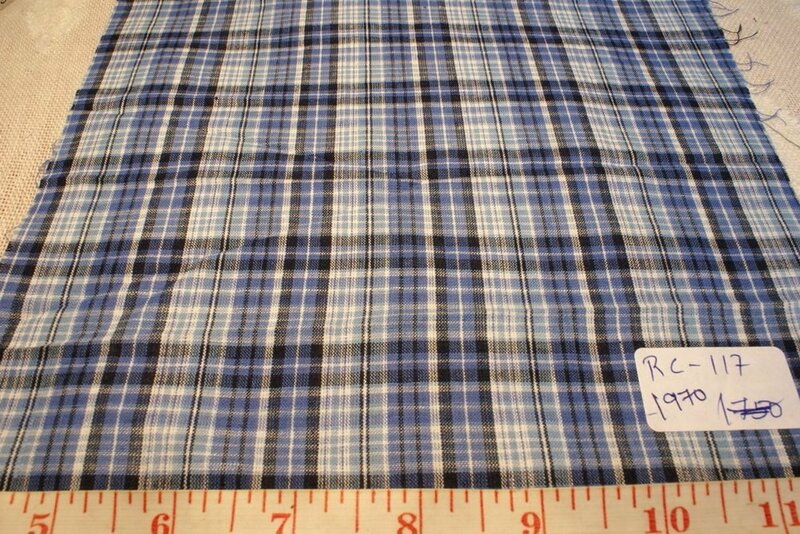 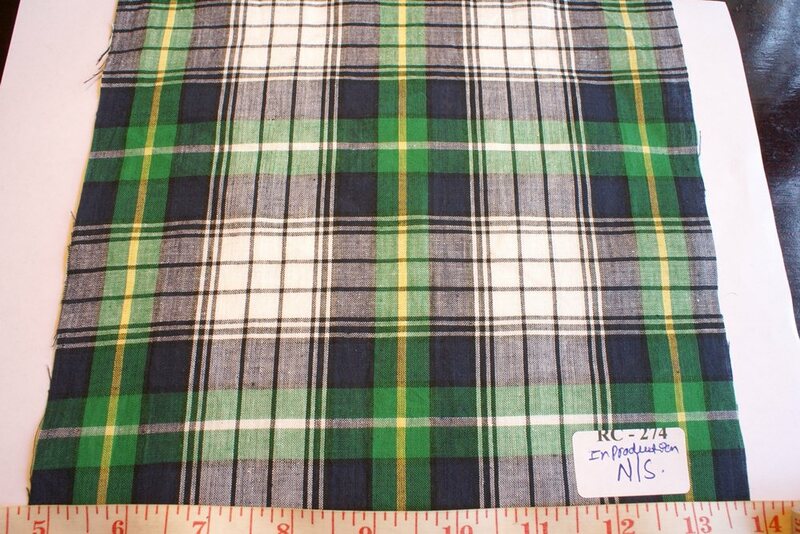 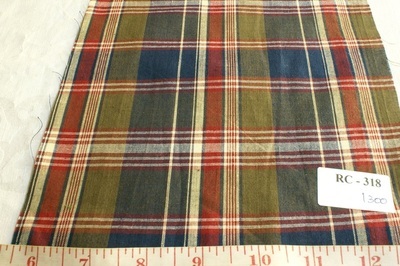 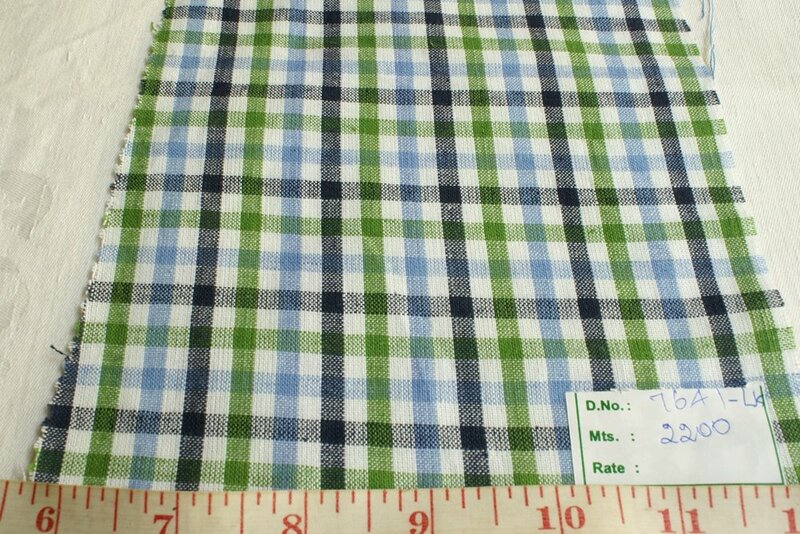 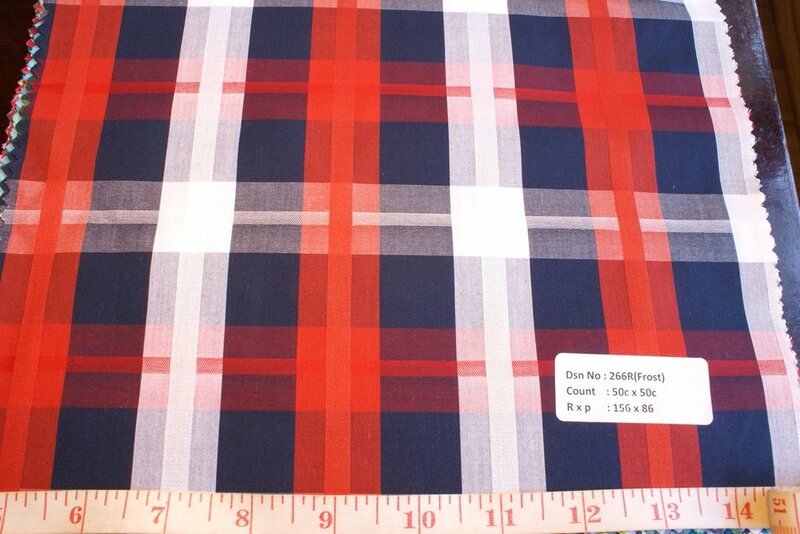 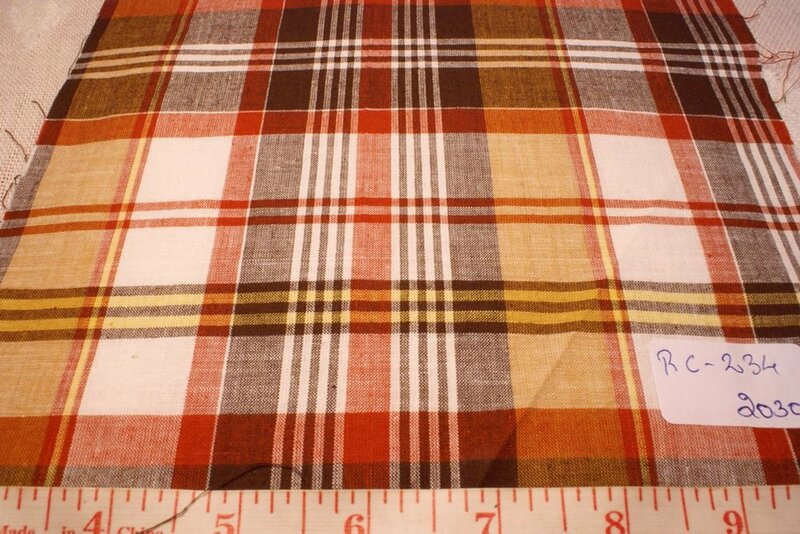 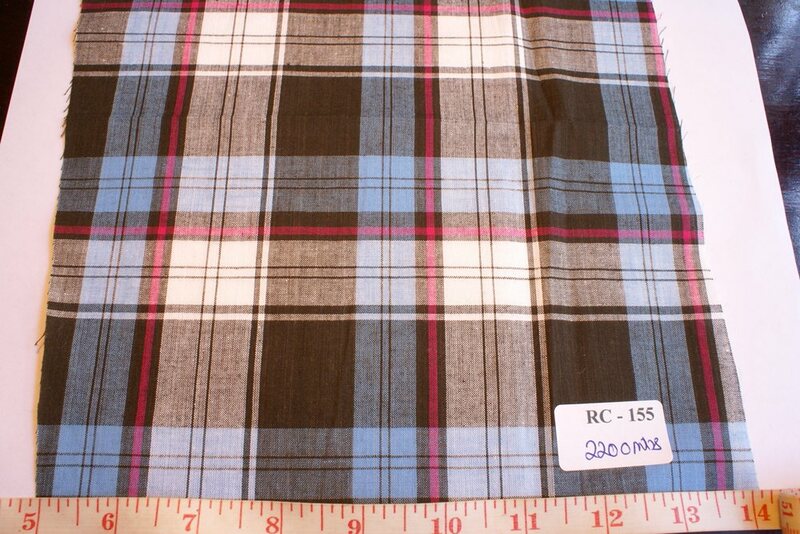 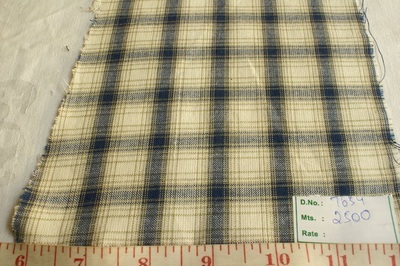 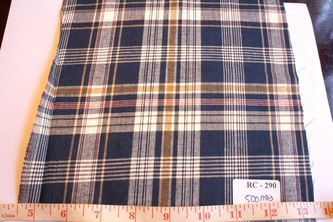 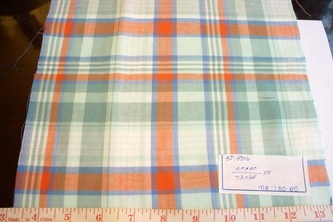 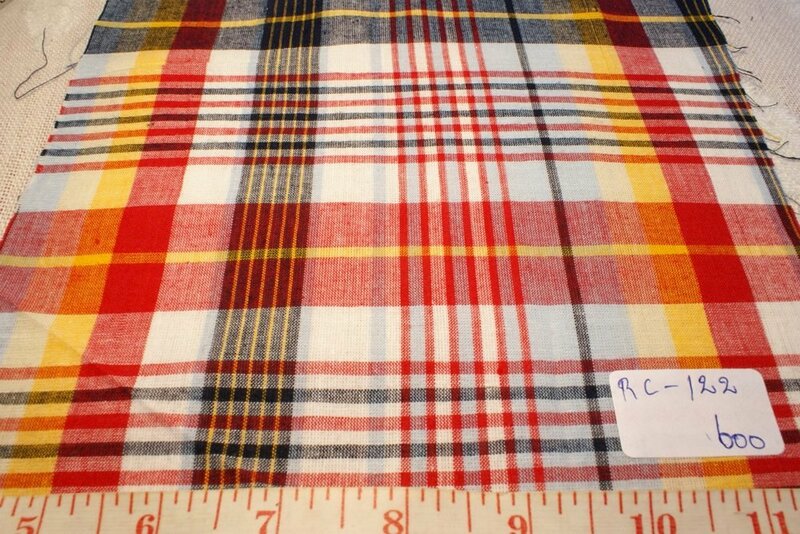 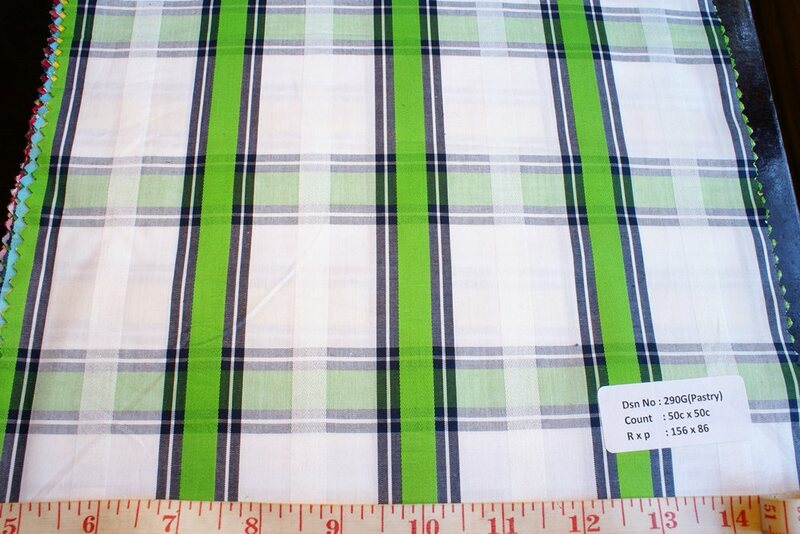 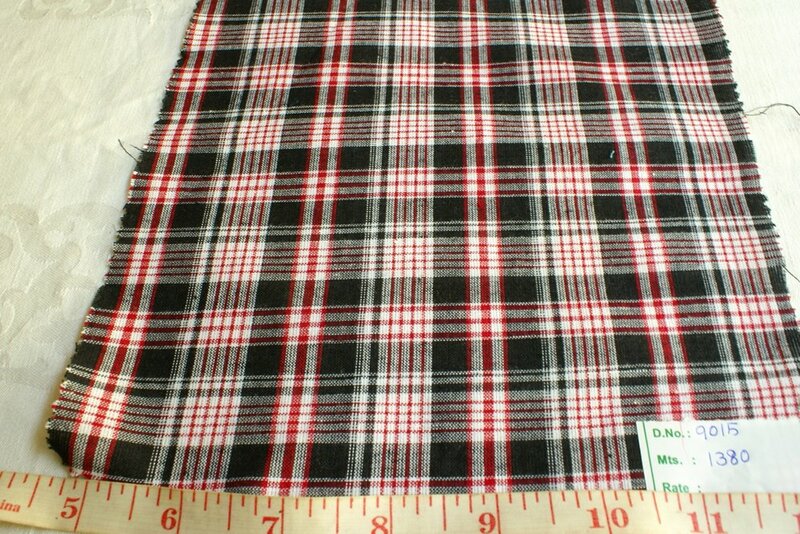 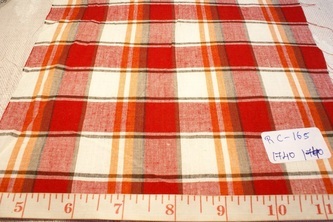 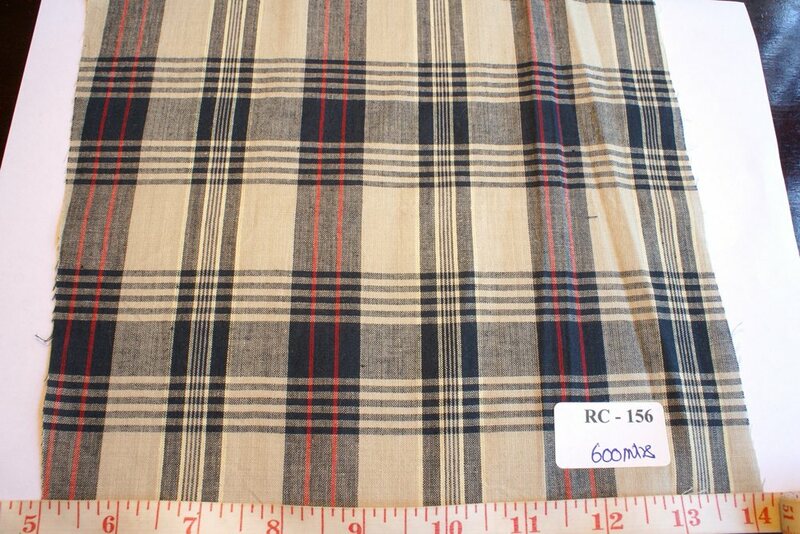 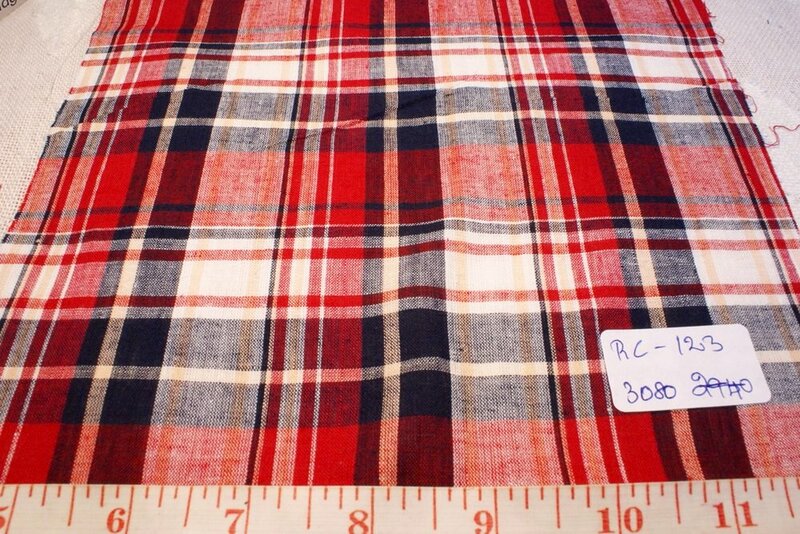 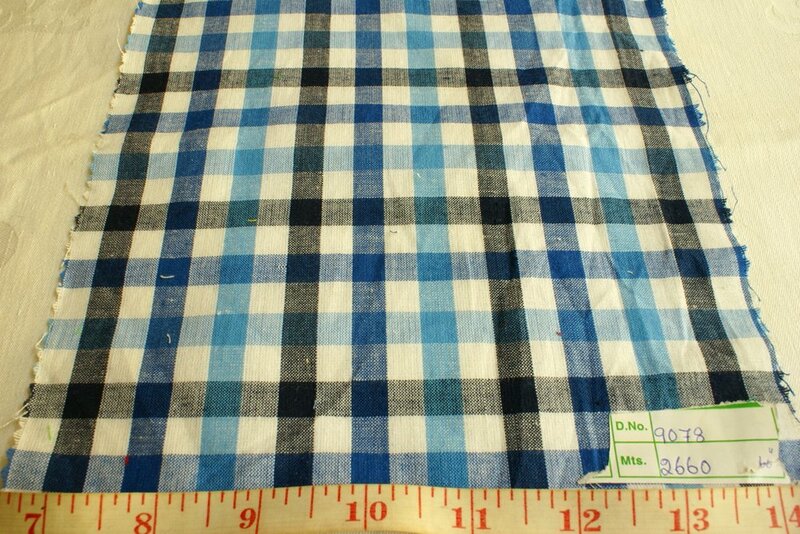 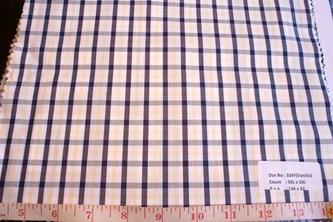 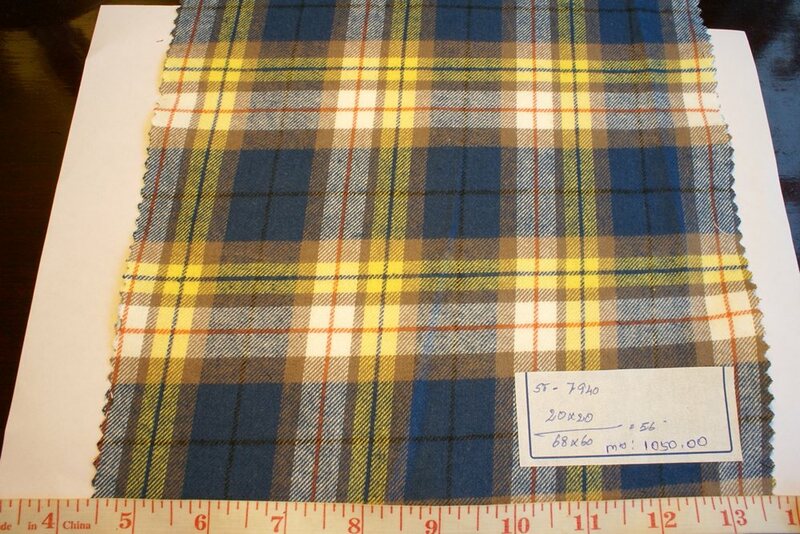 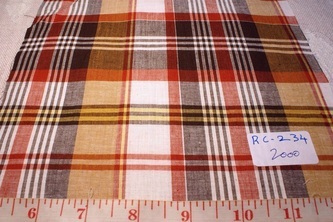 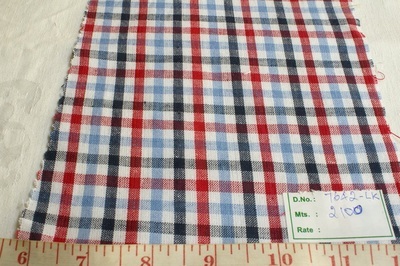 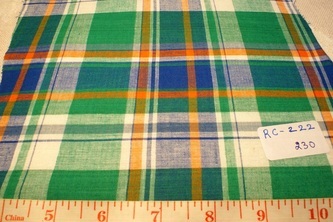 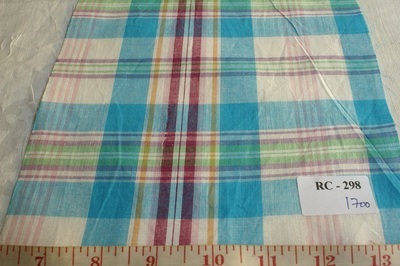 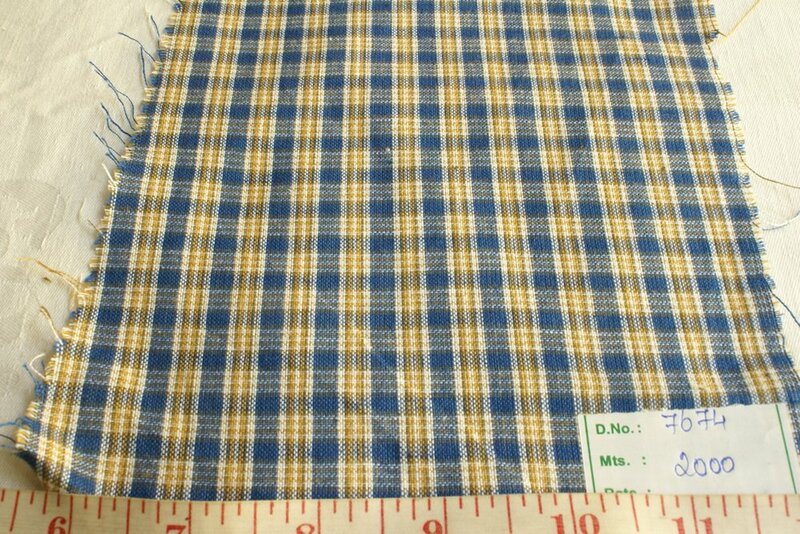 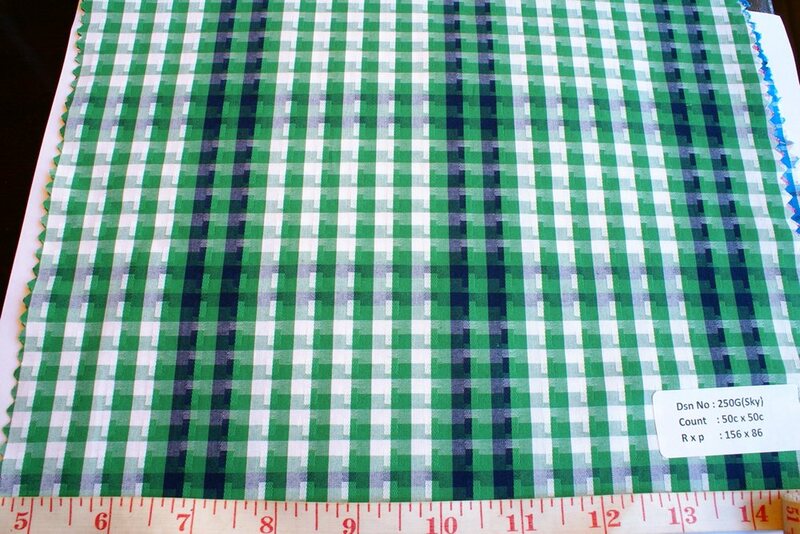 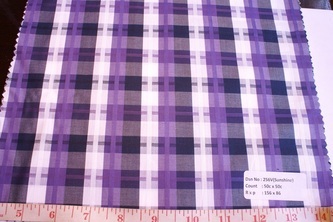 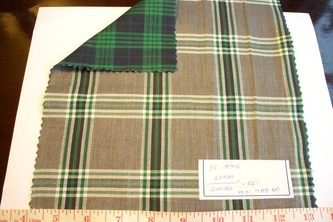 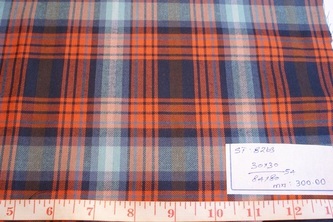 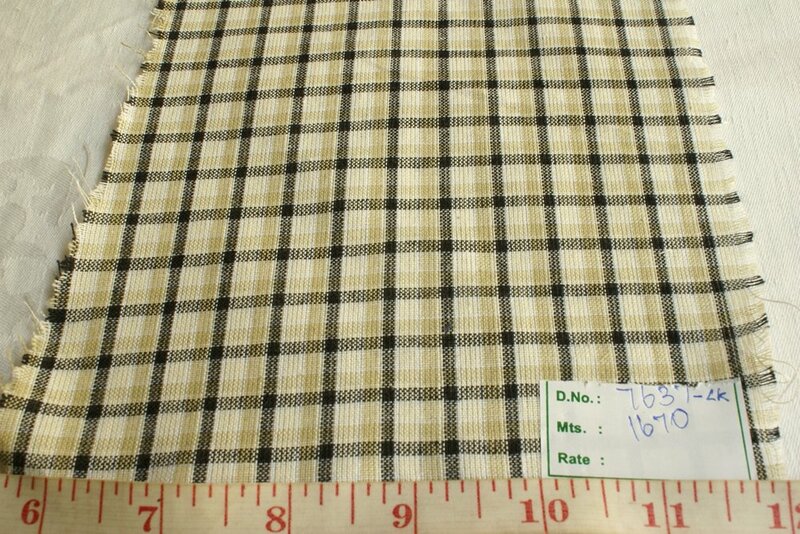 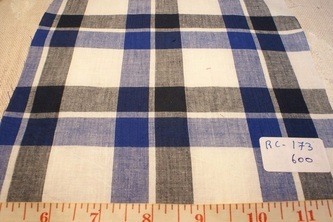 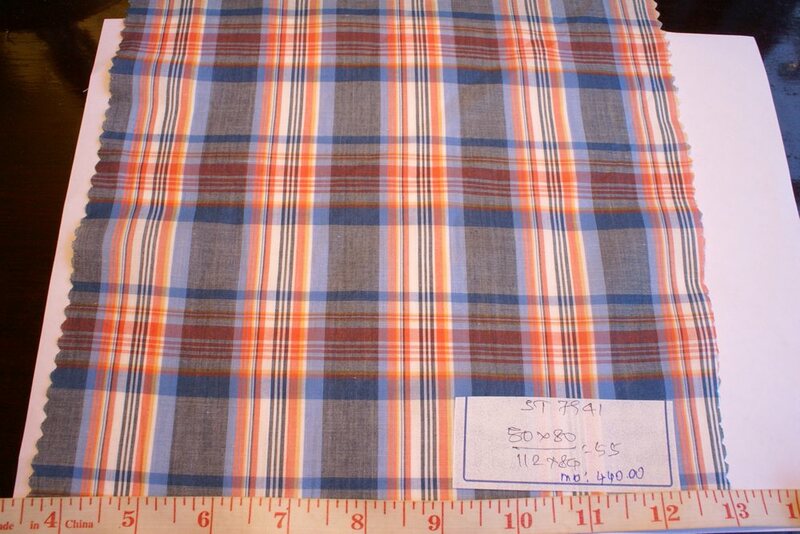 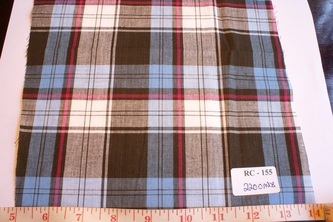 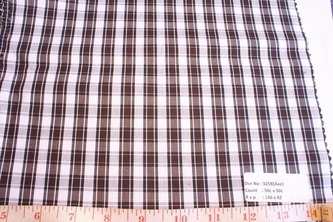 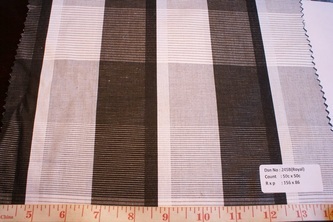 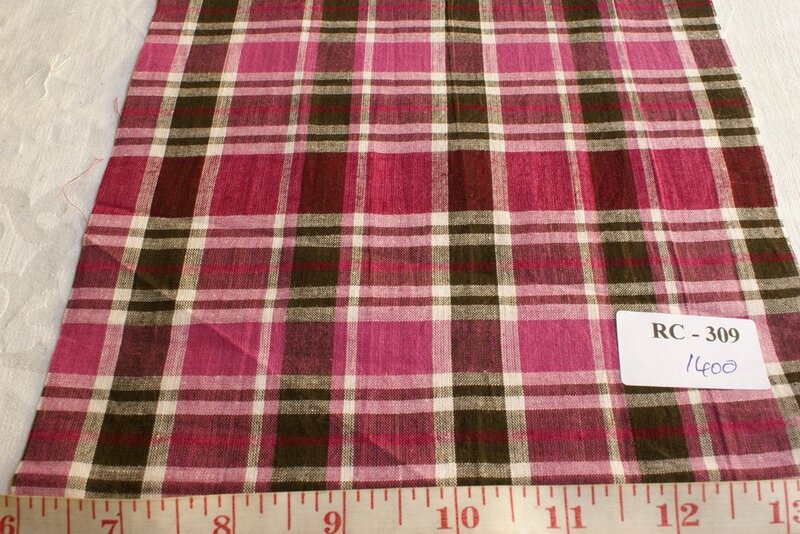 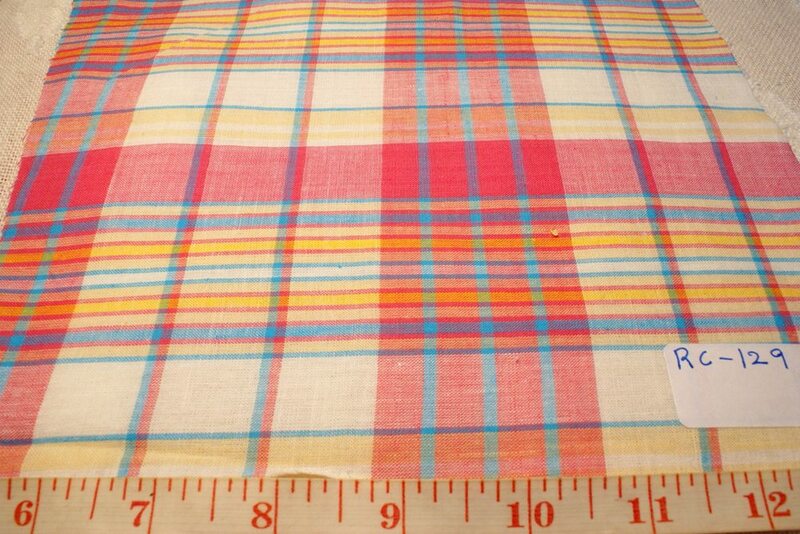 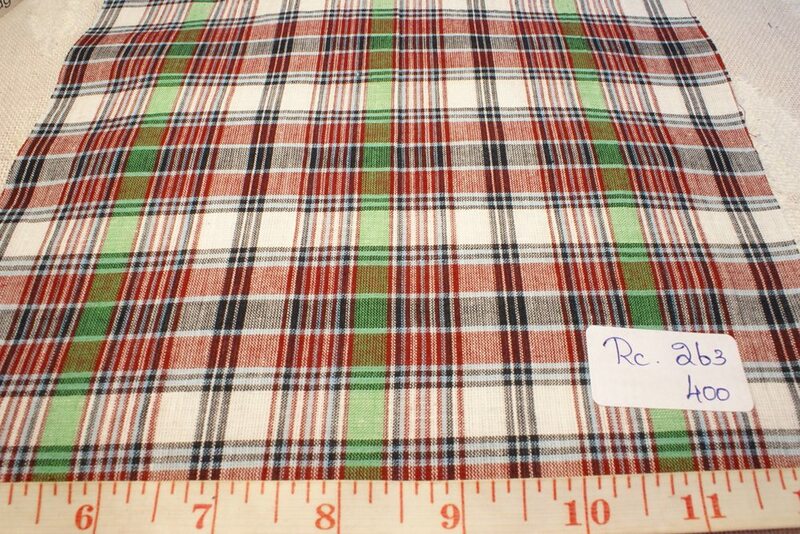 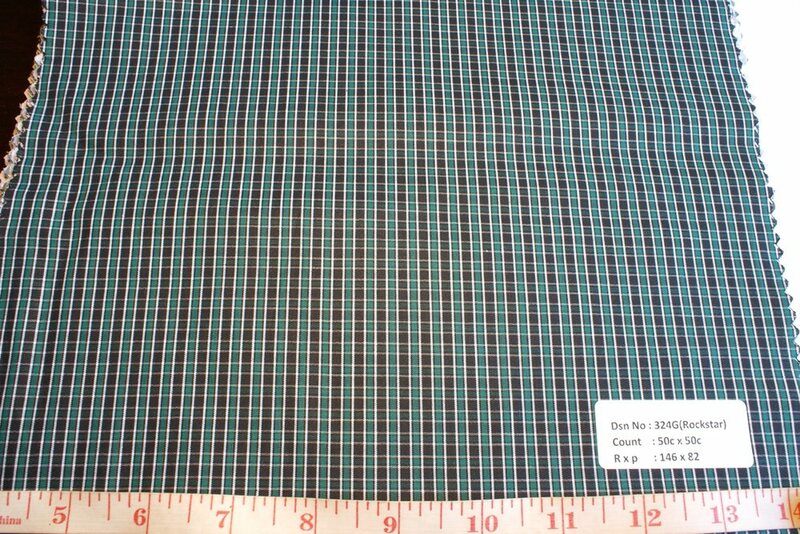 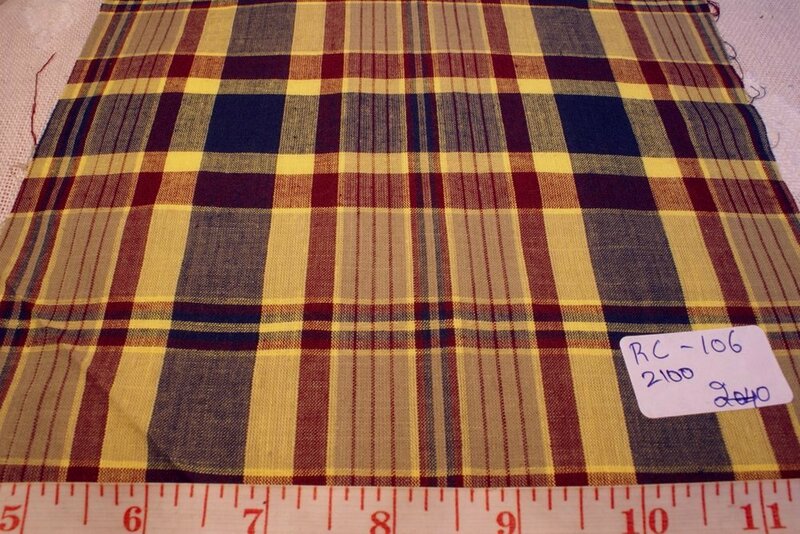 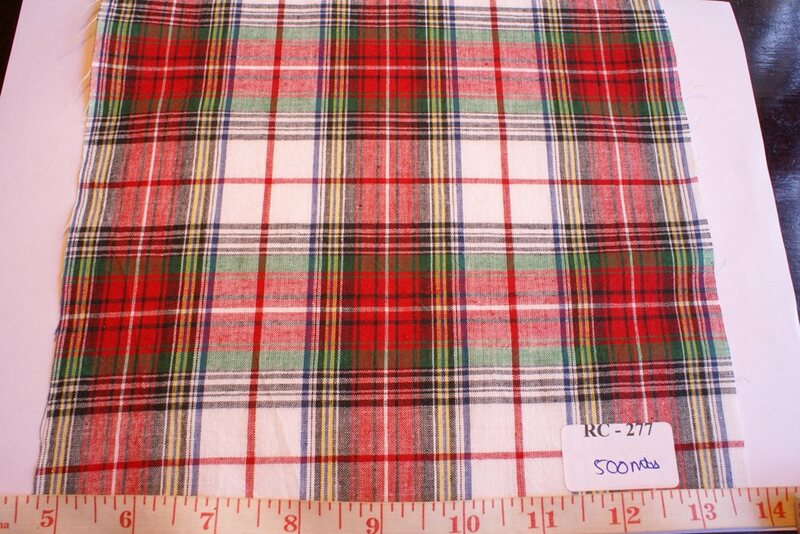 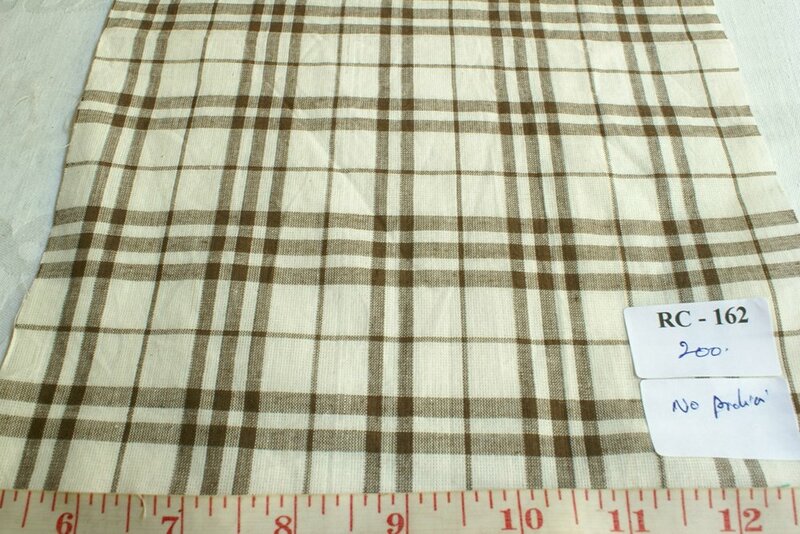 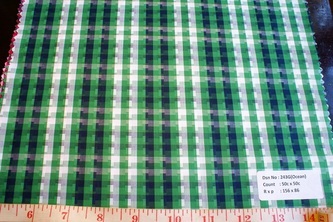 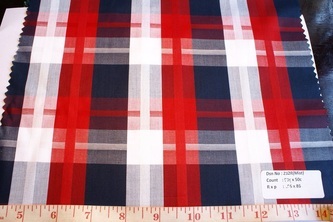 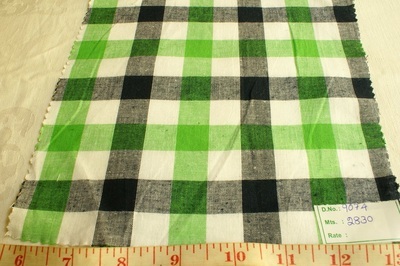 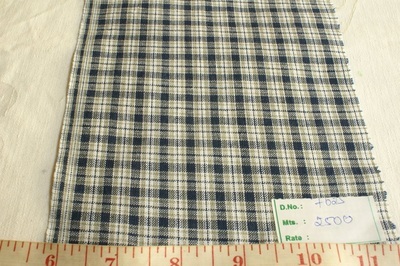 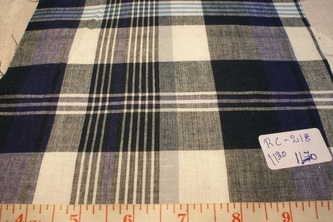 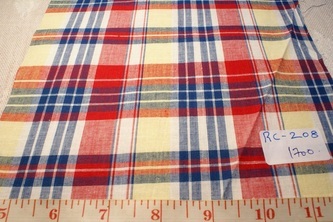 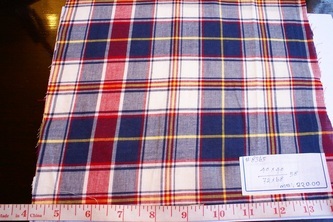 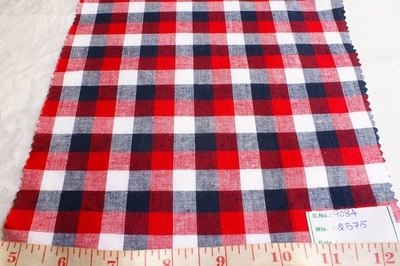 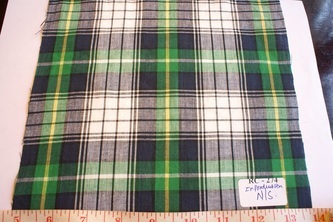 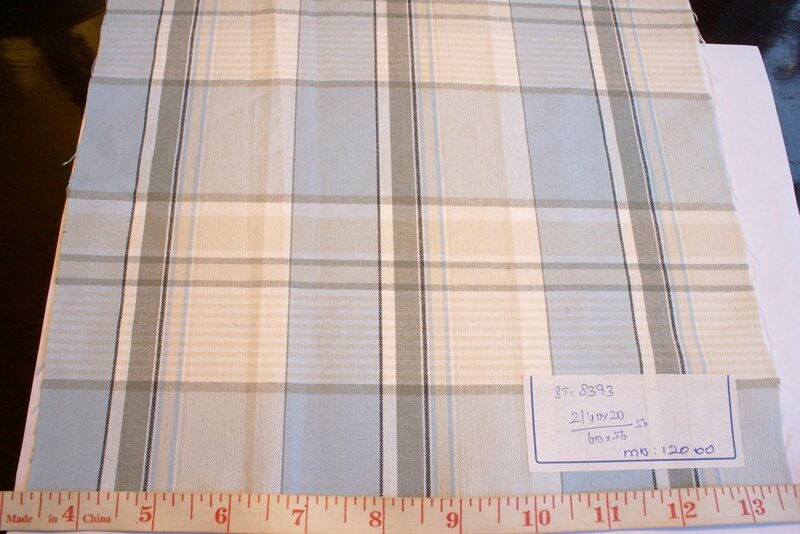 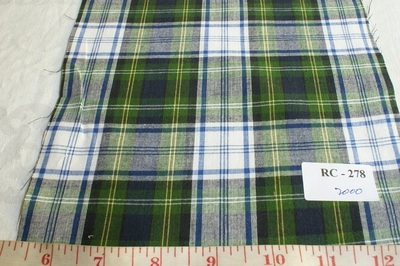 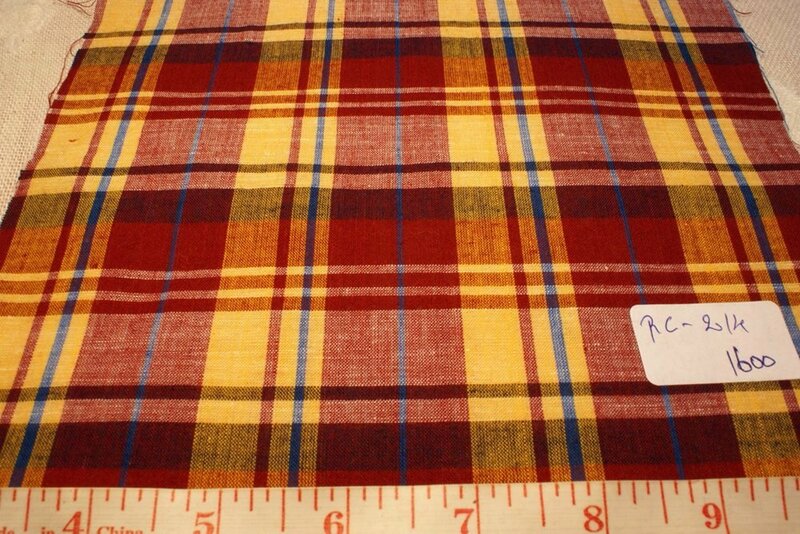 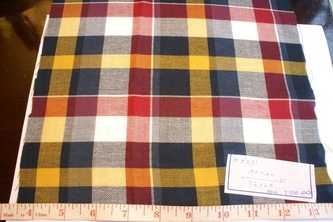 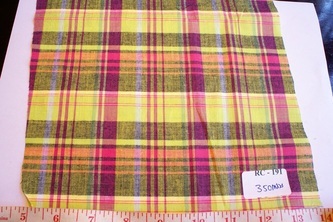 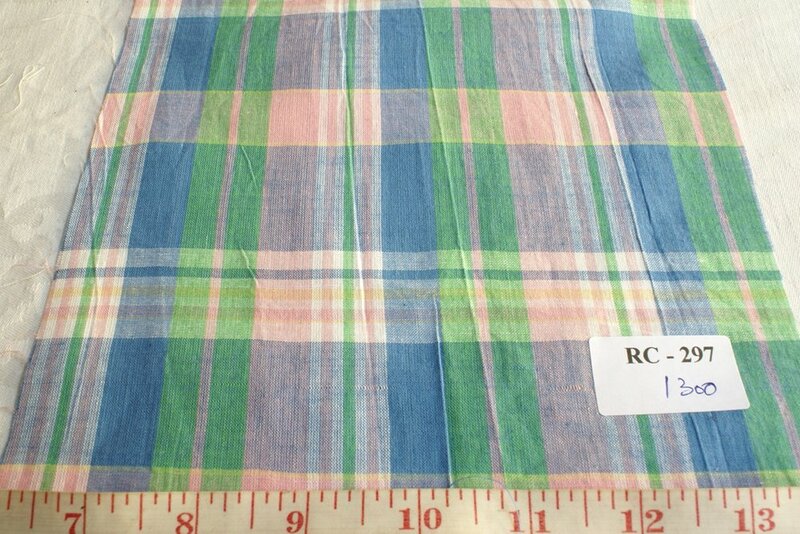 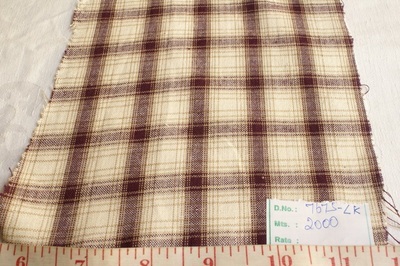 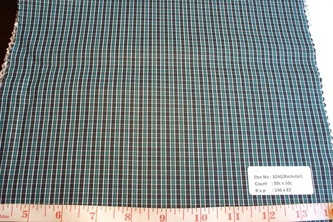 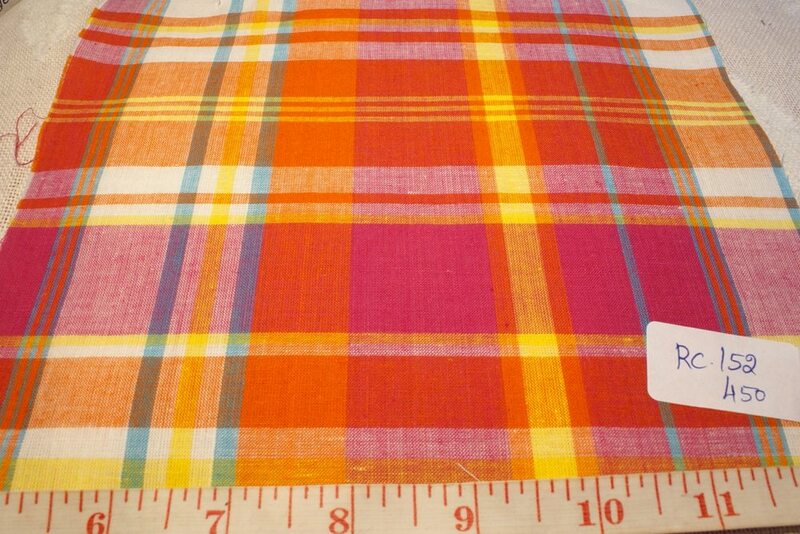 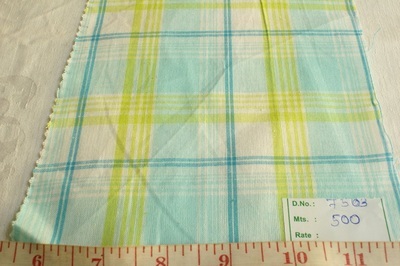 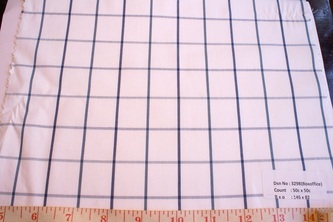 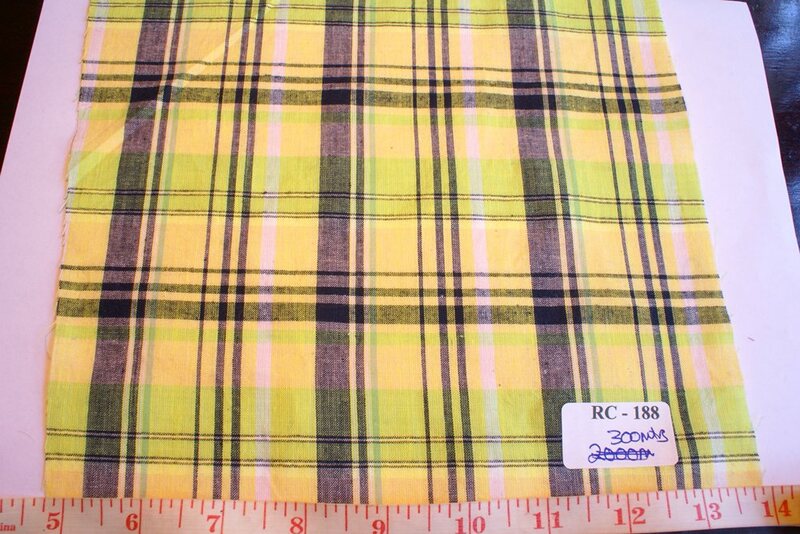 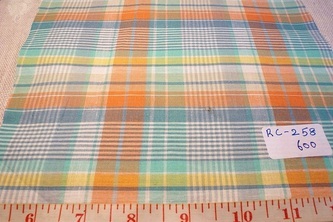 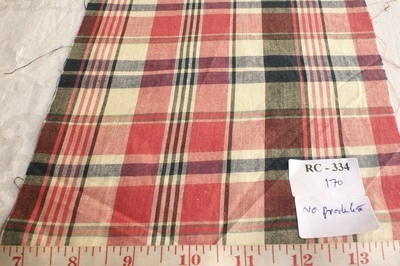 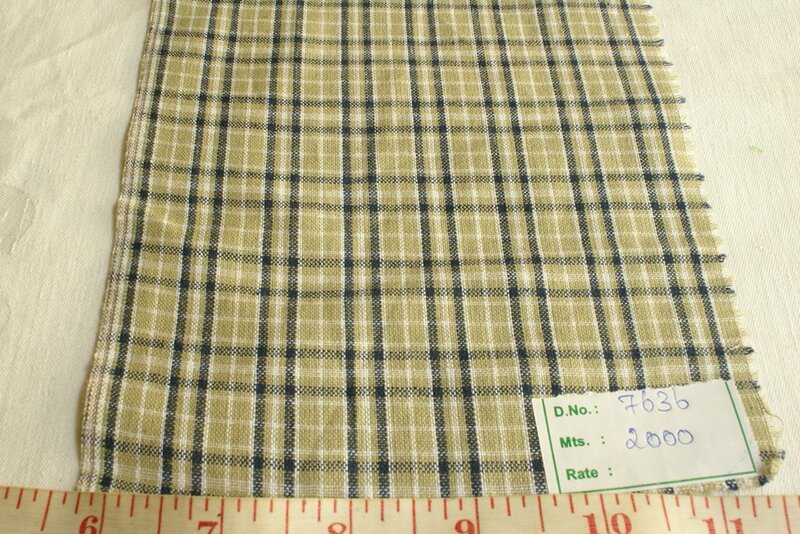 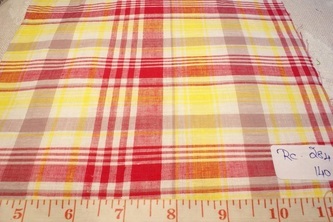 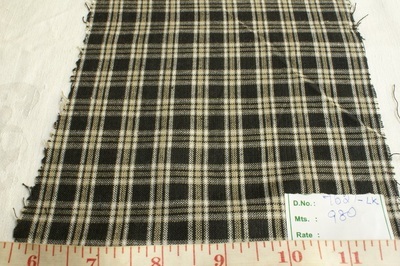 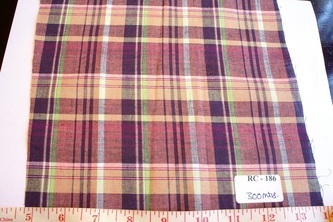 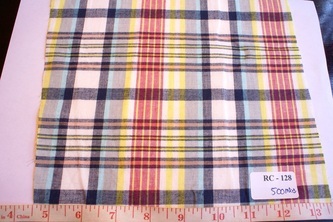 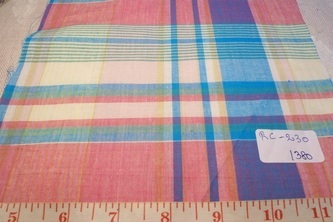 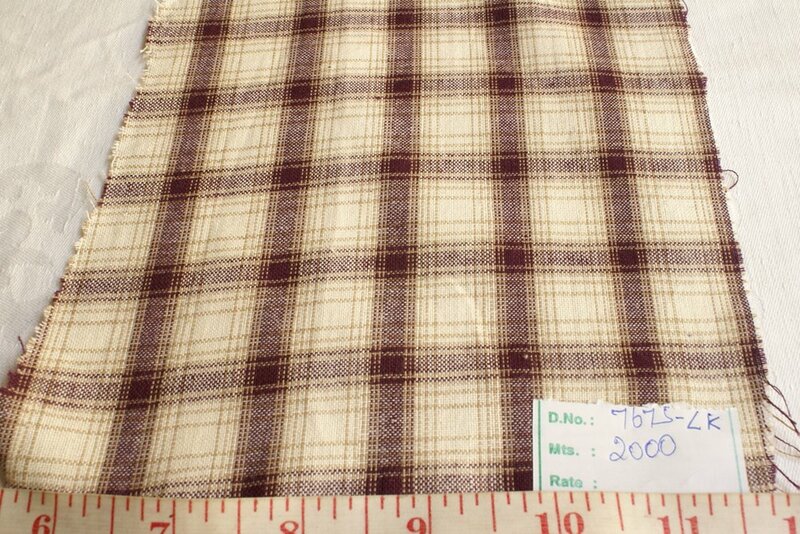 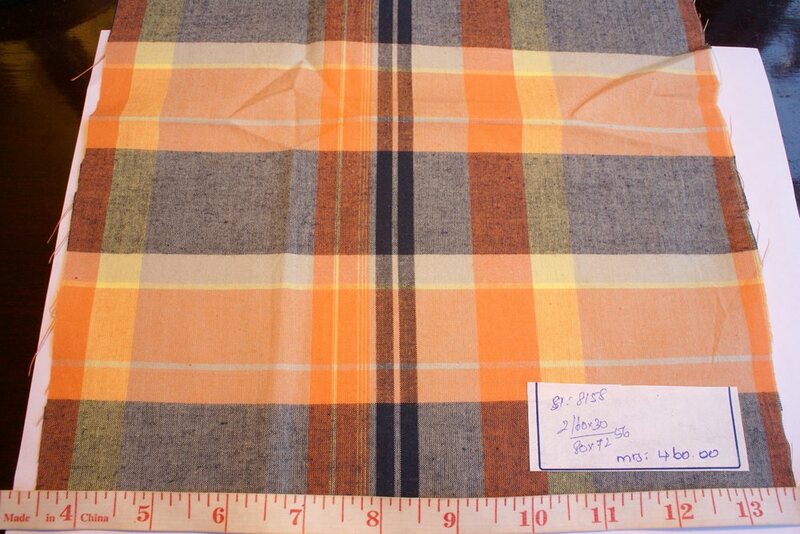 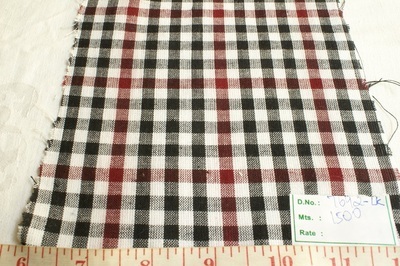 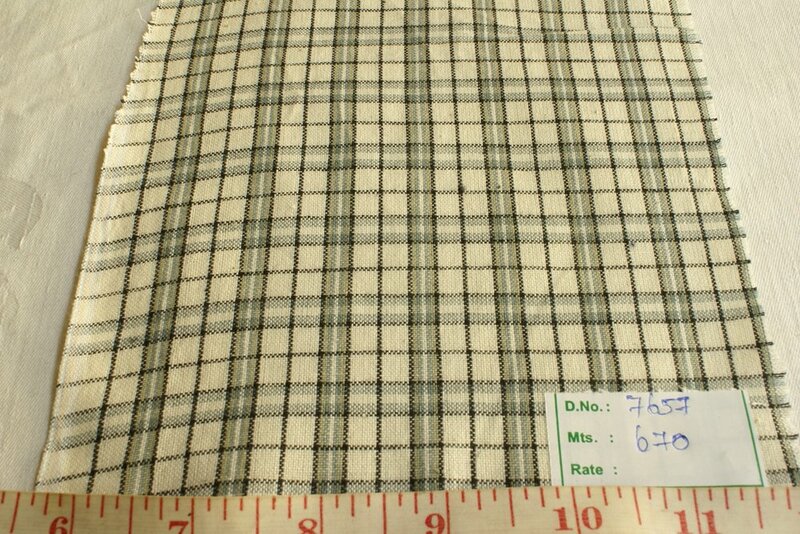 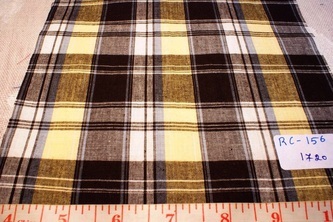 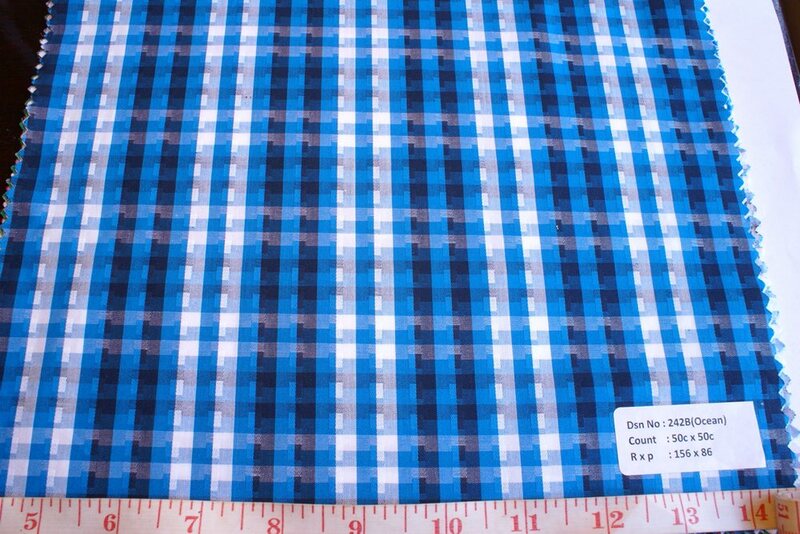 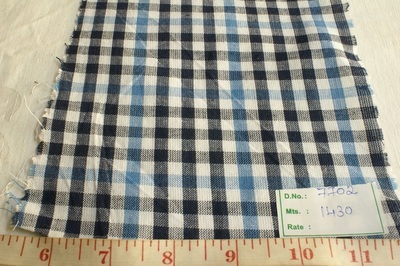 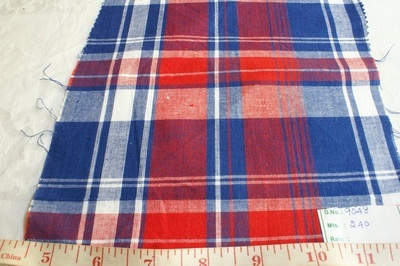 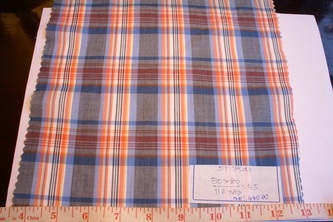 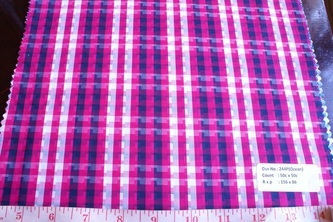 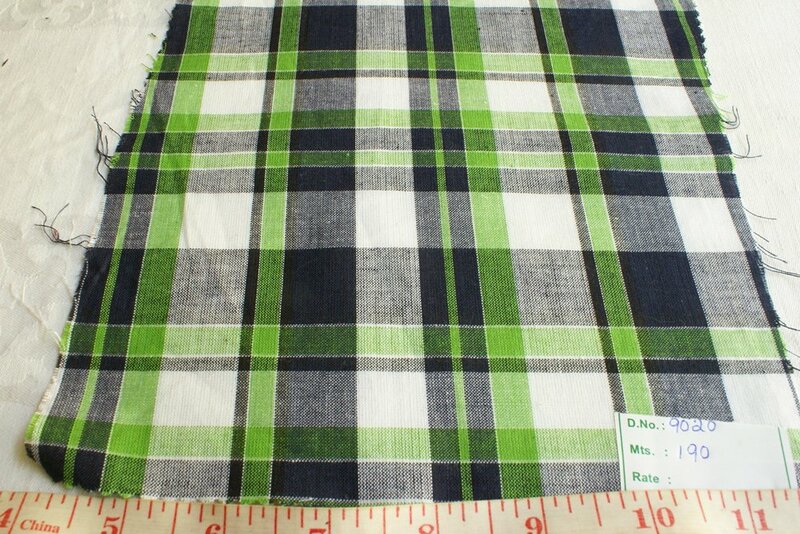 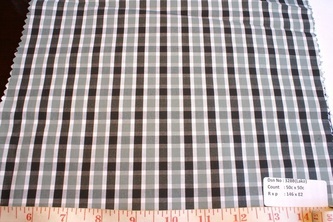 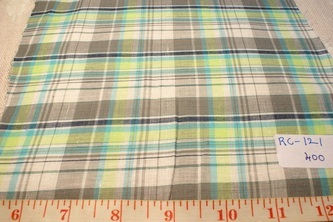 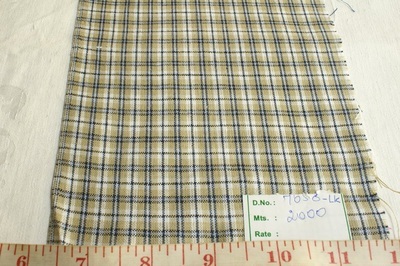 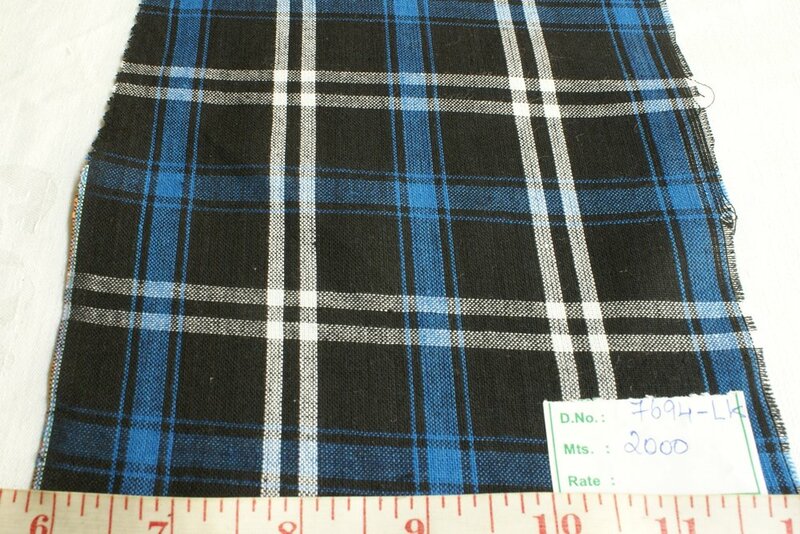 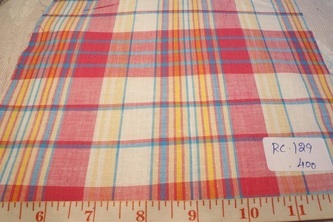 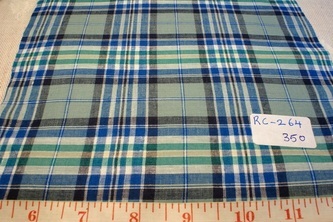 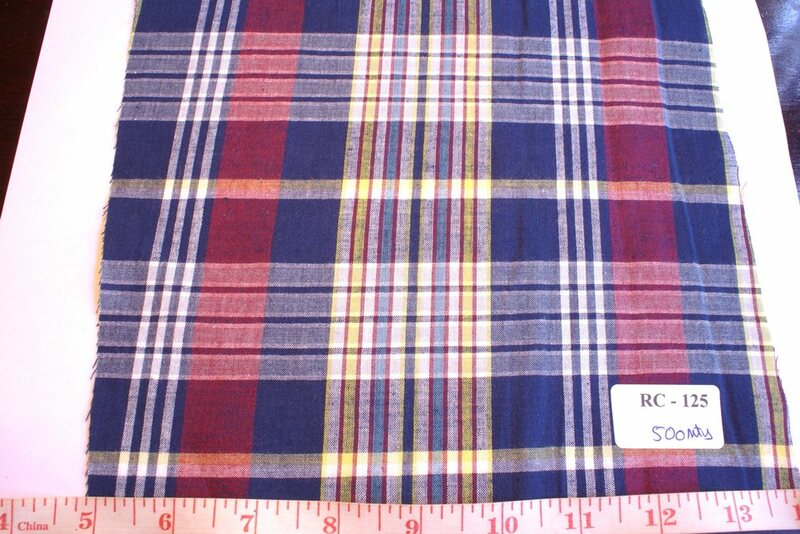 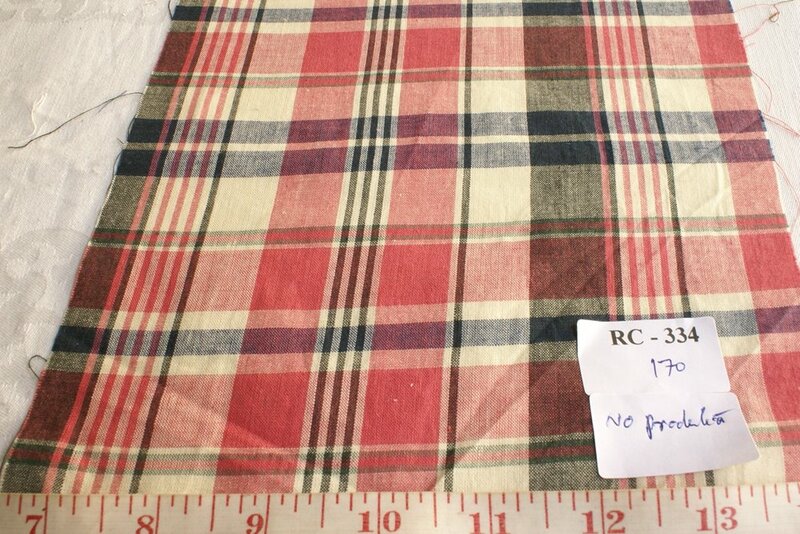 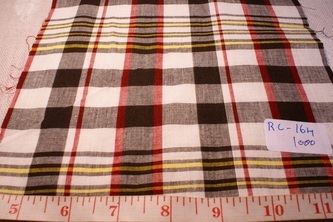 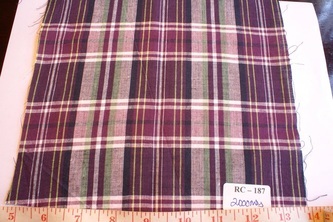 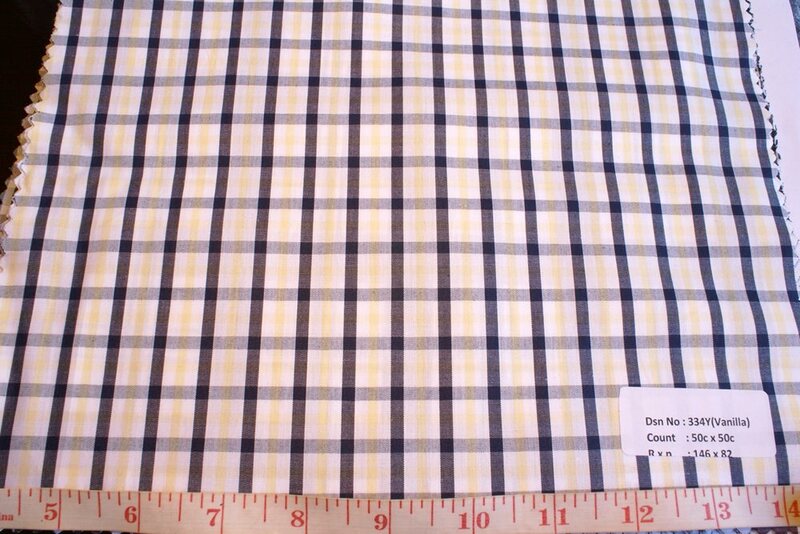 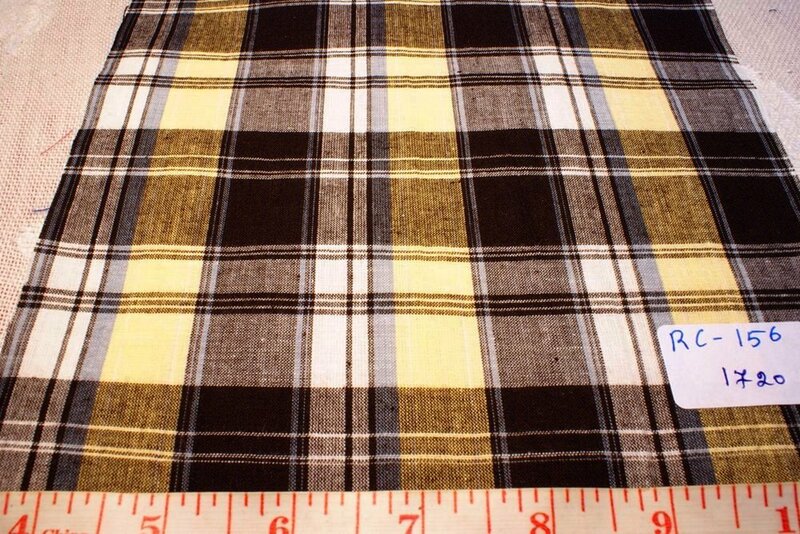 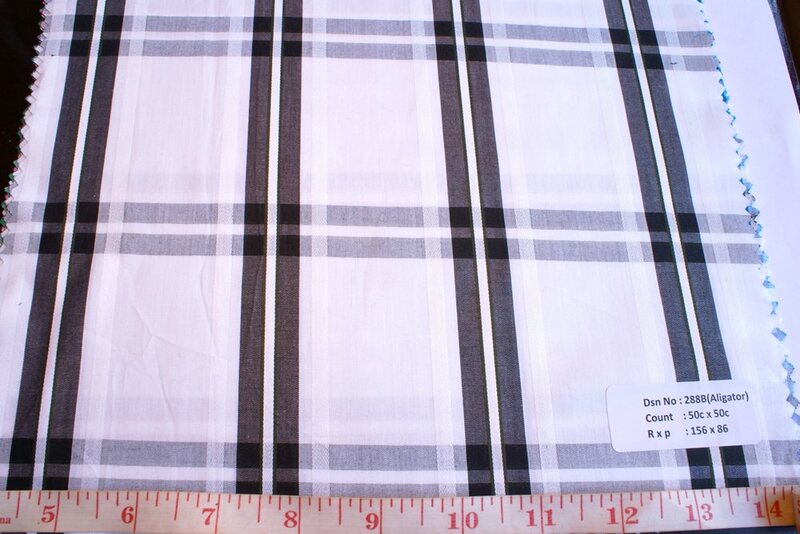 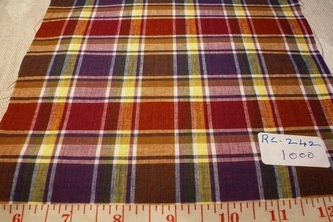 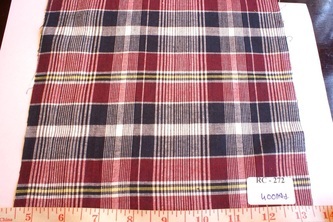 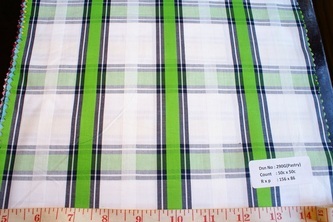 This is the latest collection of Madras plaids by Atlantis Fabrics, and are available in wholesale. 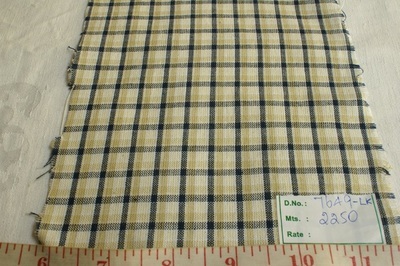 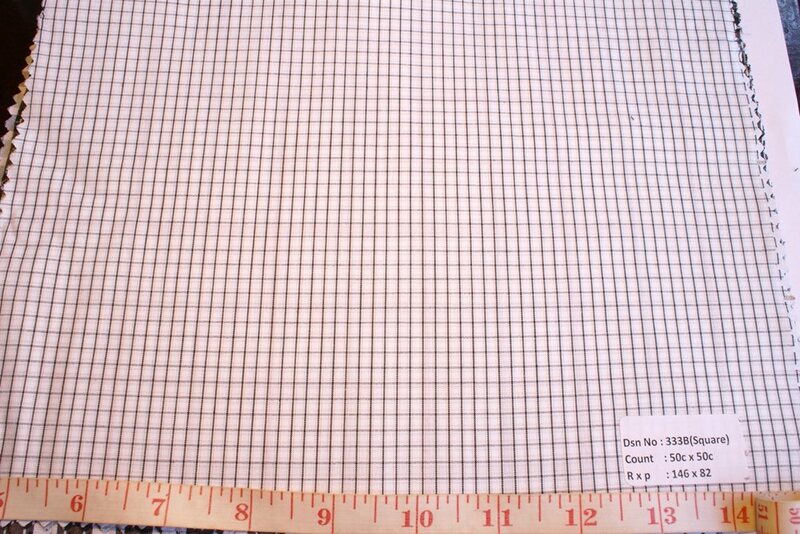 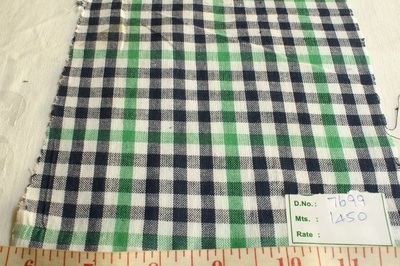 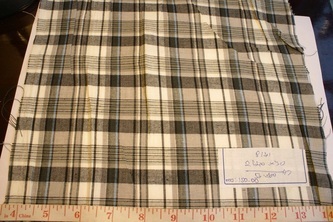 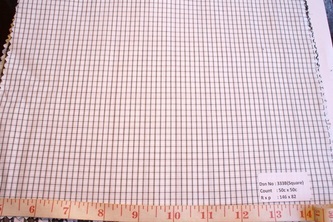 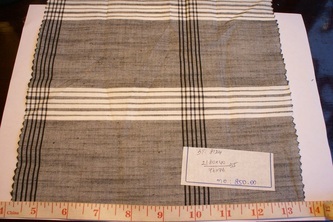 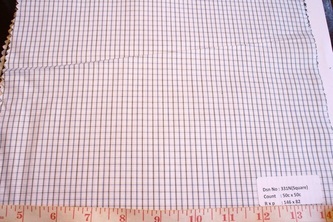 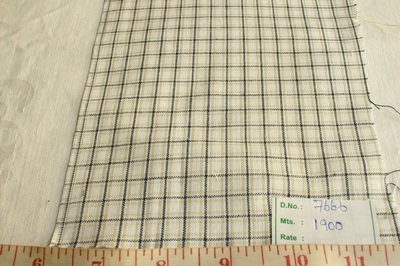 Madras fabric, as in the pictures below, is woven on powerlooms partially hand-assisted. 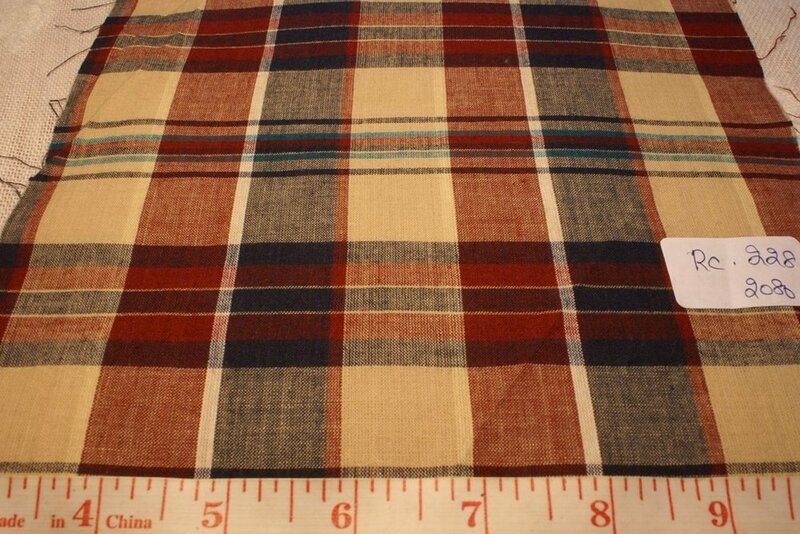 Sometimes, these can be entirely handloomed as well. 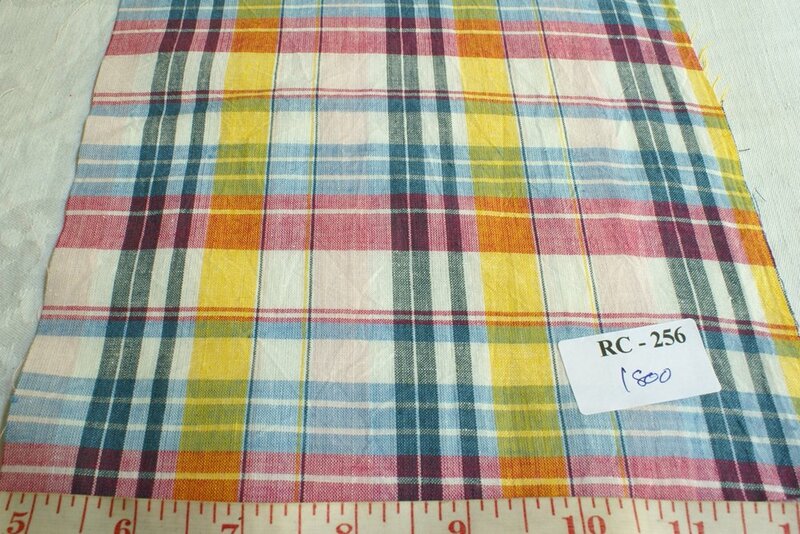 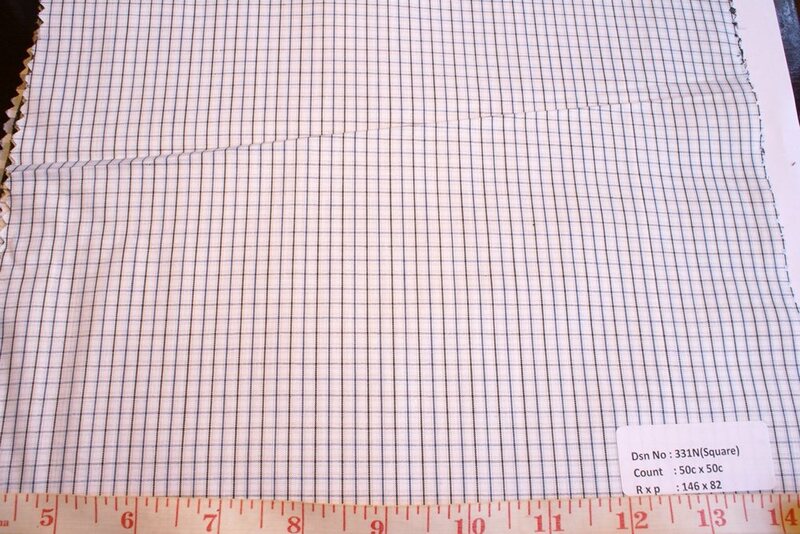 The madras in the galleries here, are available in stock, and are shirting weight, ideal as they a summery light-medium weight. 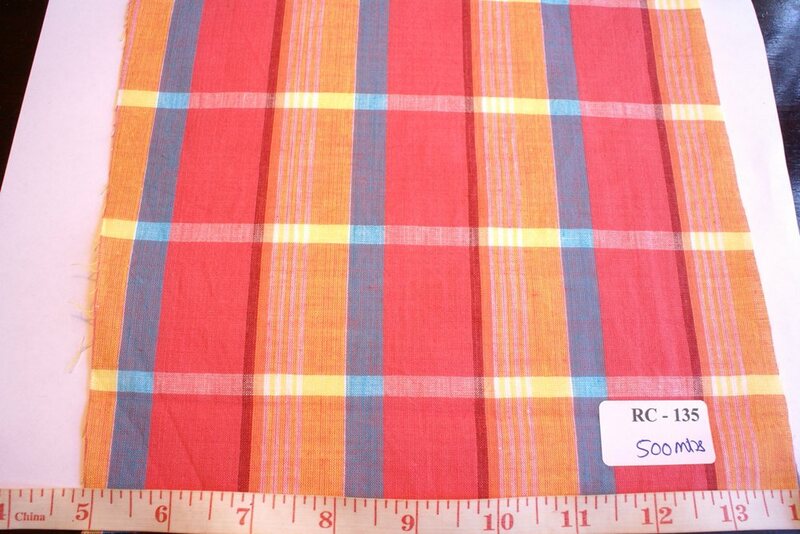 All madras fabric is characterised by slubs / weave clusters, and this adds to the authentic feel of madras fabric.